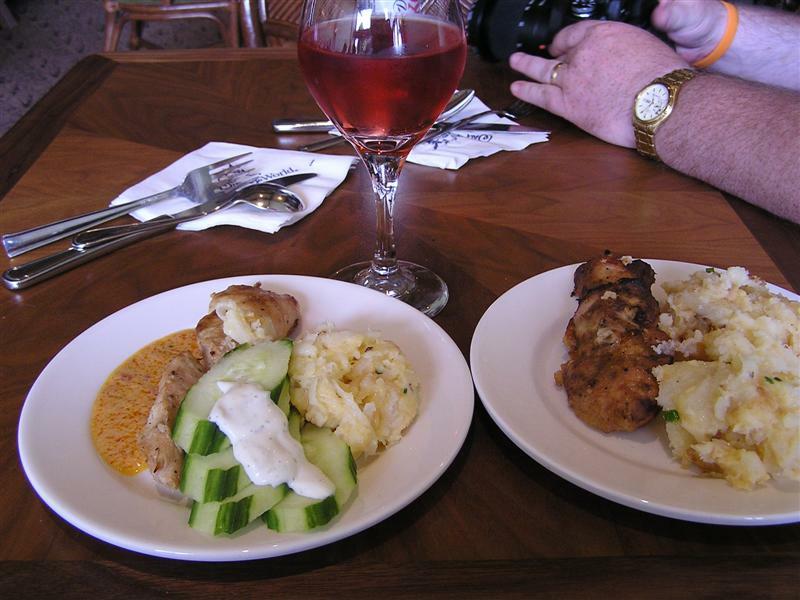 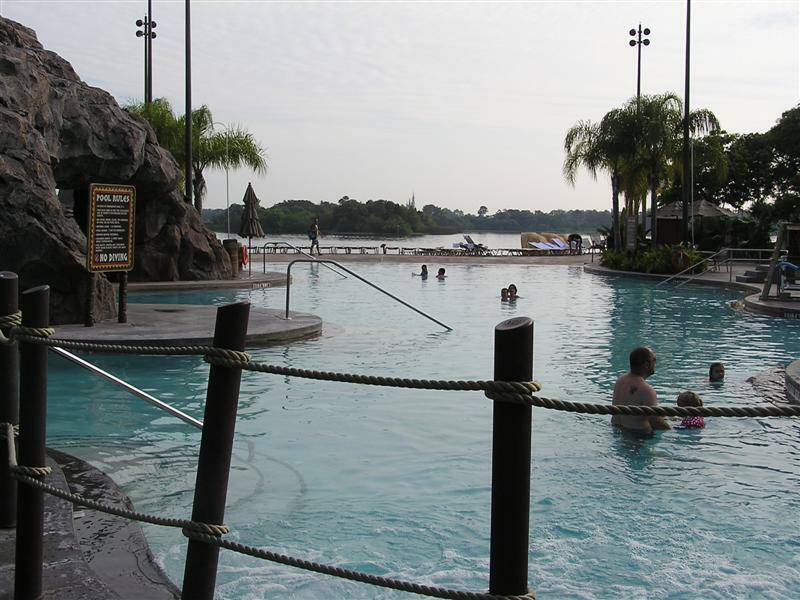 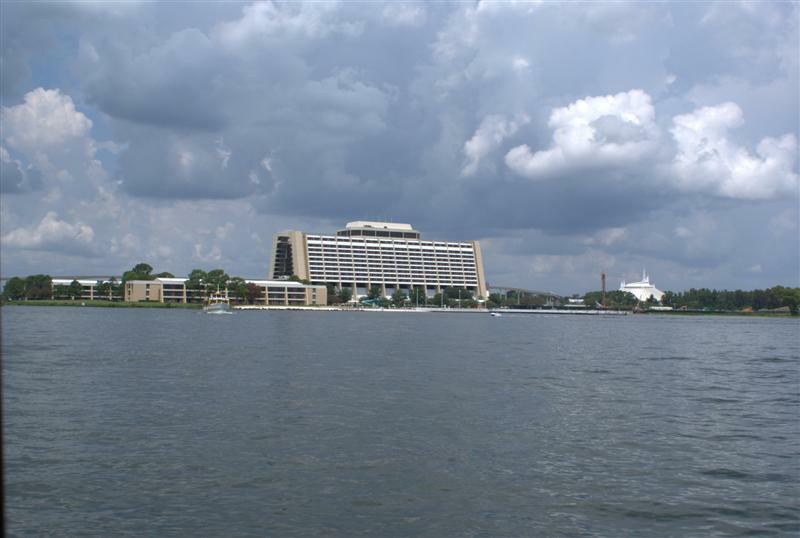 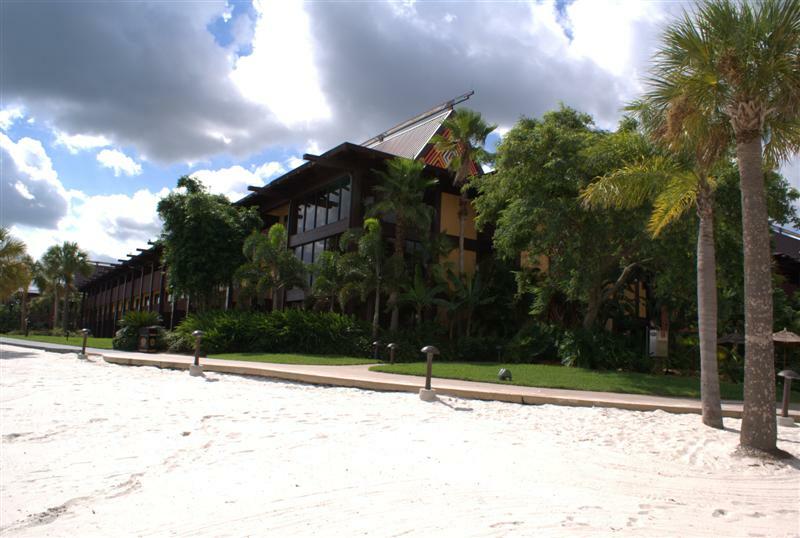 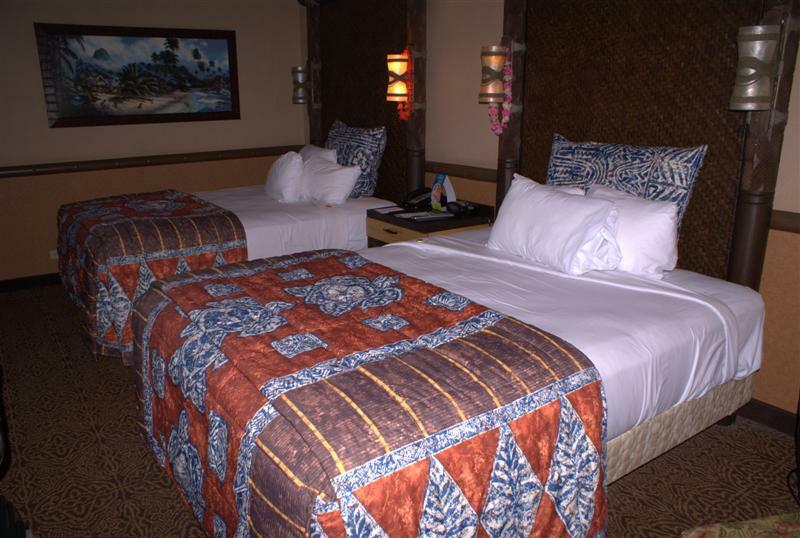 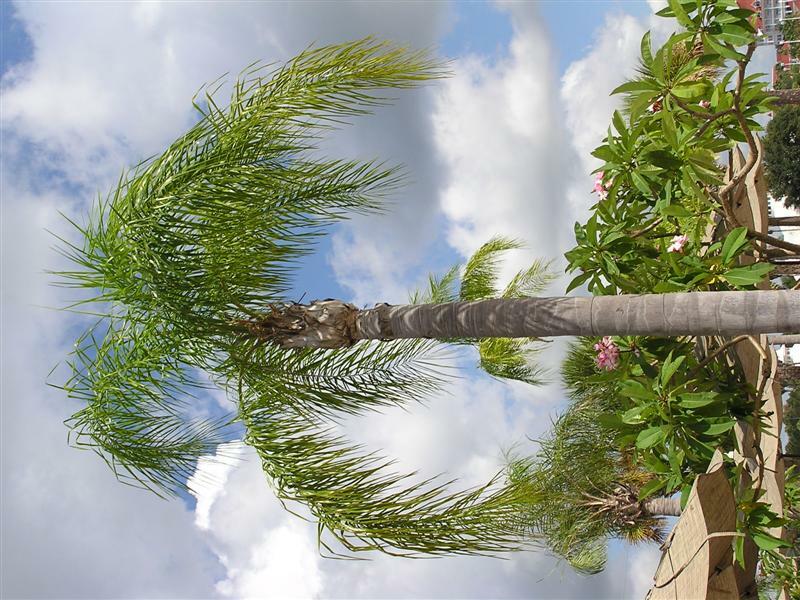 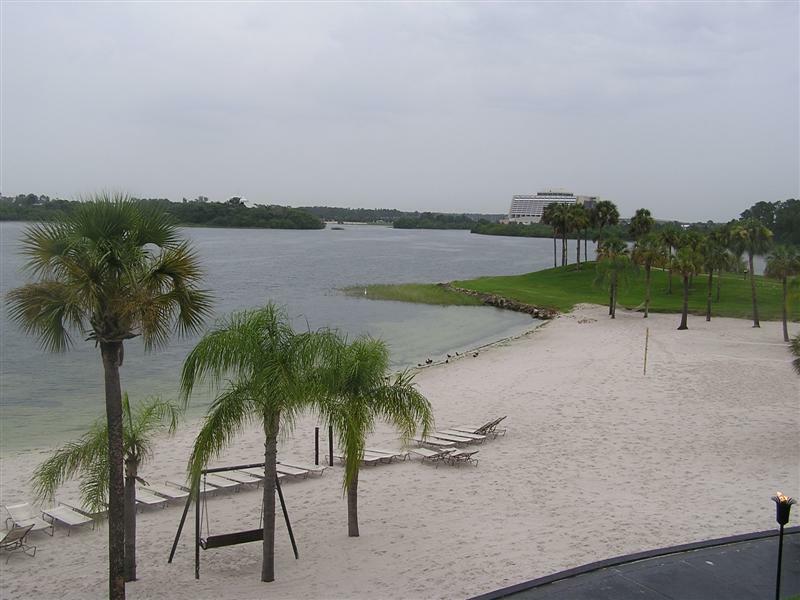 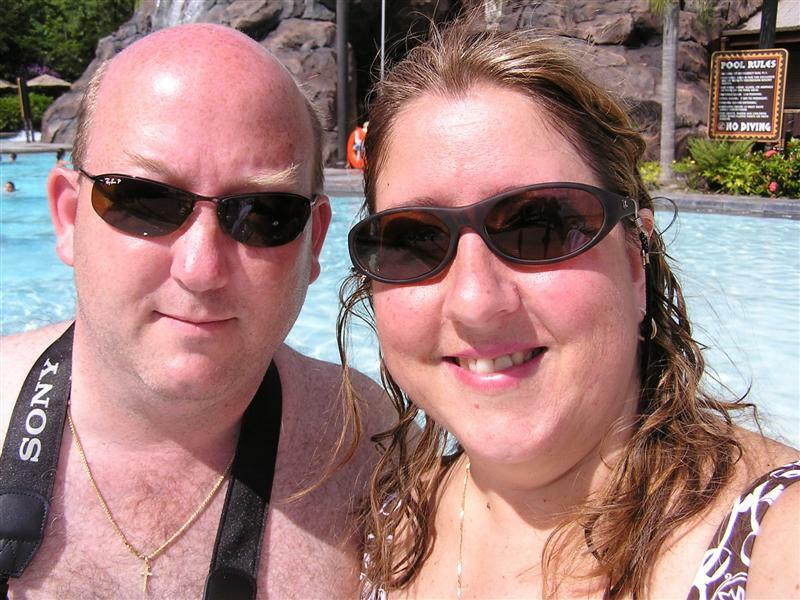 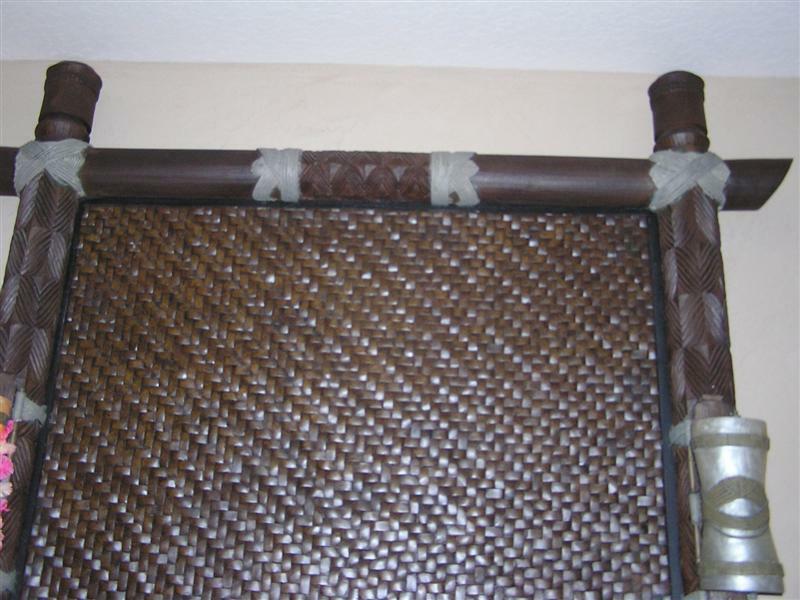 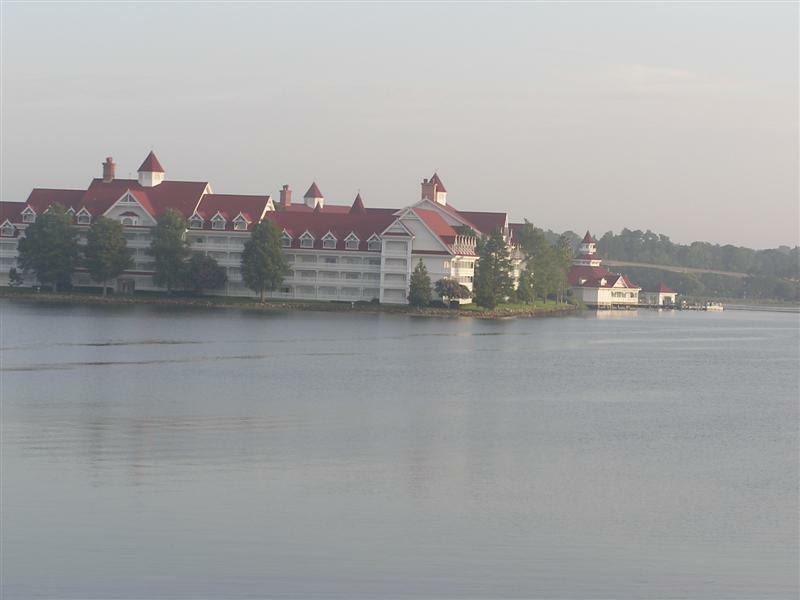 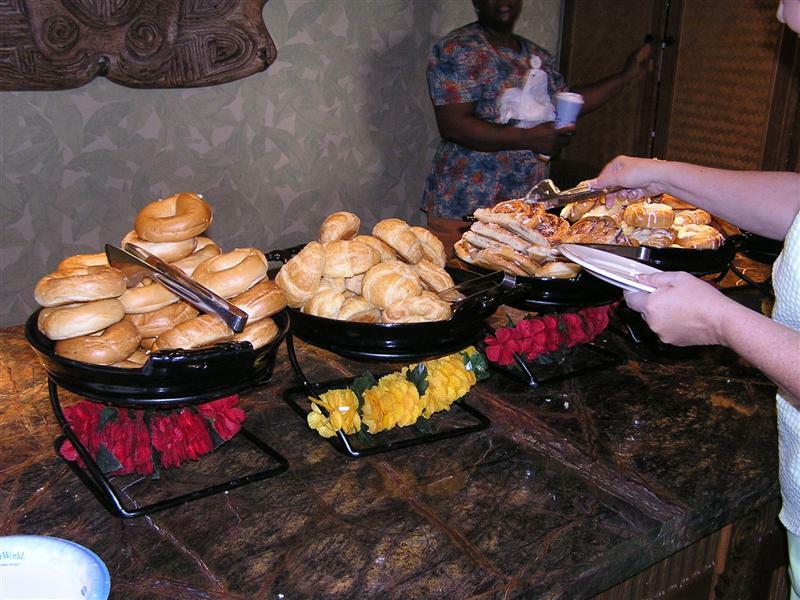 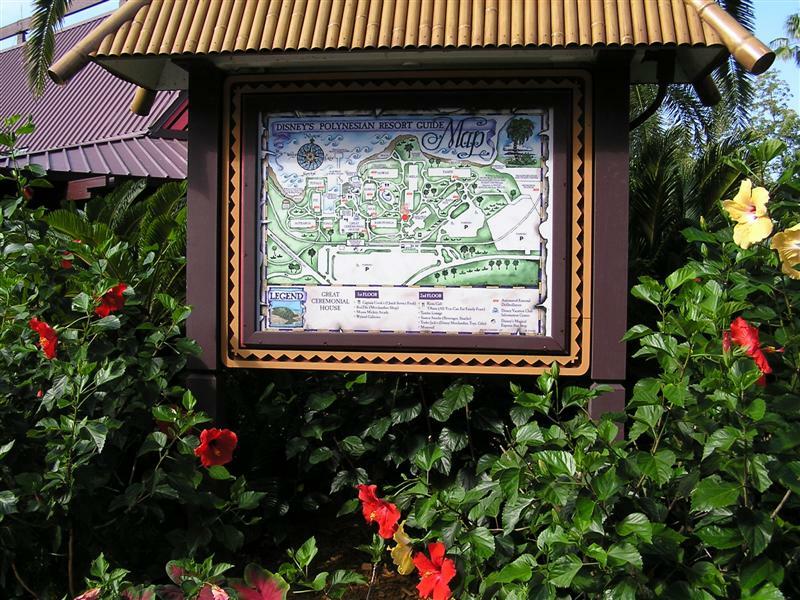 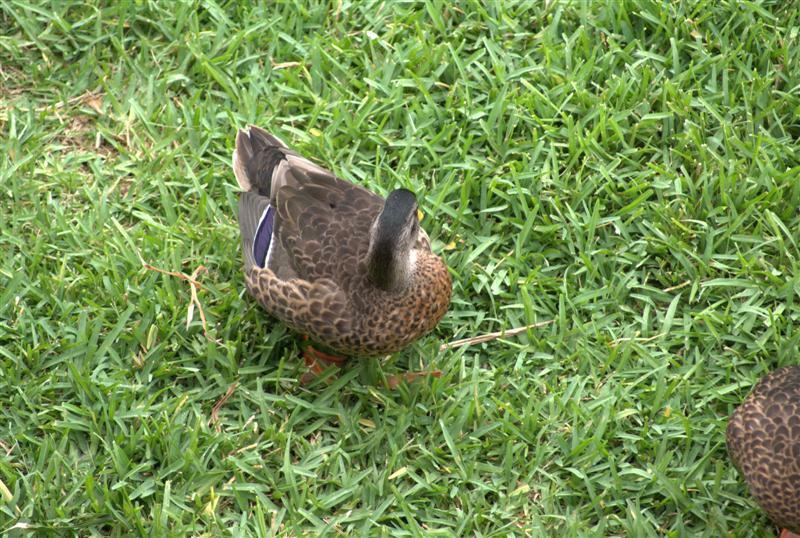 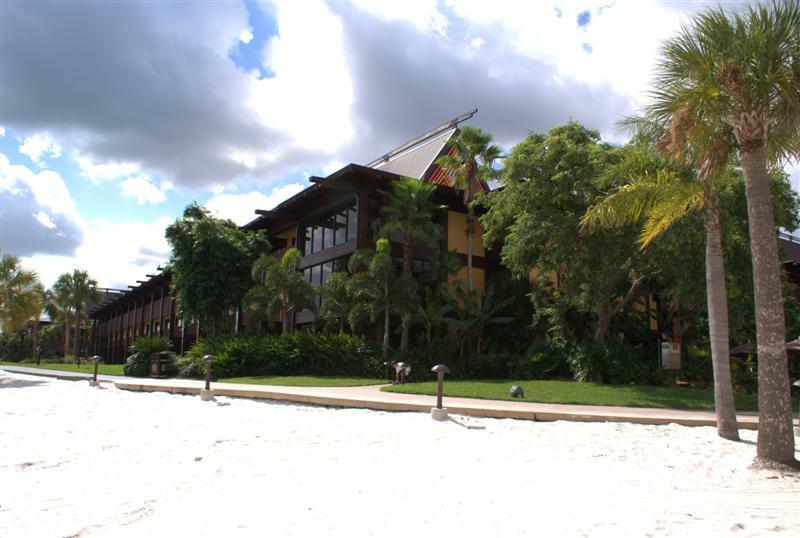 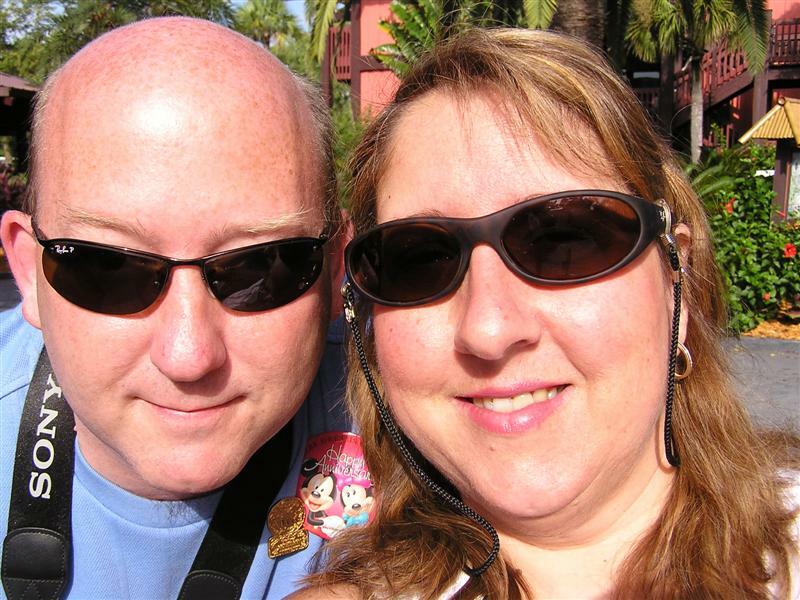 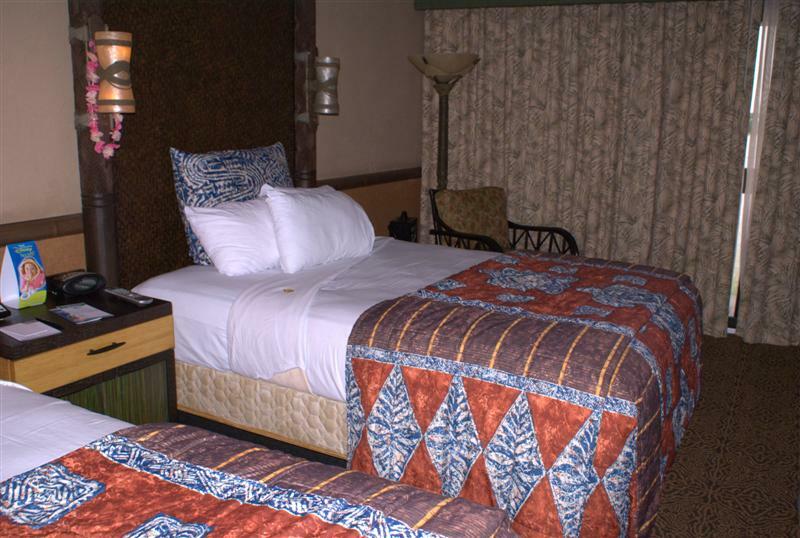 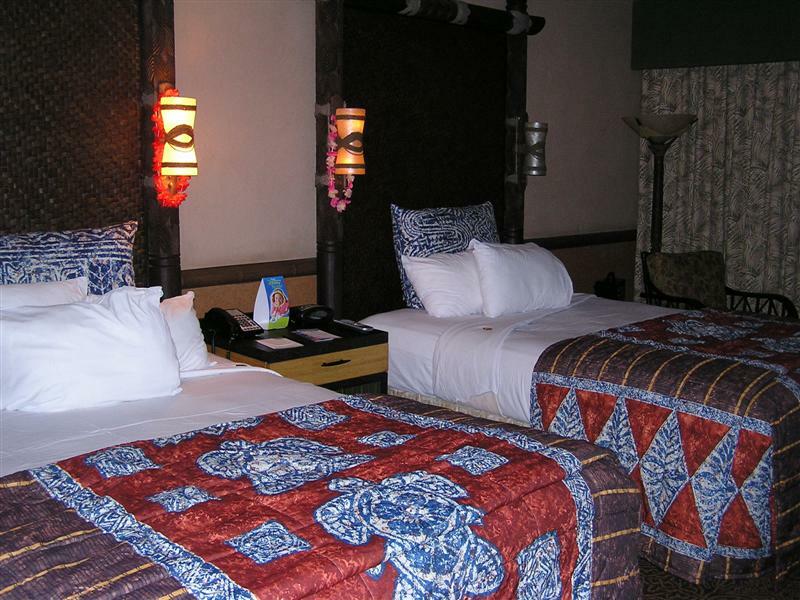 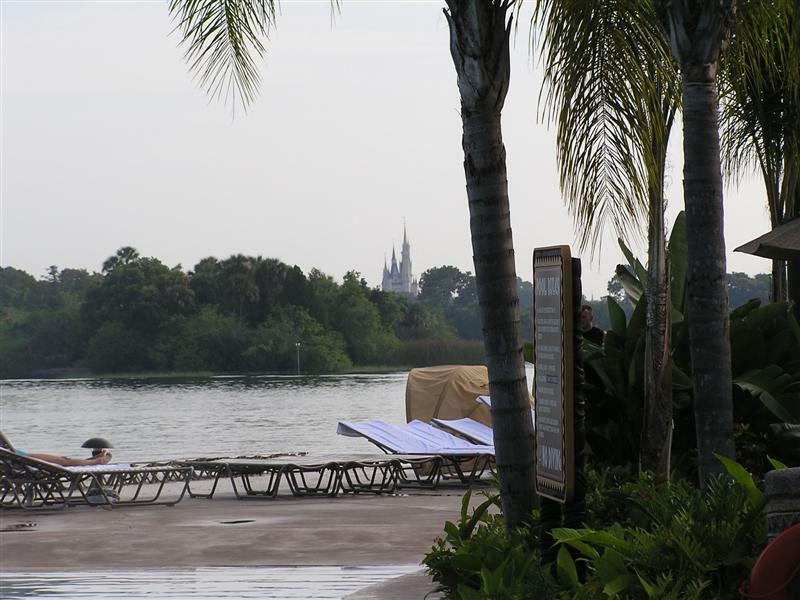 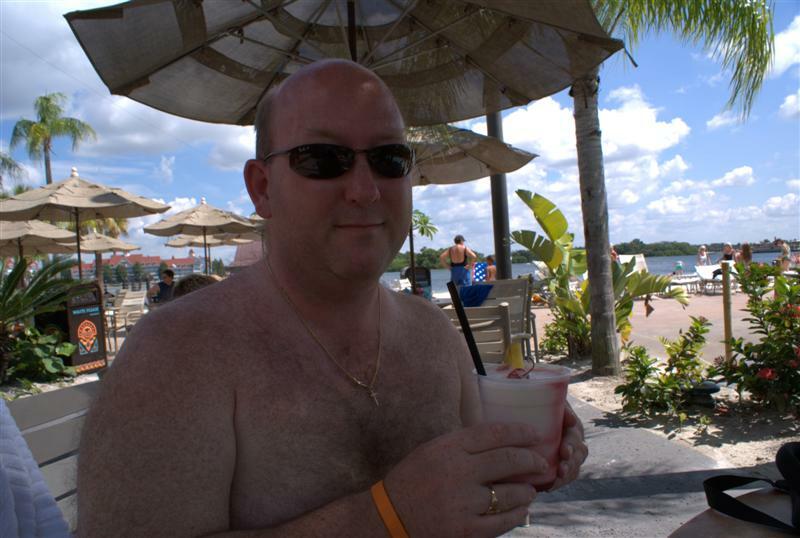 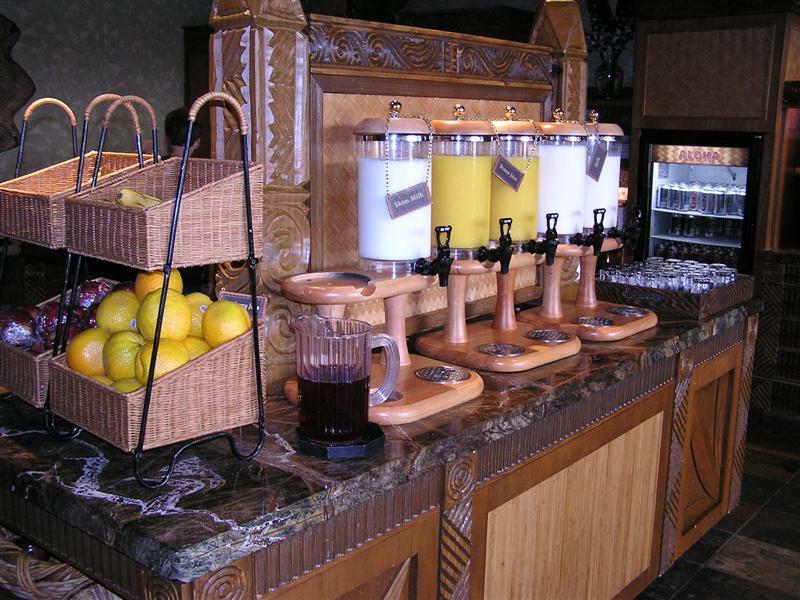 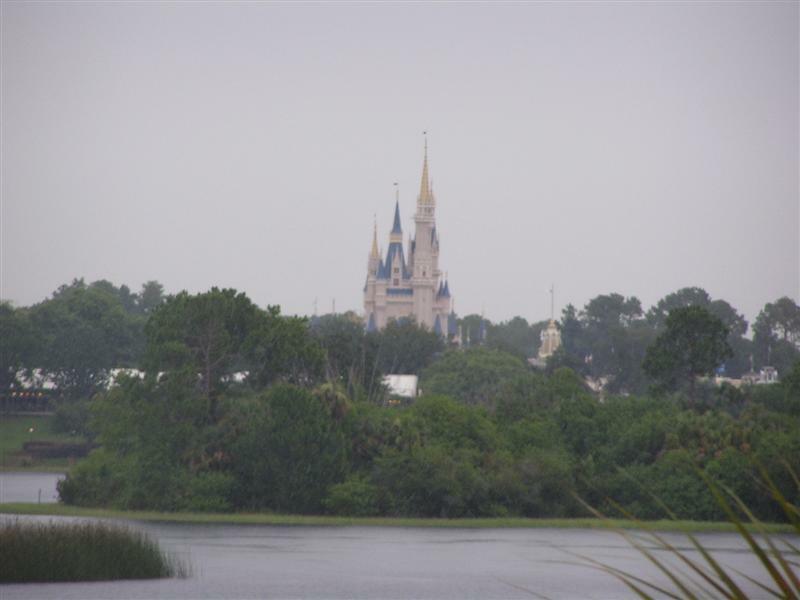 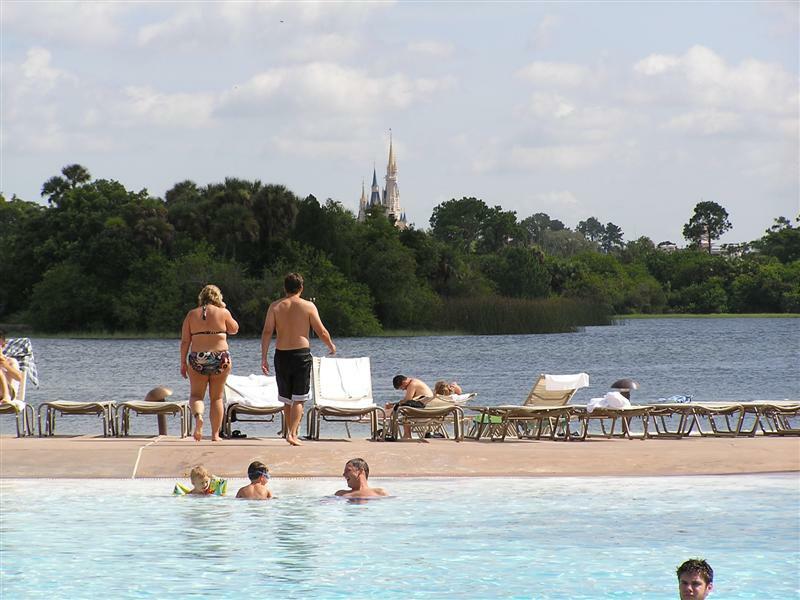 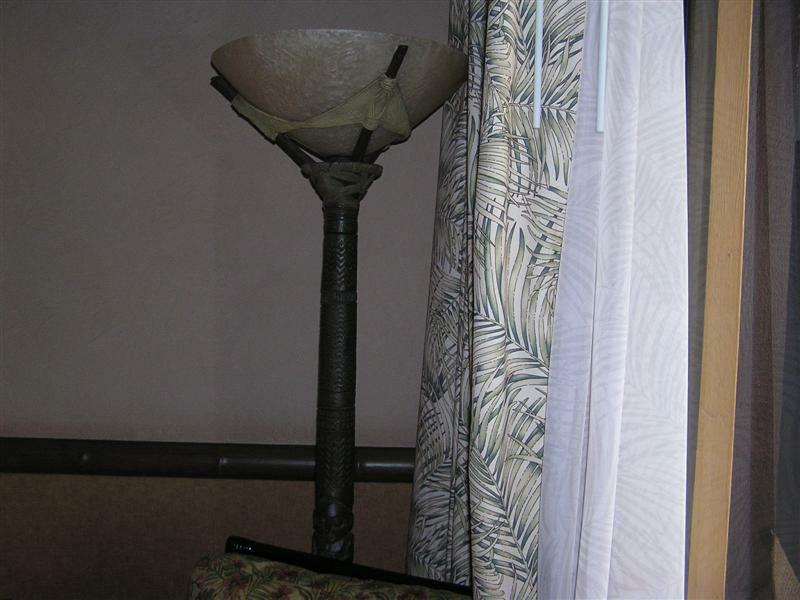 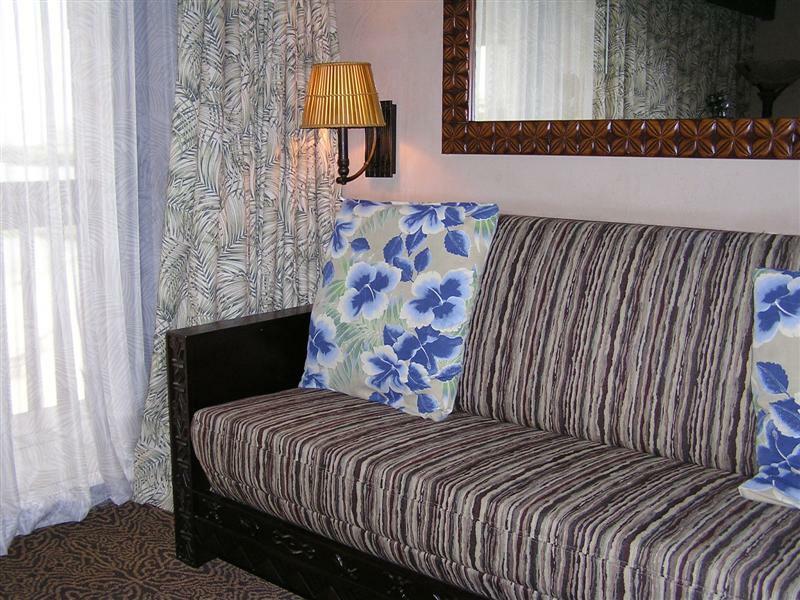 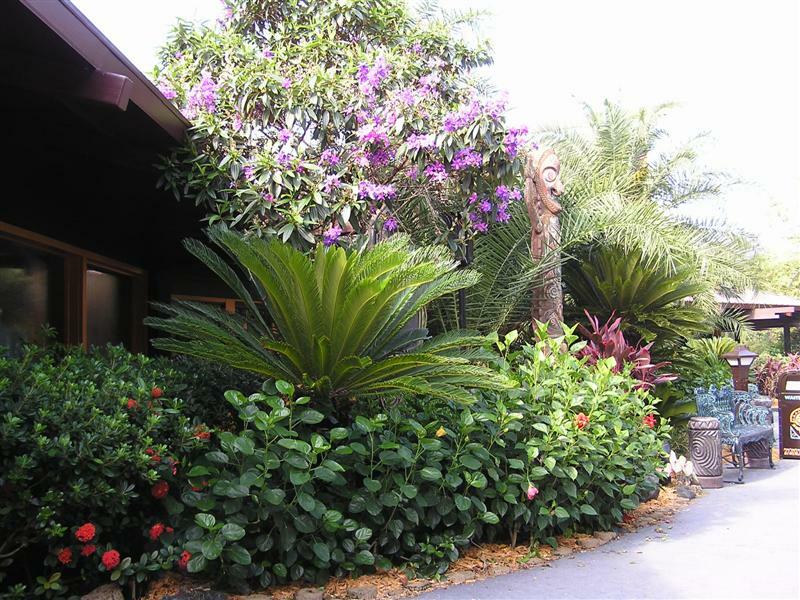 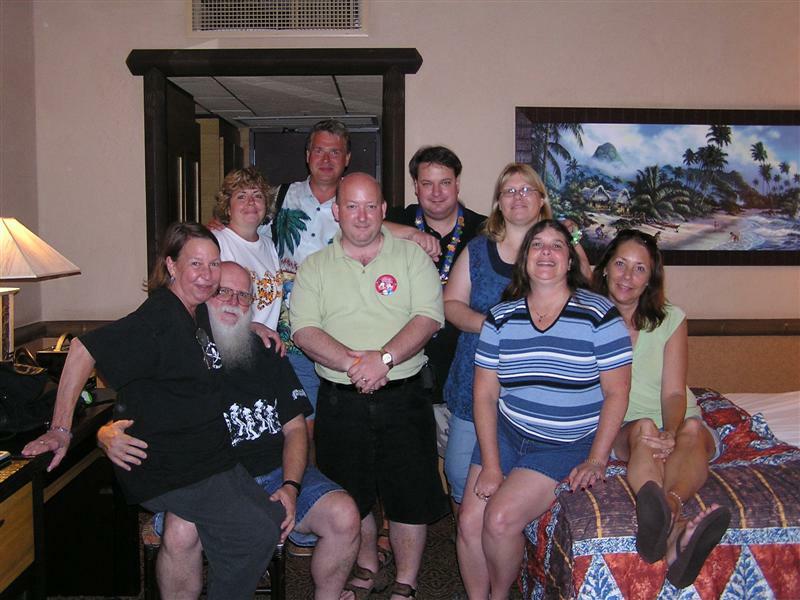 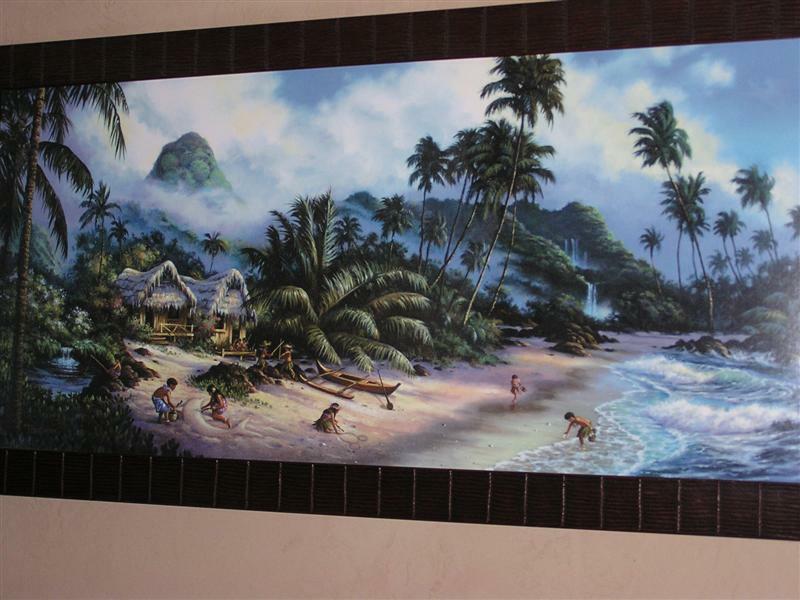 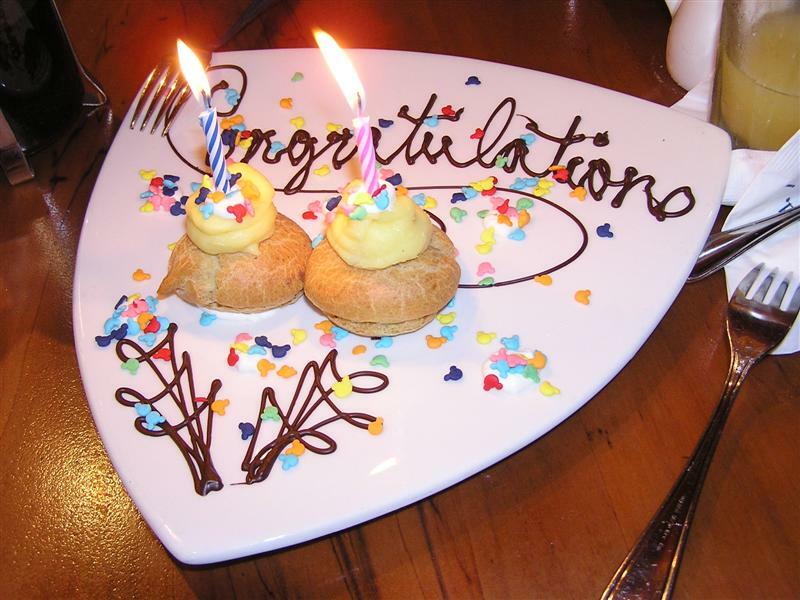 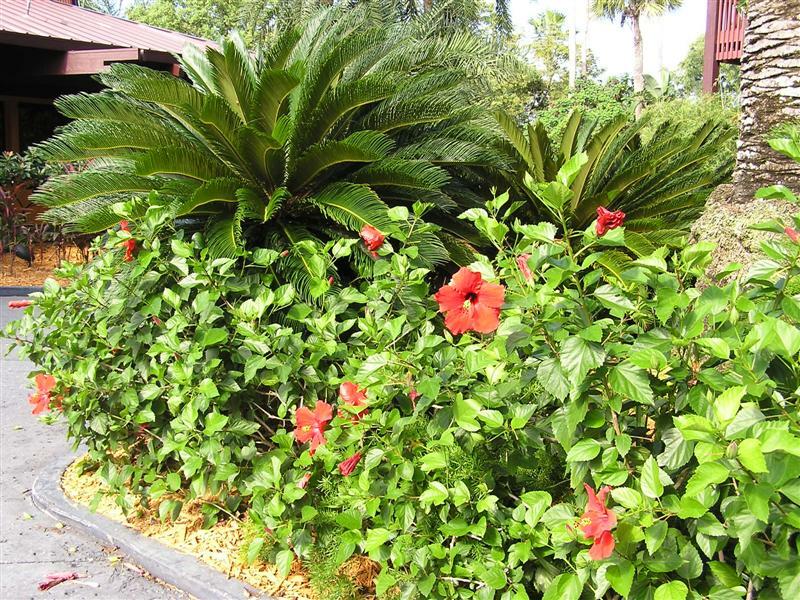 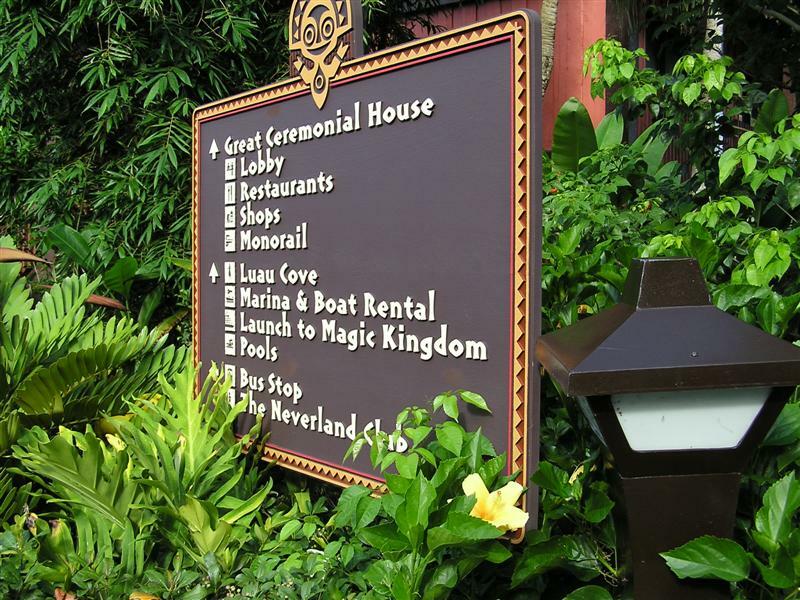 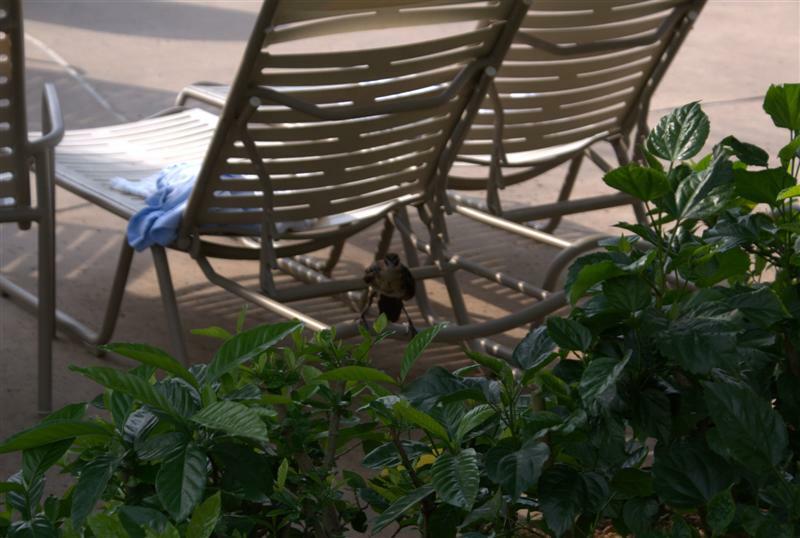 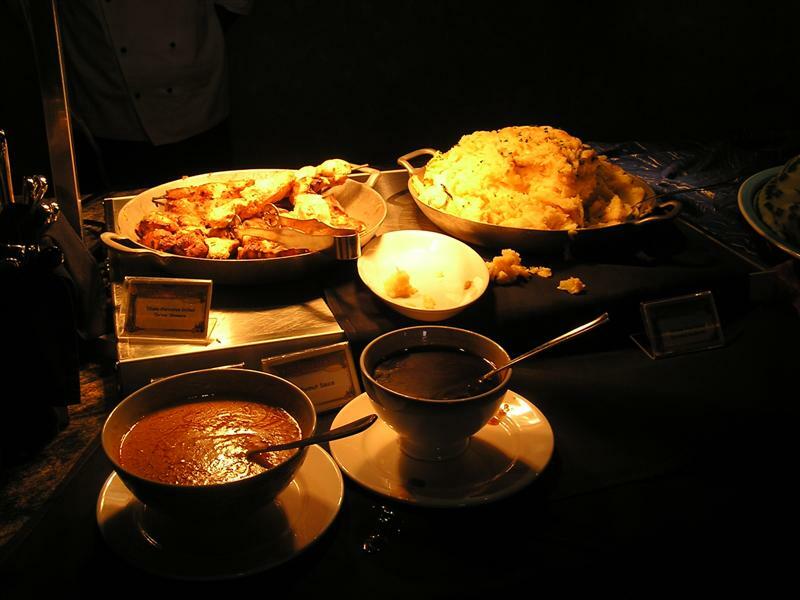 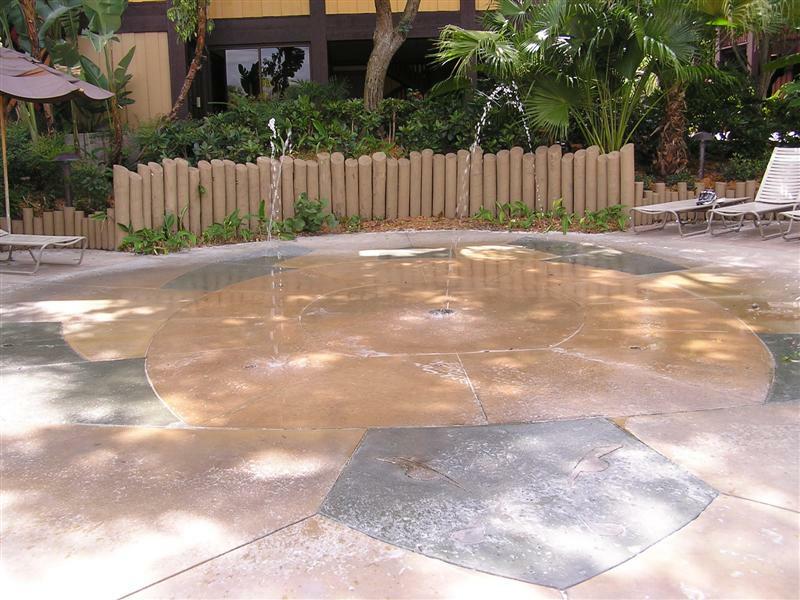 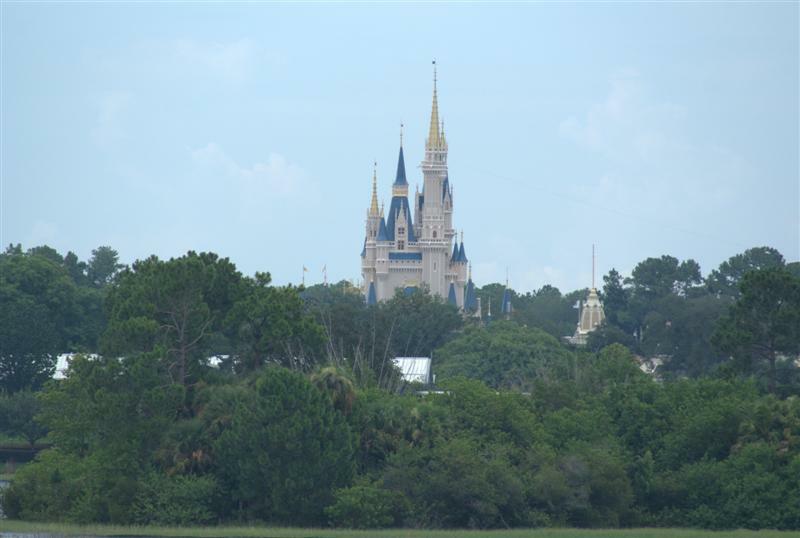 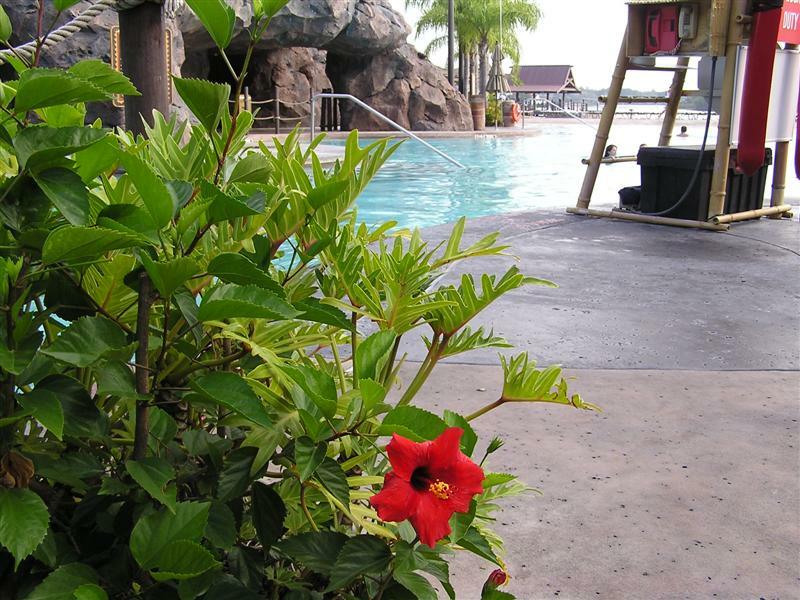 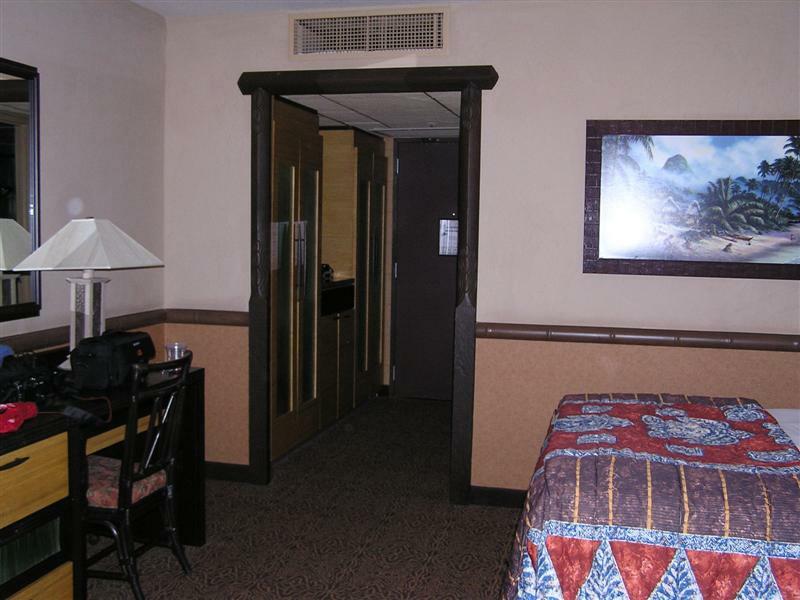 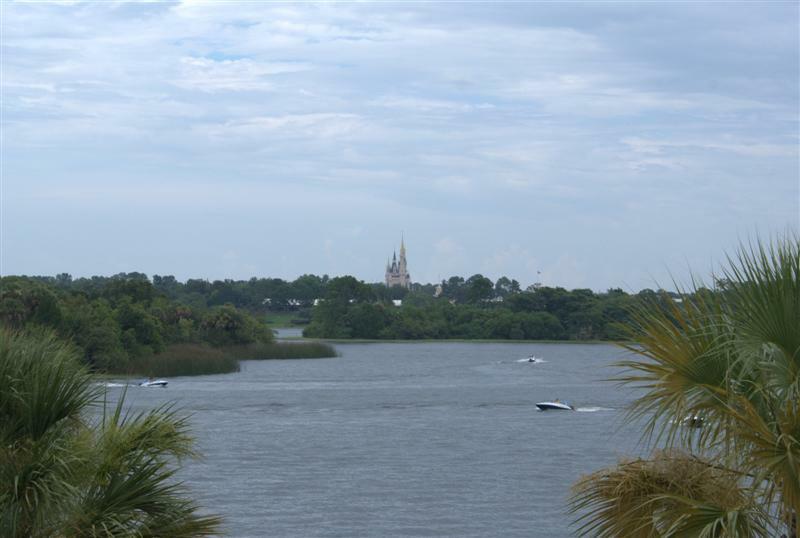 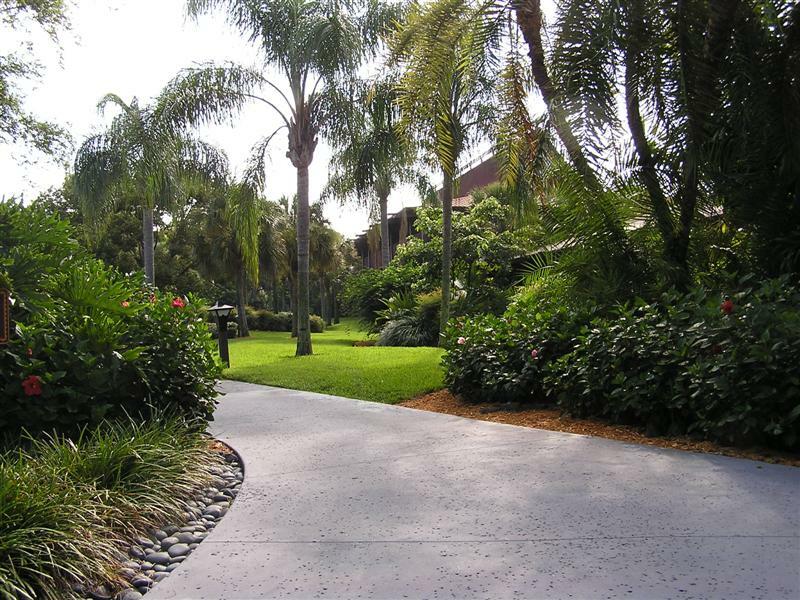 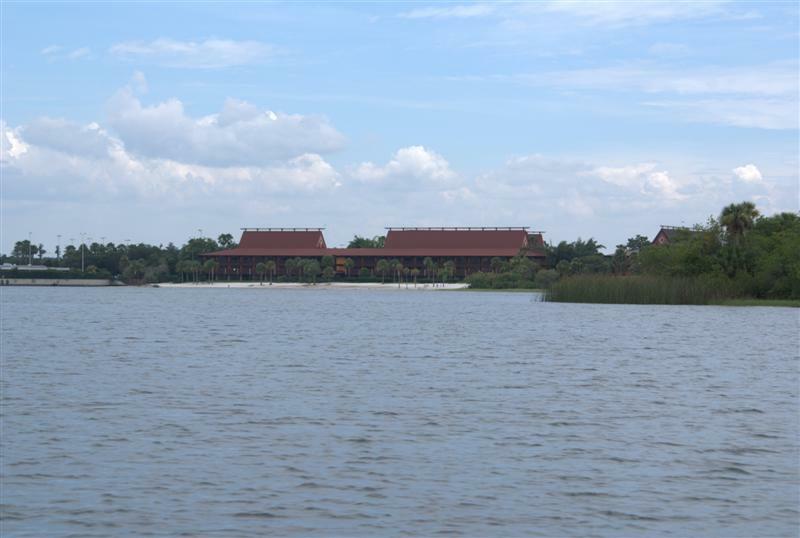 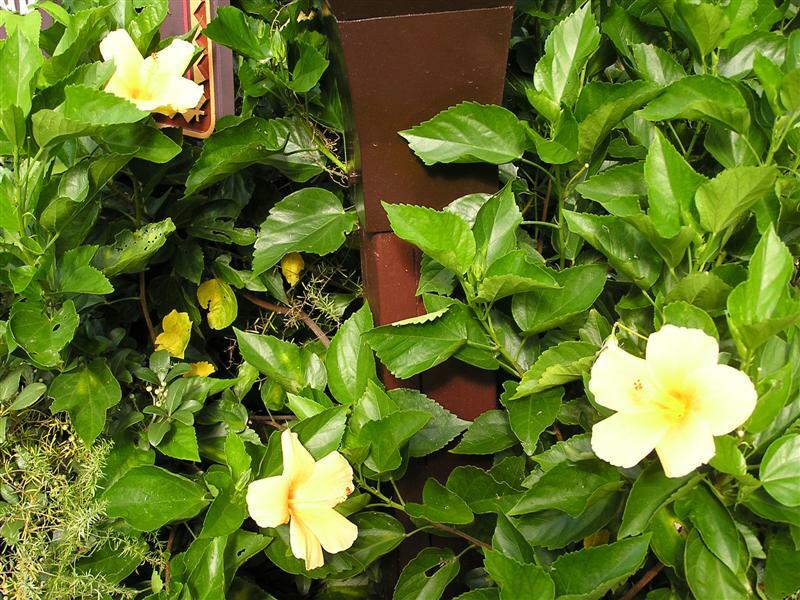 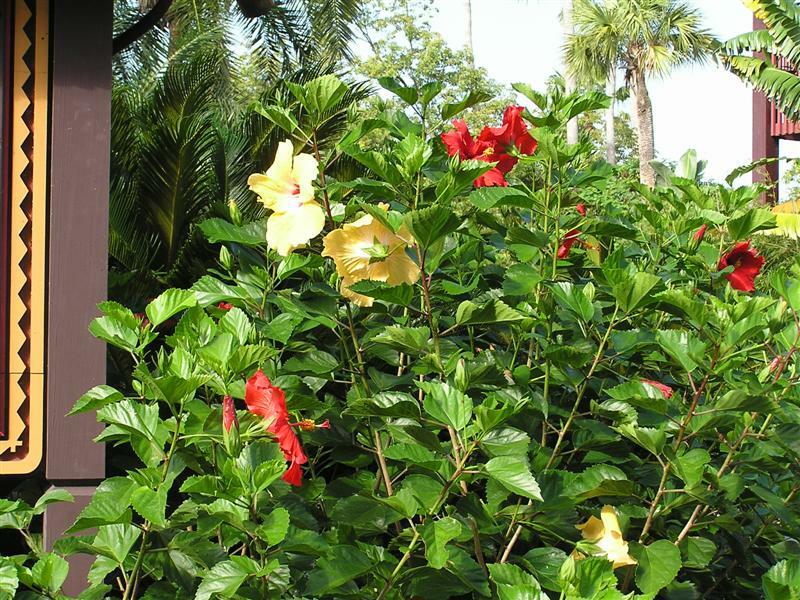 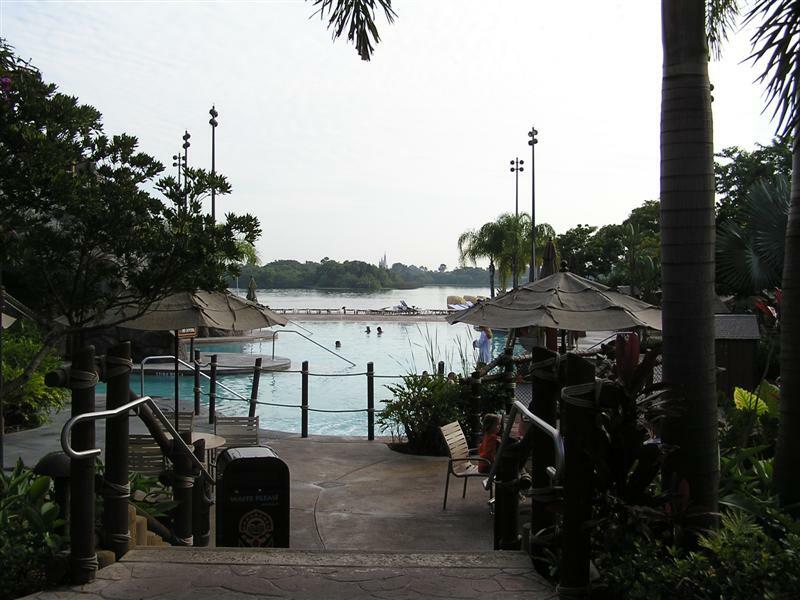 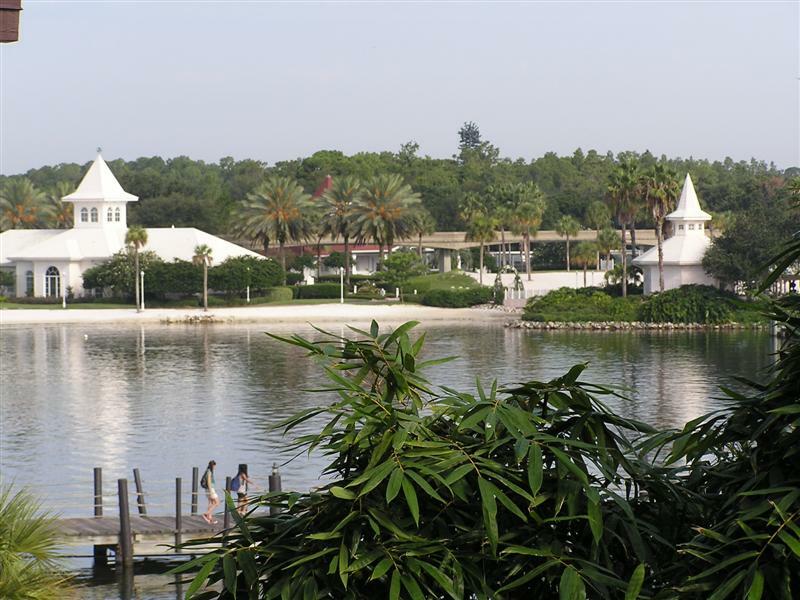 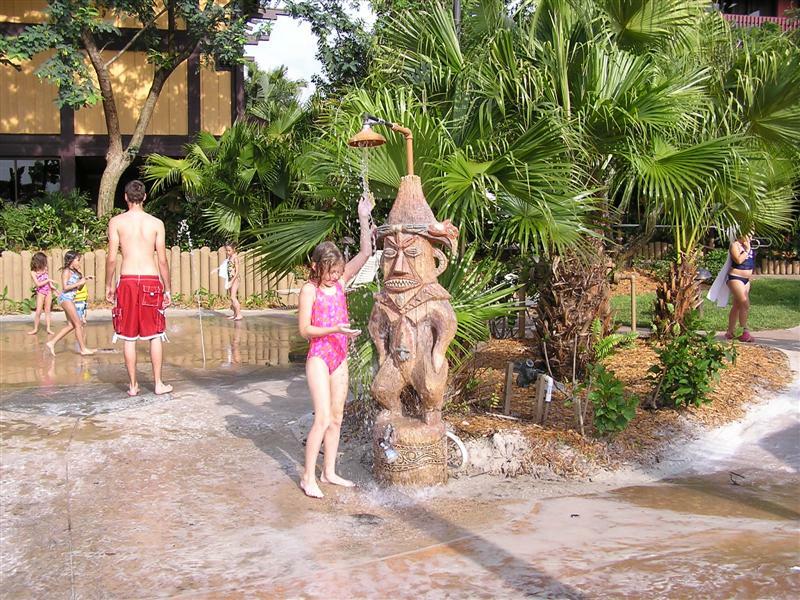 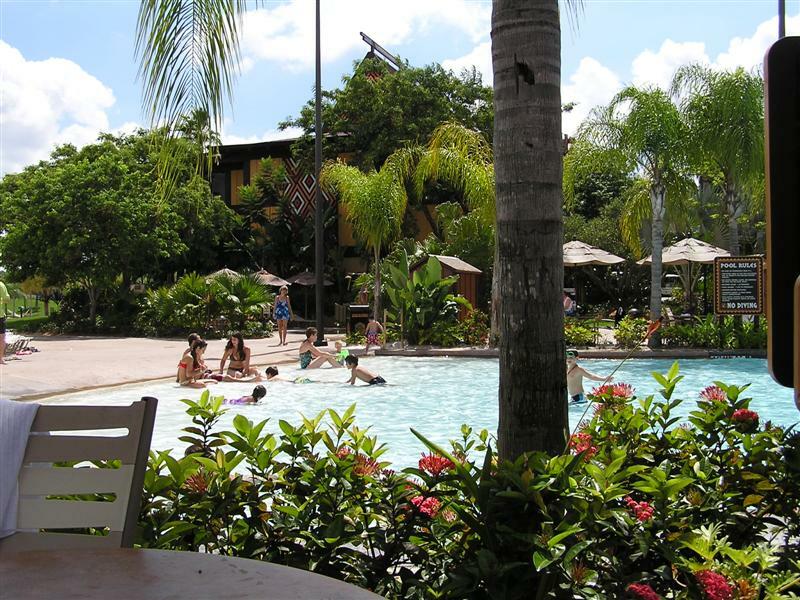 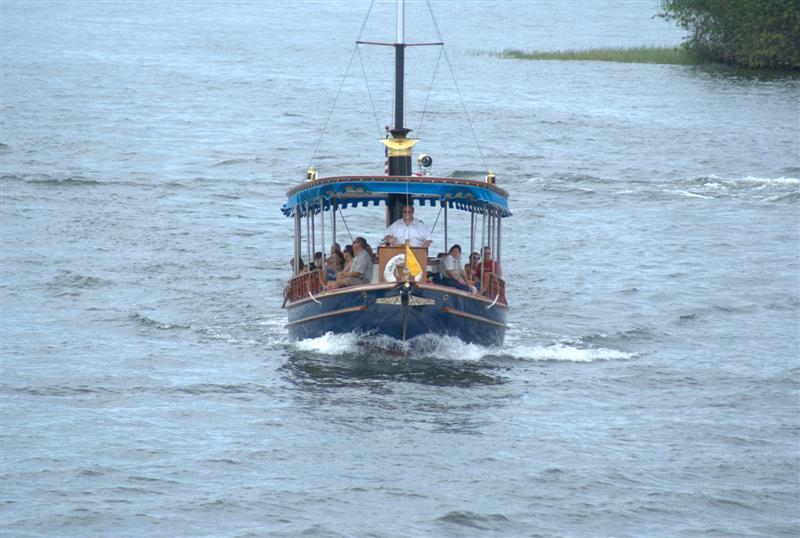 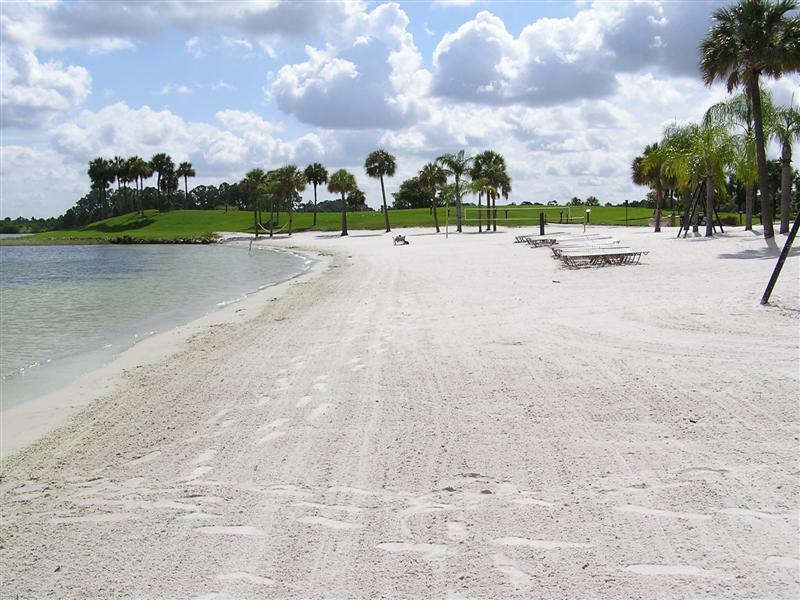 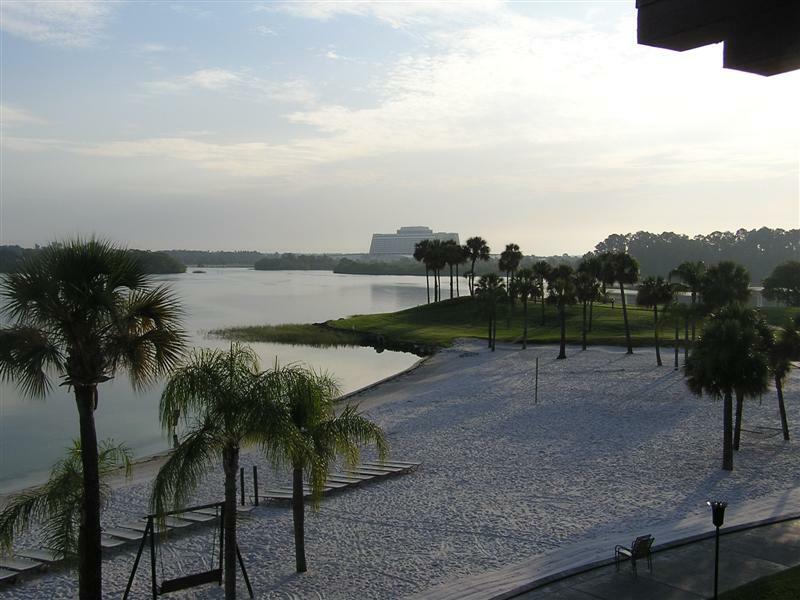 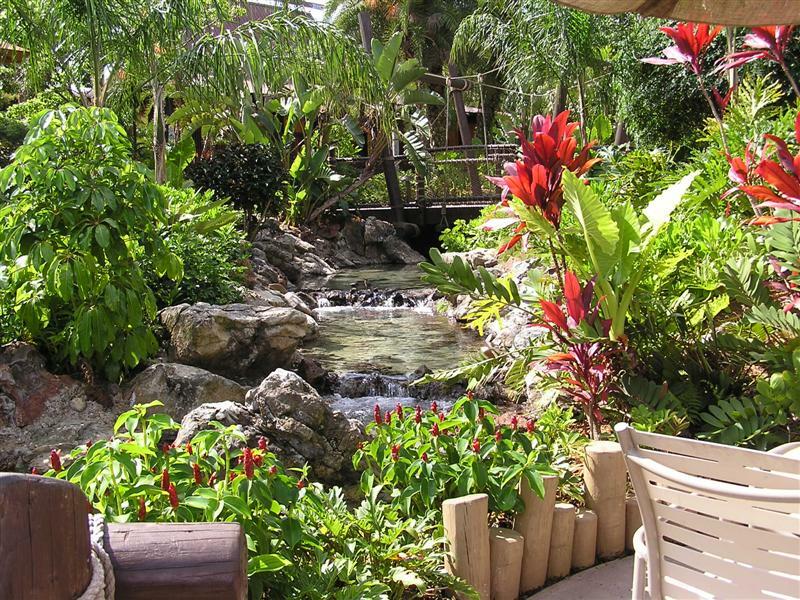 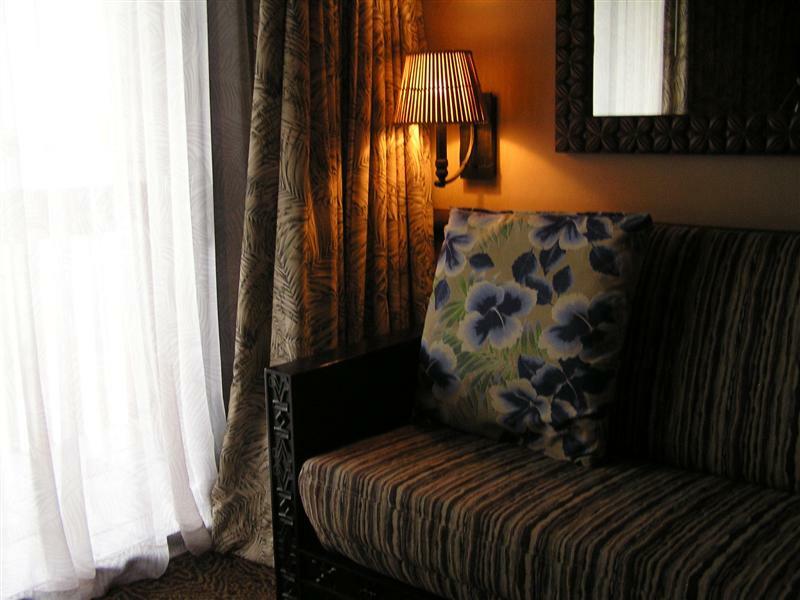 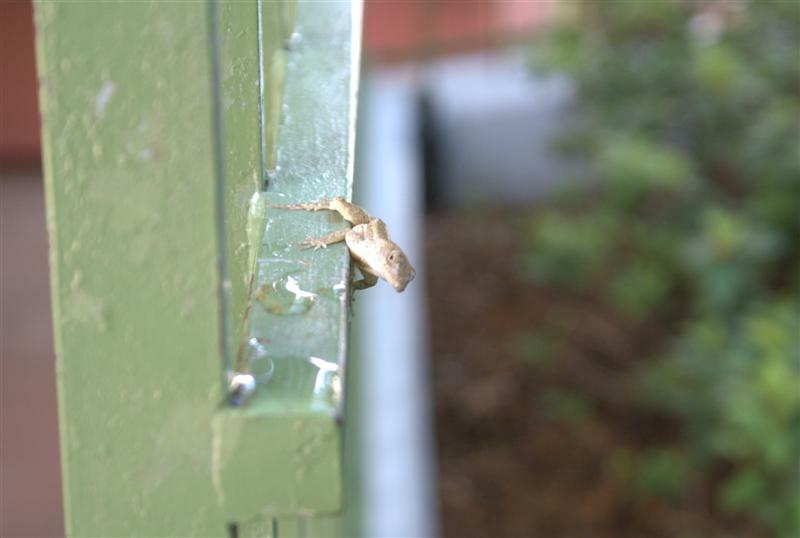 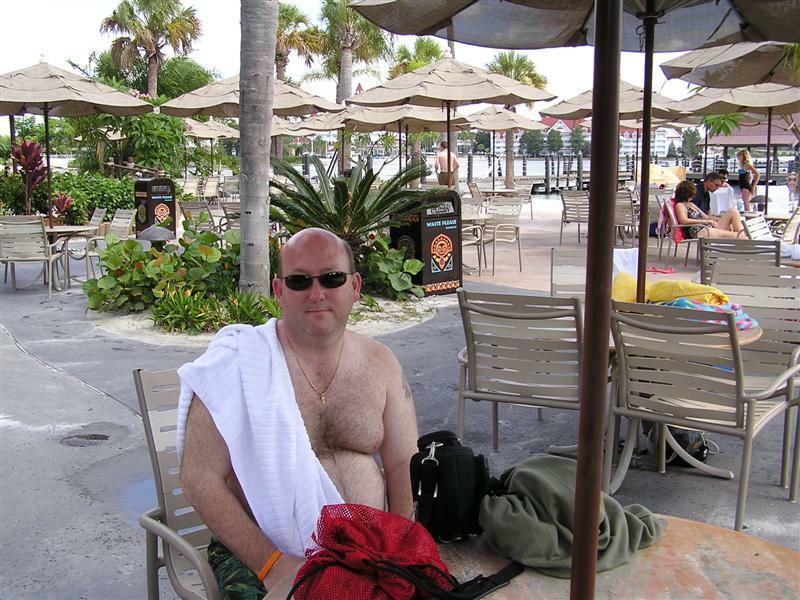 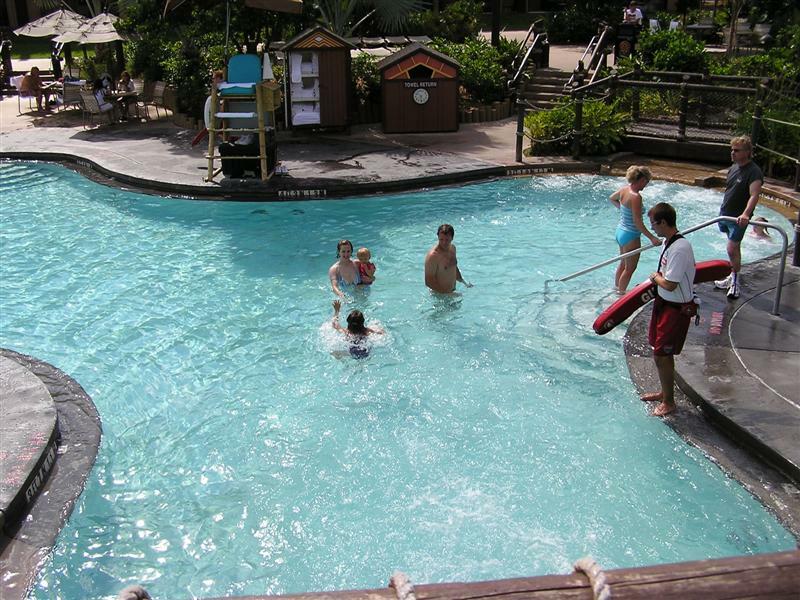 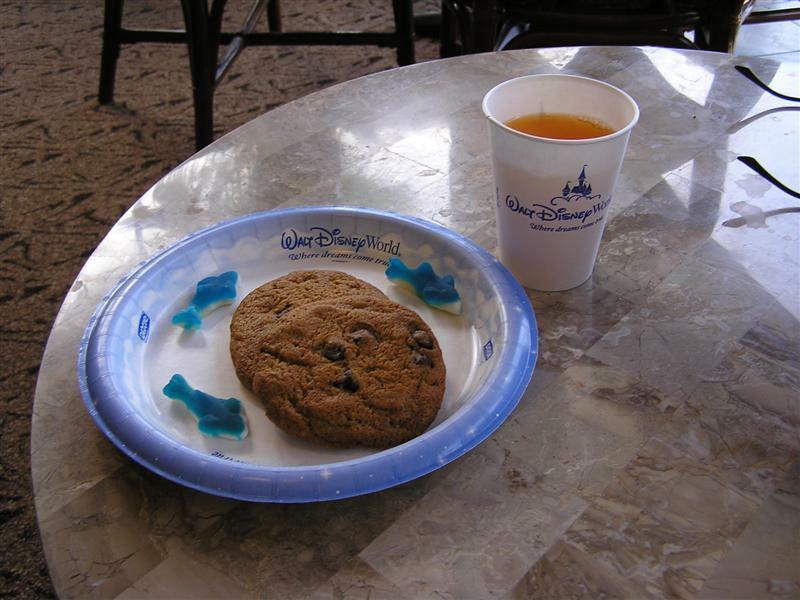 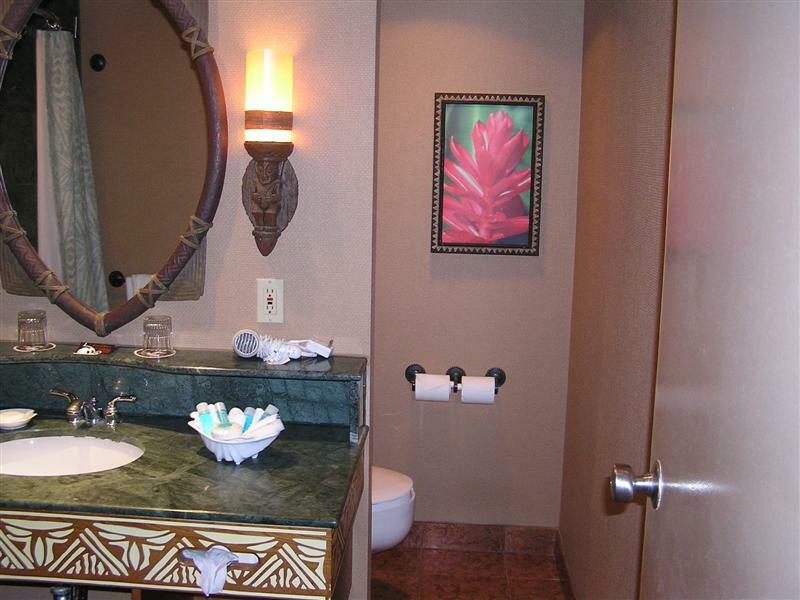 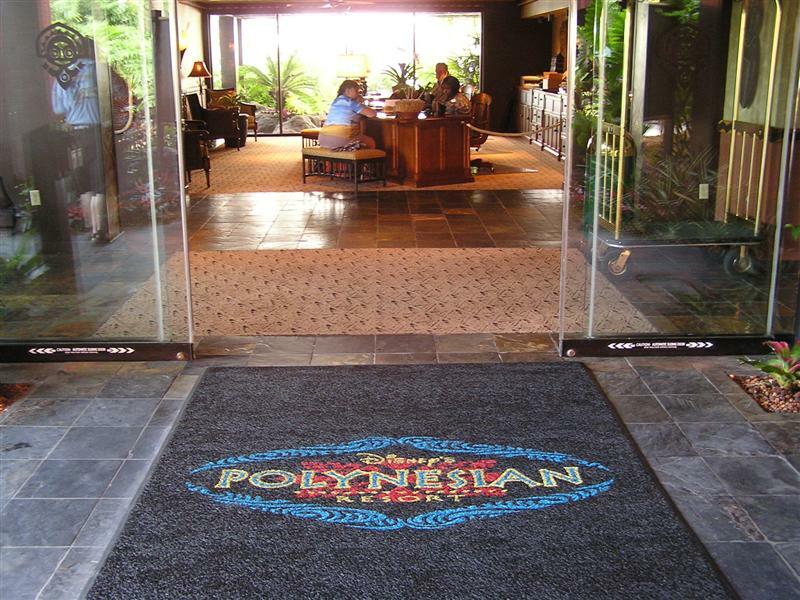 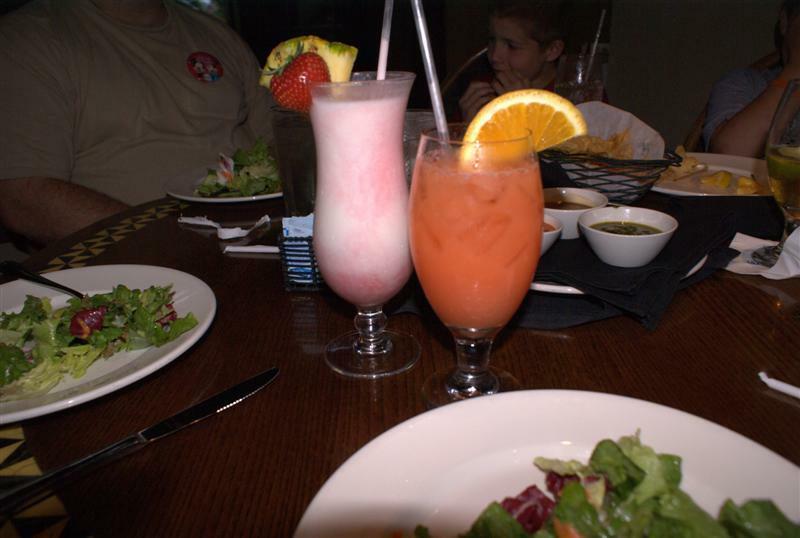 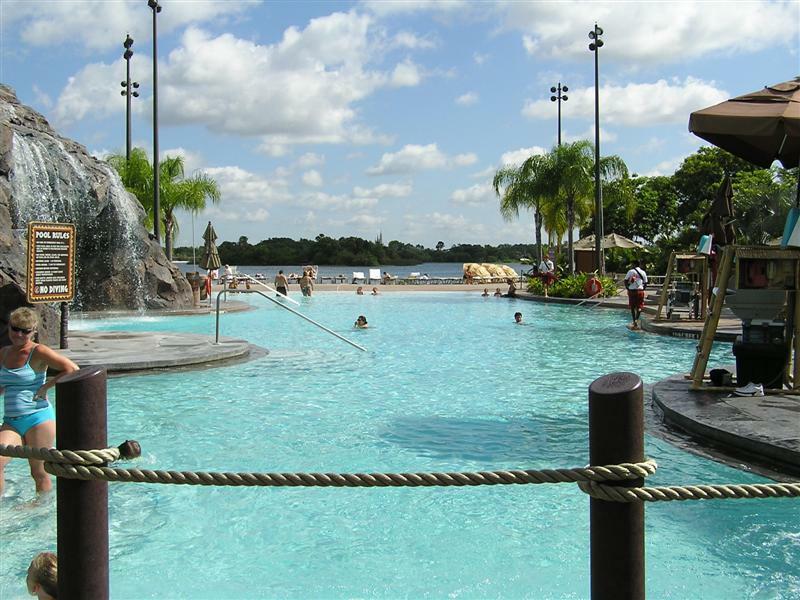 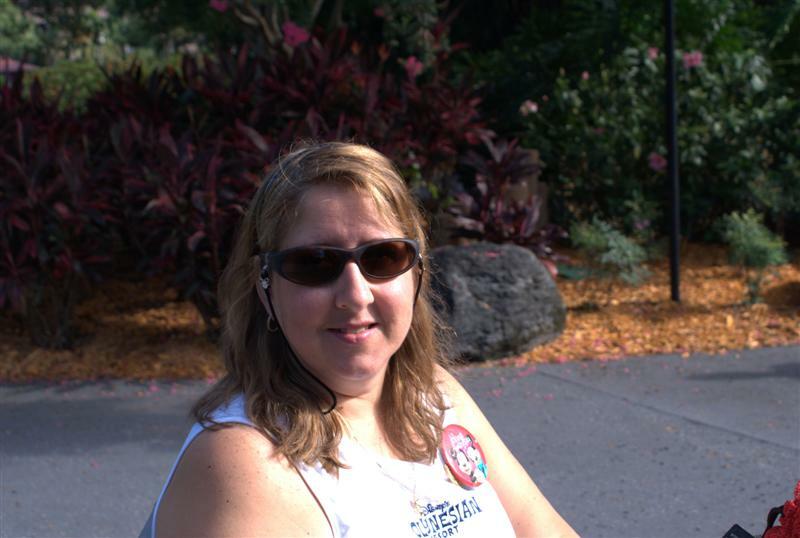 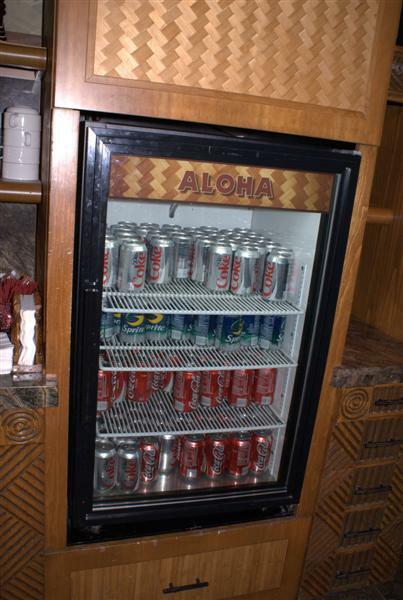 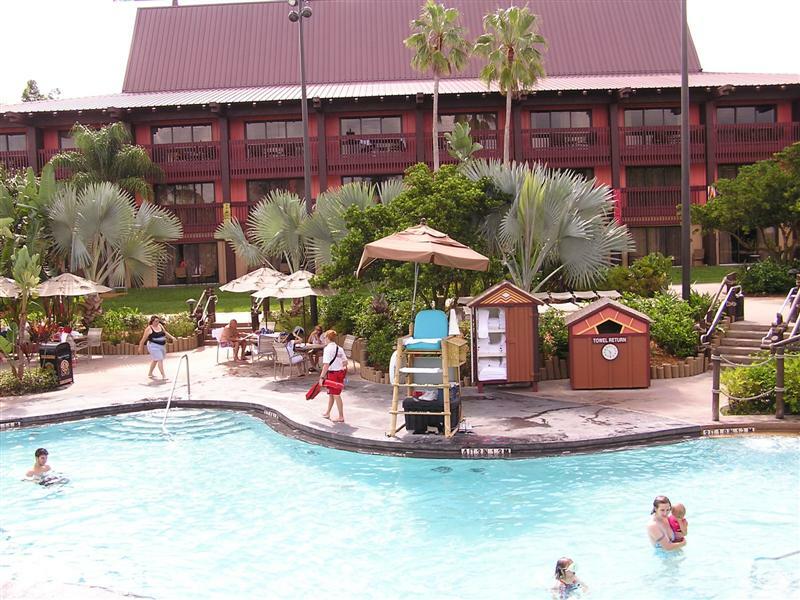 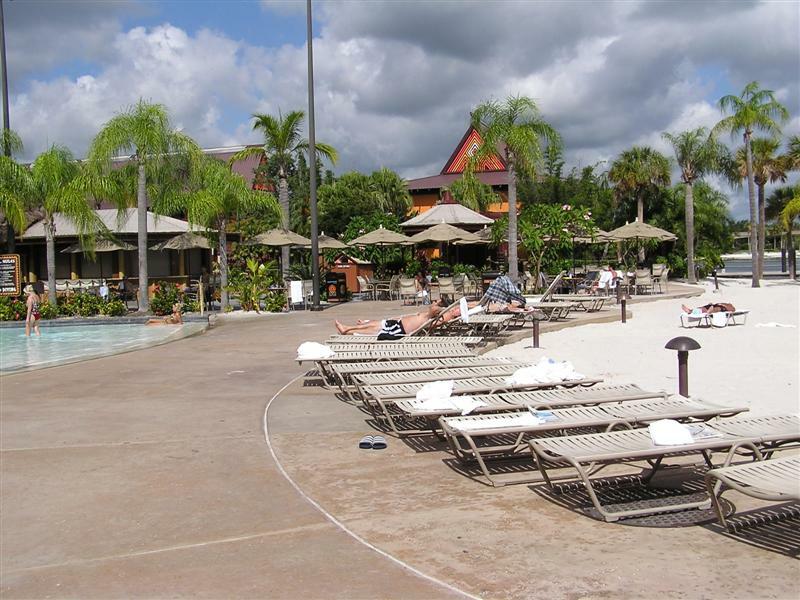 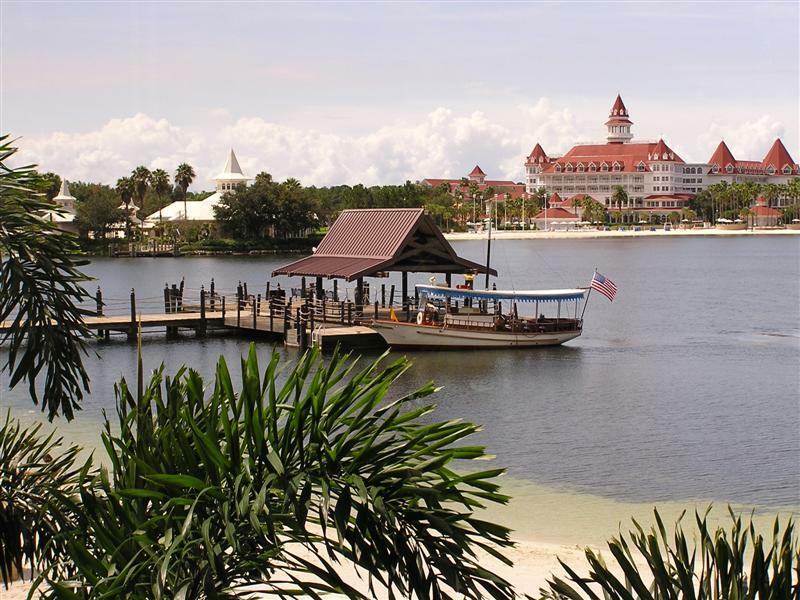 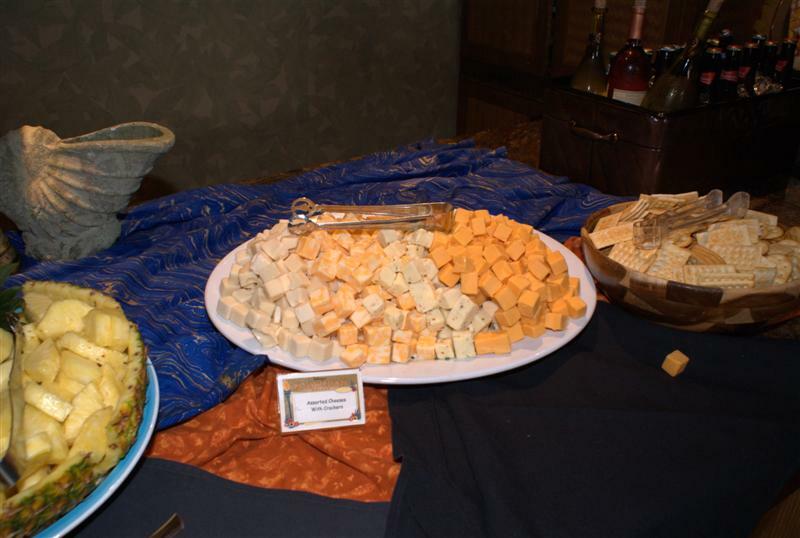 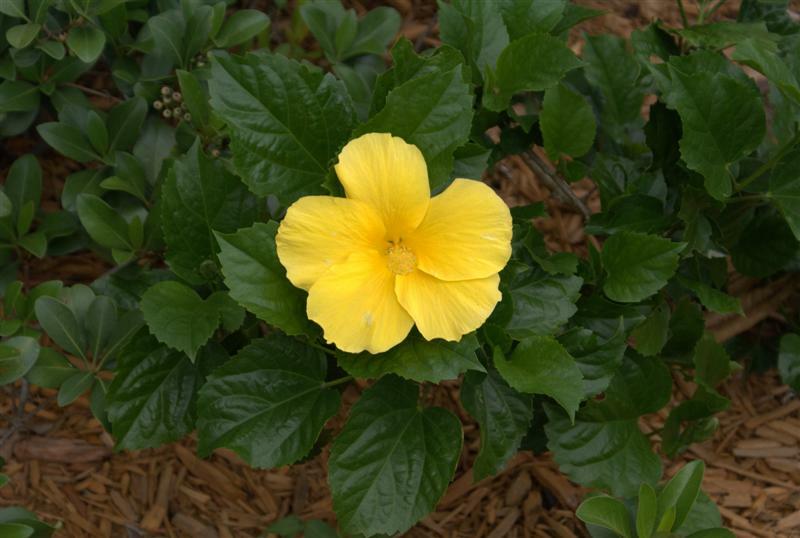 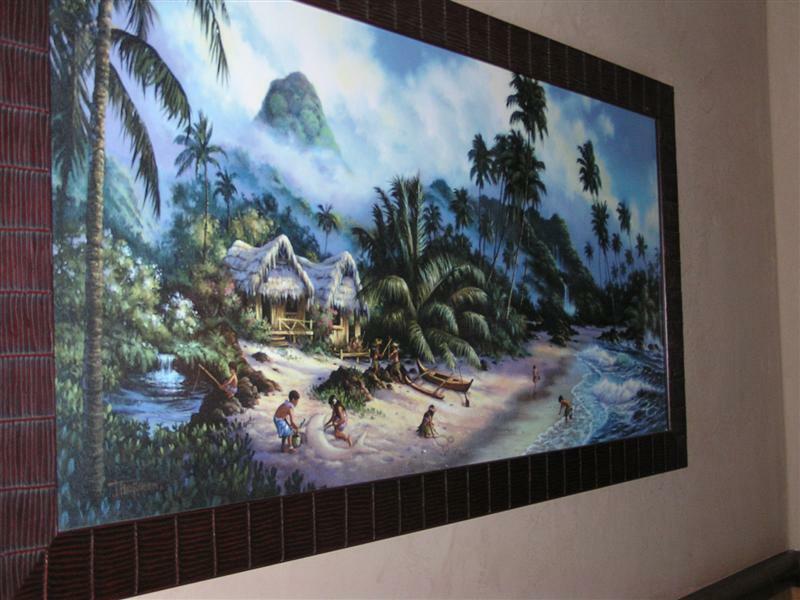 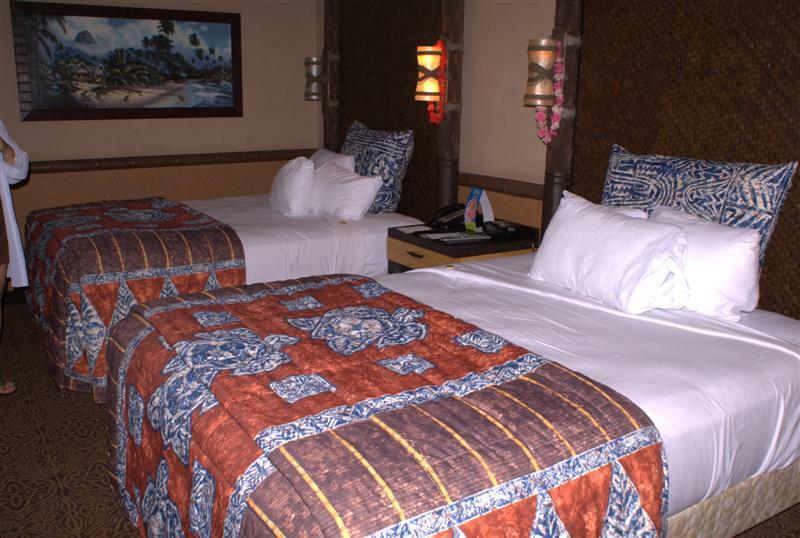 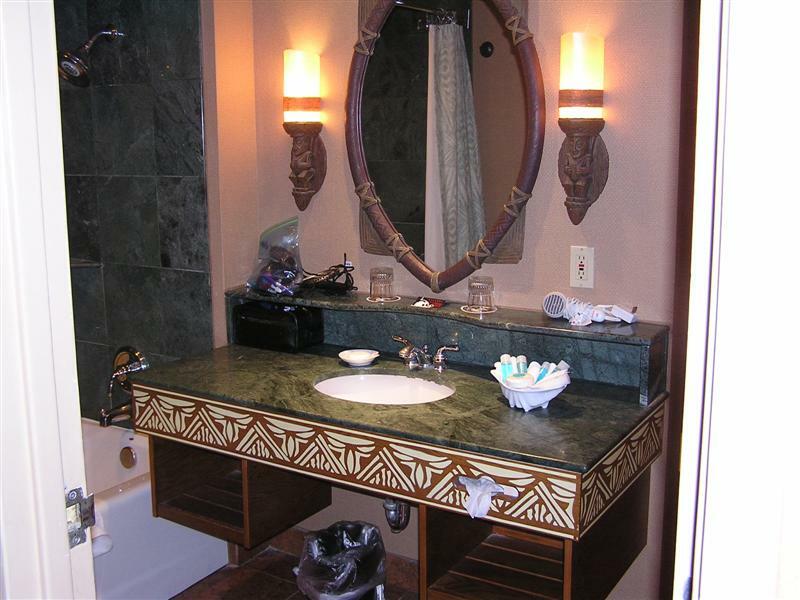 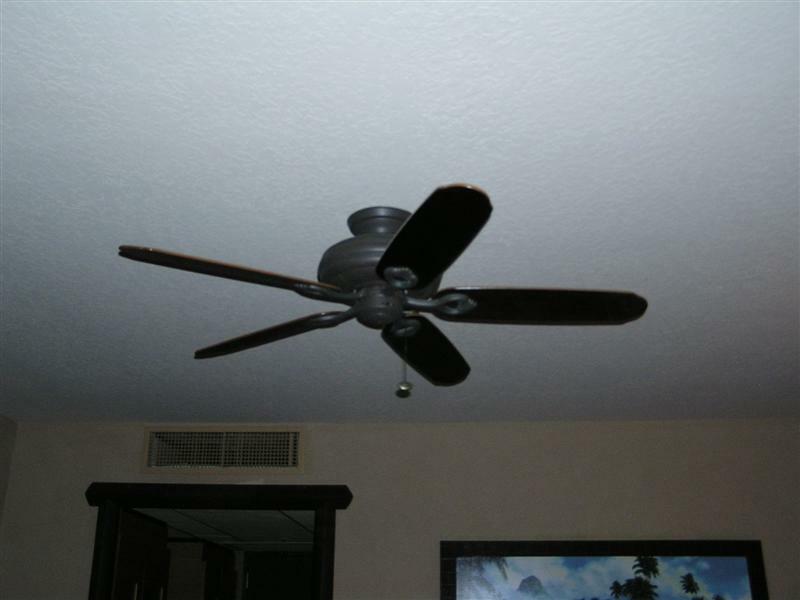 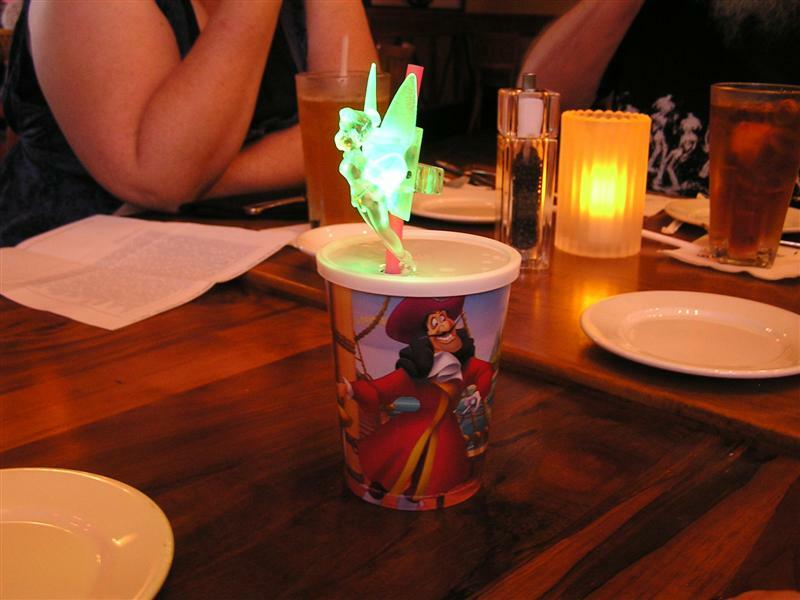 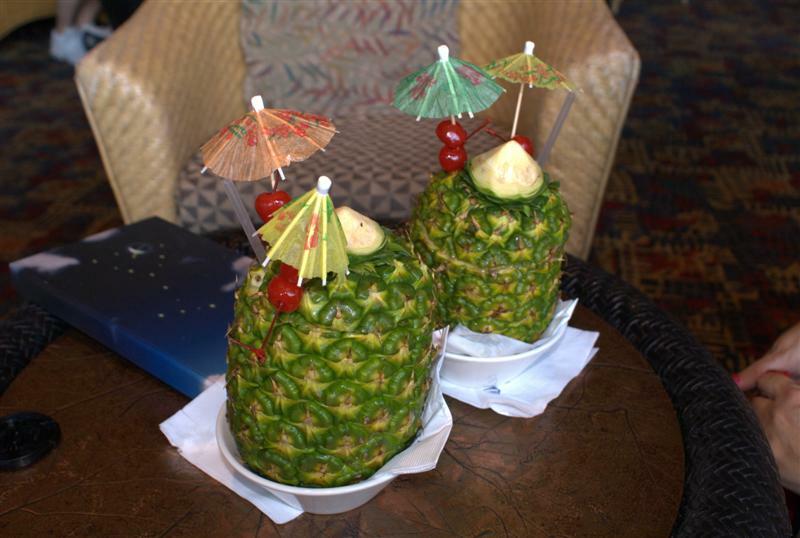 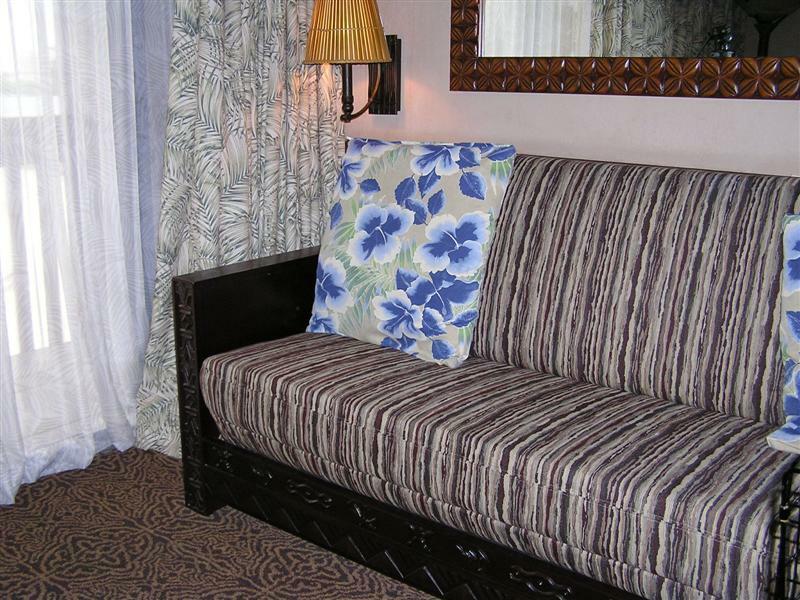 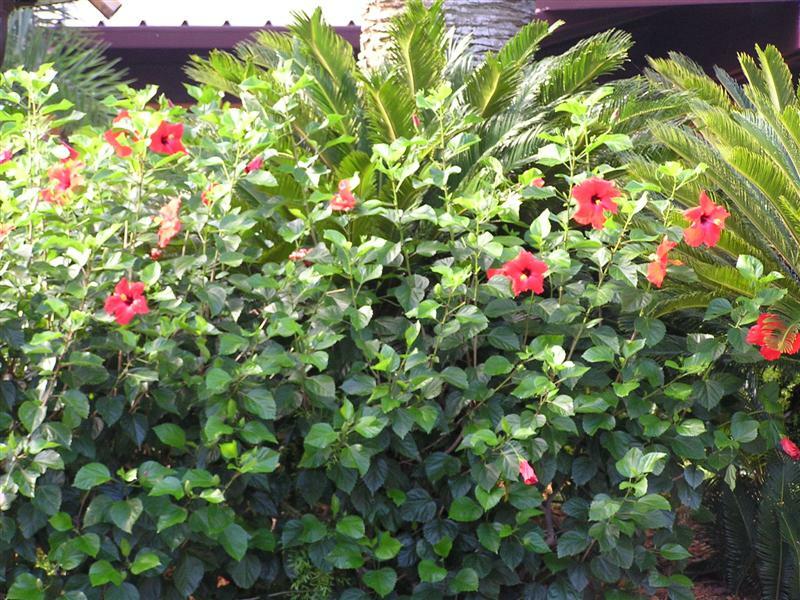 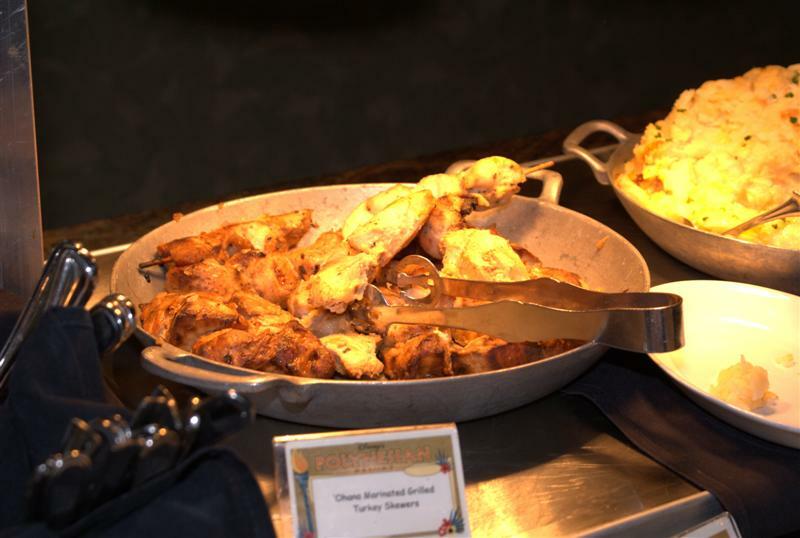 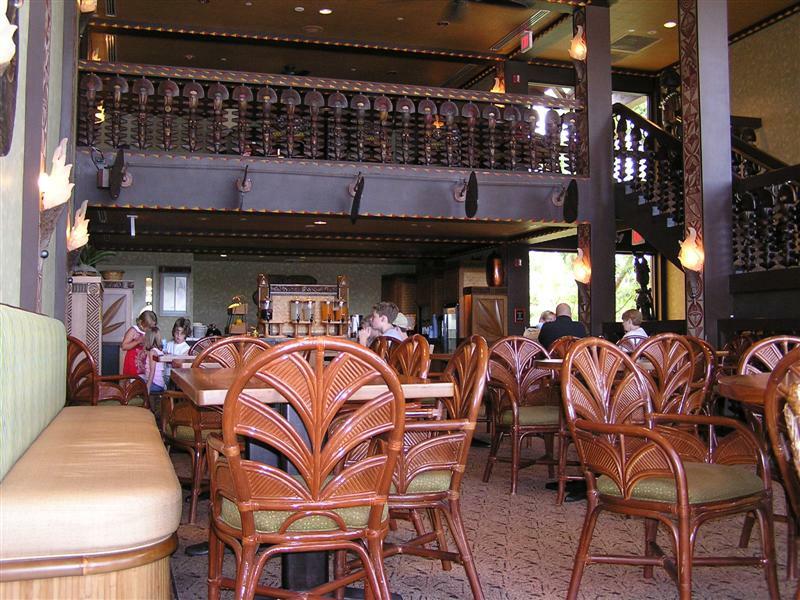 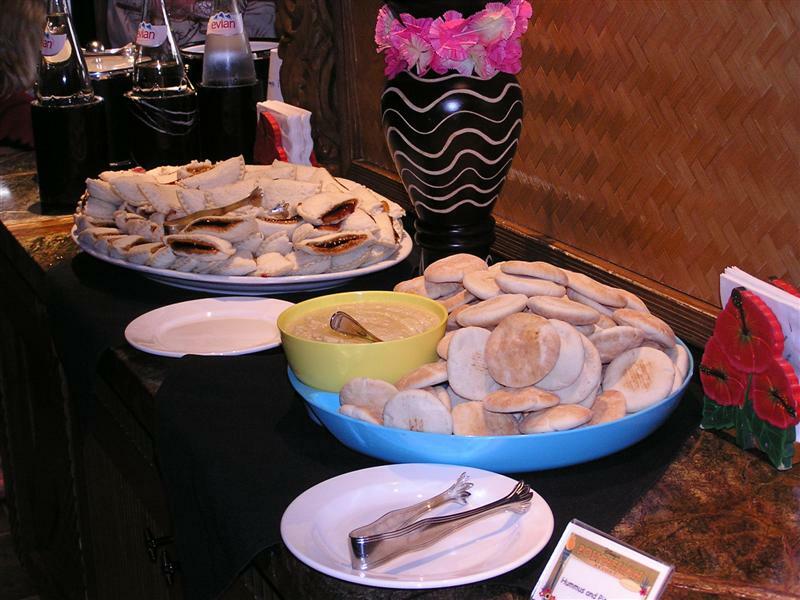 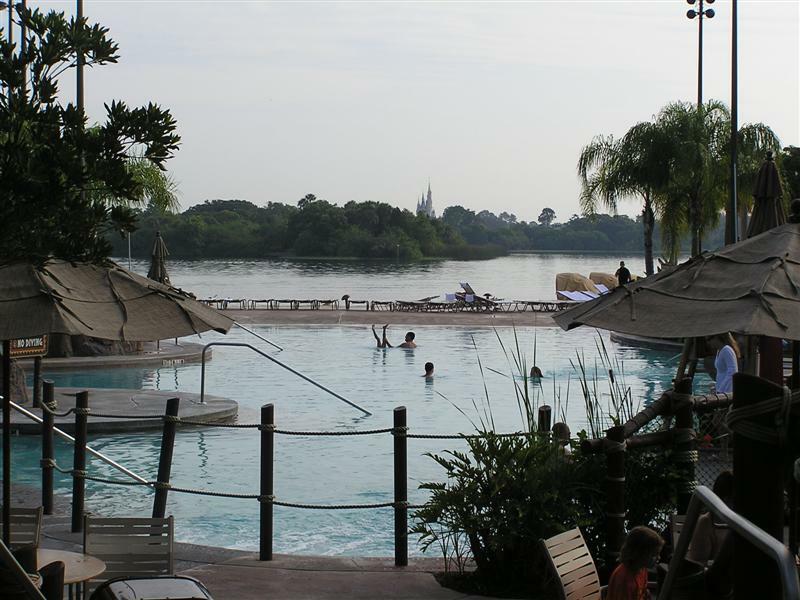 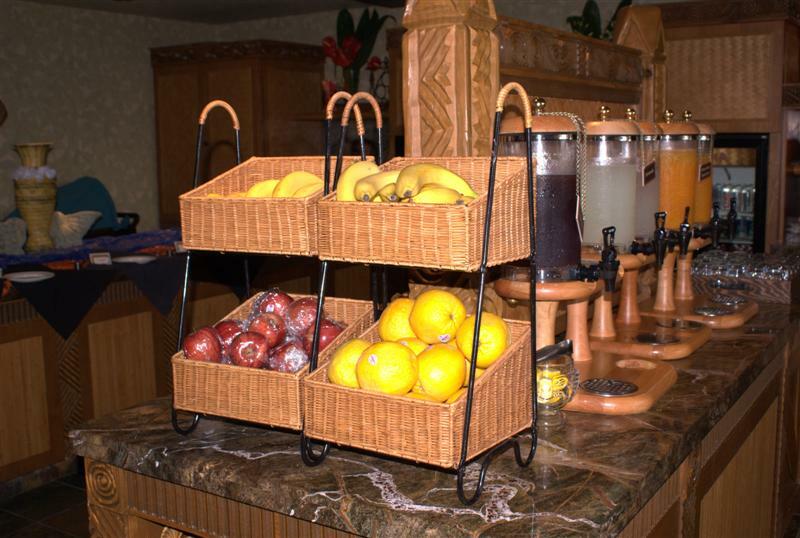 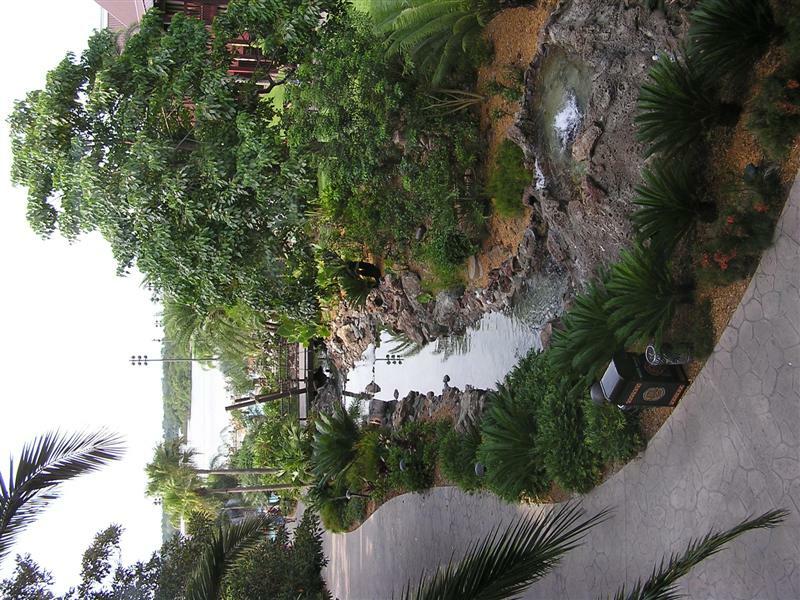 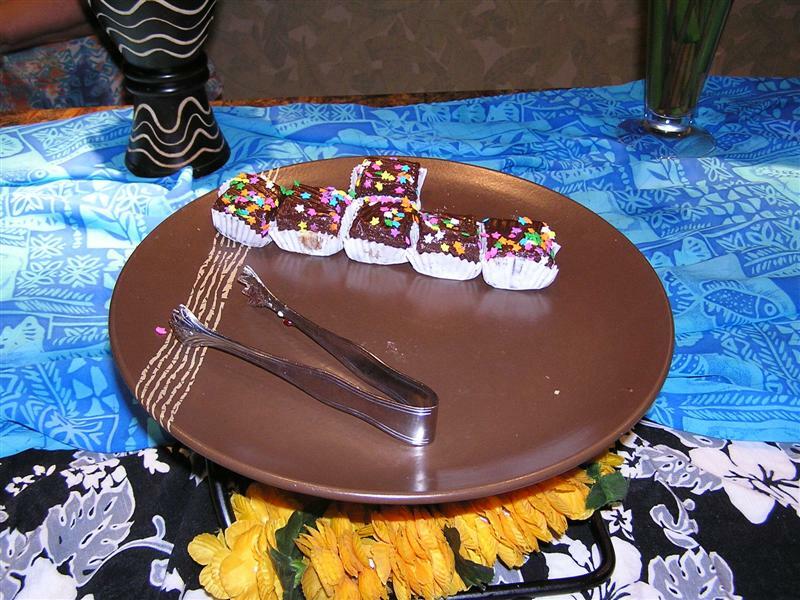 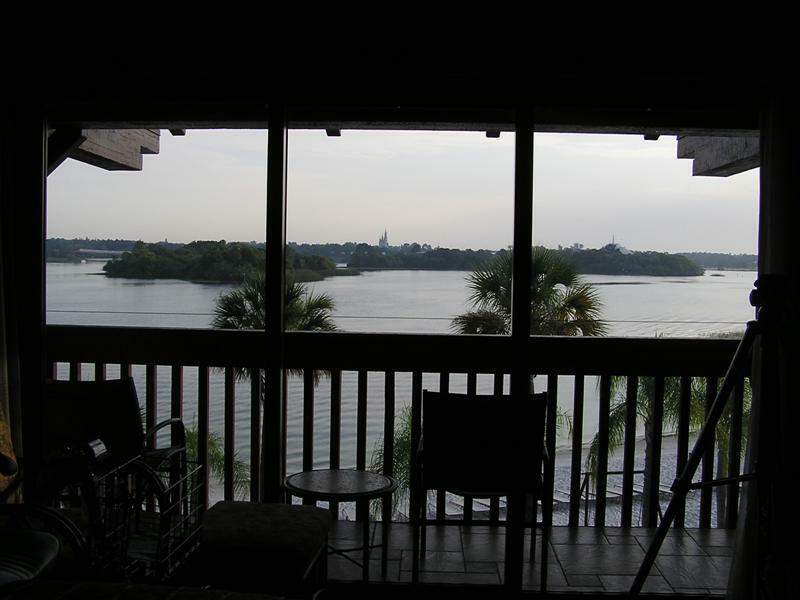 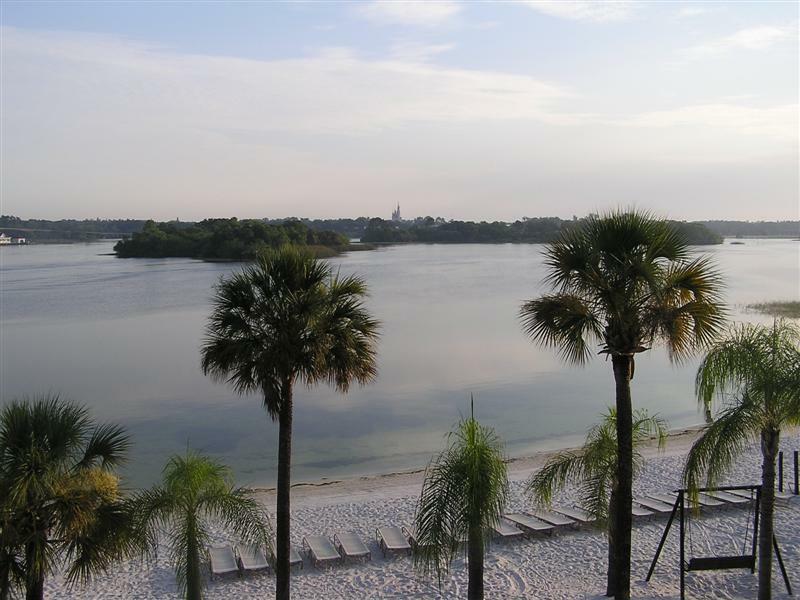 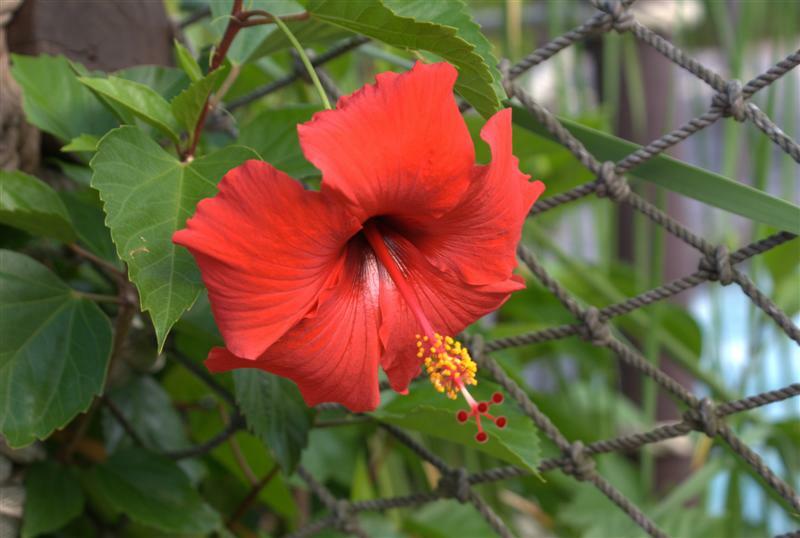 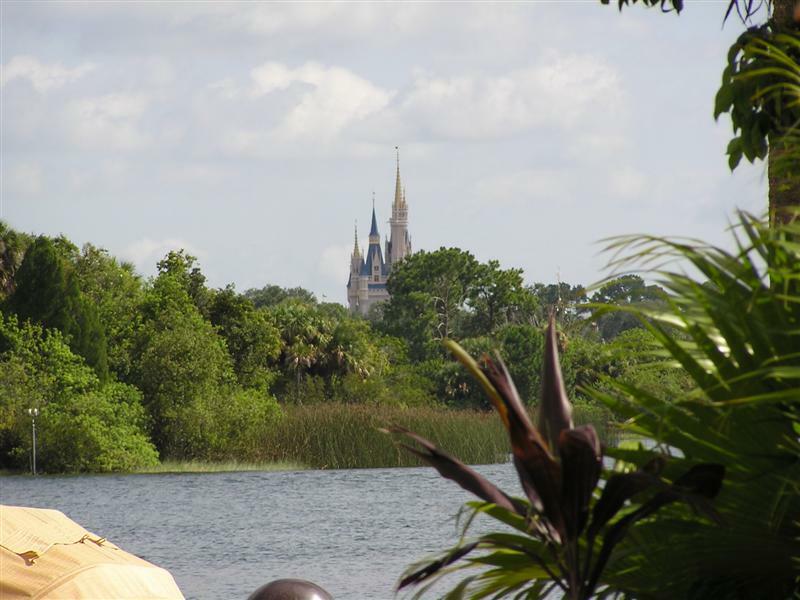 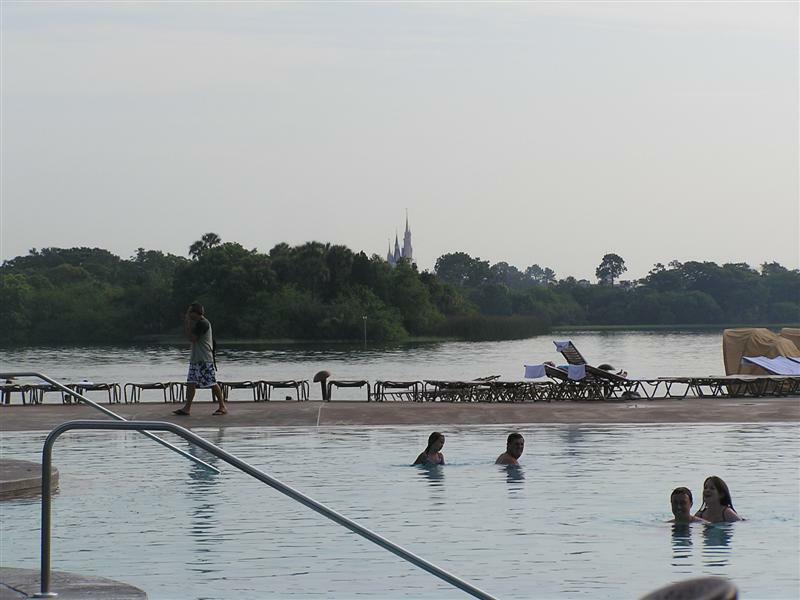 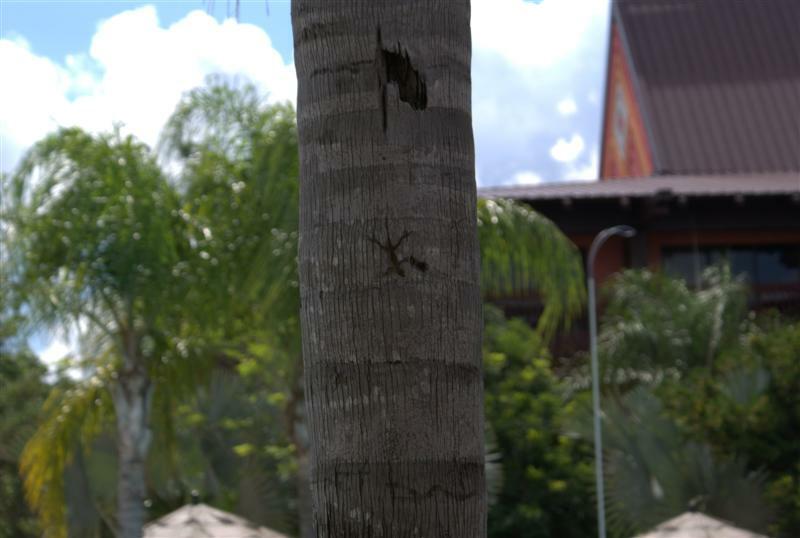 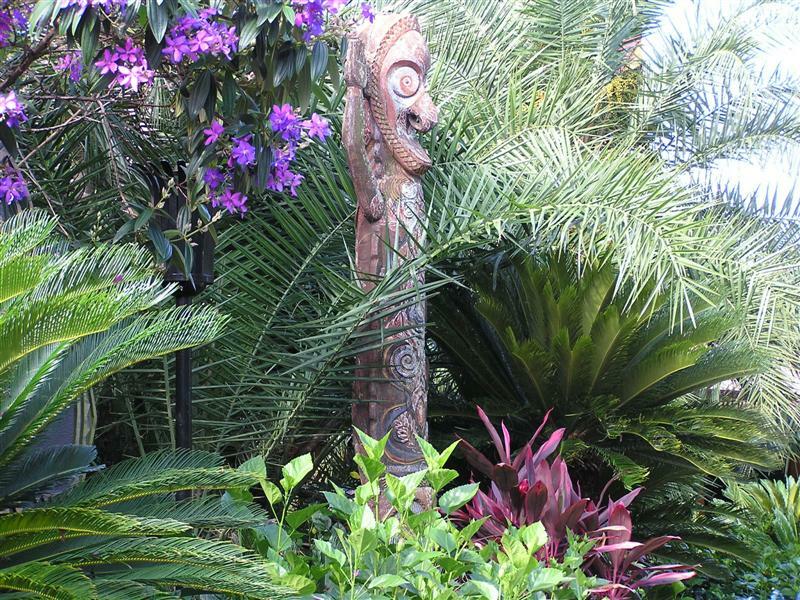 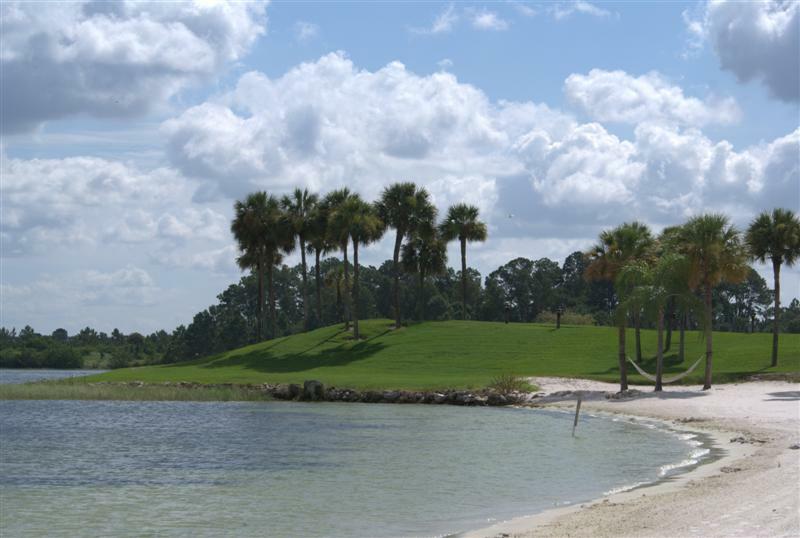 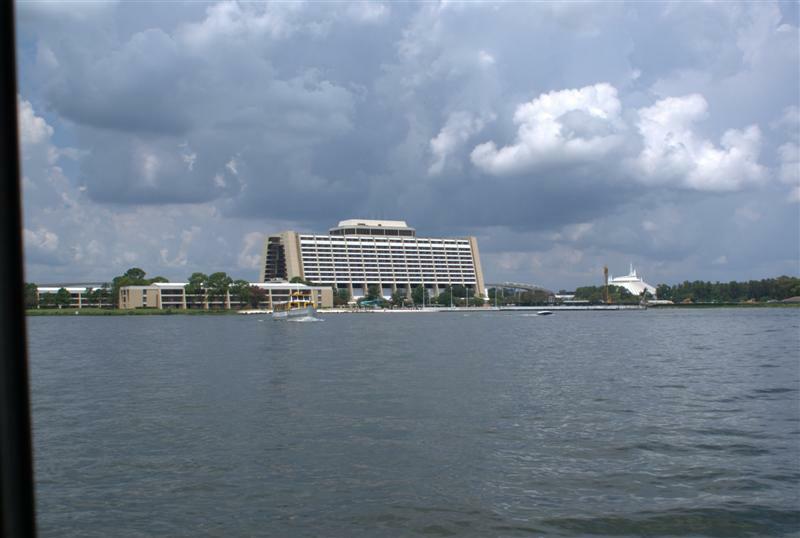 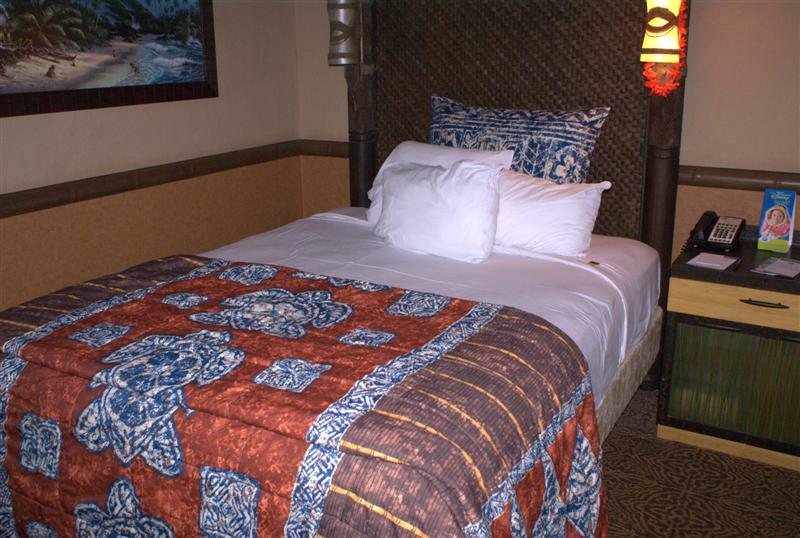 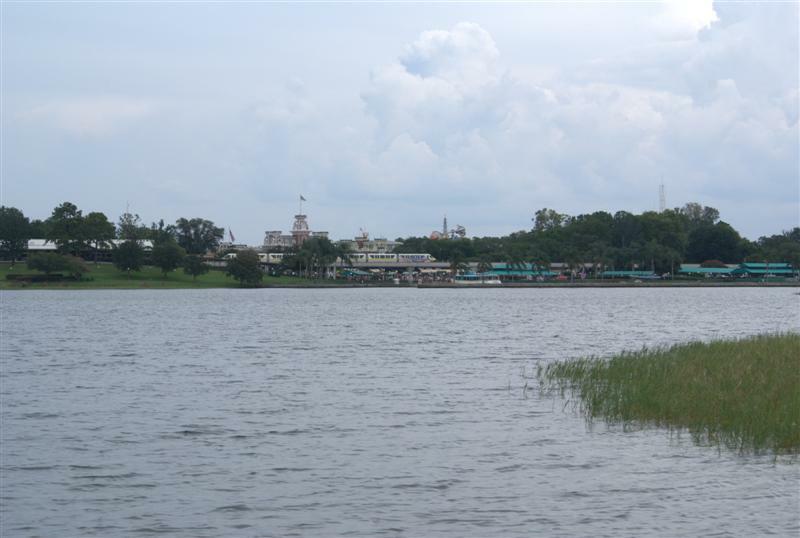 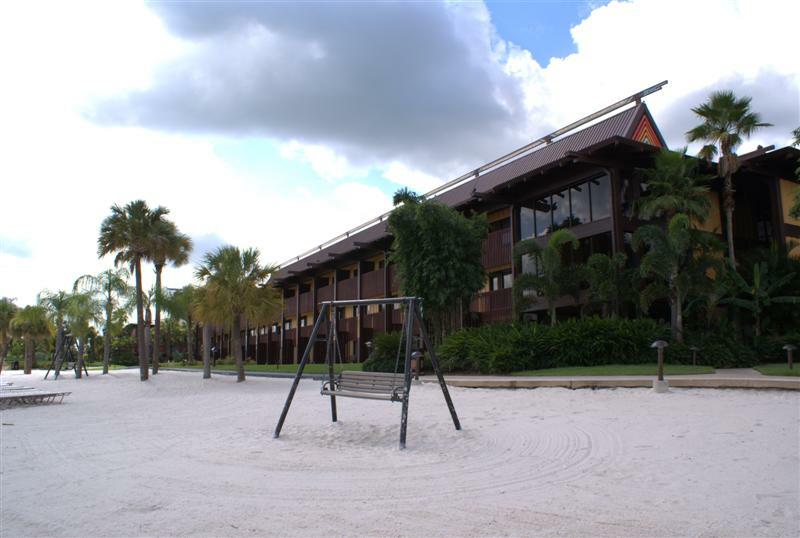 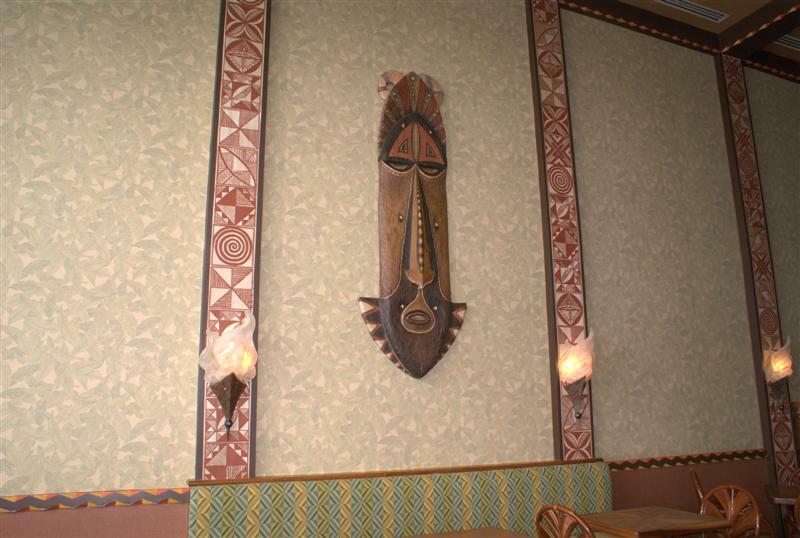 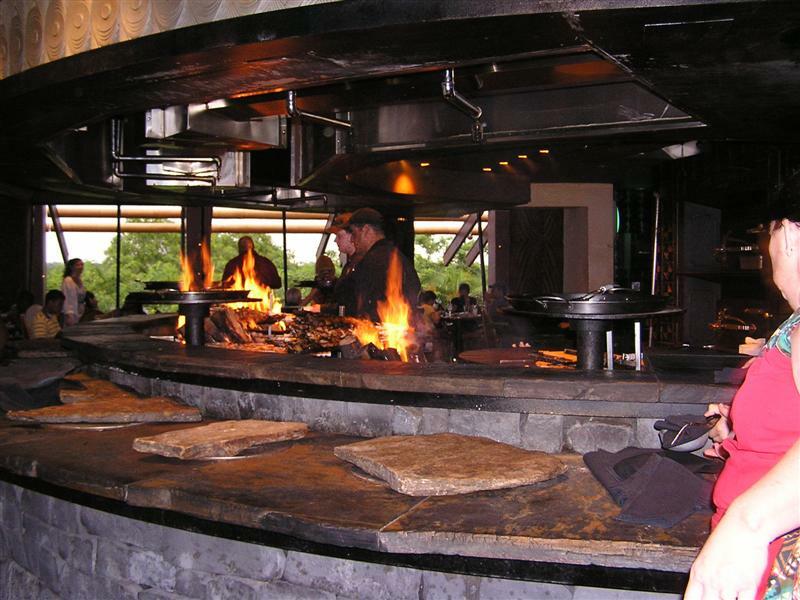 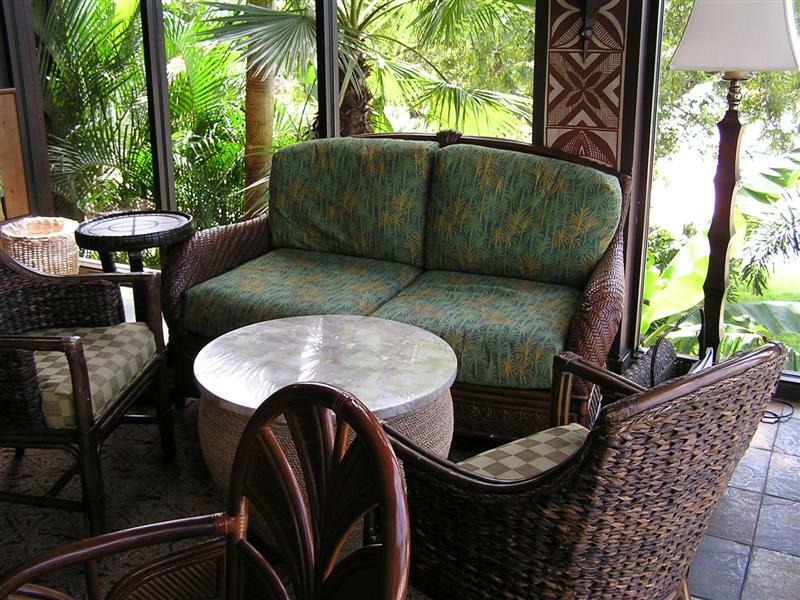 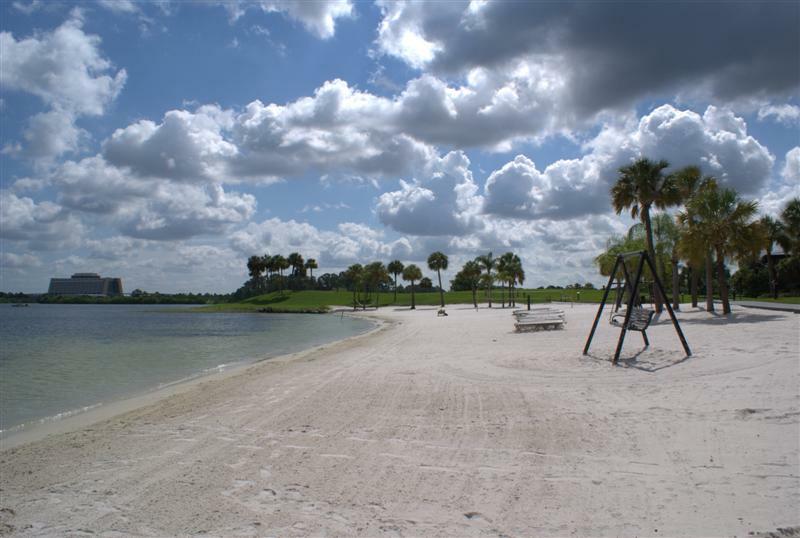 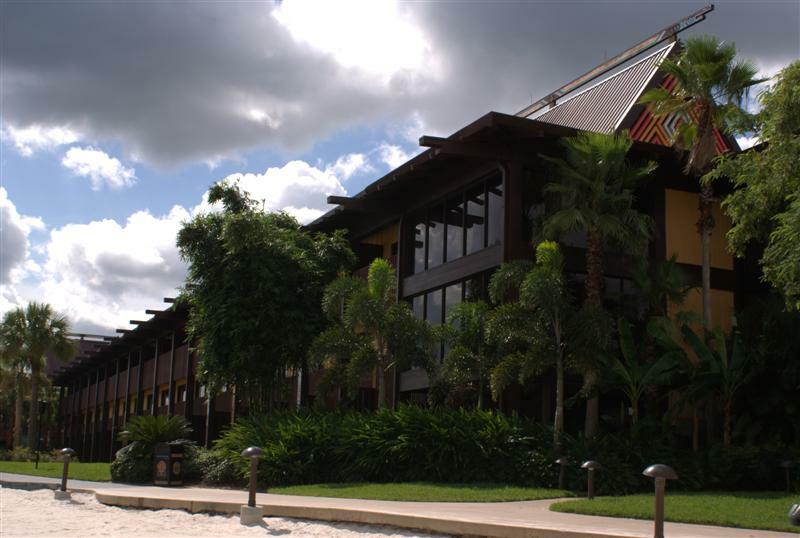 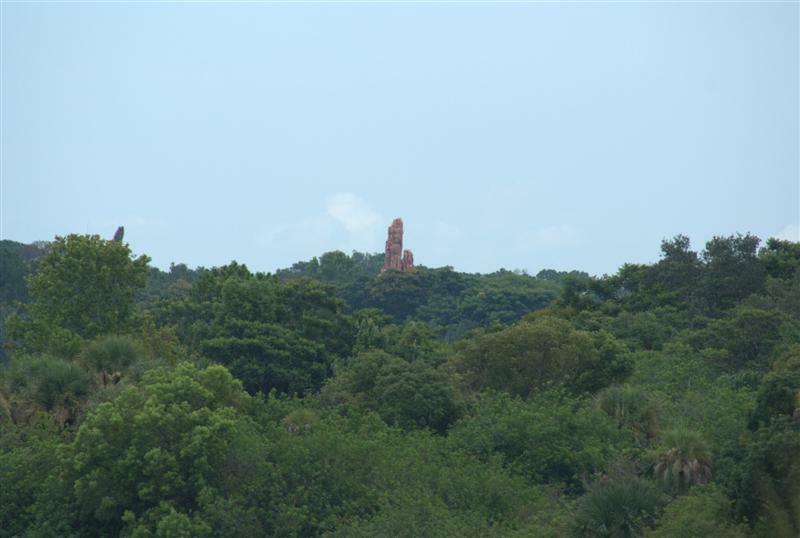 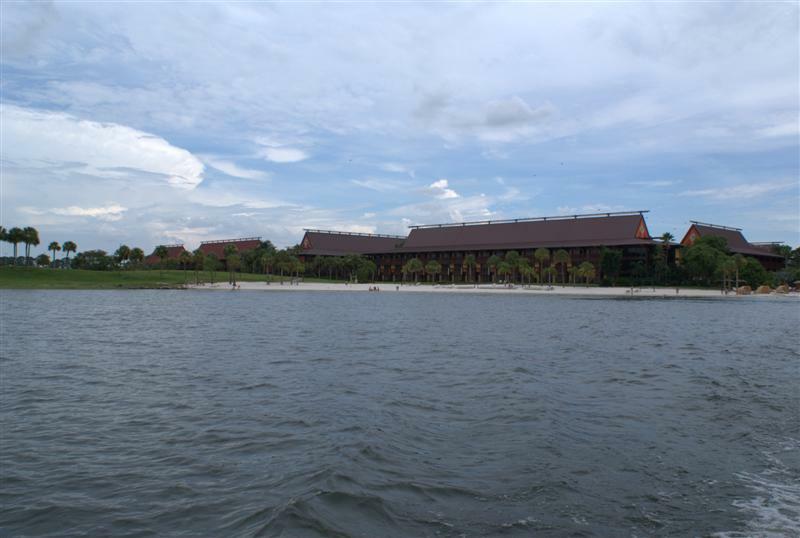 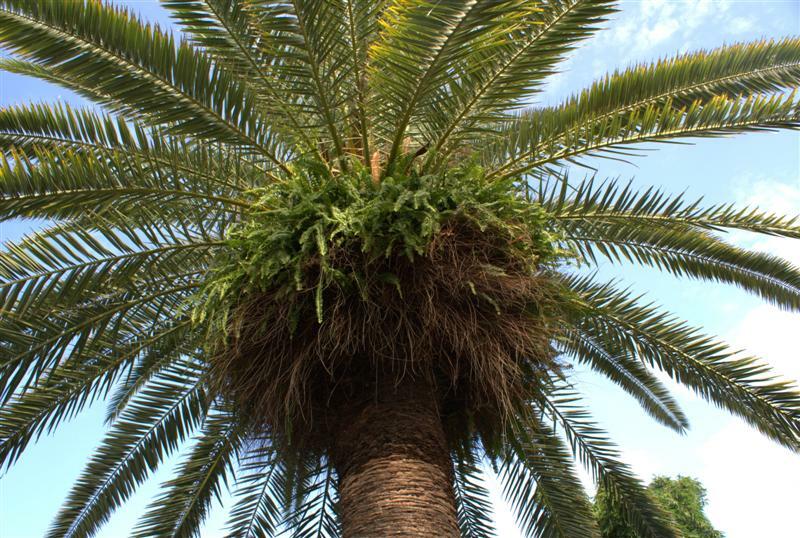 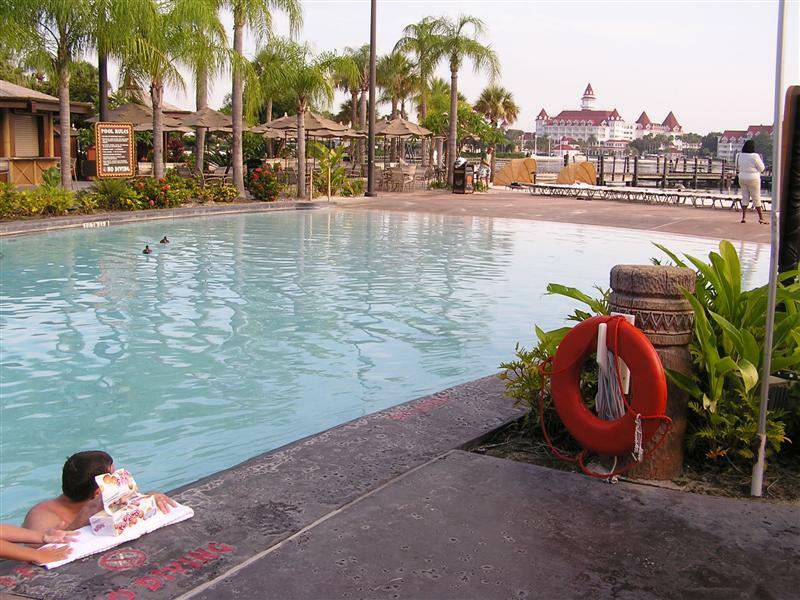 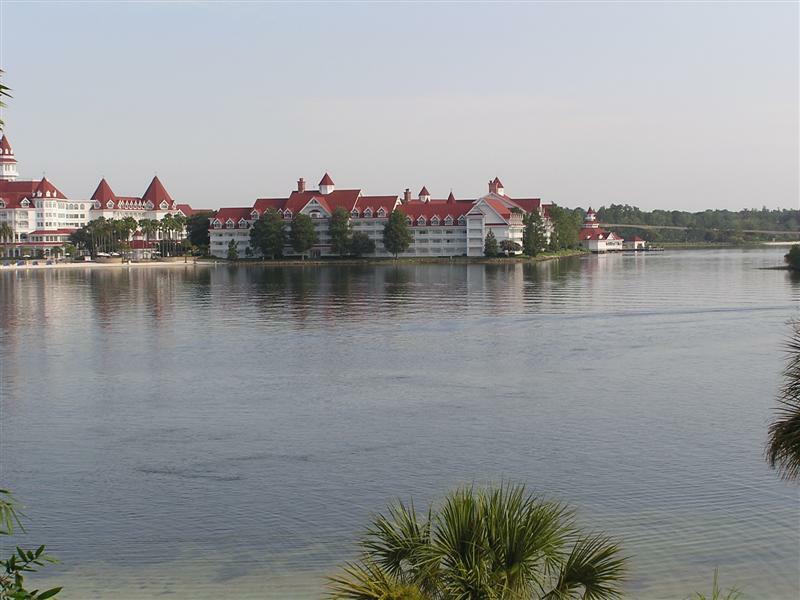 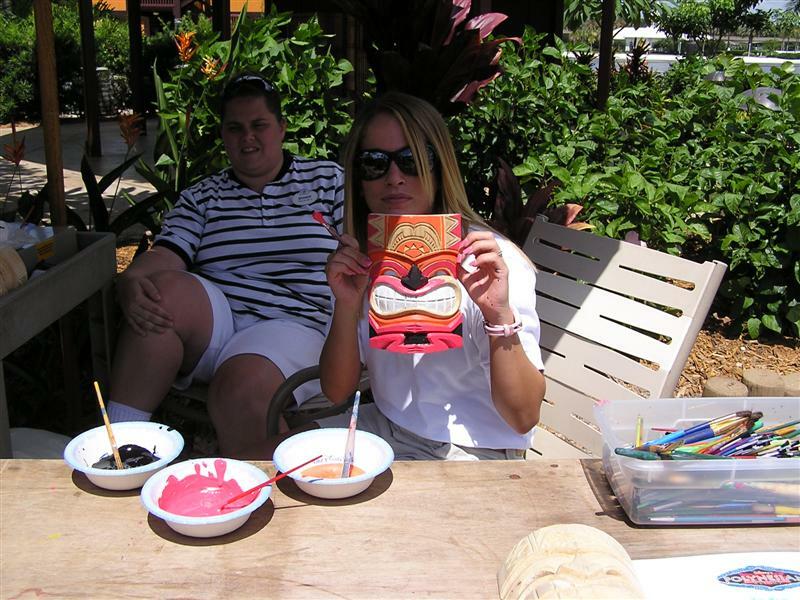 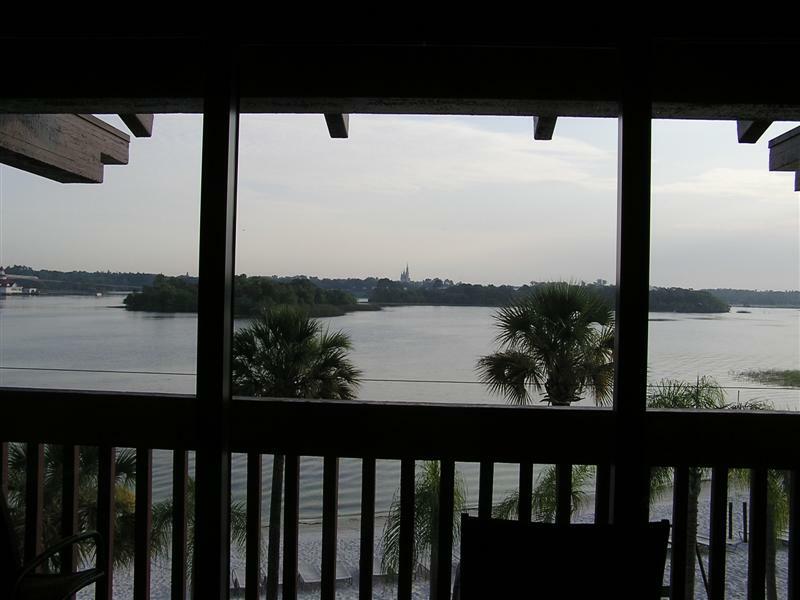 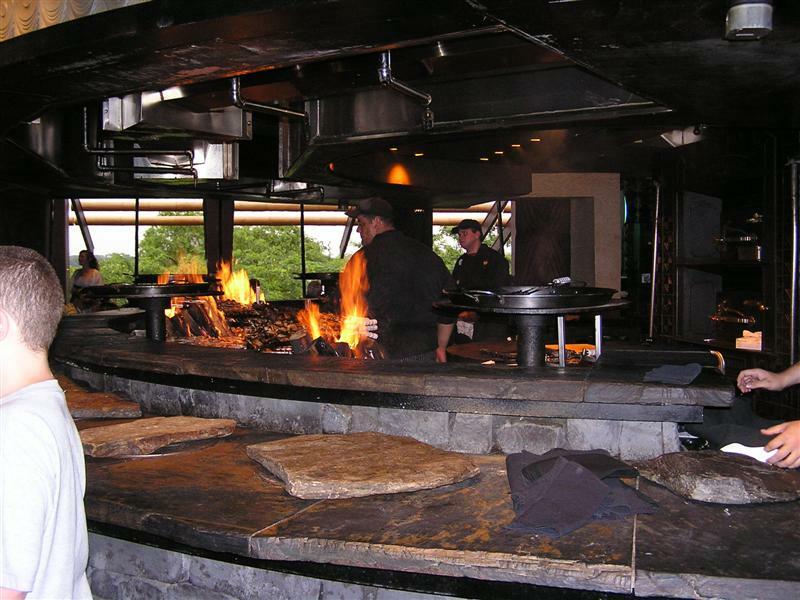 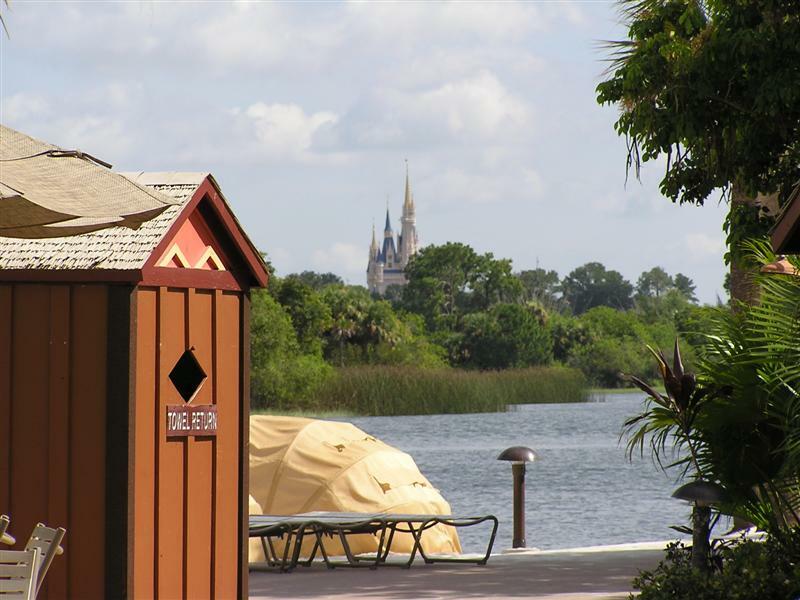 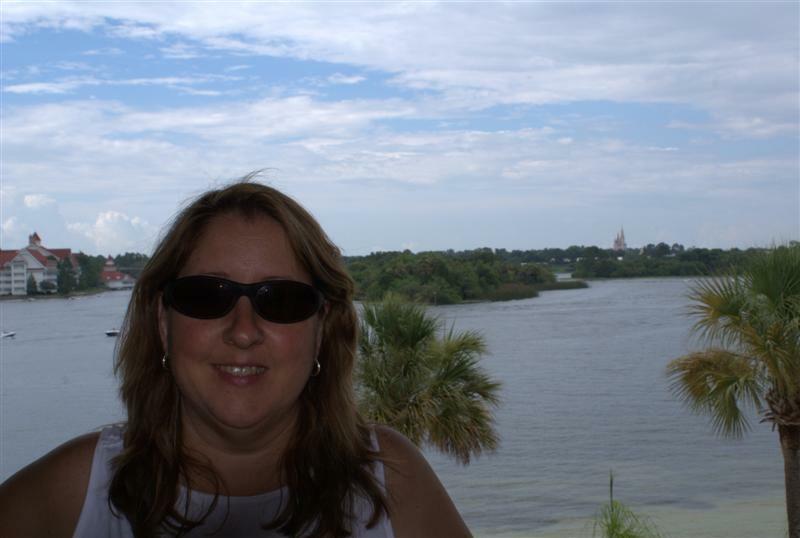 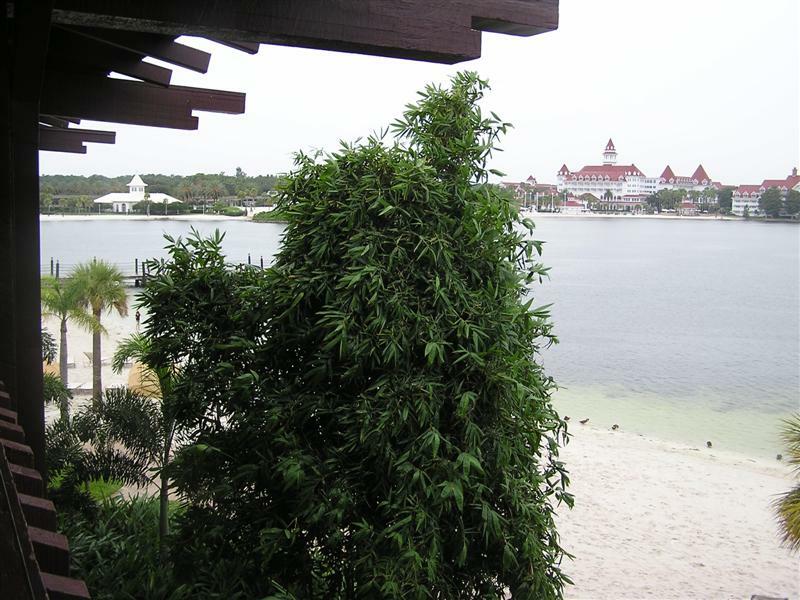 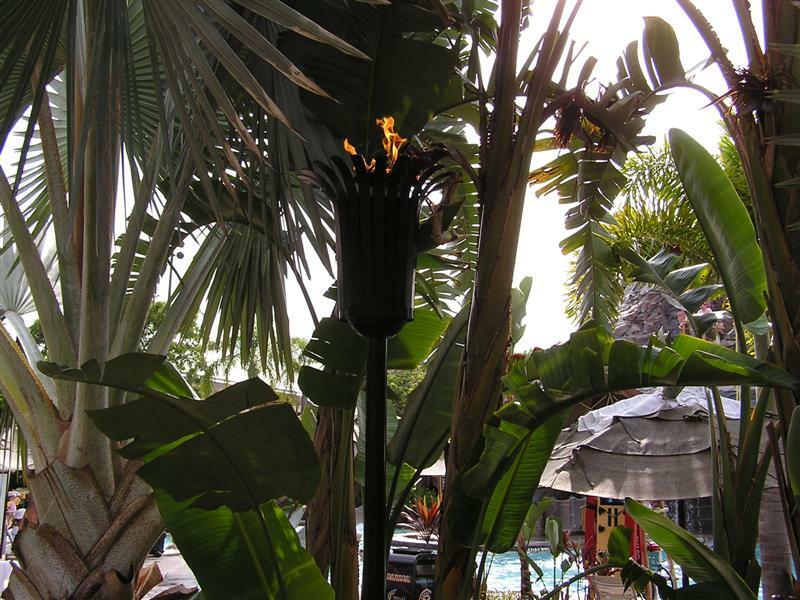 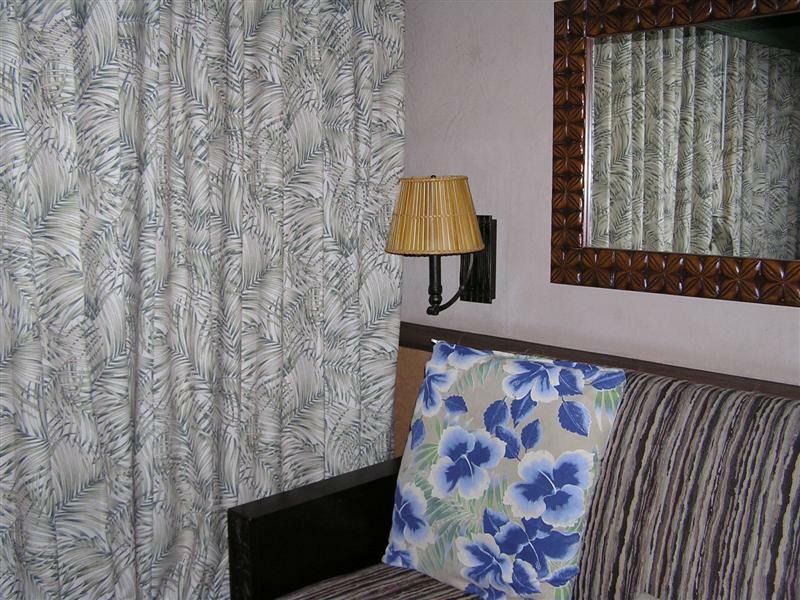 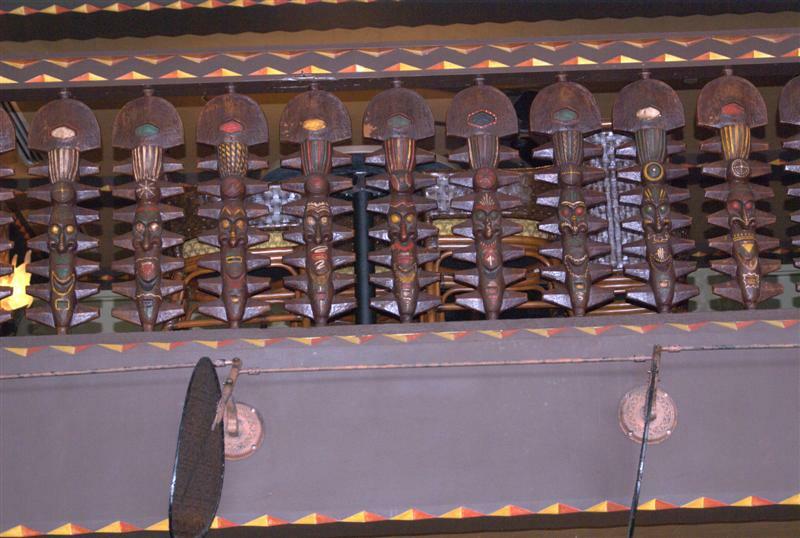 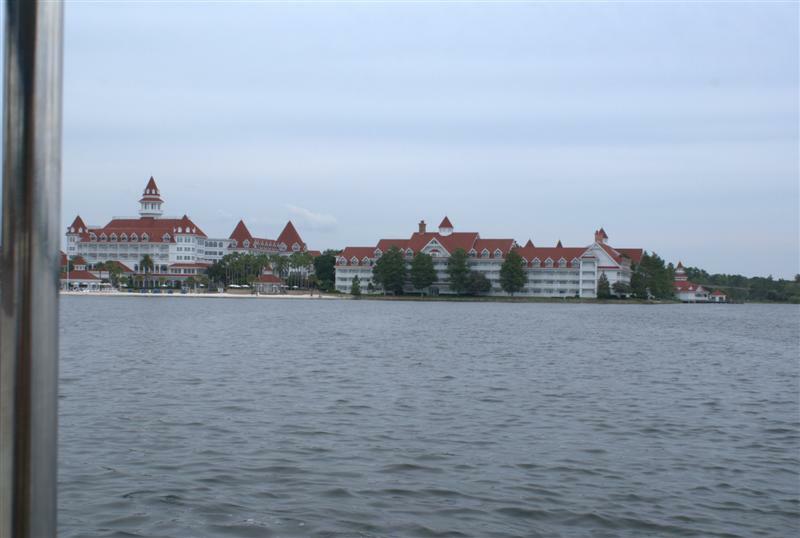 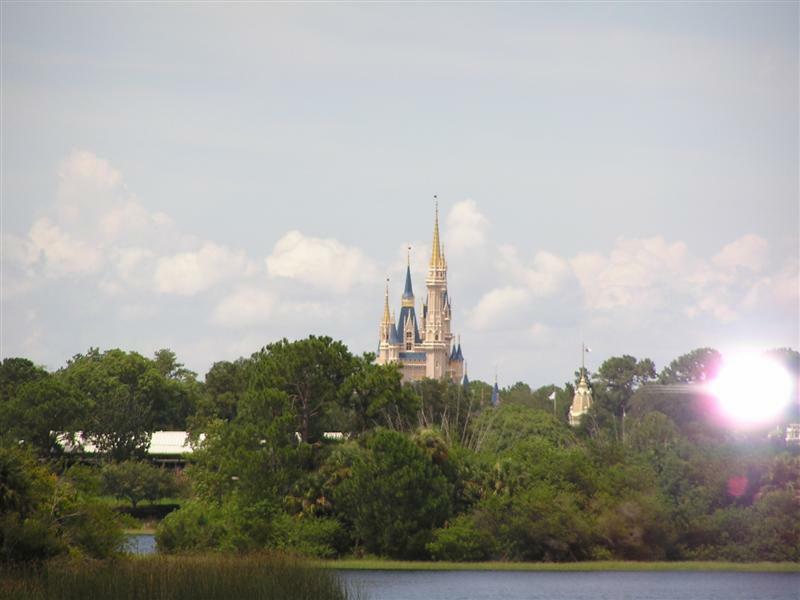 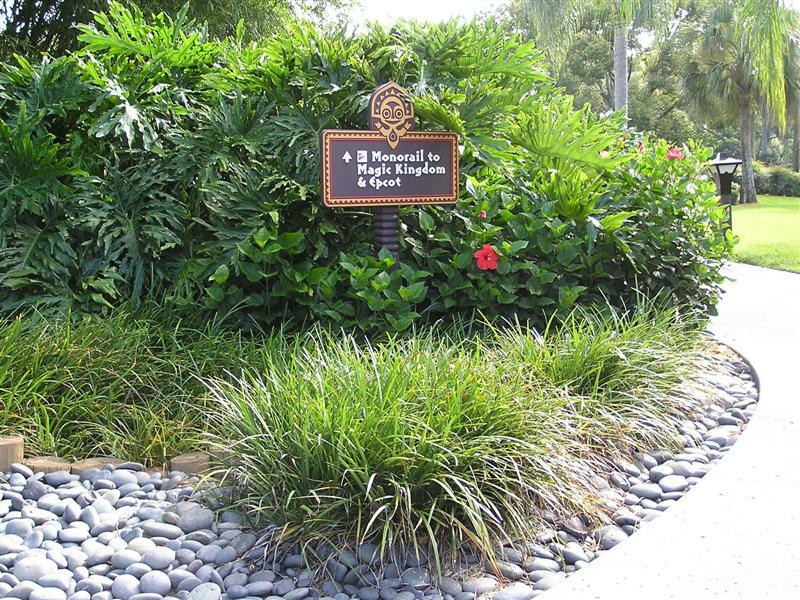 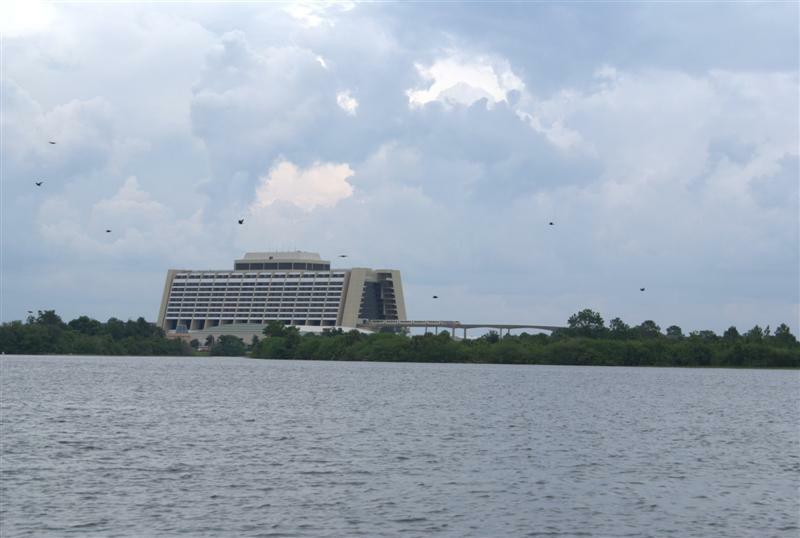 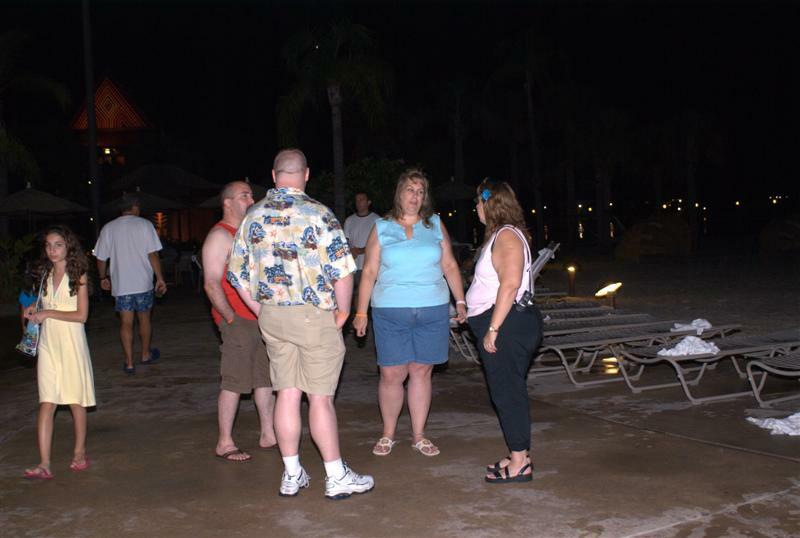 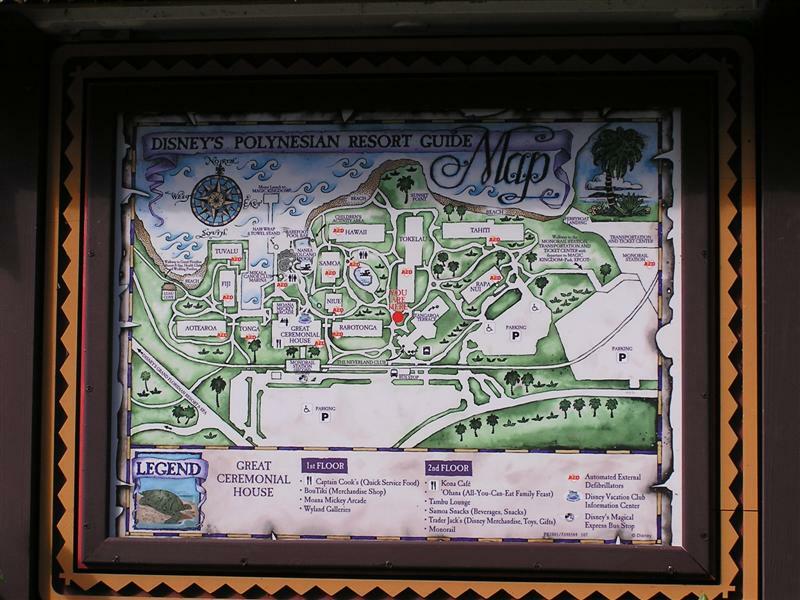 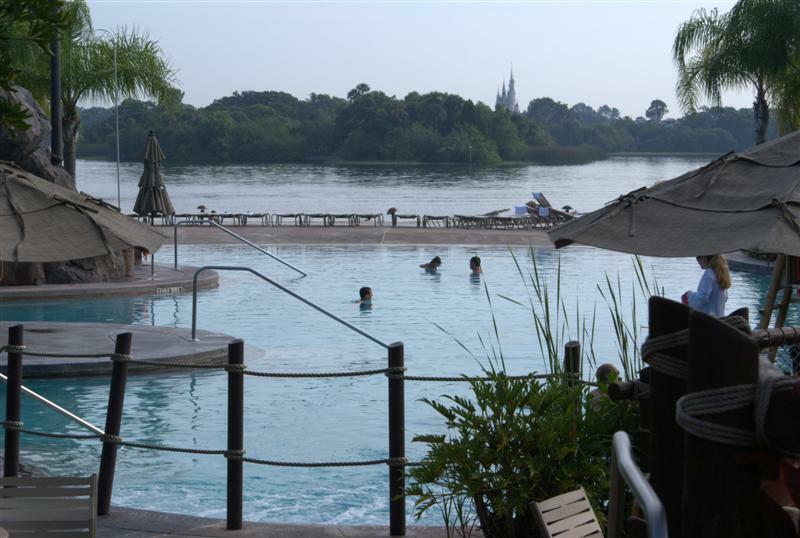 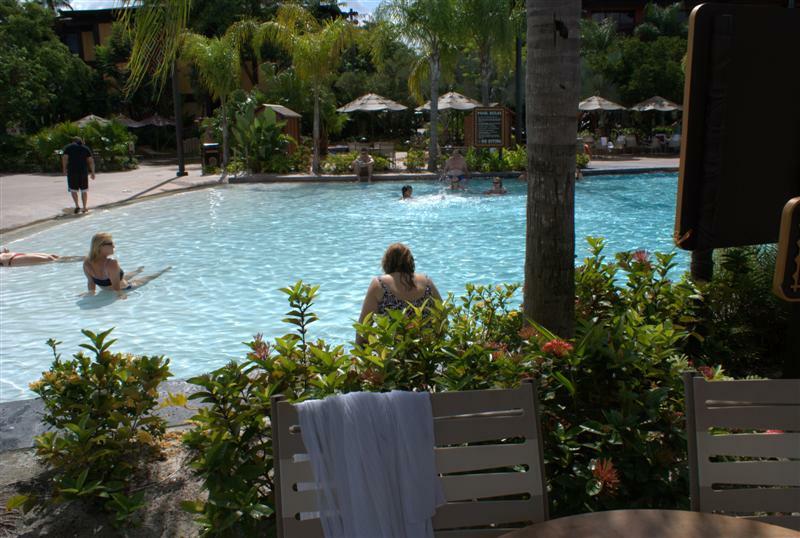 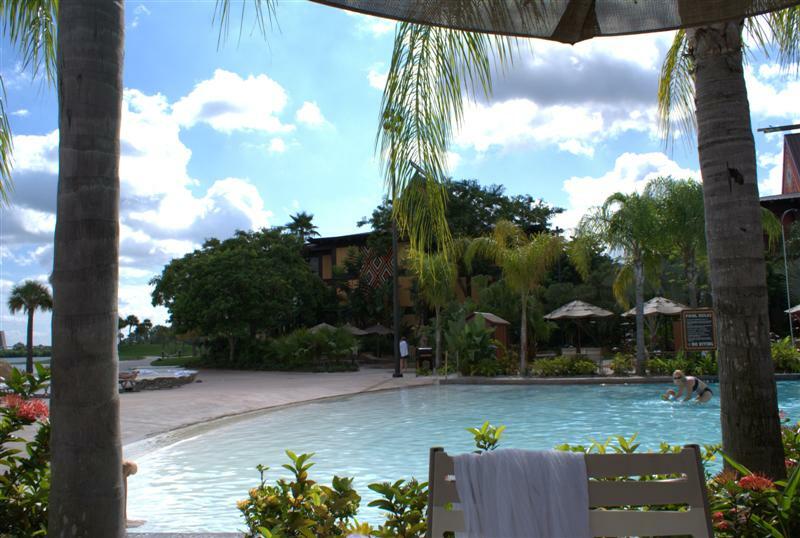 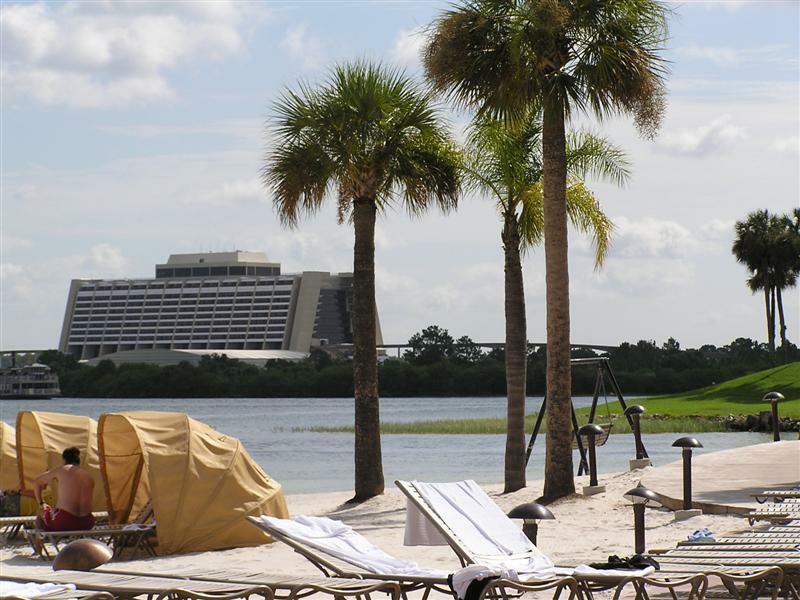 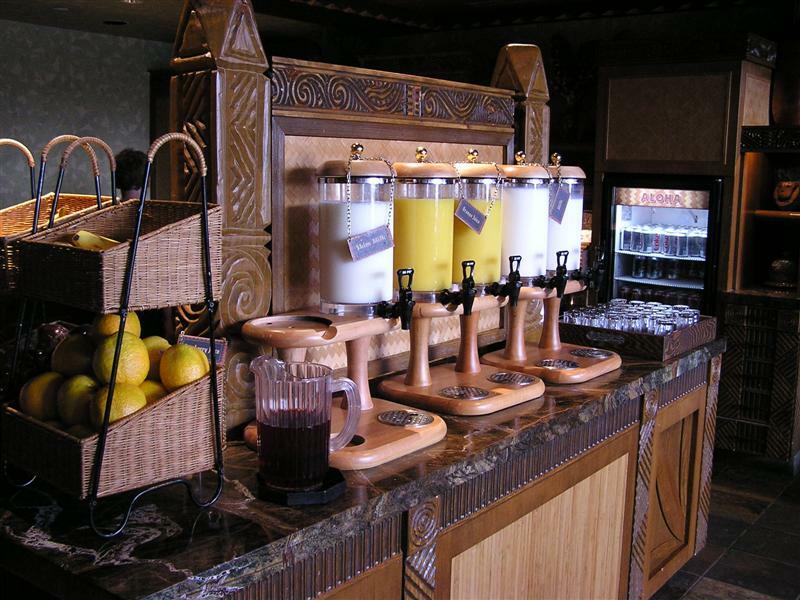 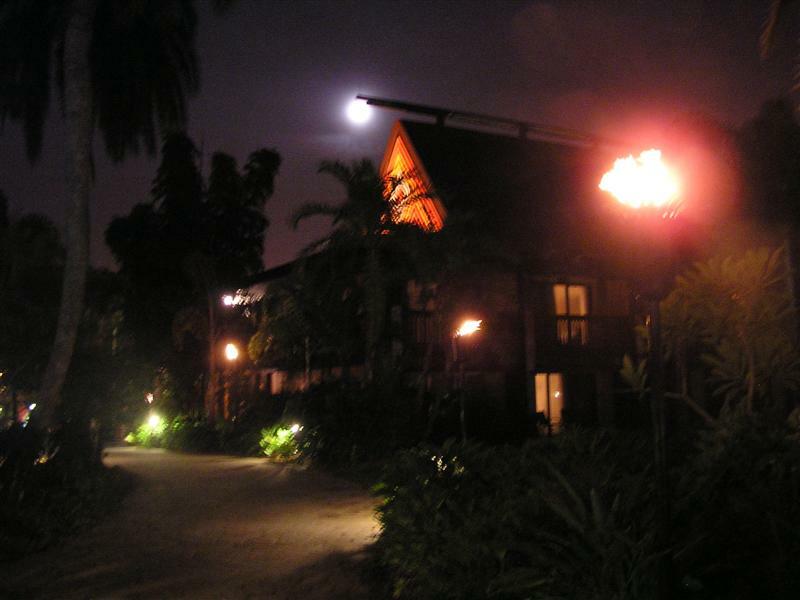 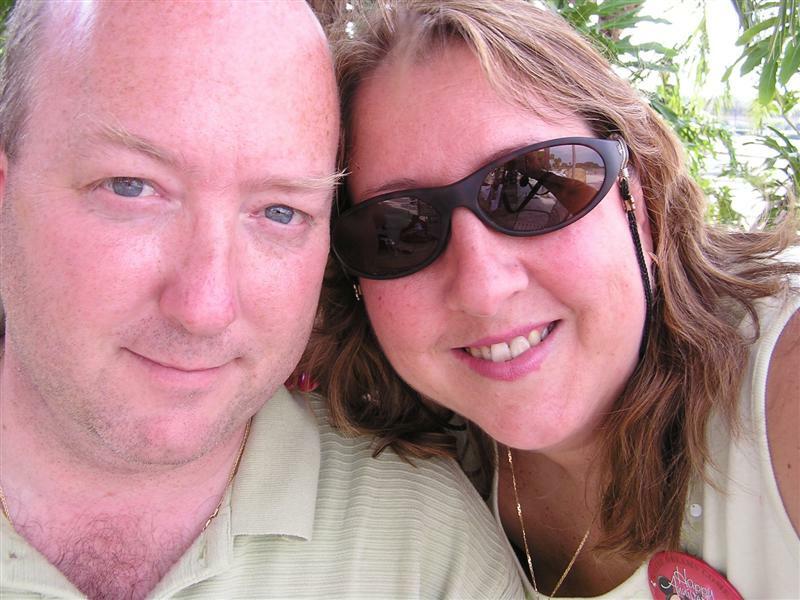 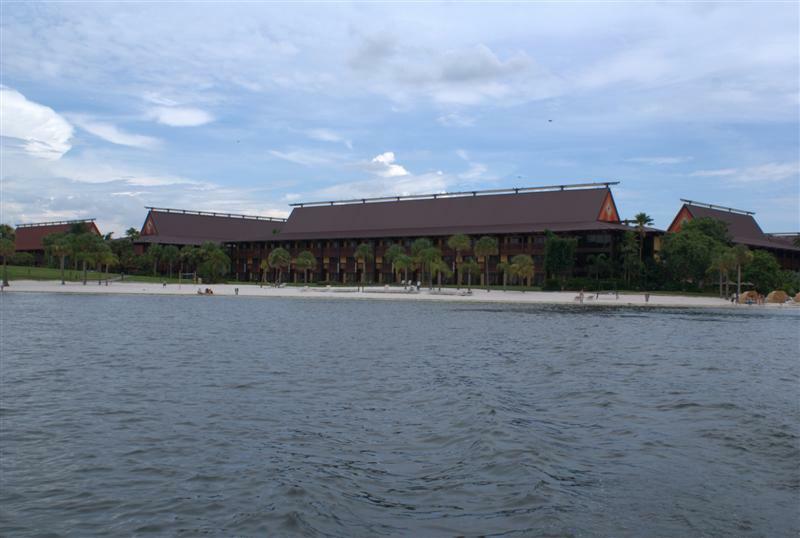 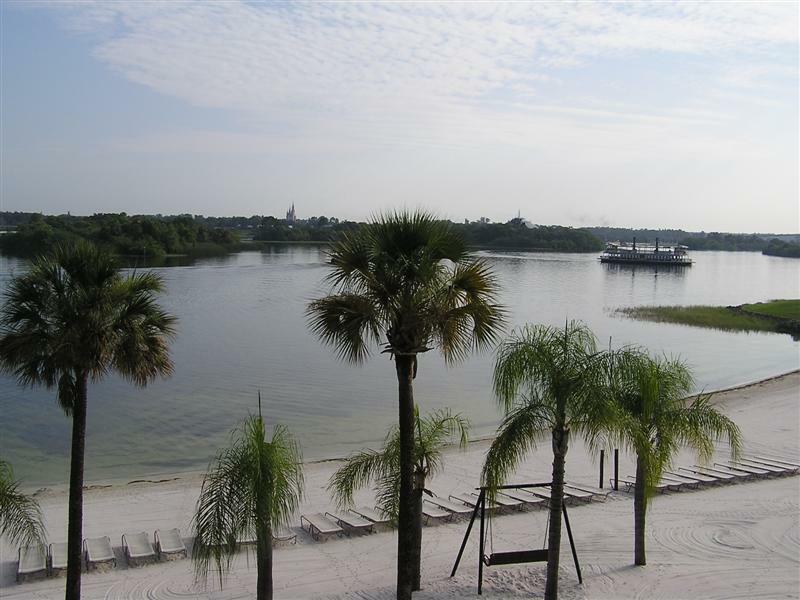 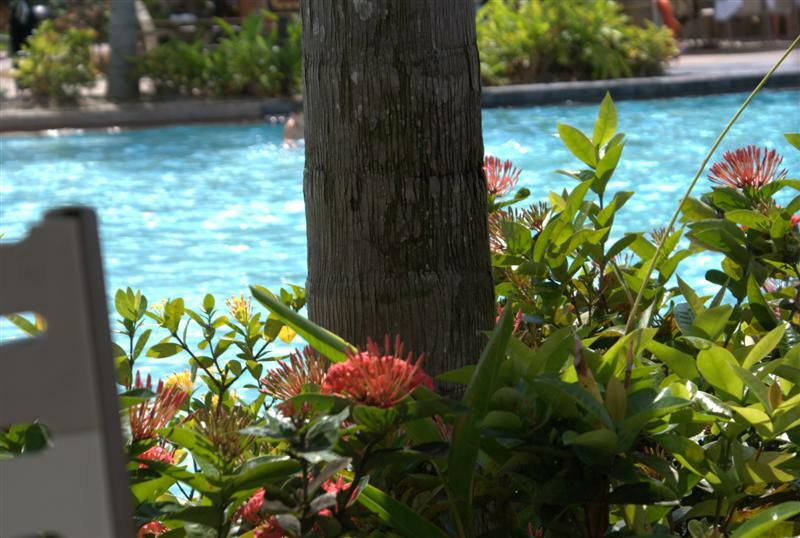 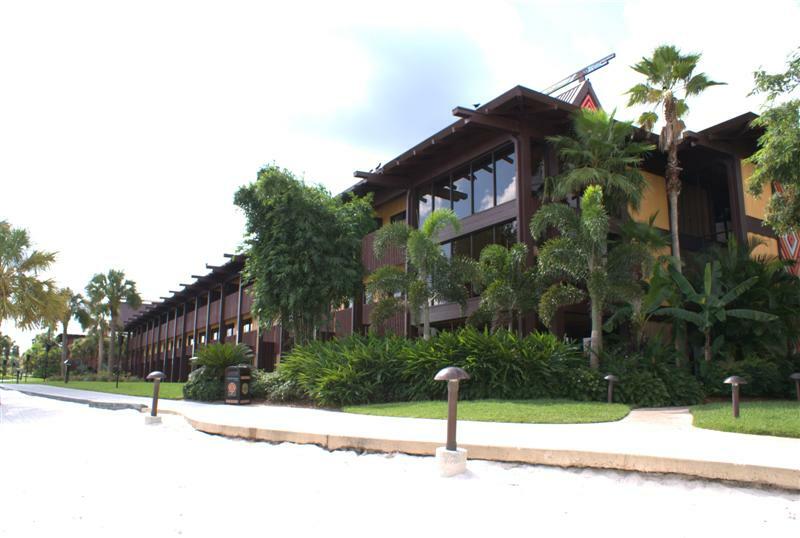 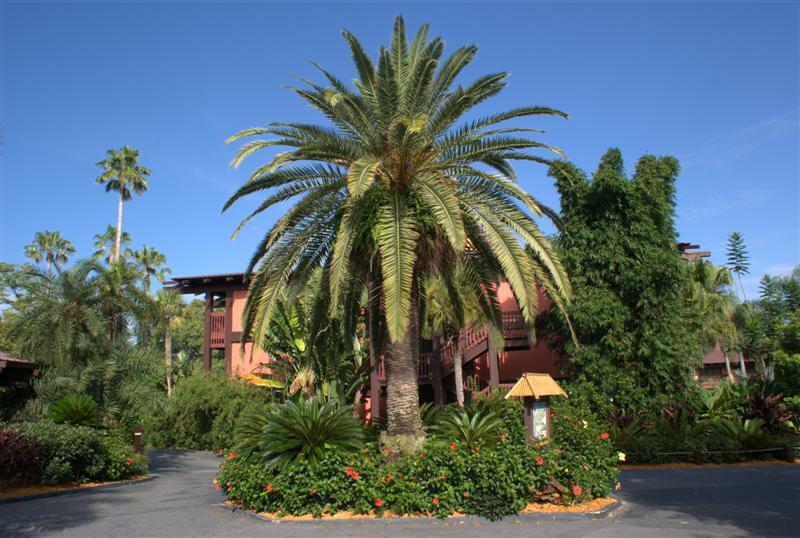 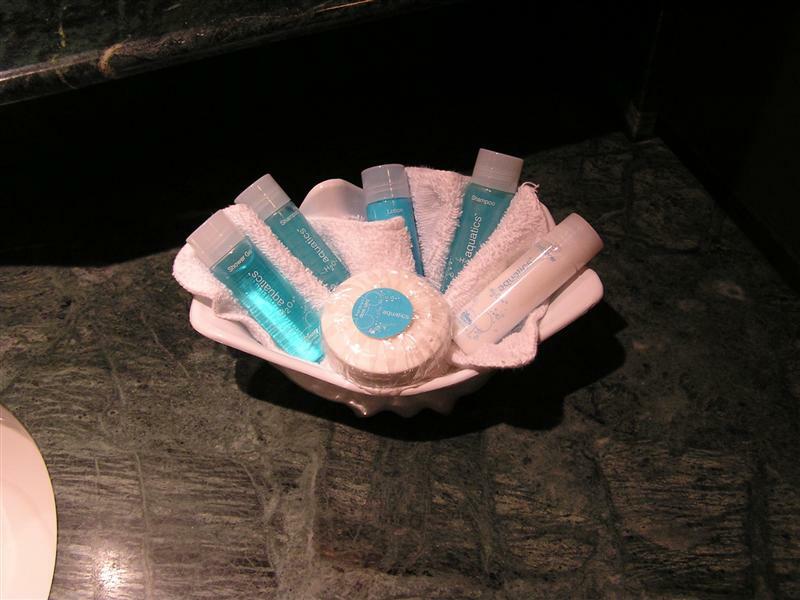 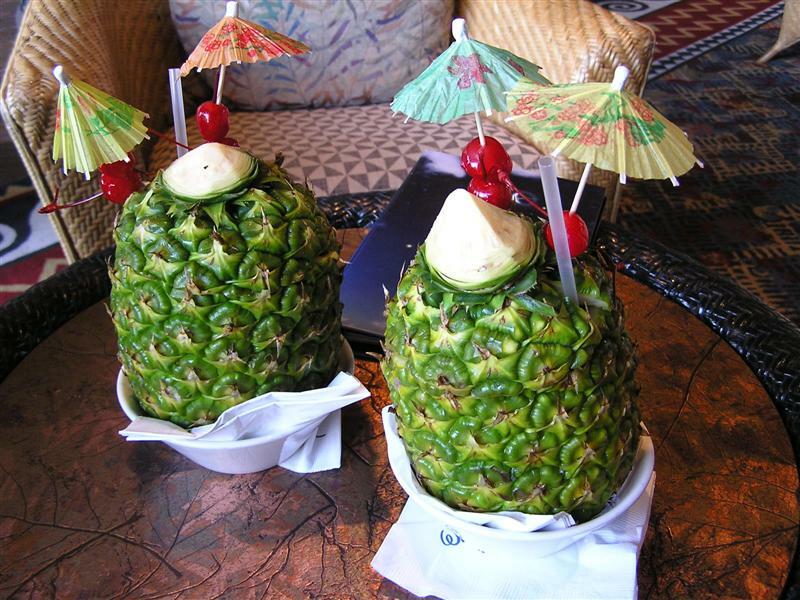 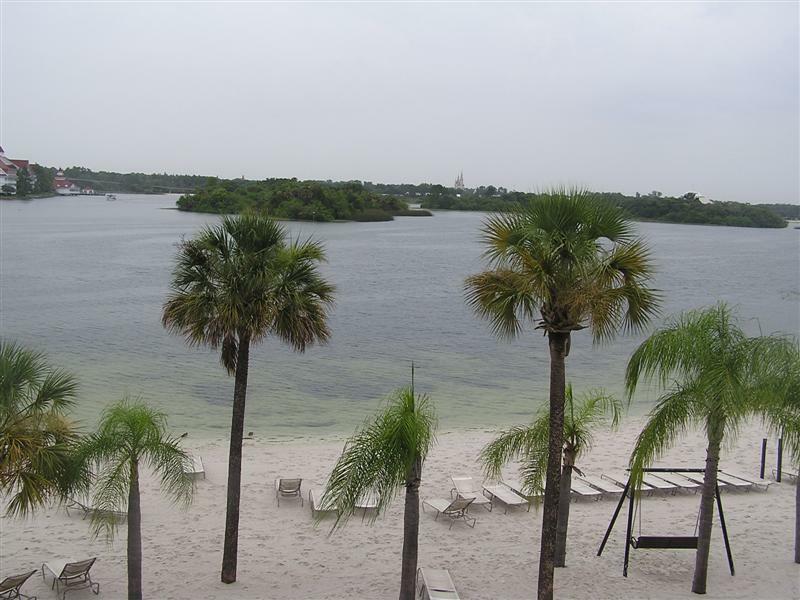 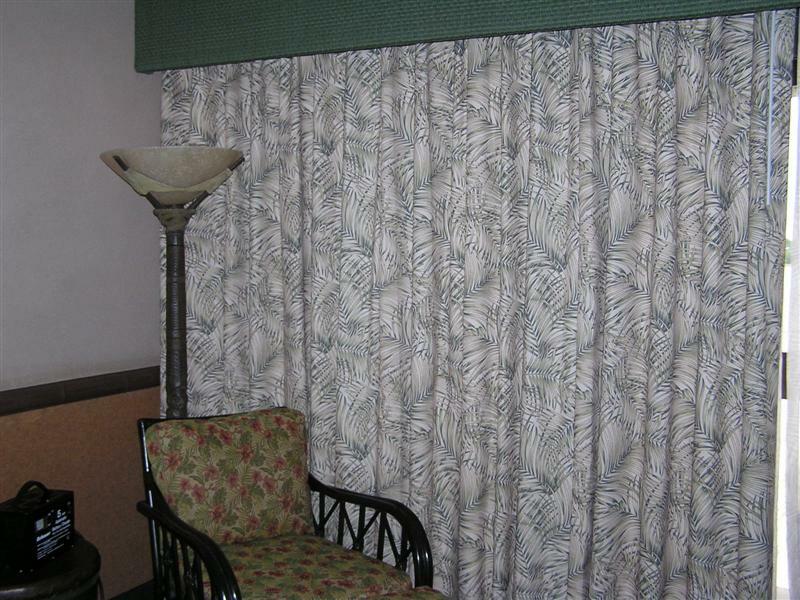 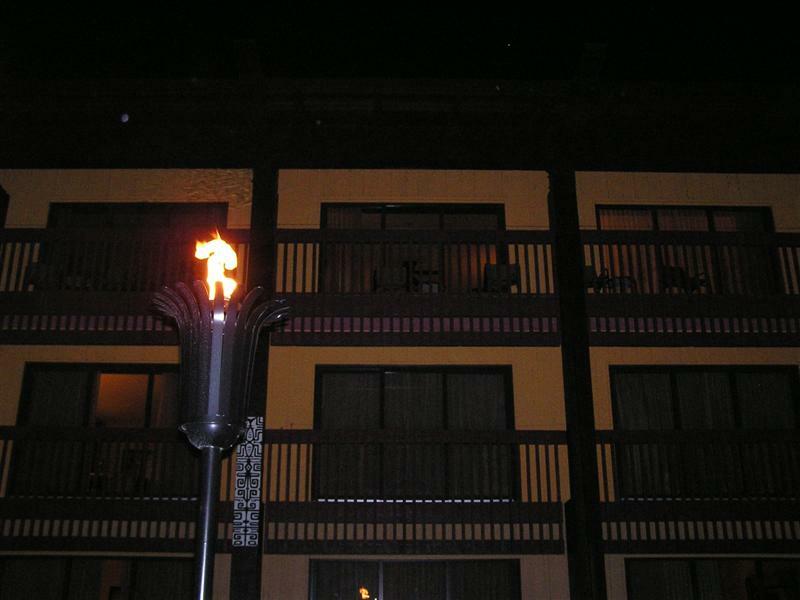 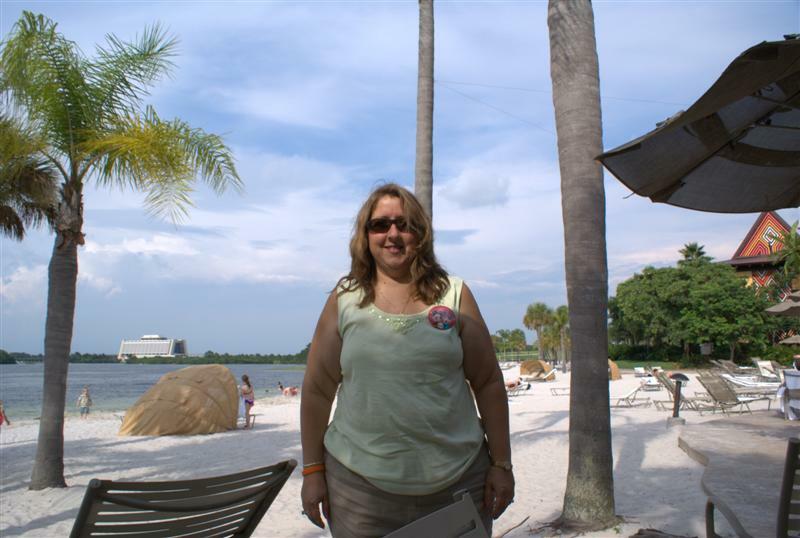 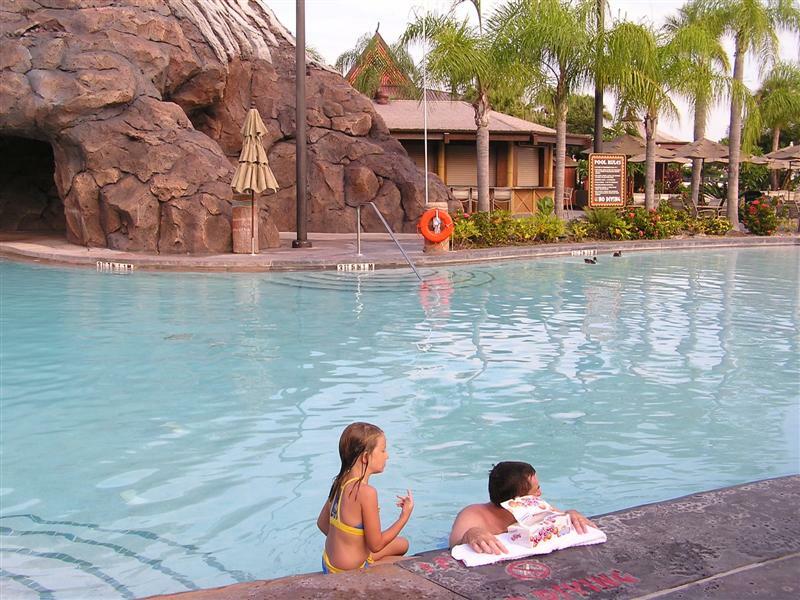 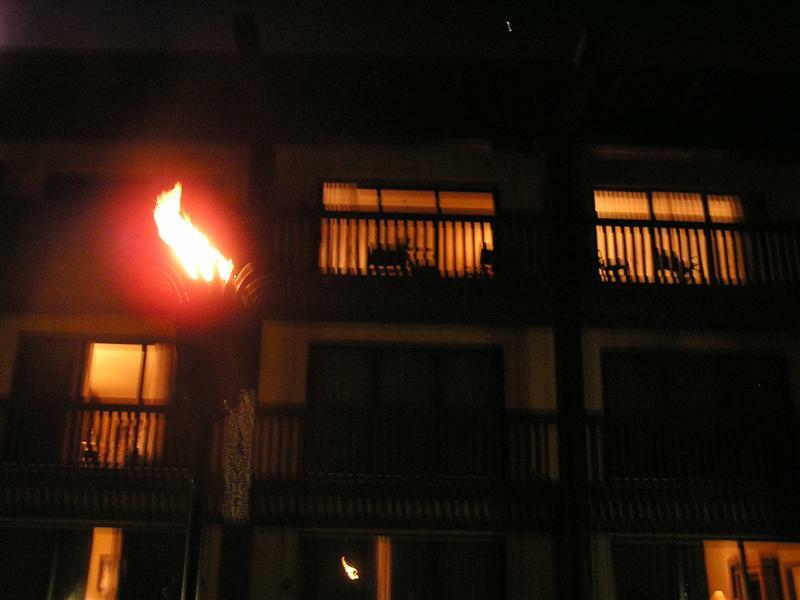 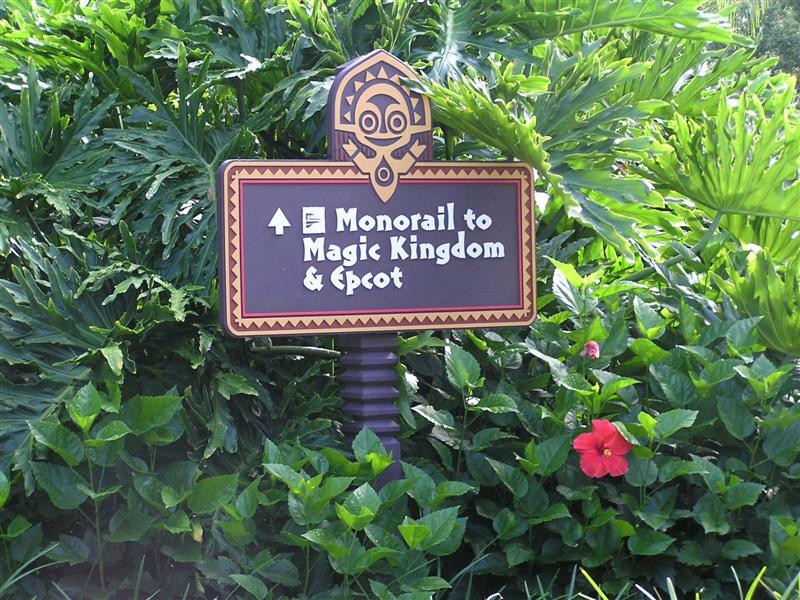 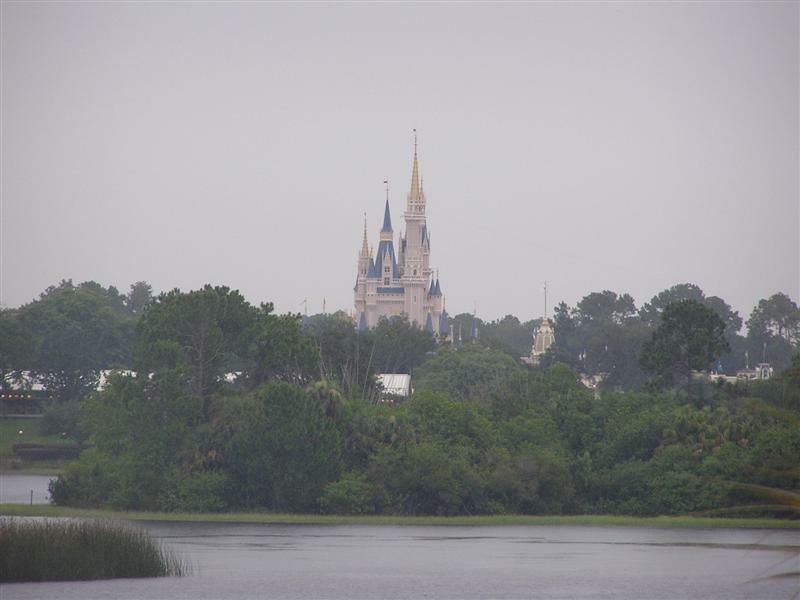 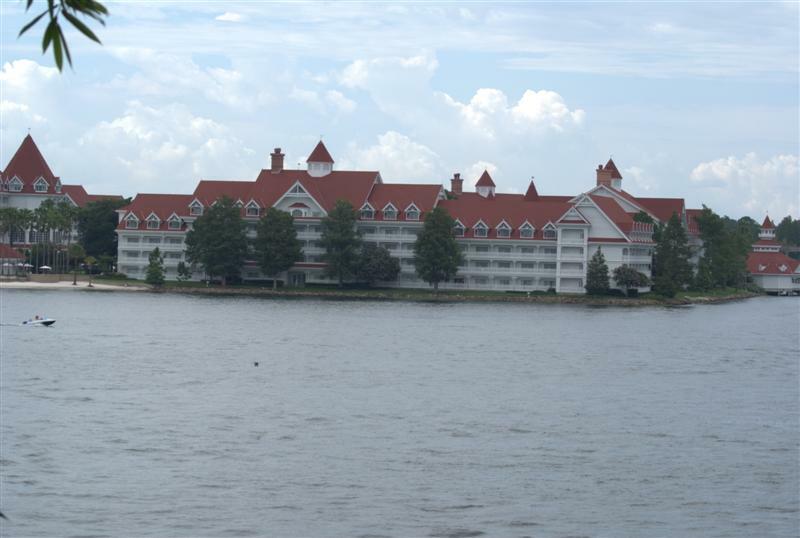 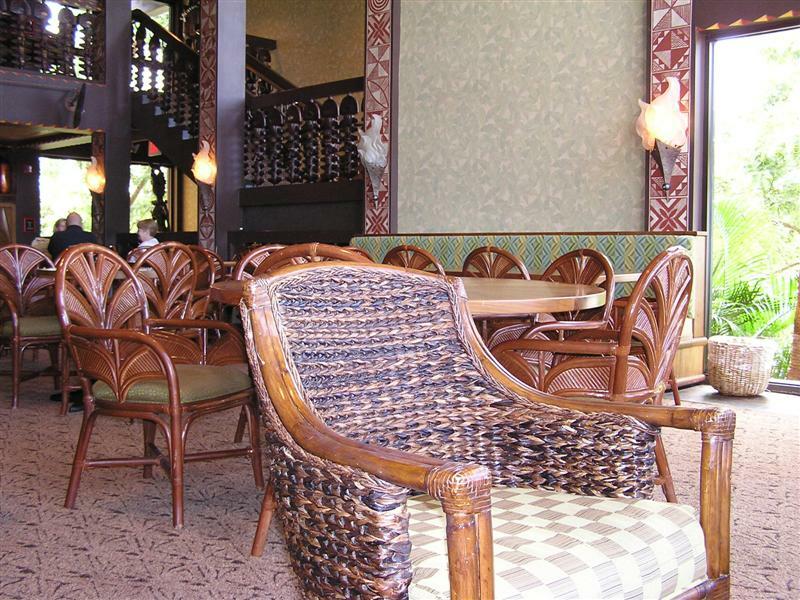 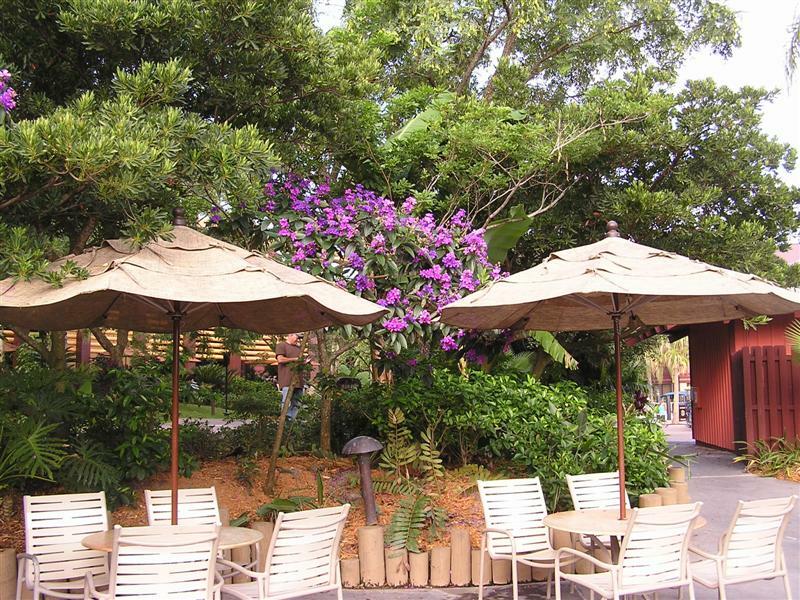 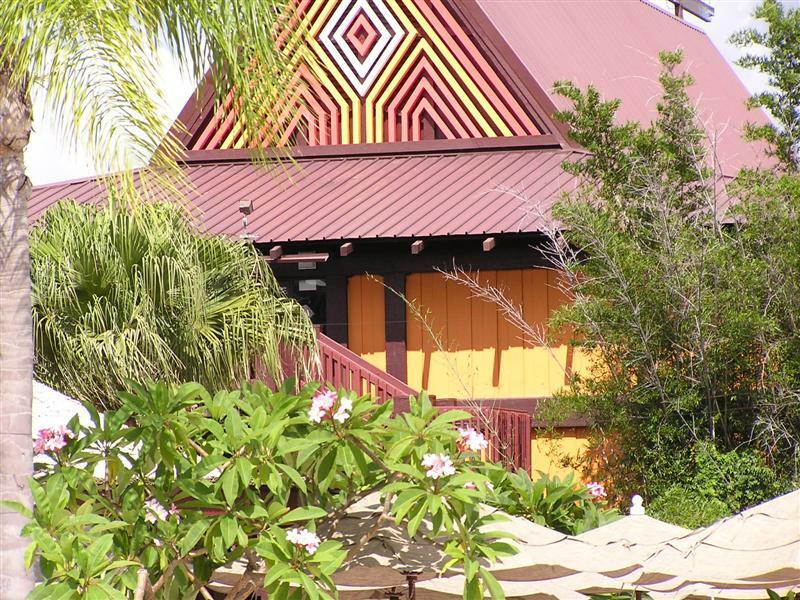 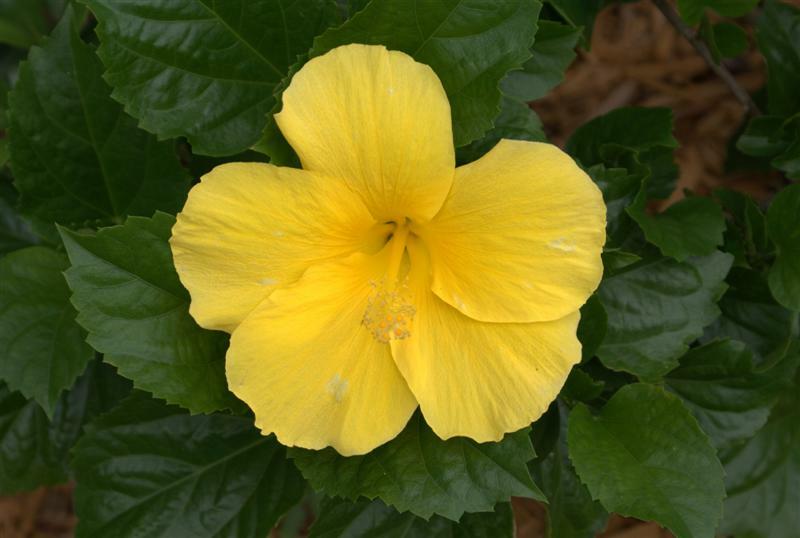 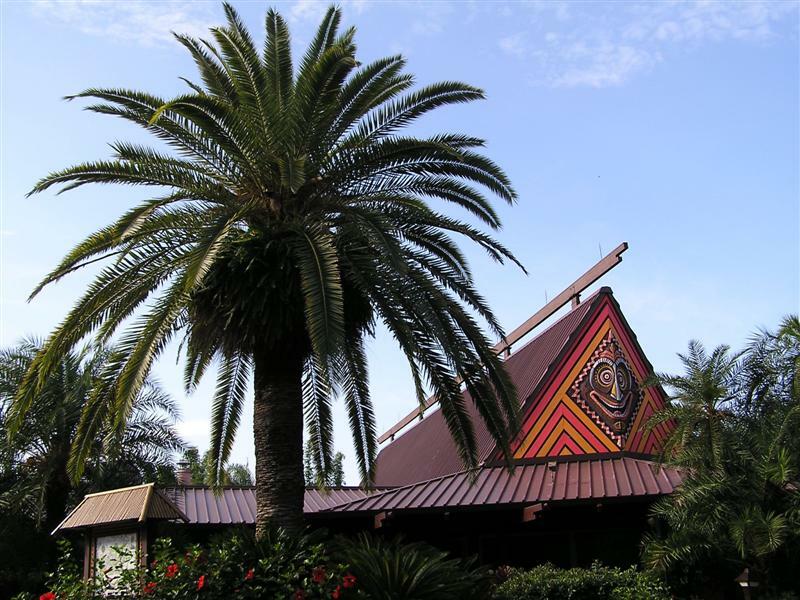 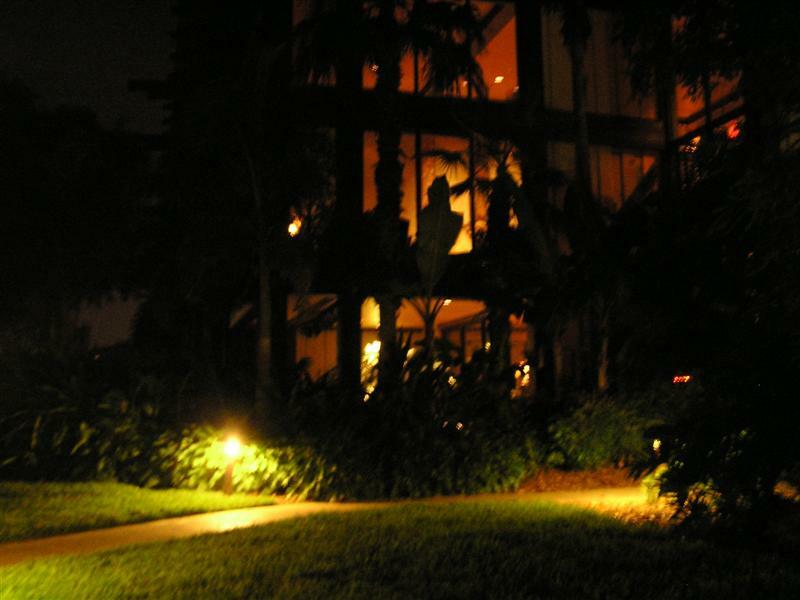 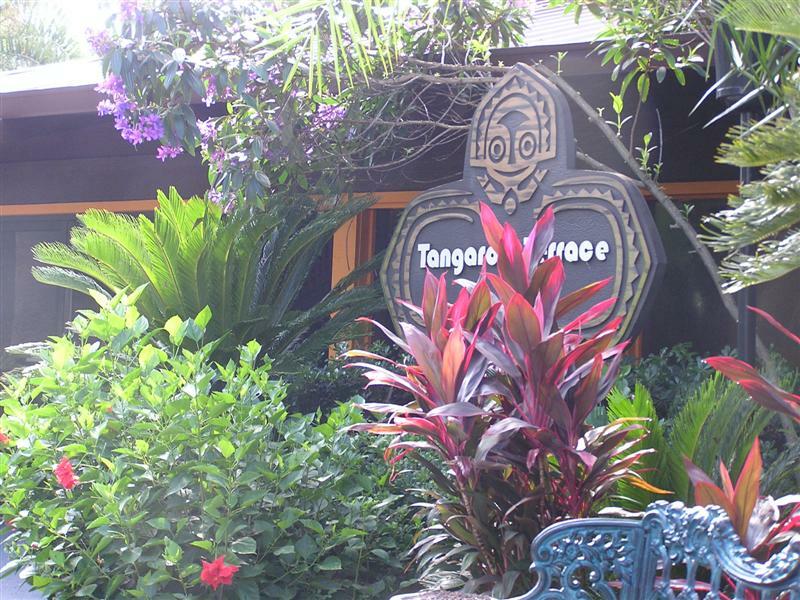 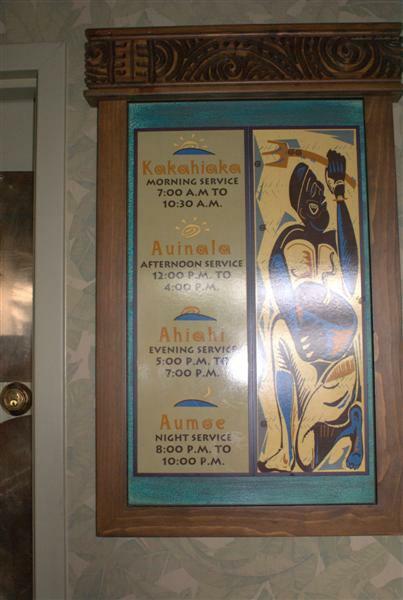 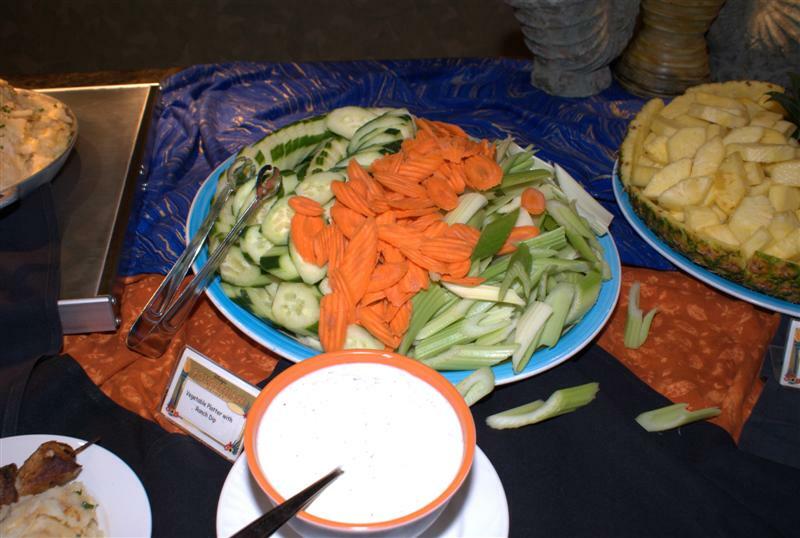 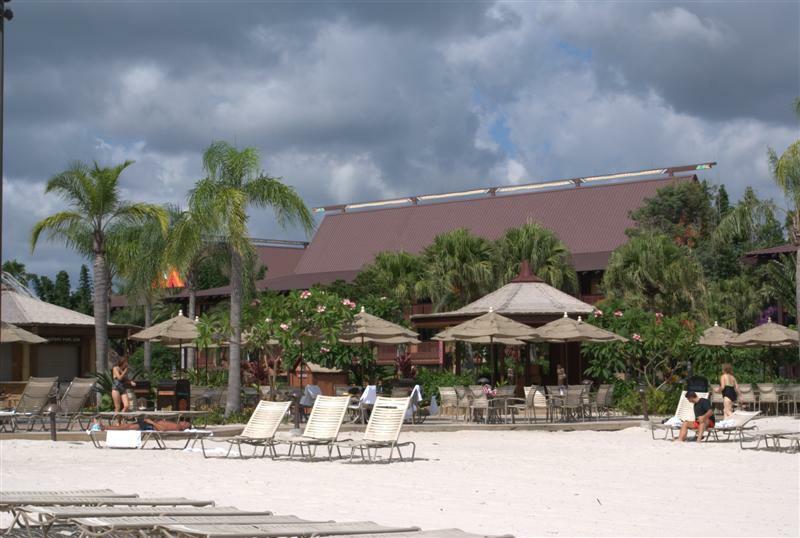 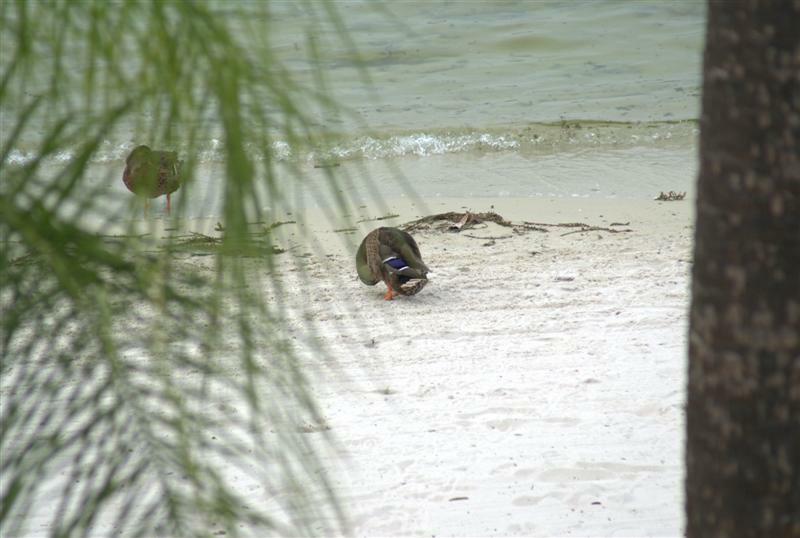 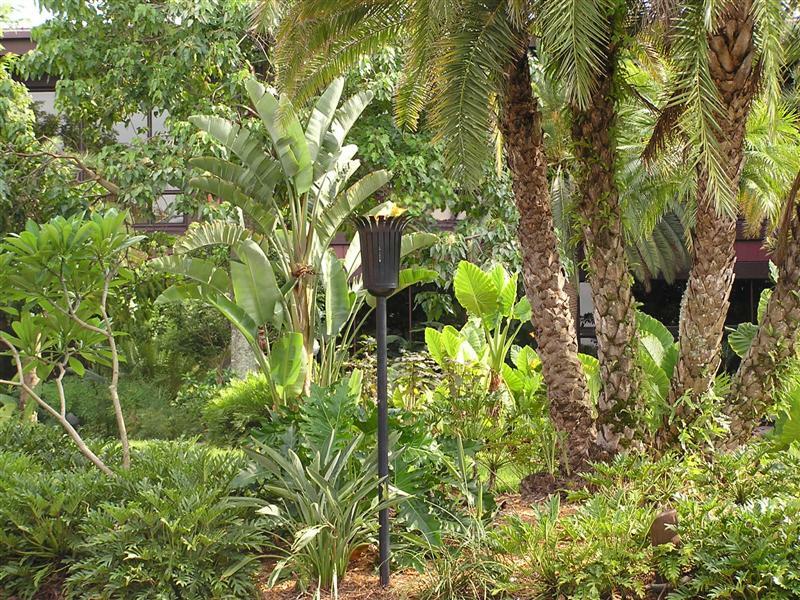 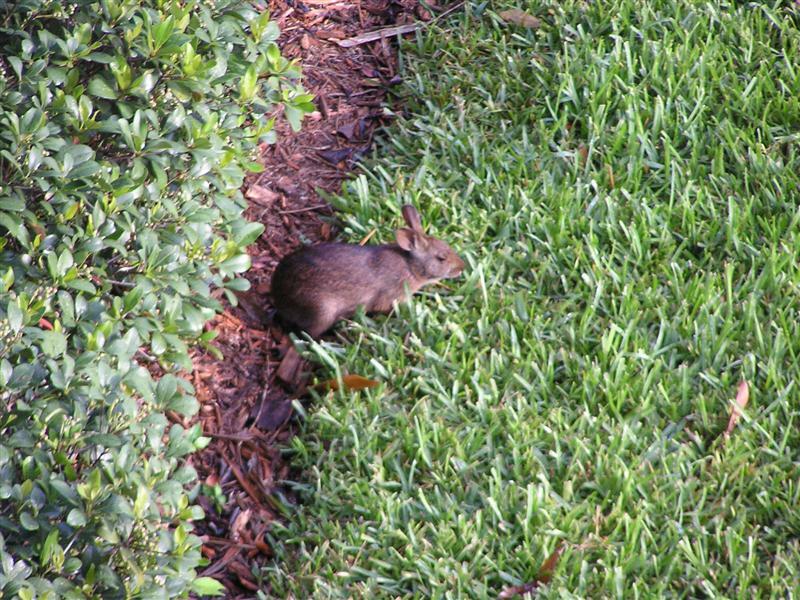 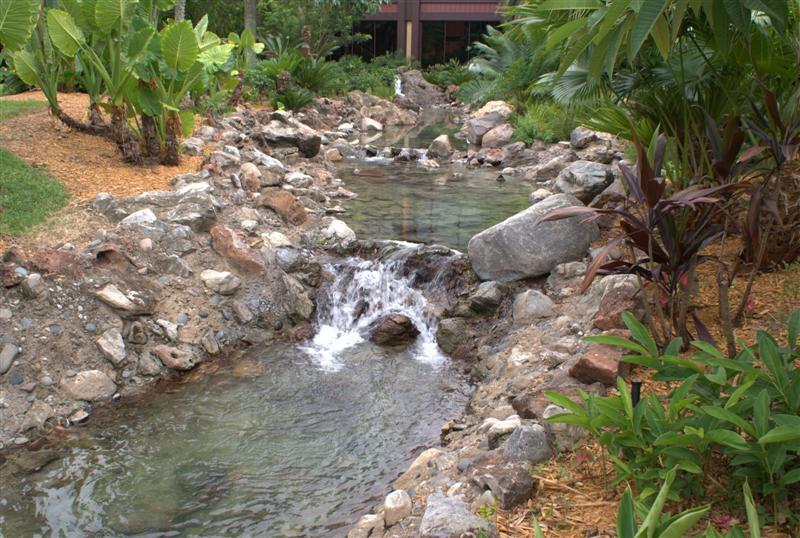 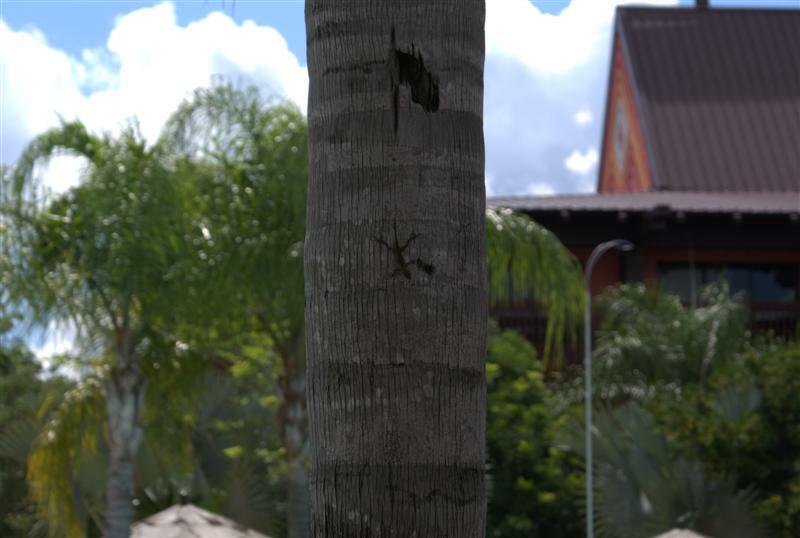 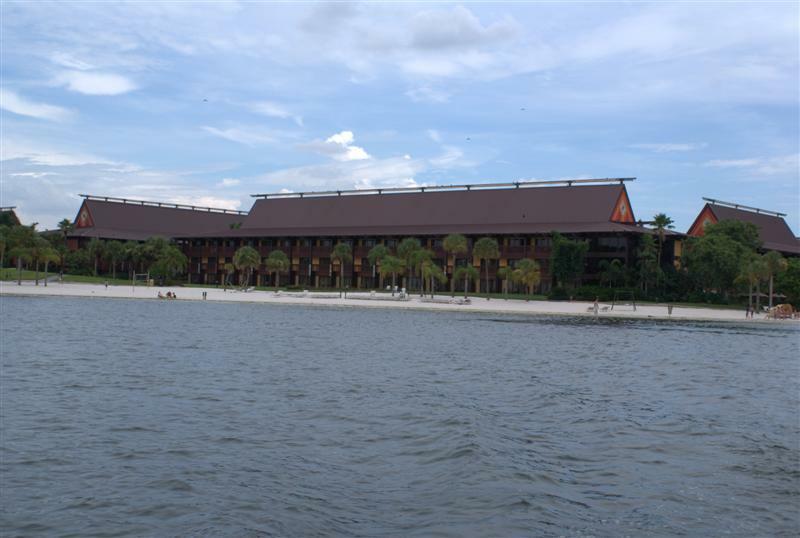 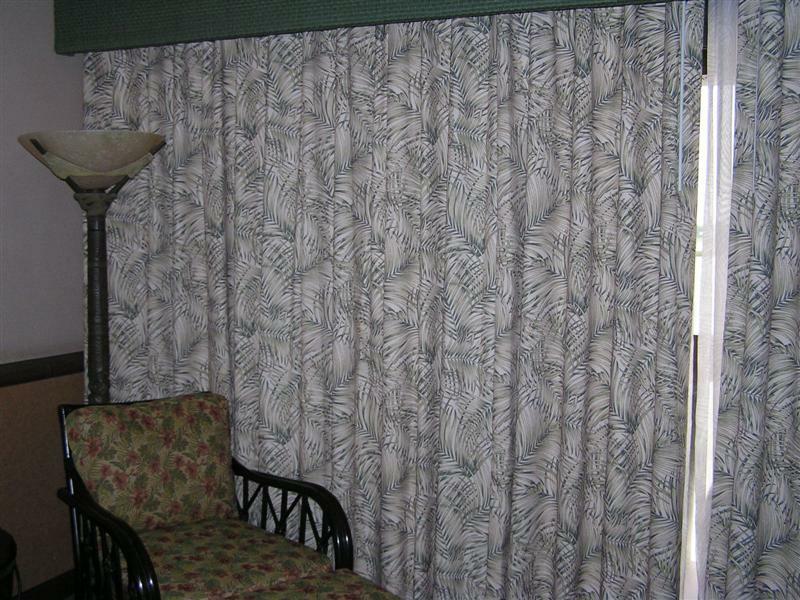 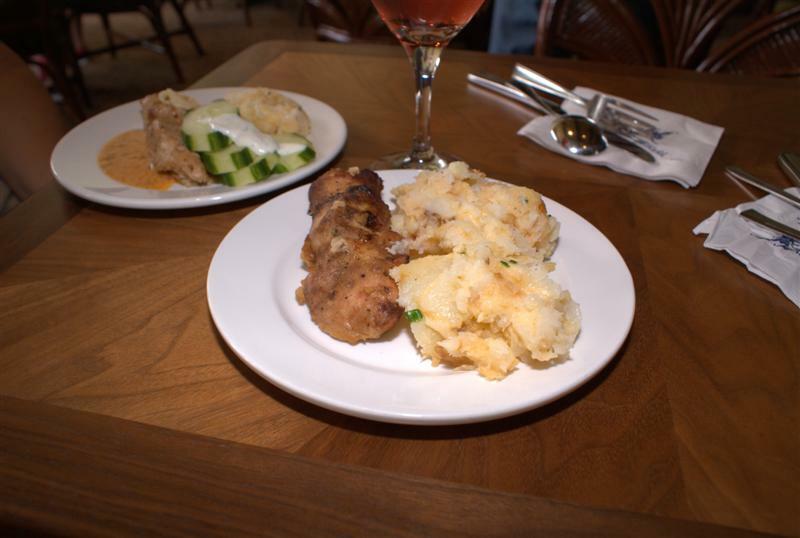 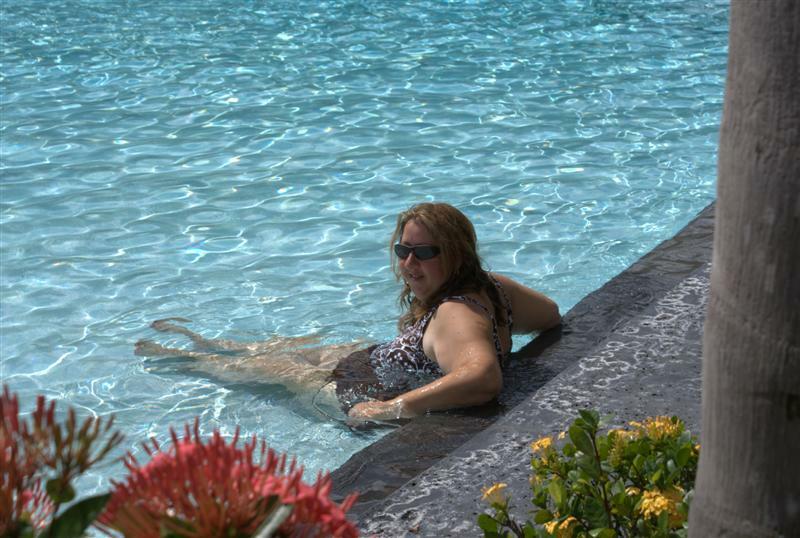 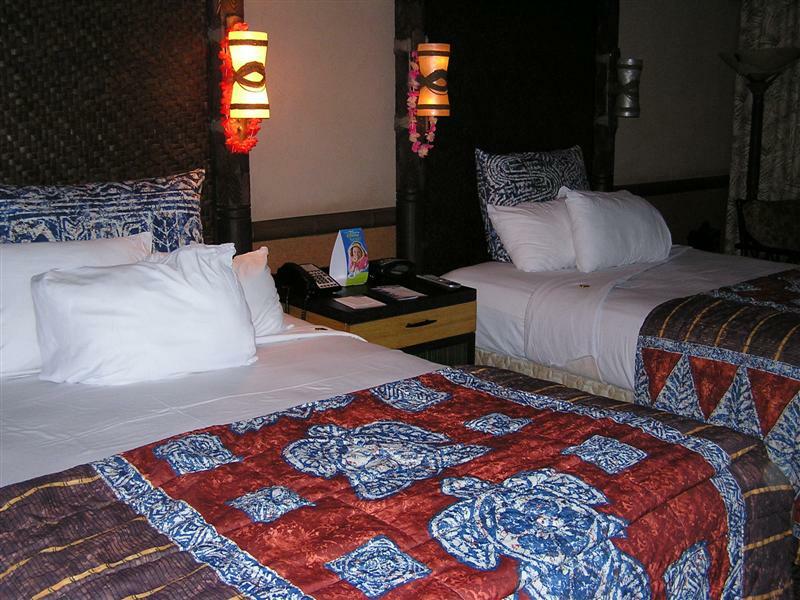 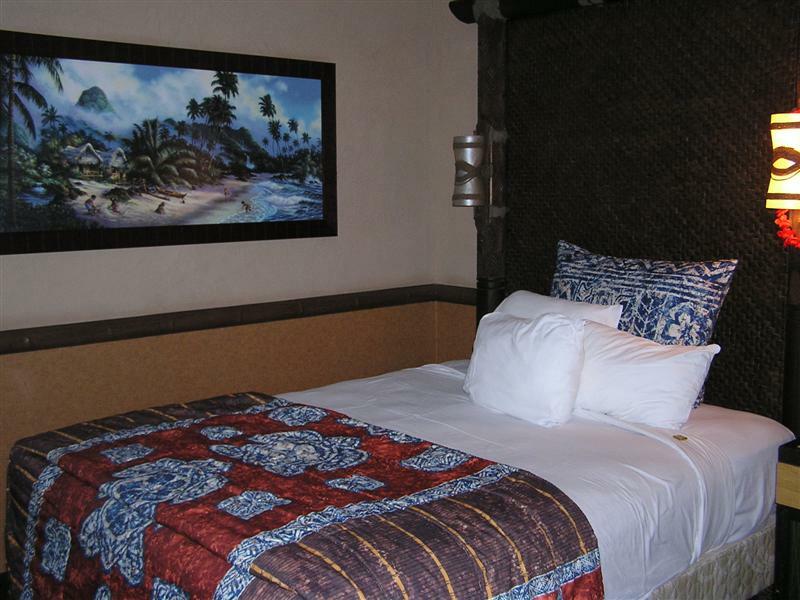 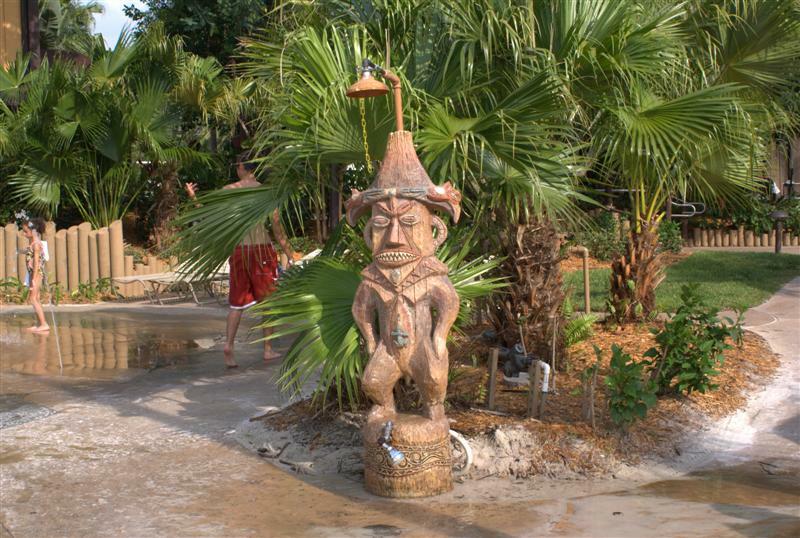 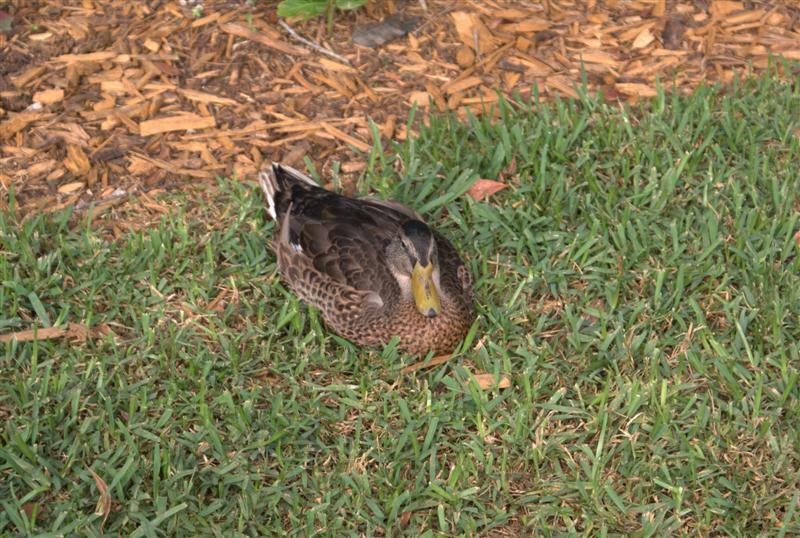 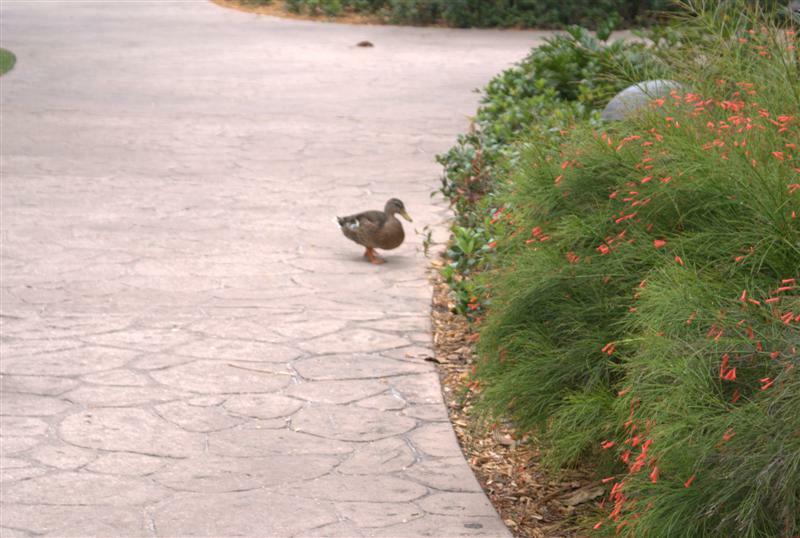 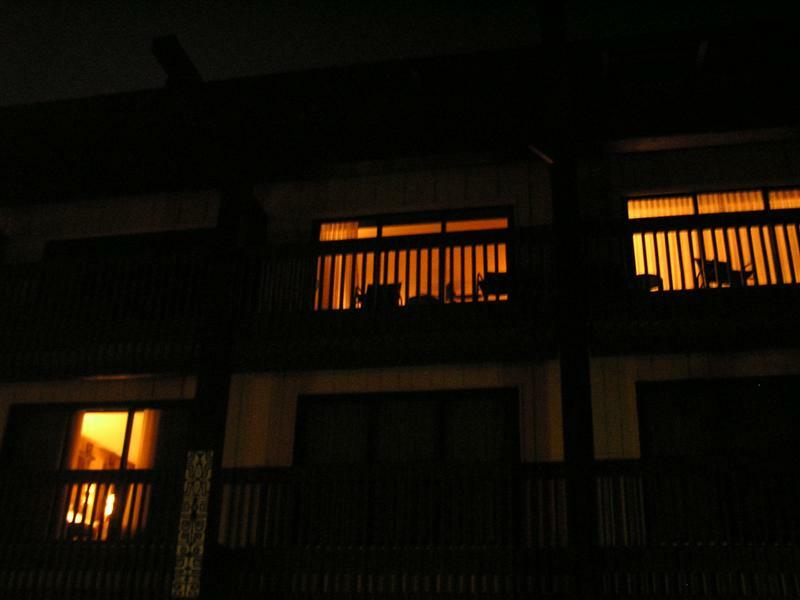 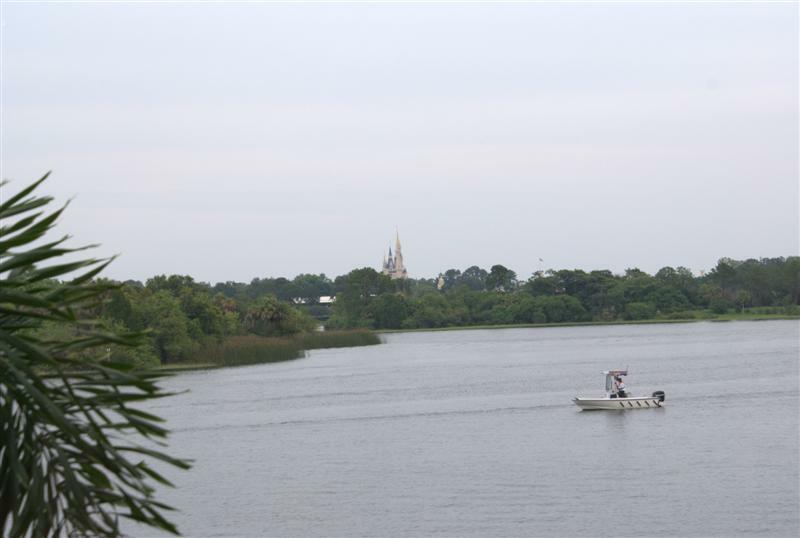 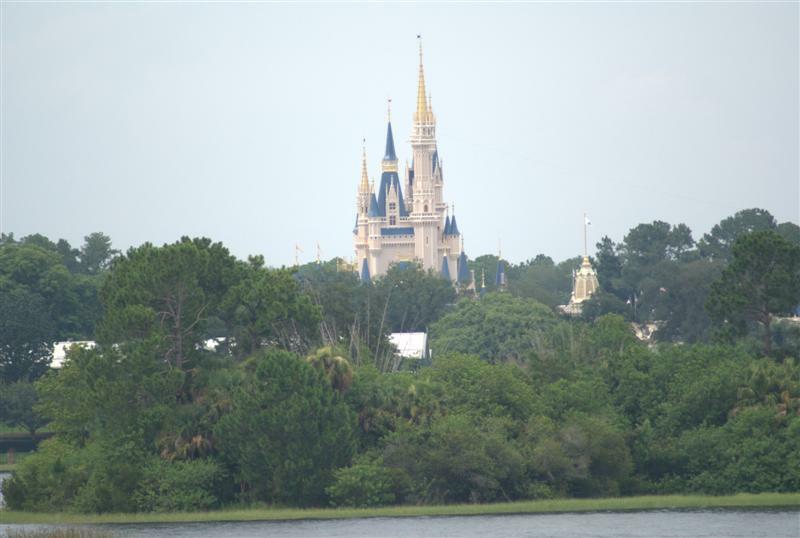 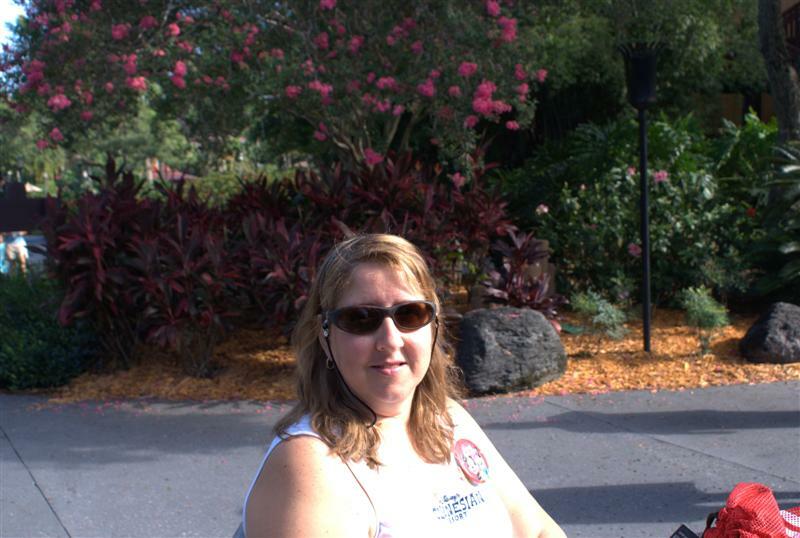 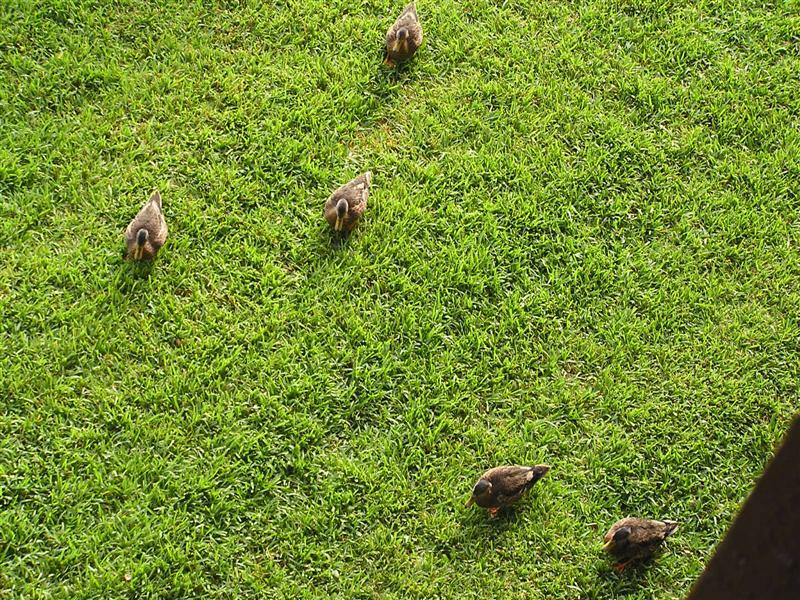 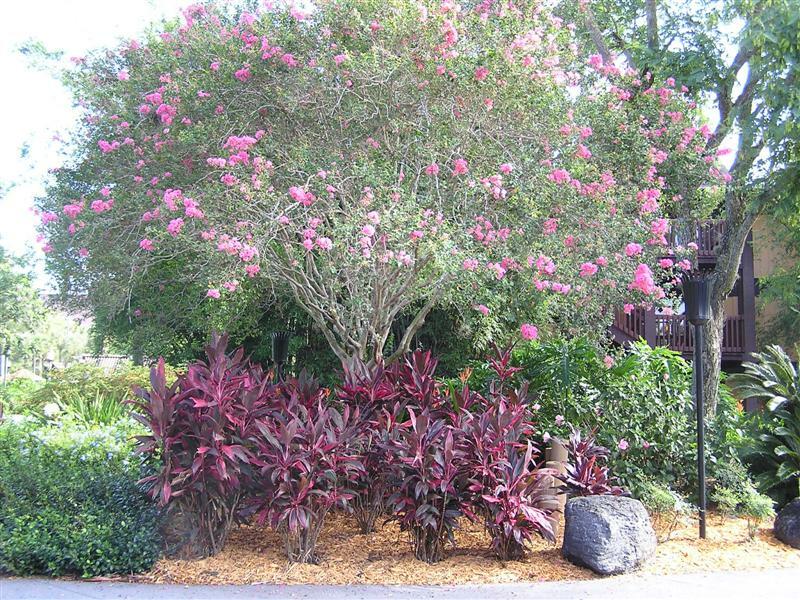 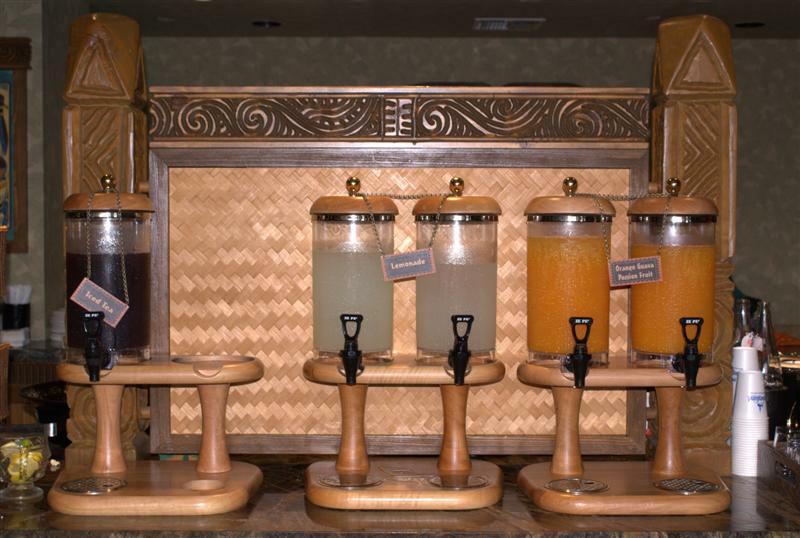 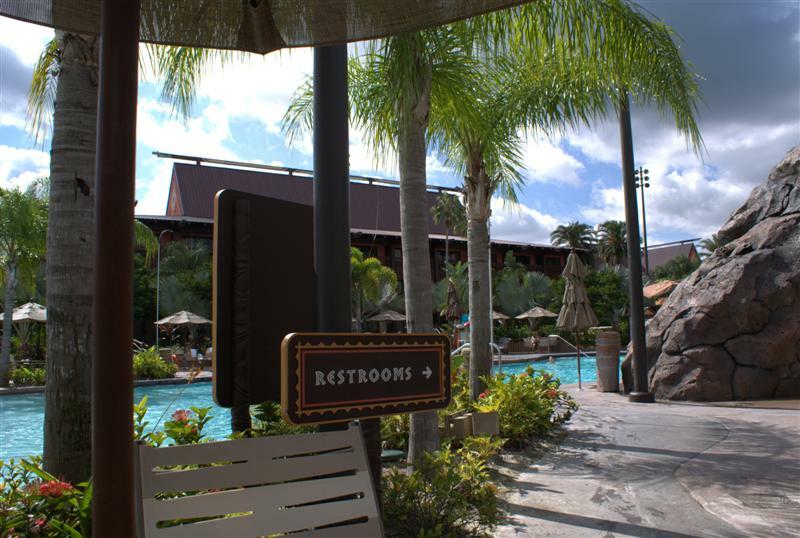 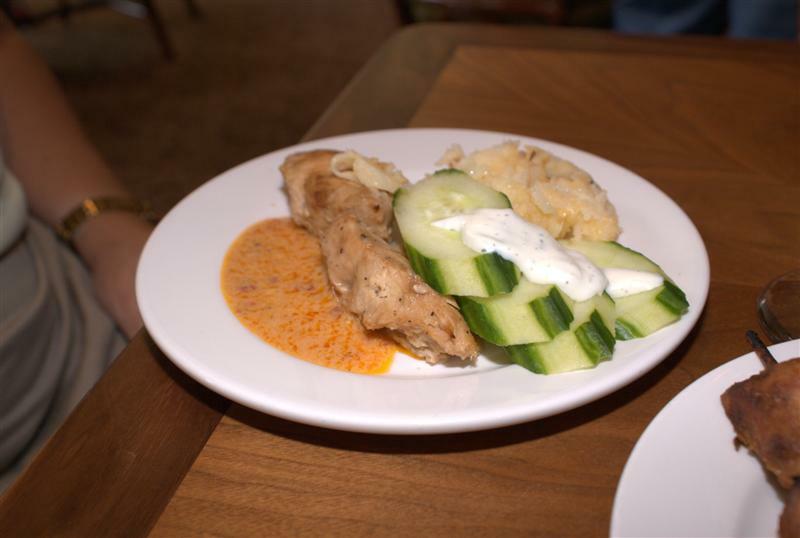 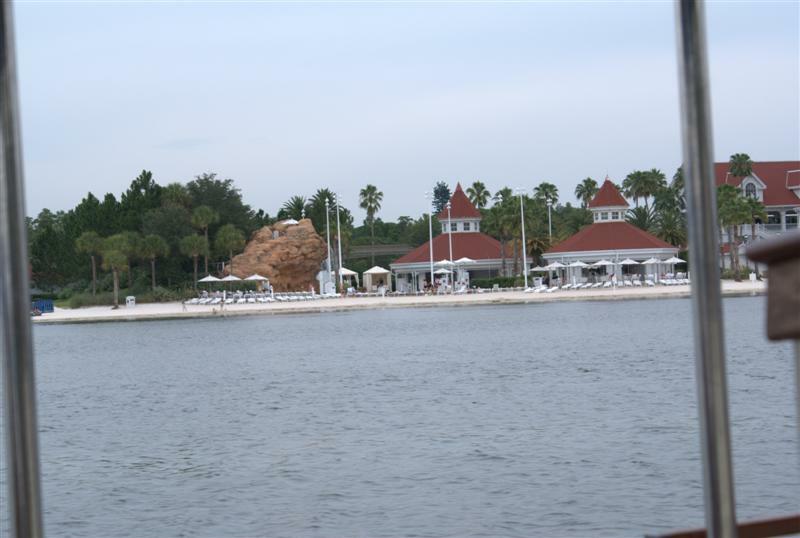 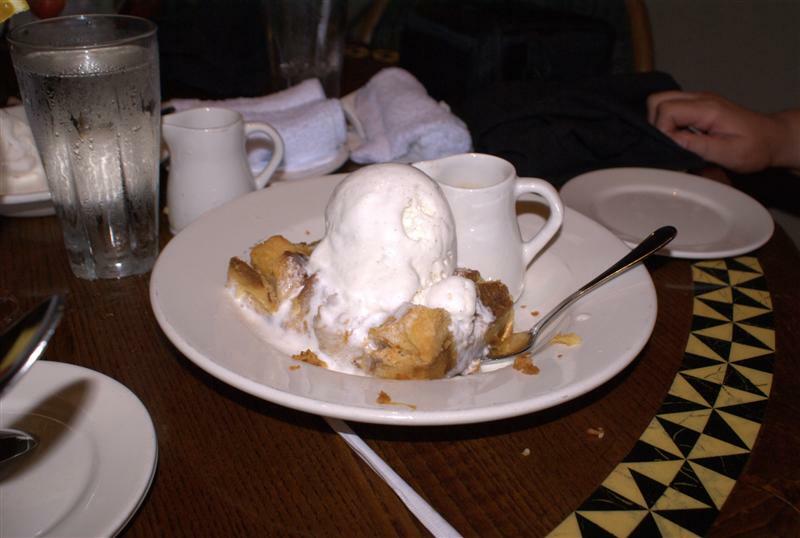 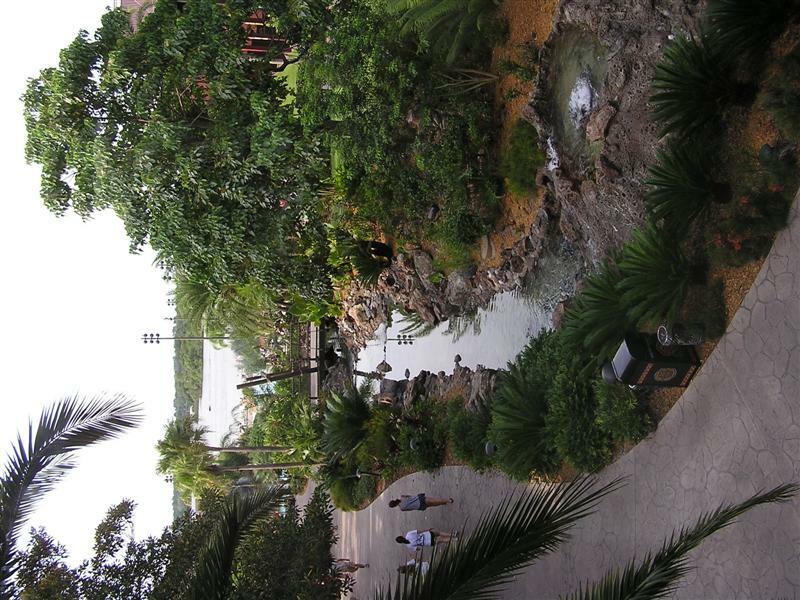 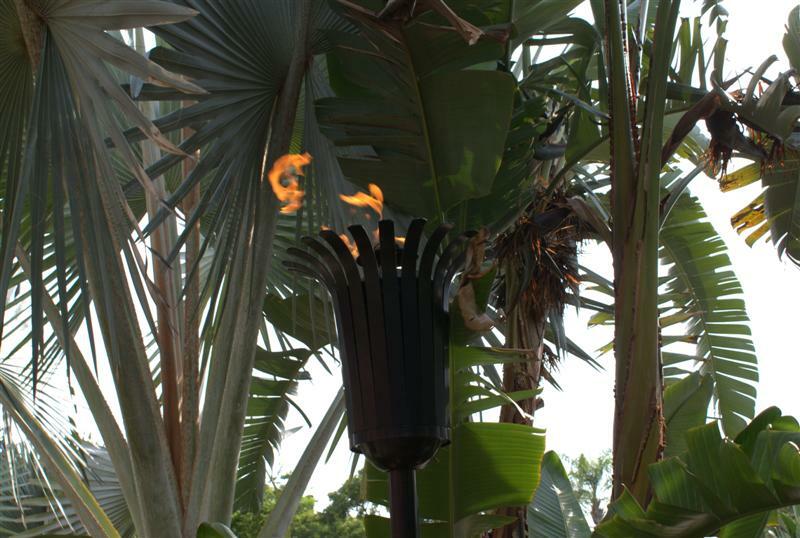 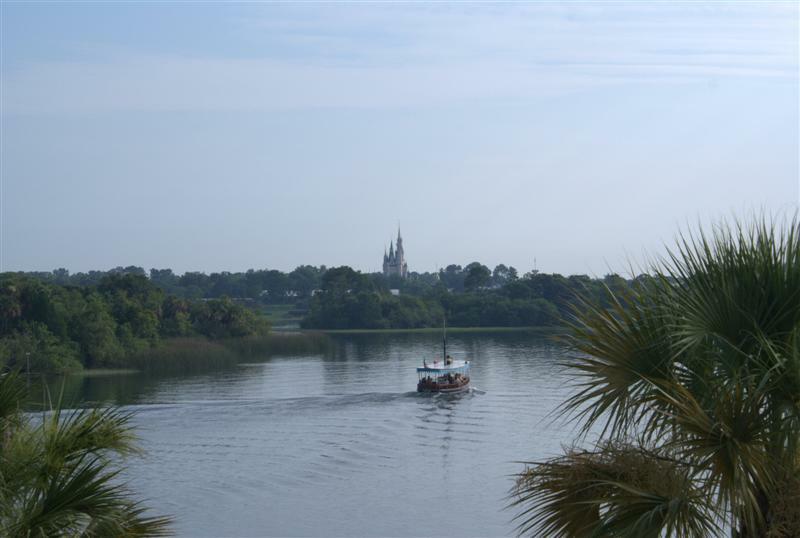 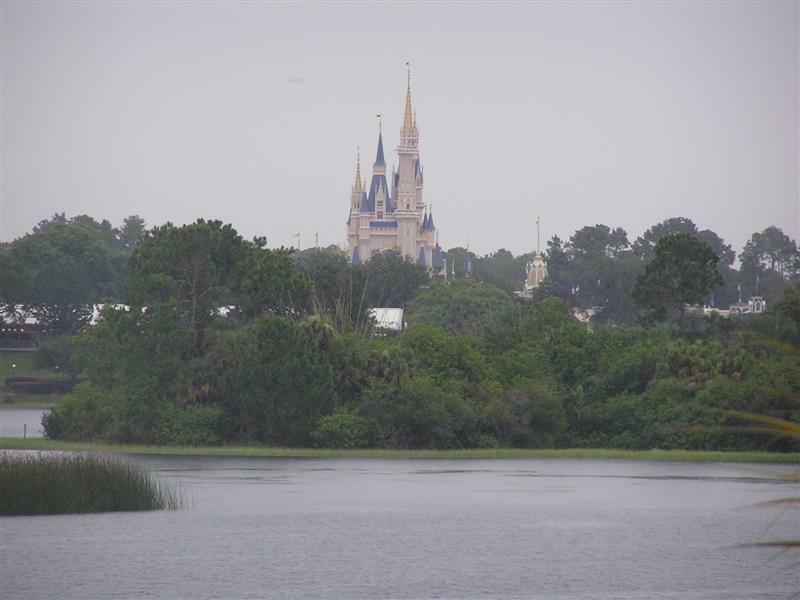 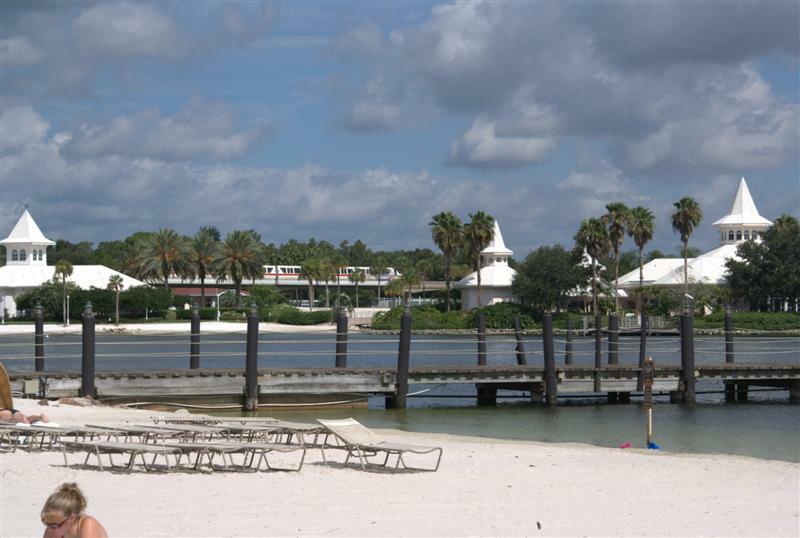 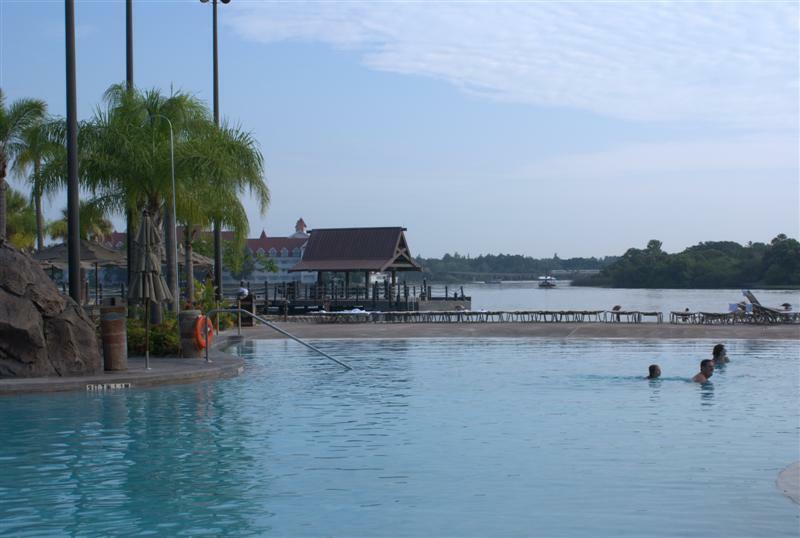 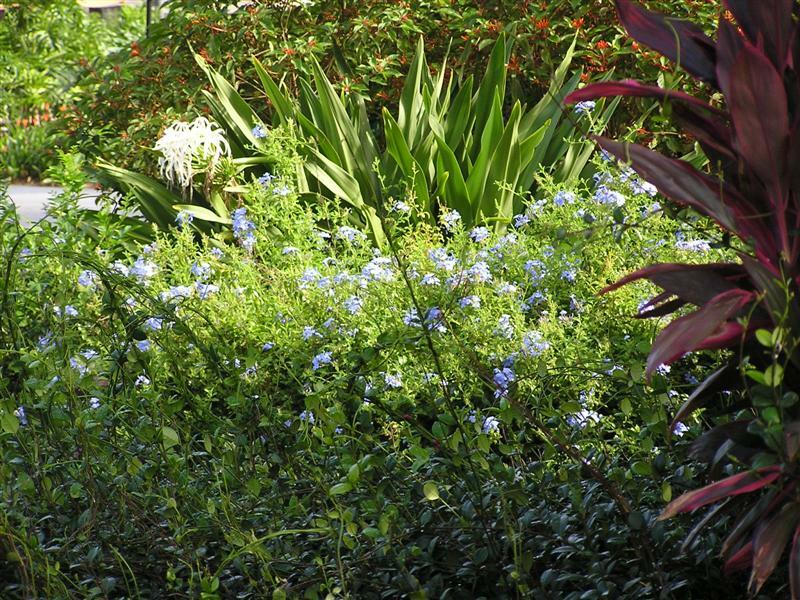 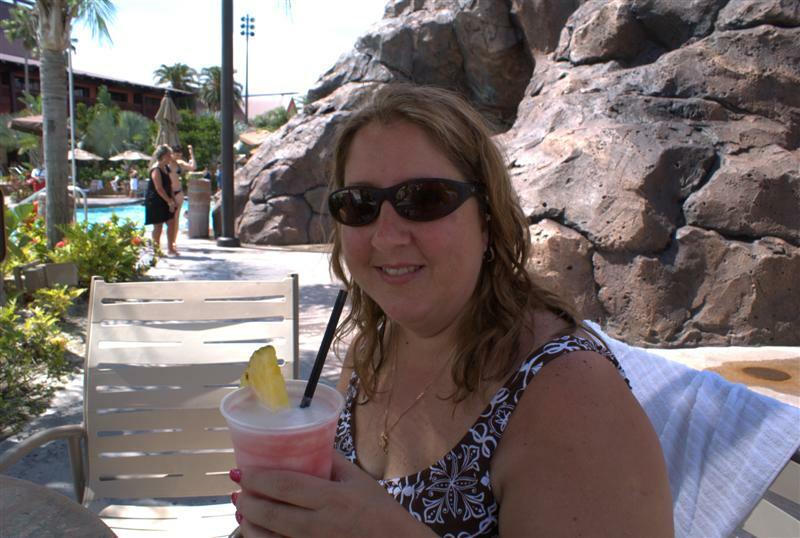 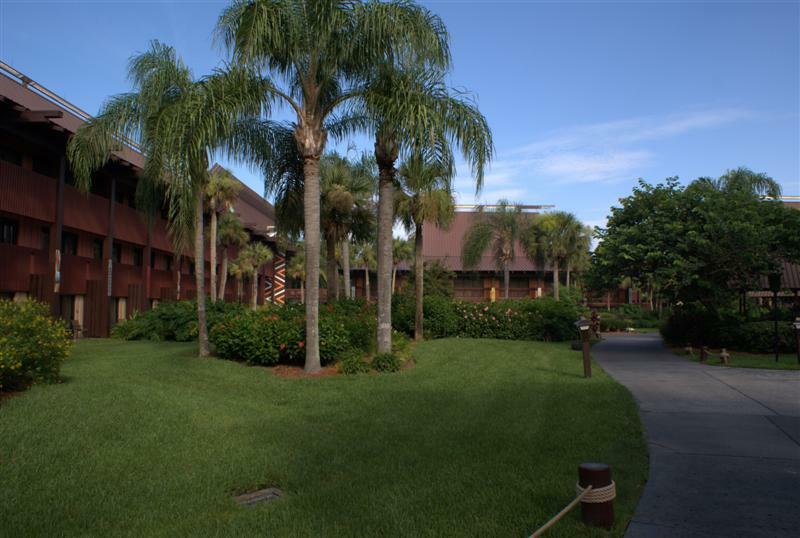 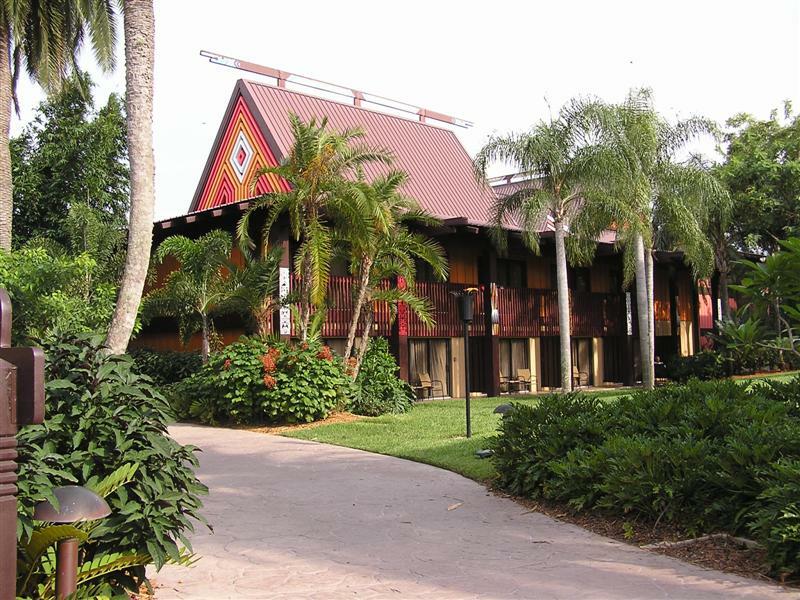 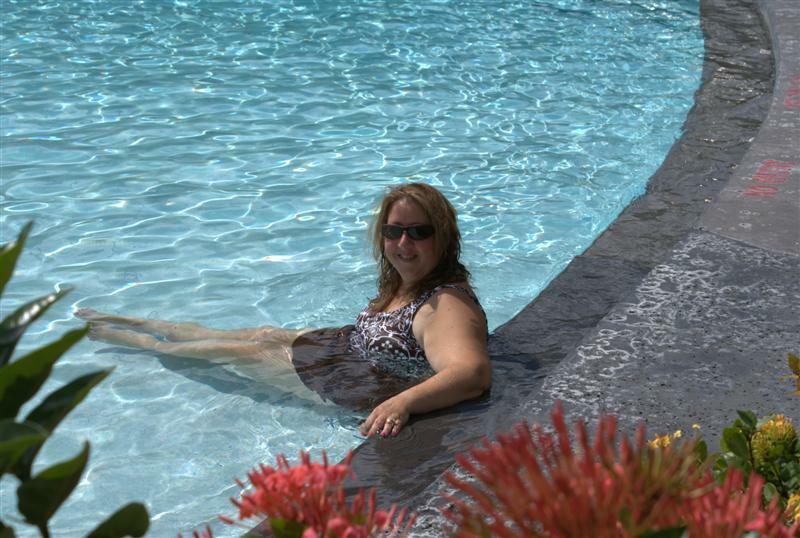 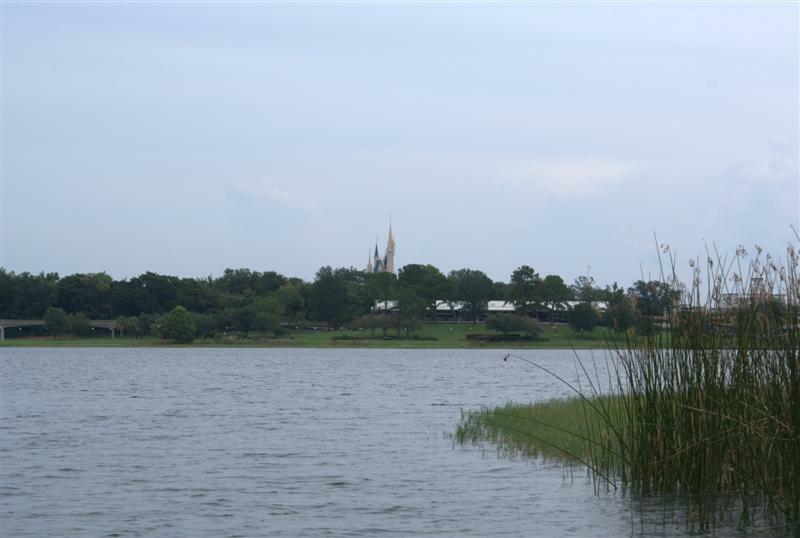 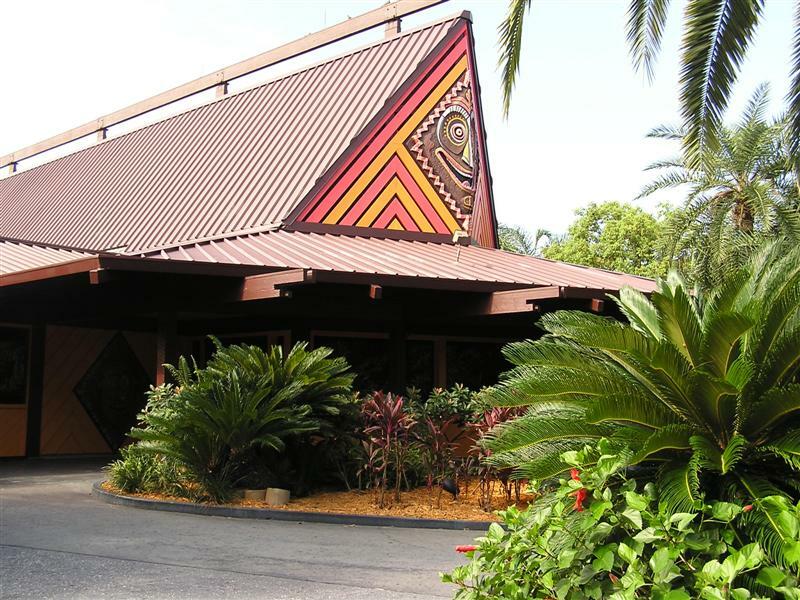 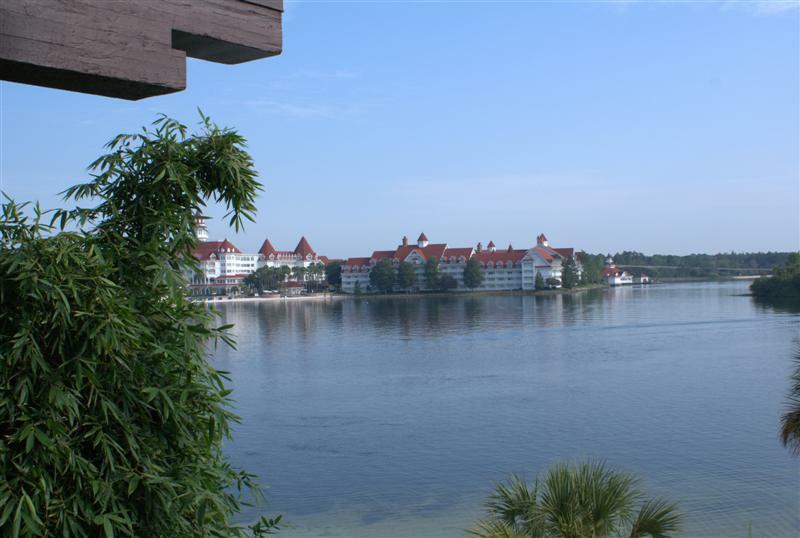 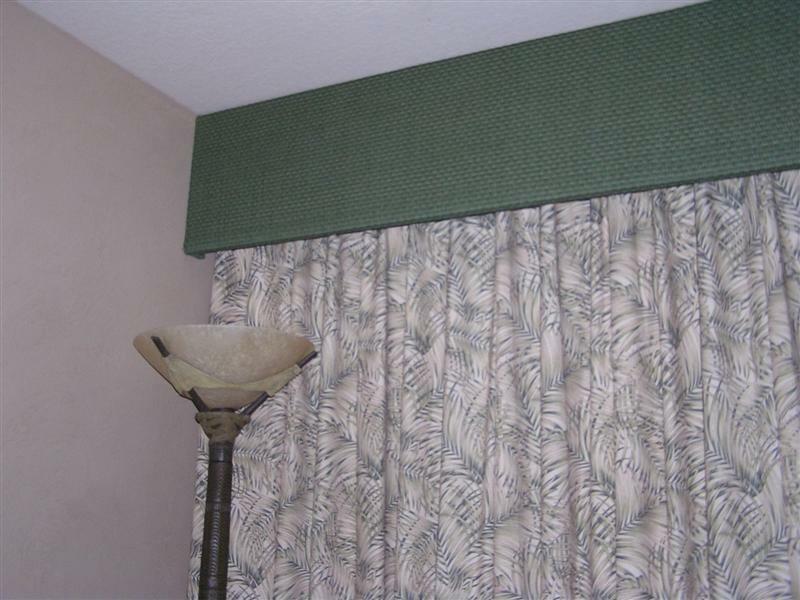 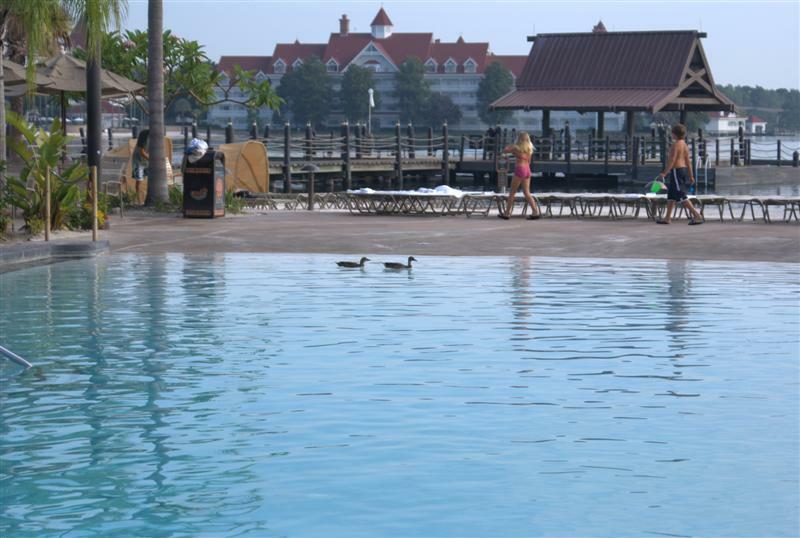 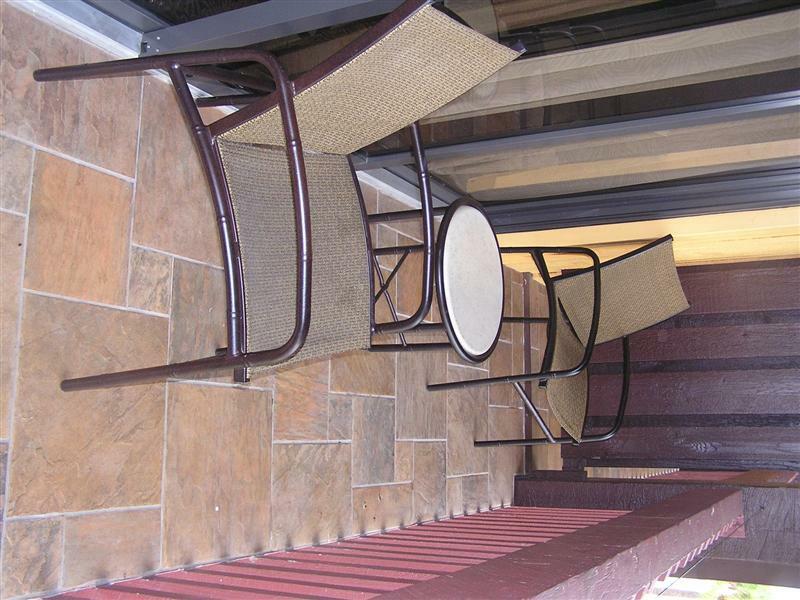 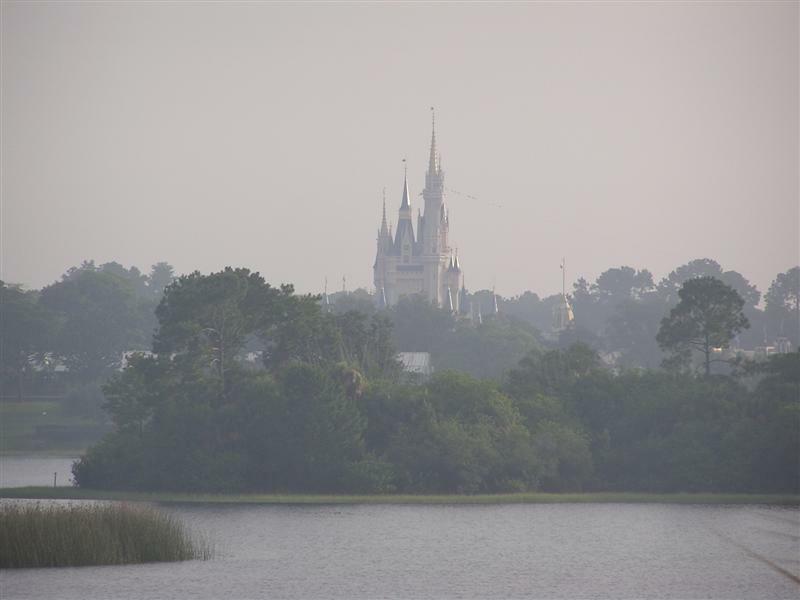 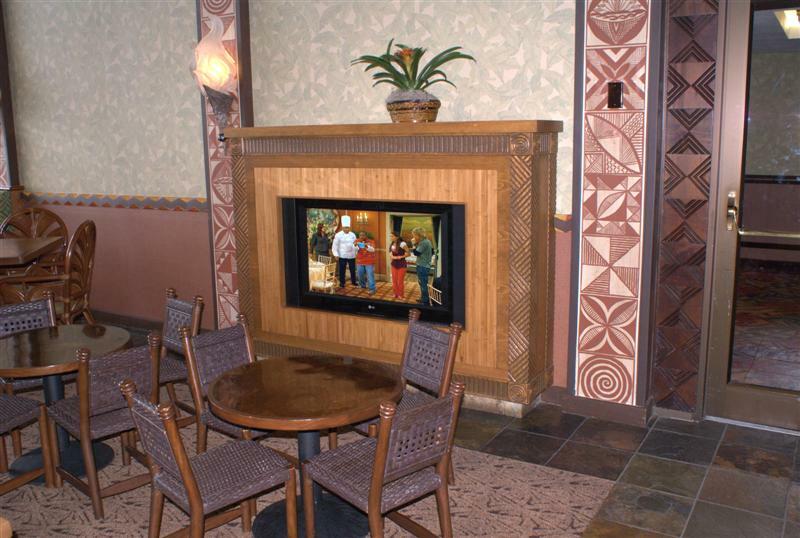 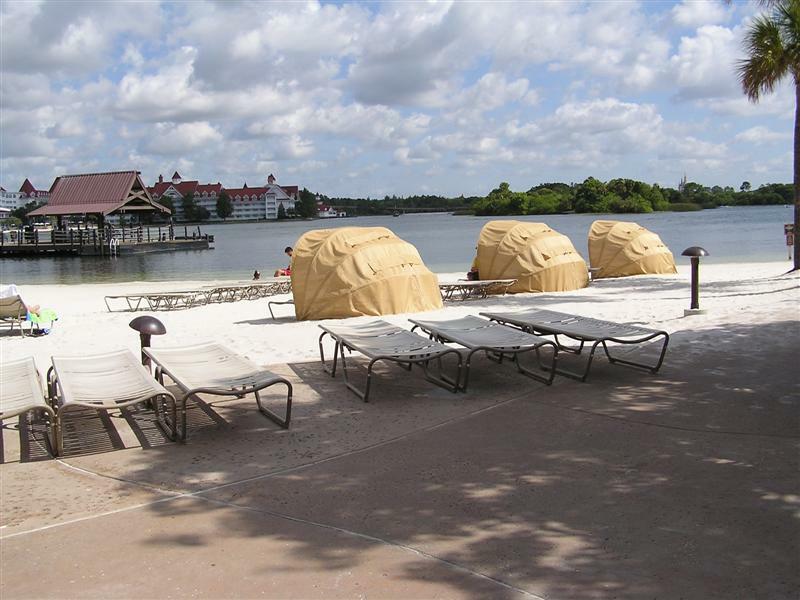 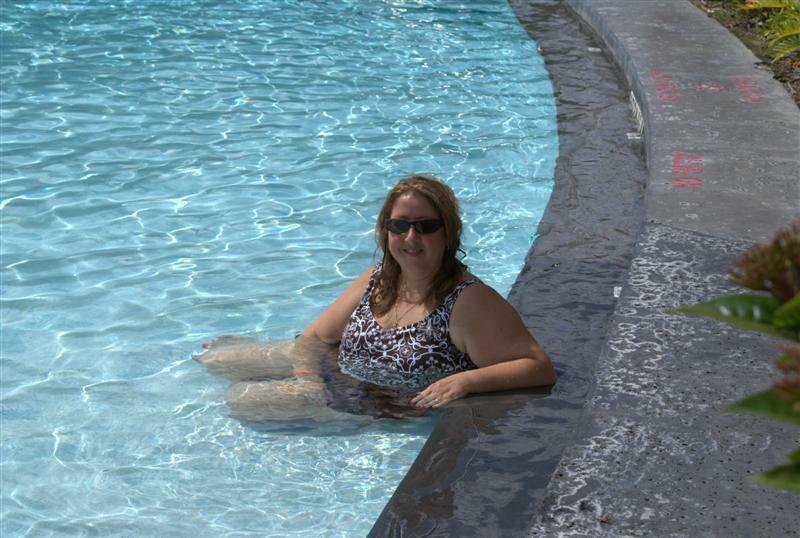 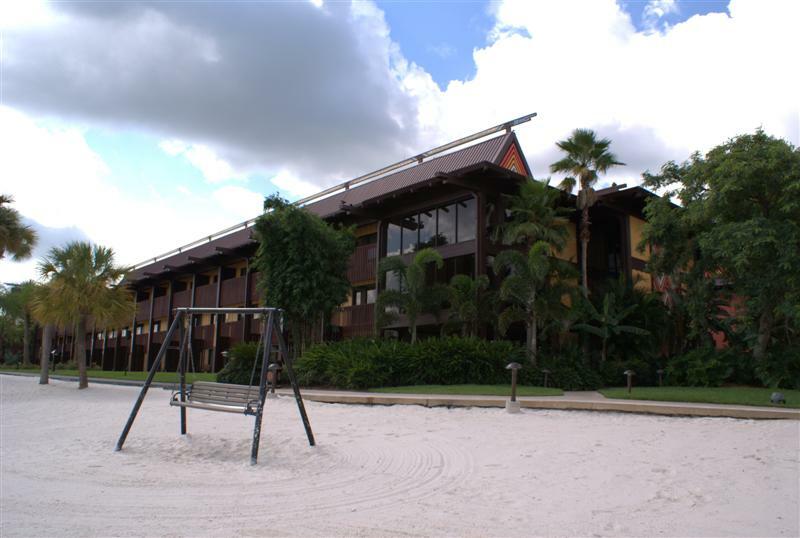 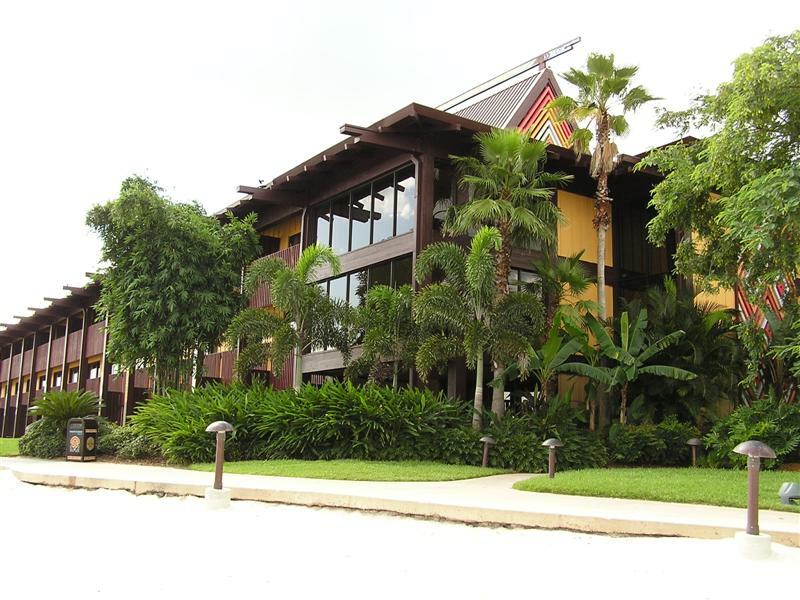 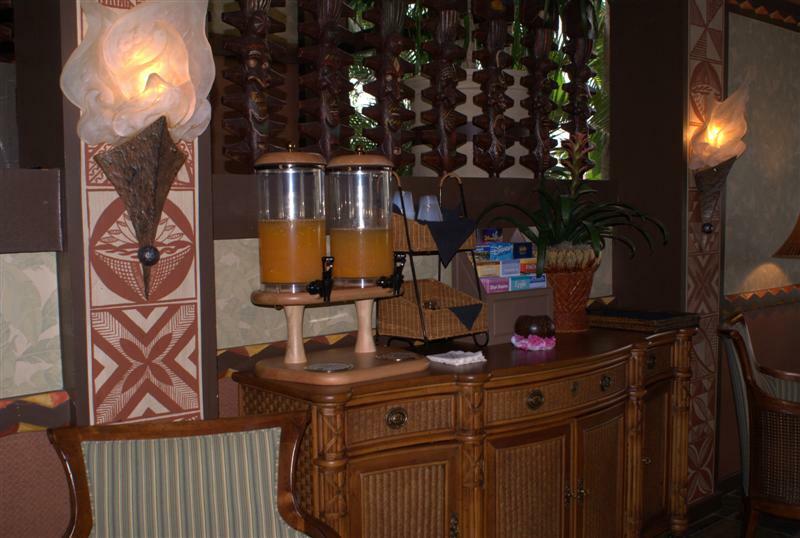 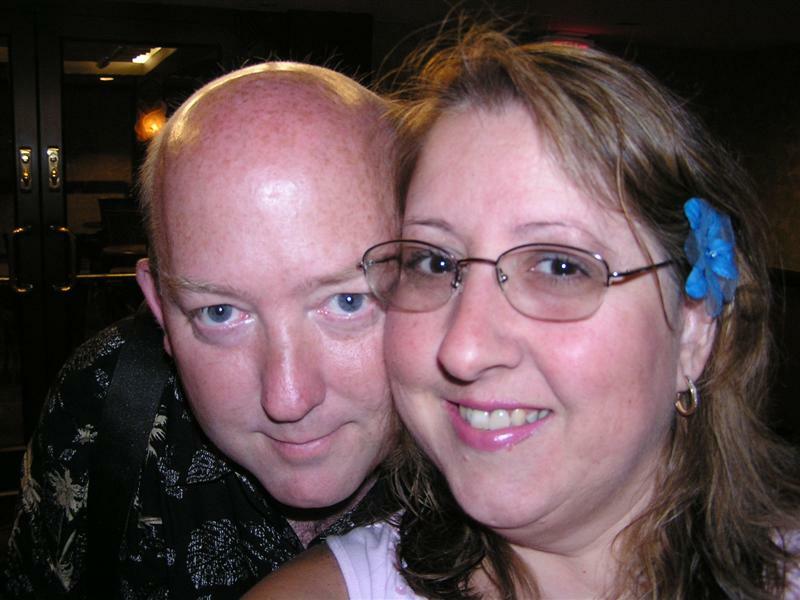 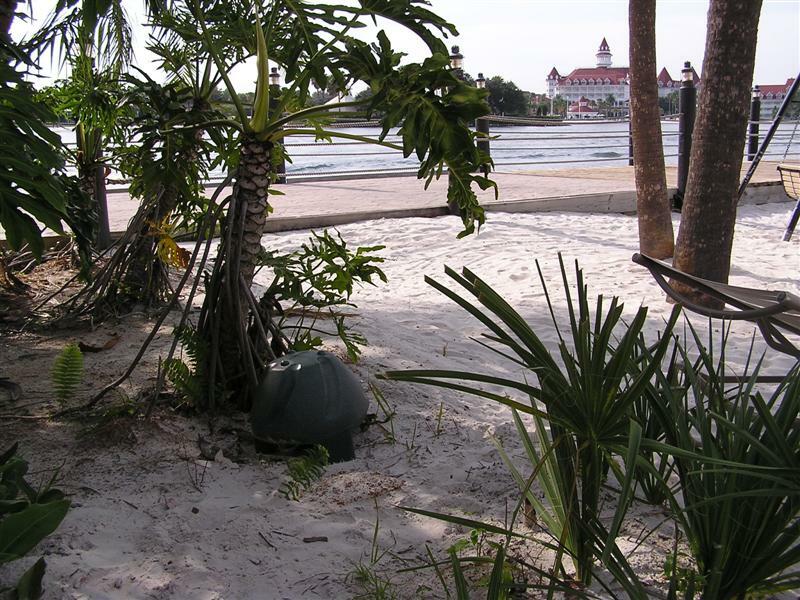 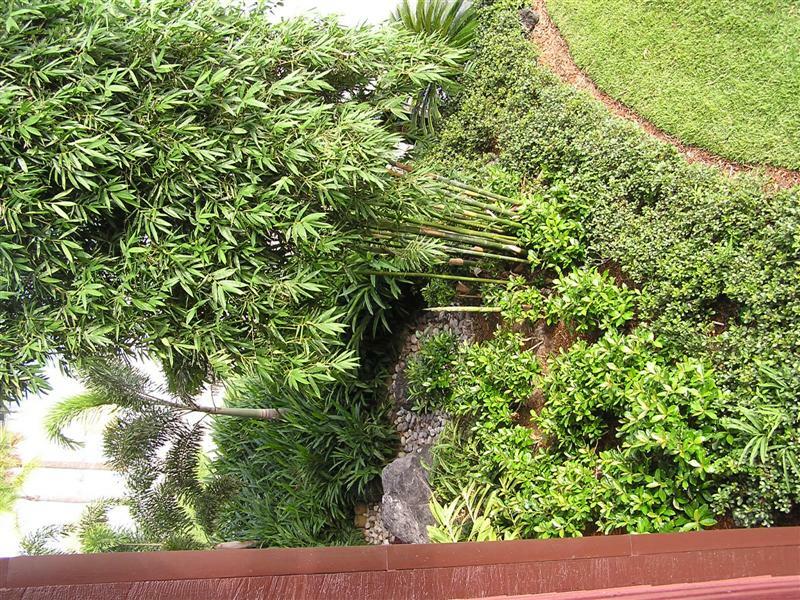 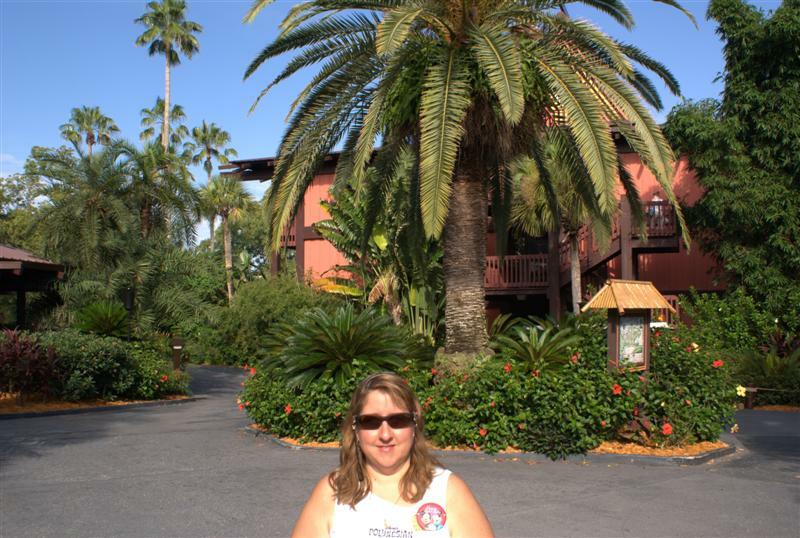 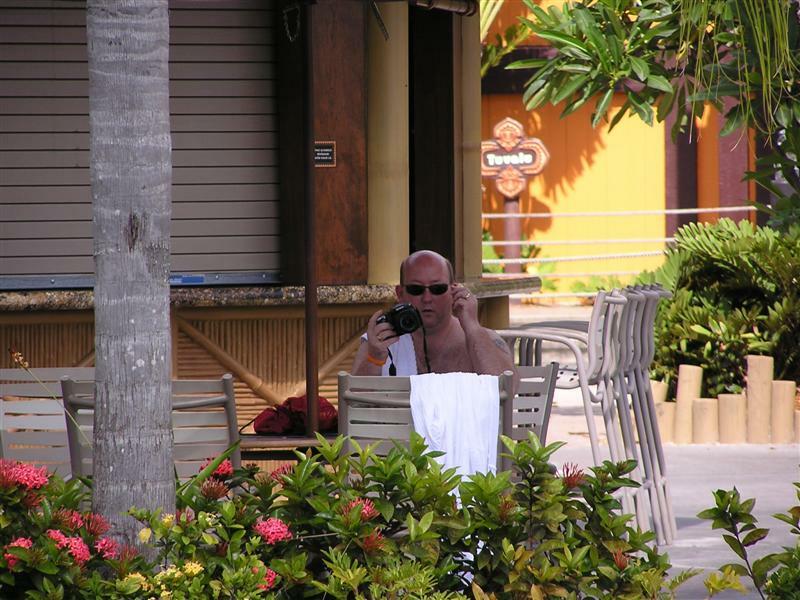 July 2007 proved to be a wonderful time to be staying at Disney's Polynesian resort! 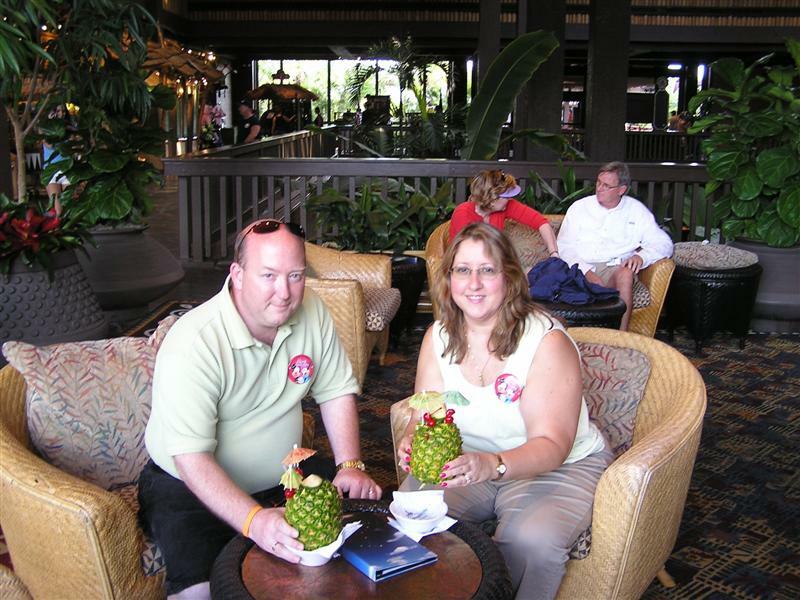 This was our fourth time there, and it was our BEST time ever! 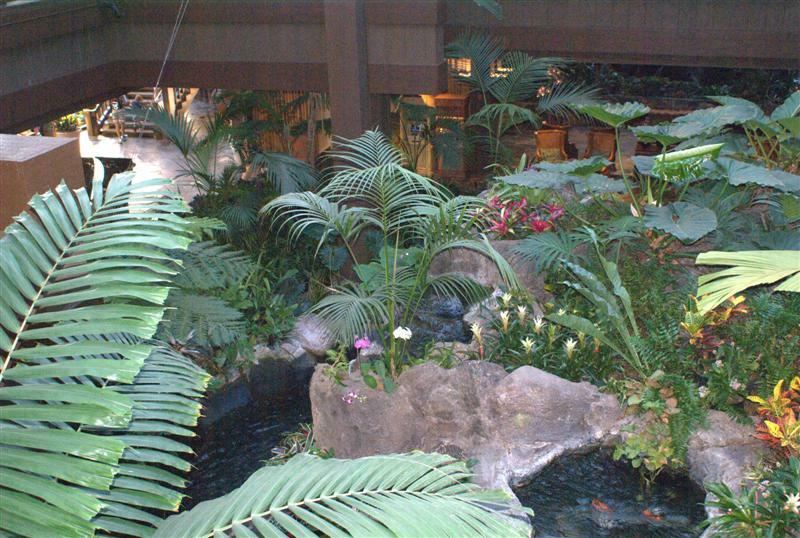 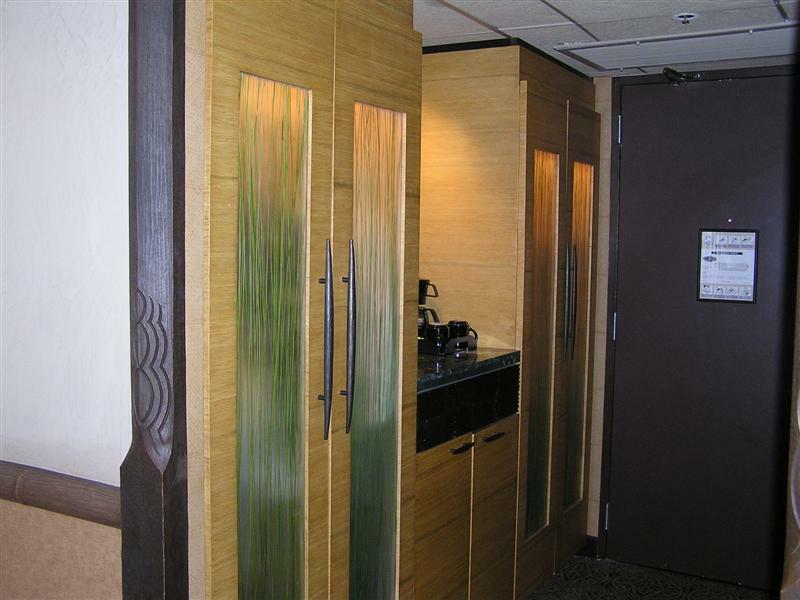 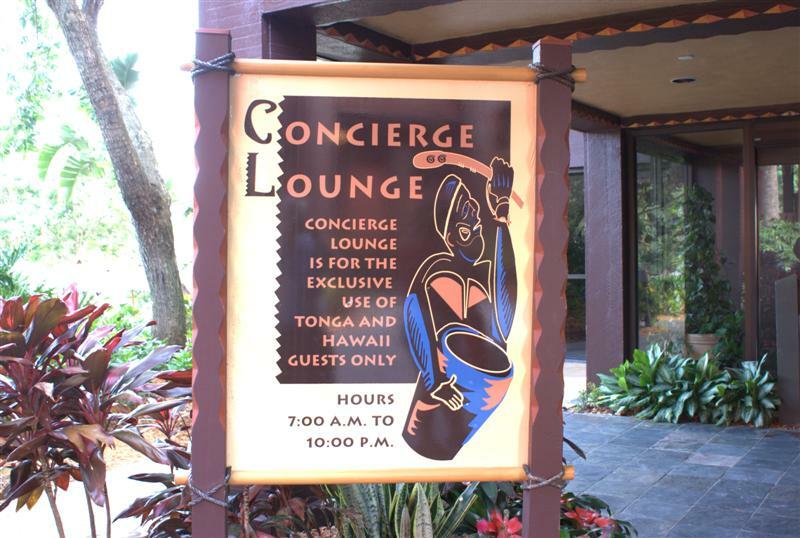 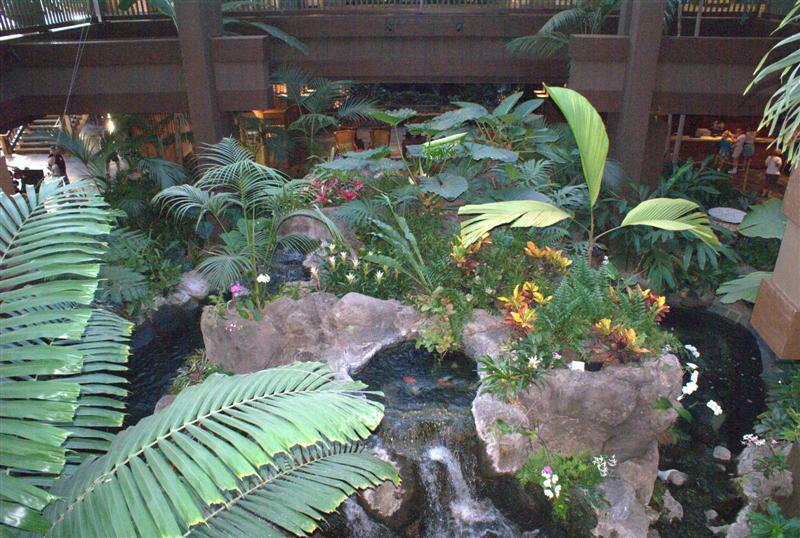 Once again we stayed in the Hawaii concierge building and check-in was quick and easy. 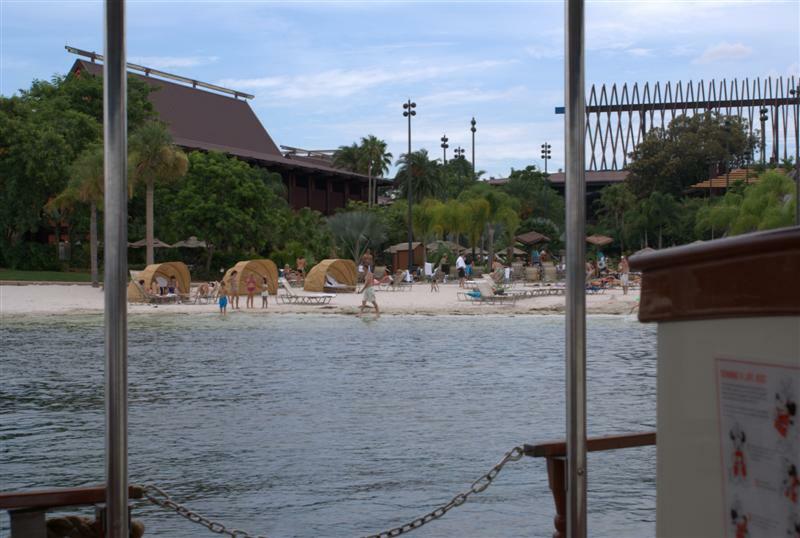 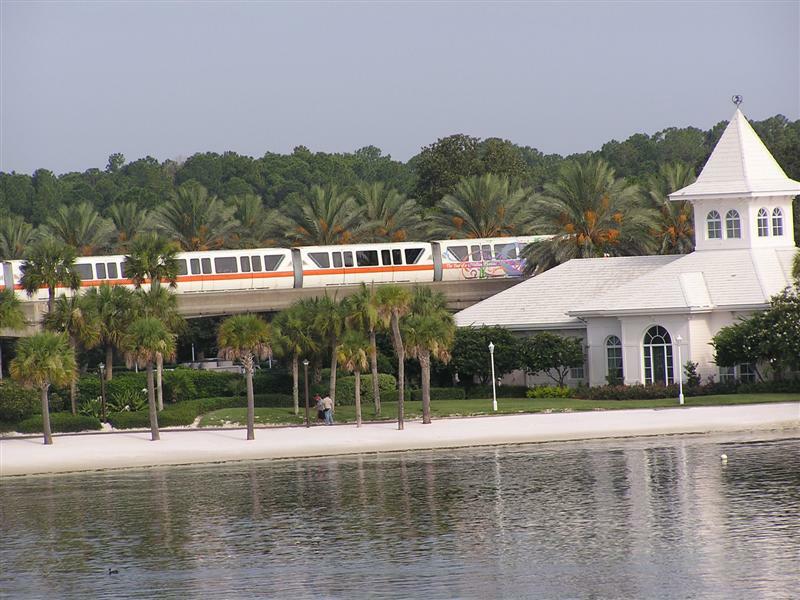 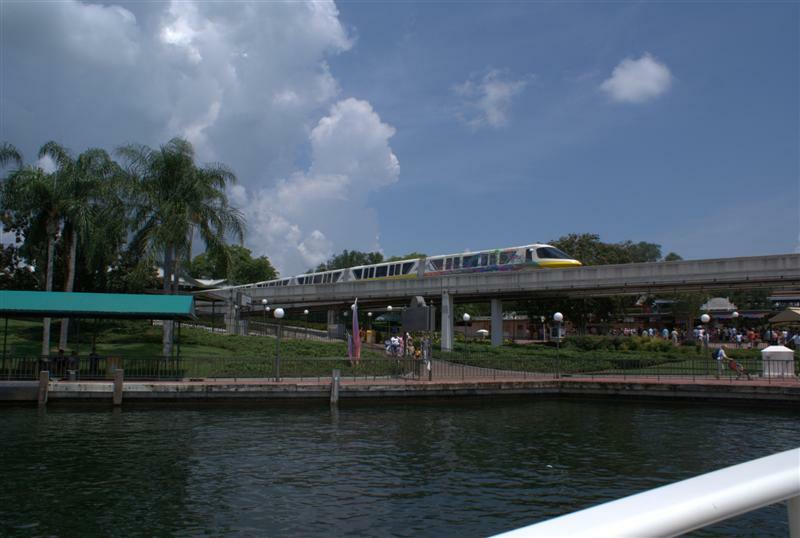 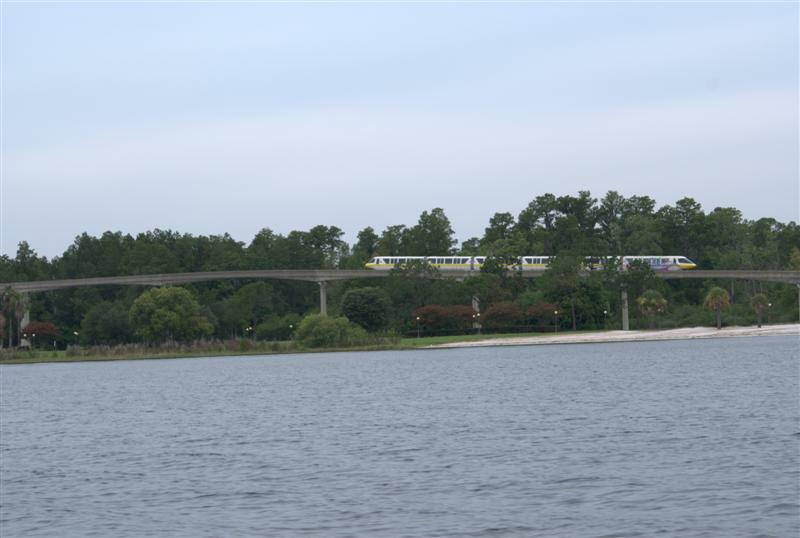 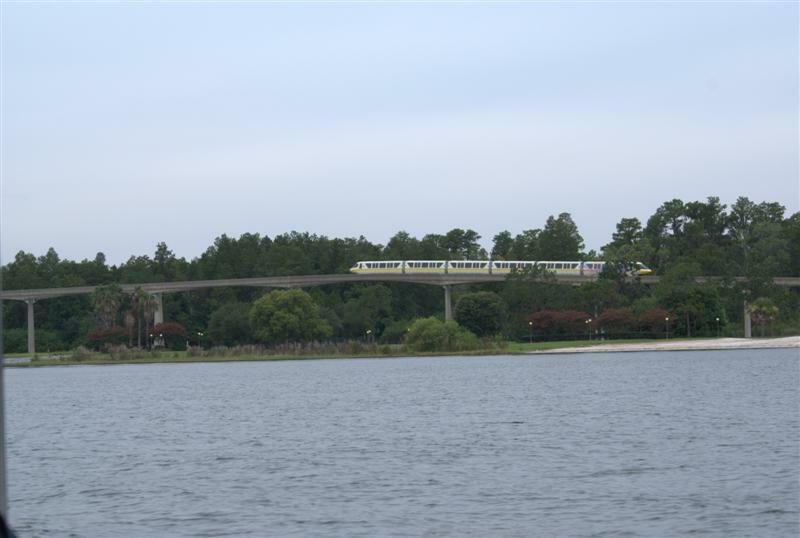 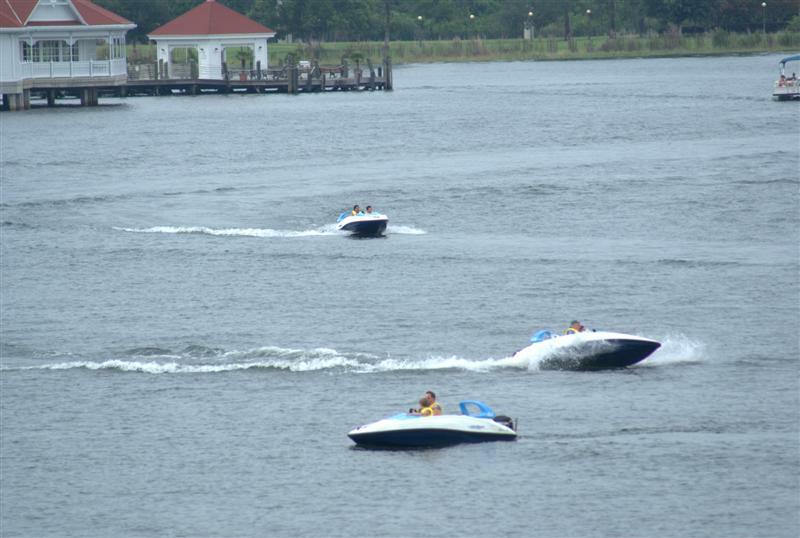 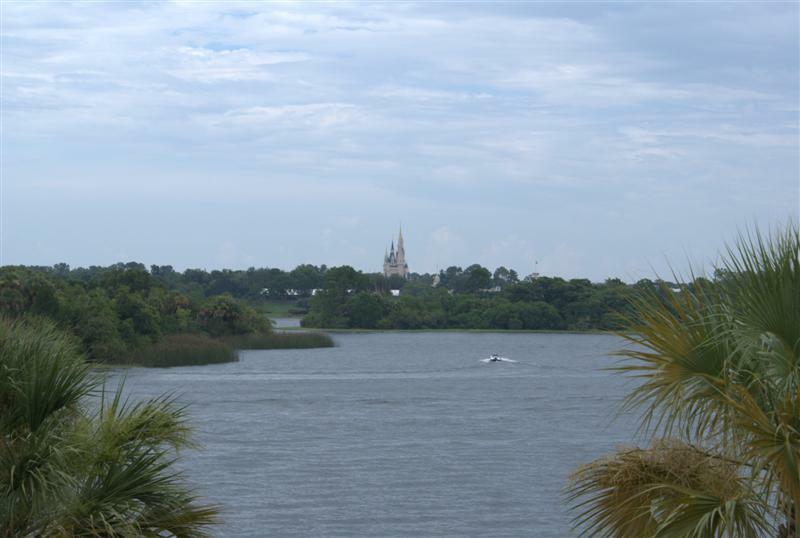 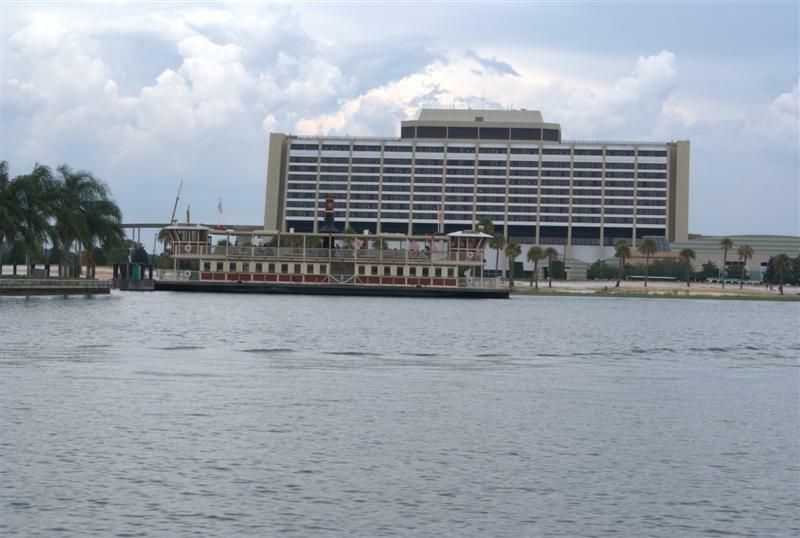 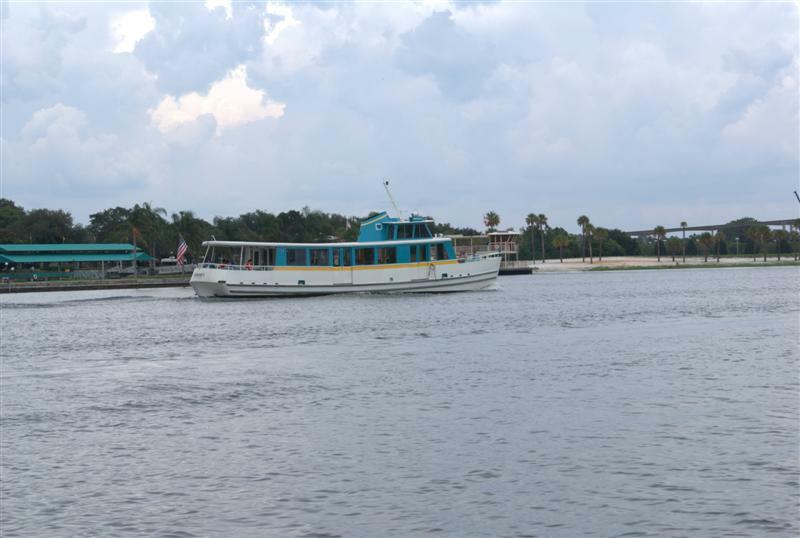 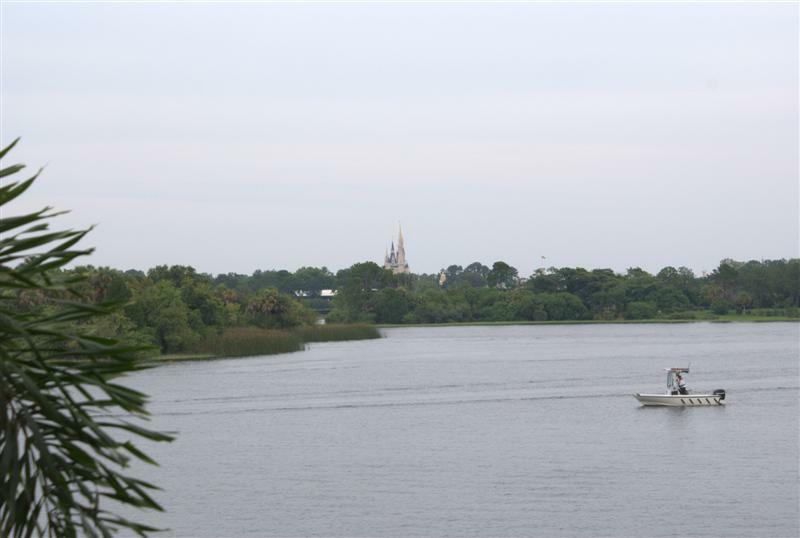 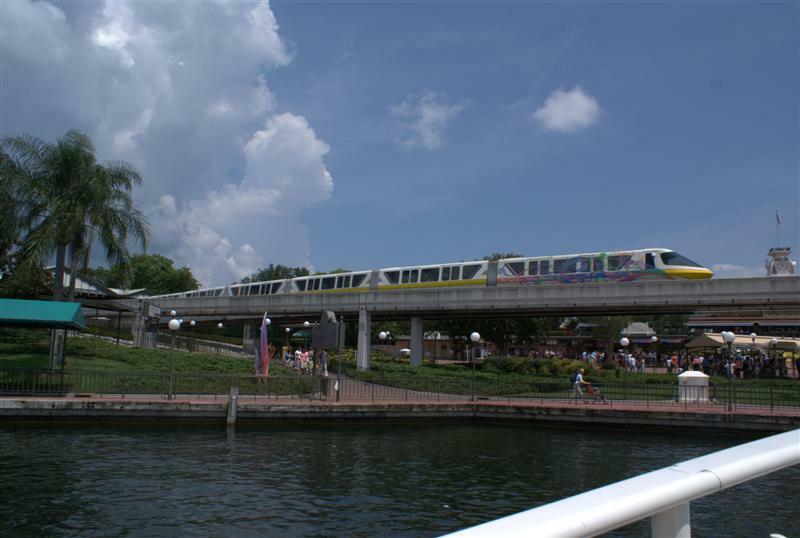 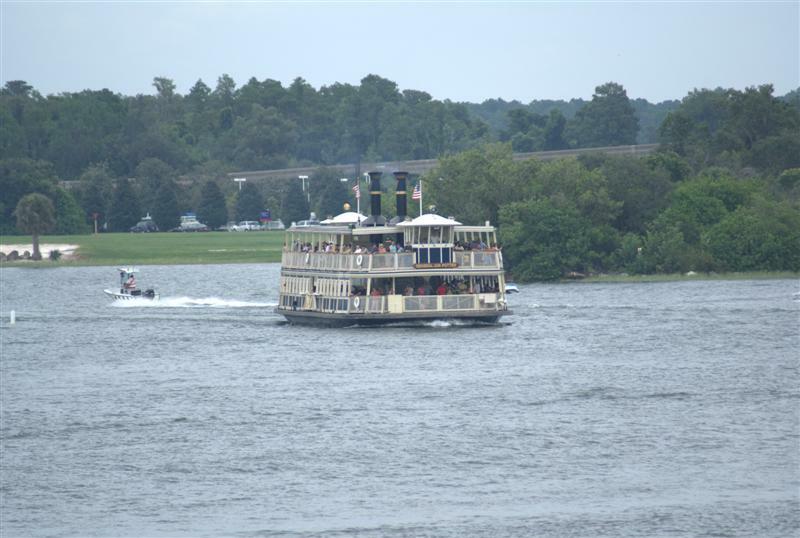 Lots of activity on the lagoon...ferries, boats, and monorails - coming and going, bringing and returning happy park goers! 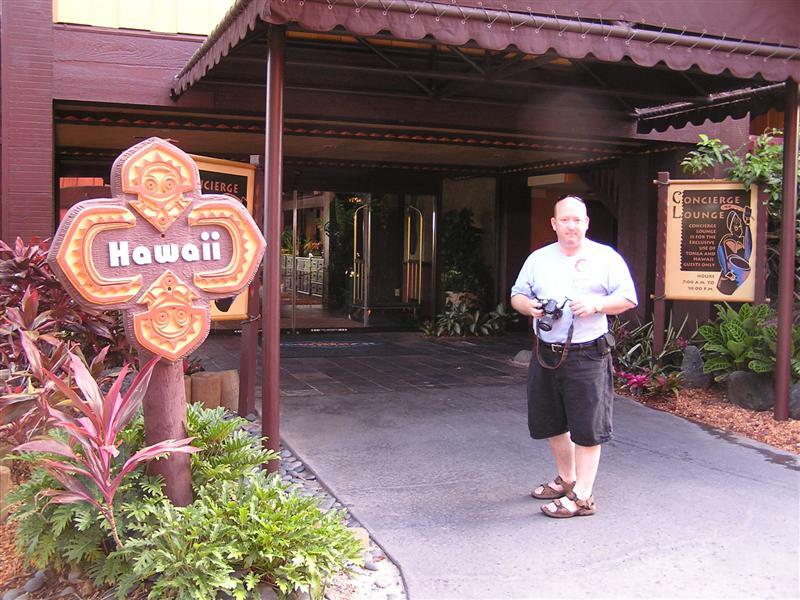 Now, back to the Hawaii building! 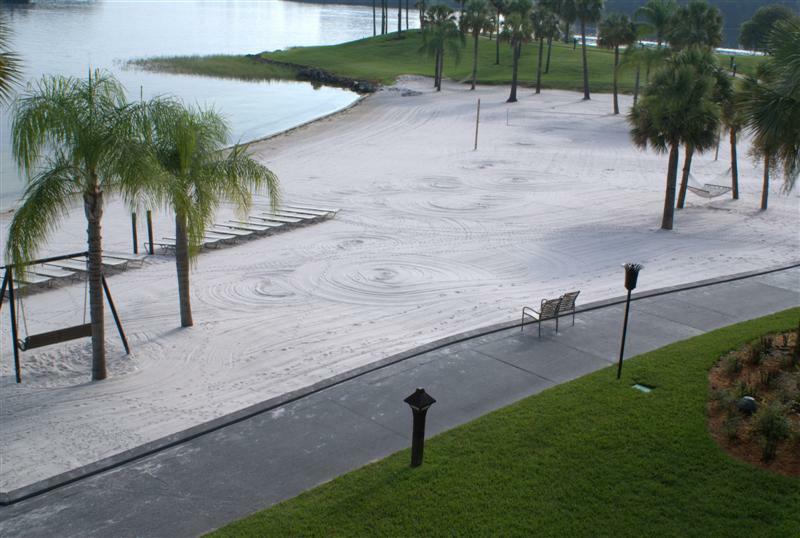 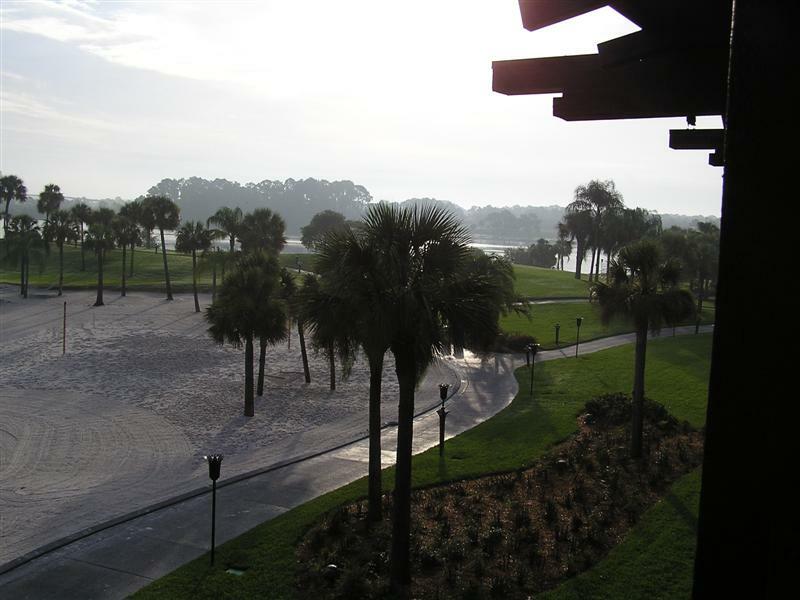 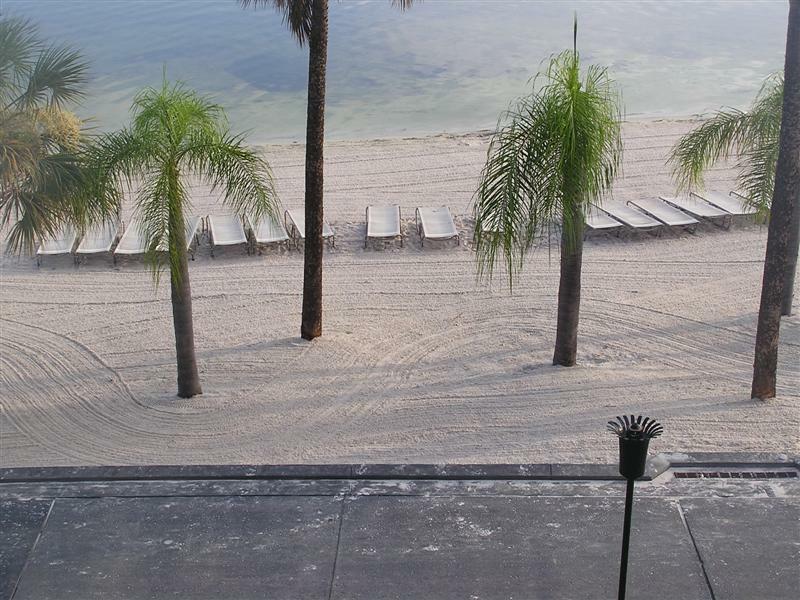 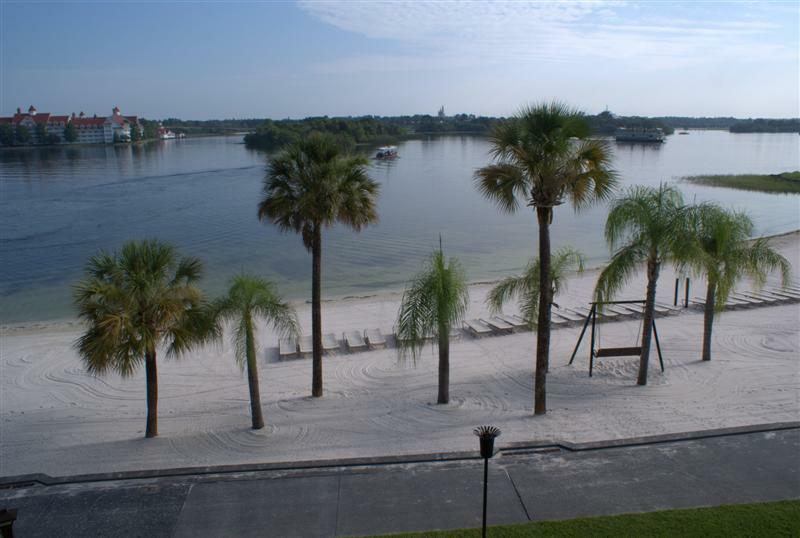 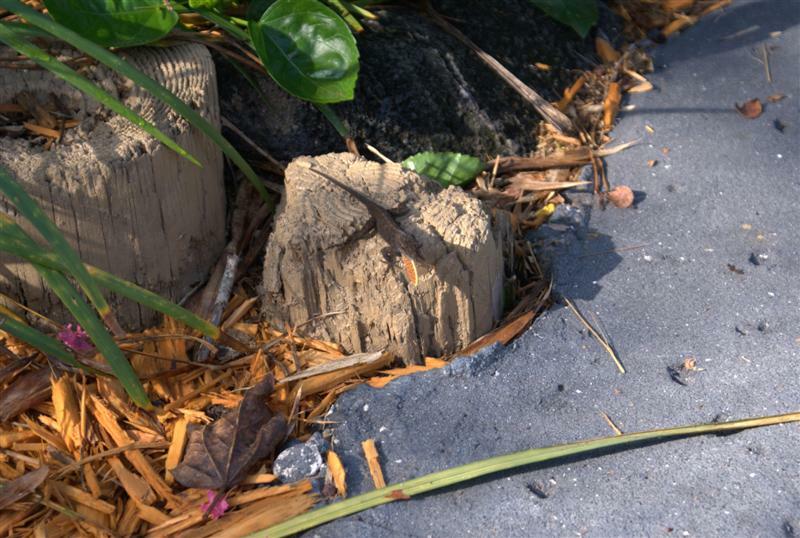 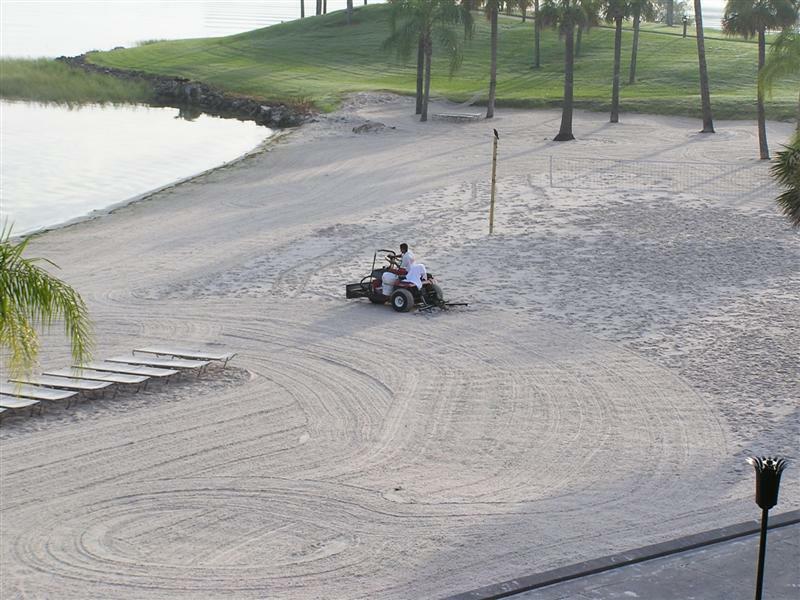 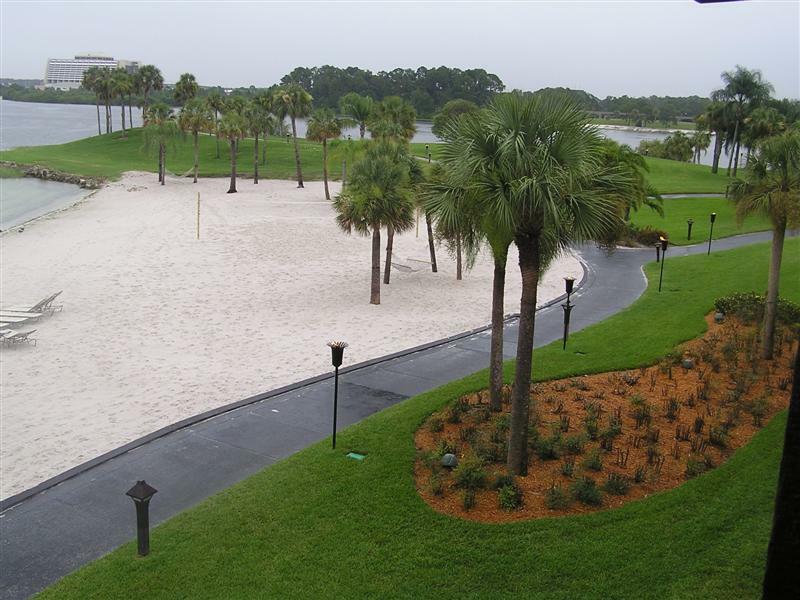 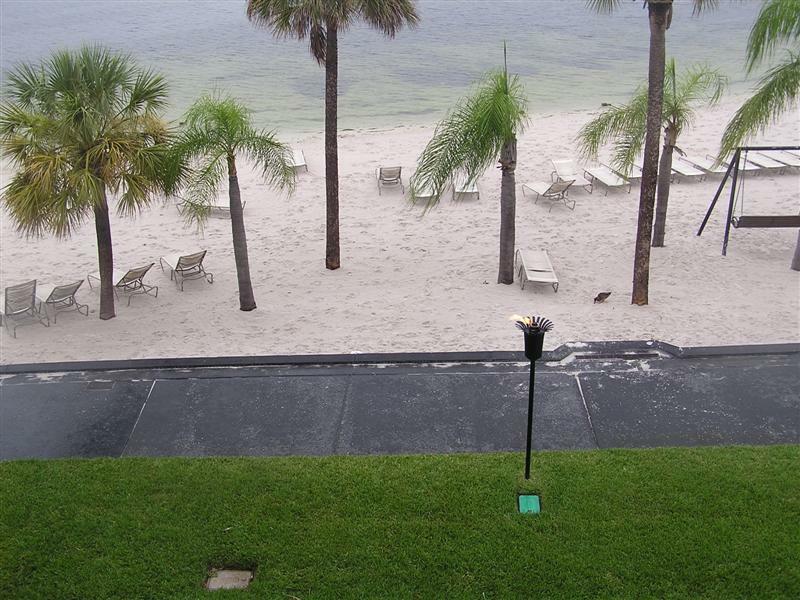 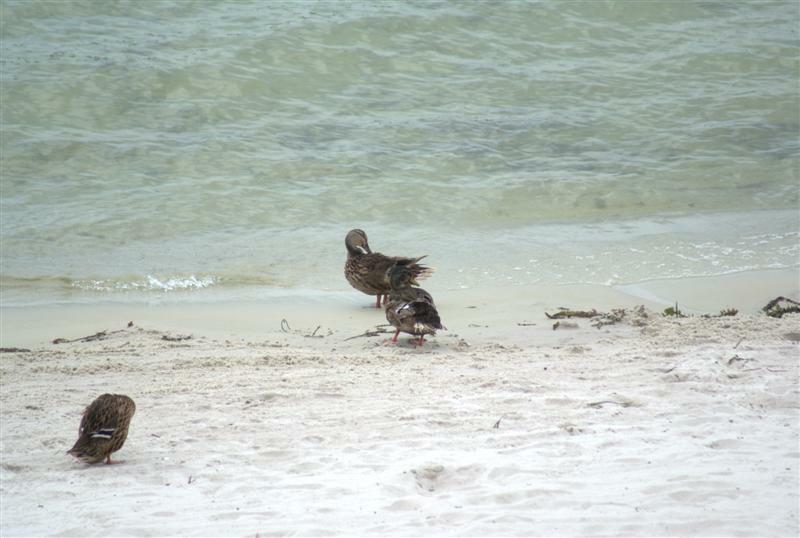 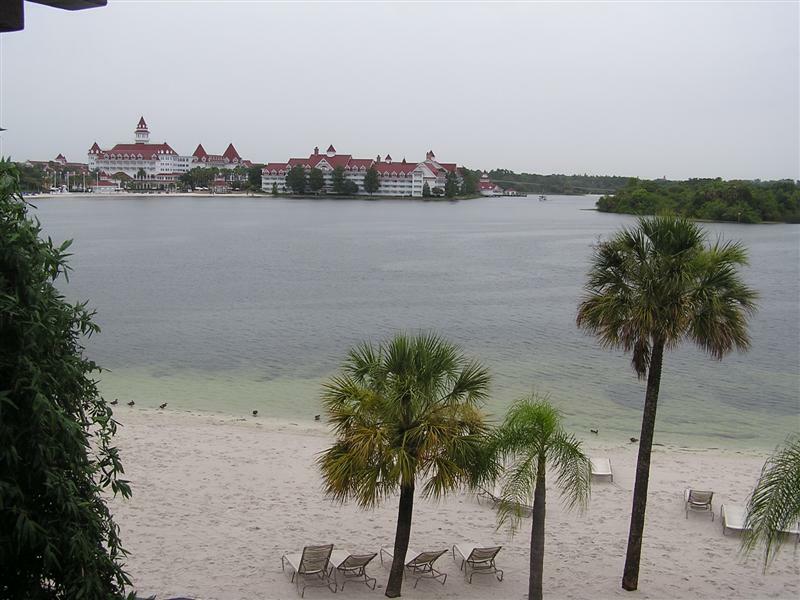 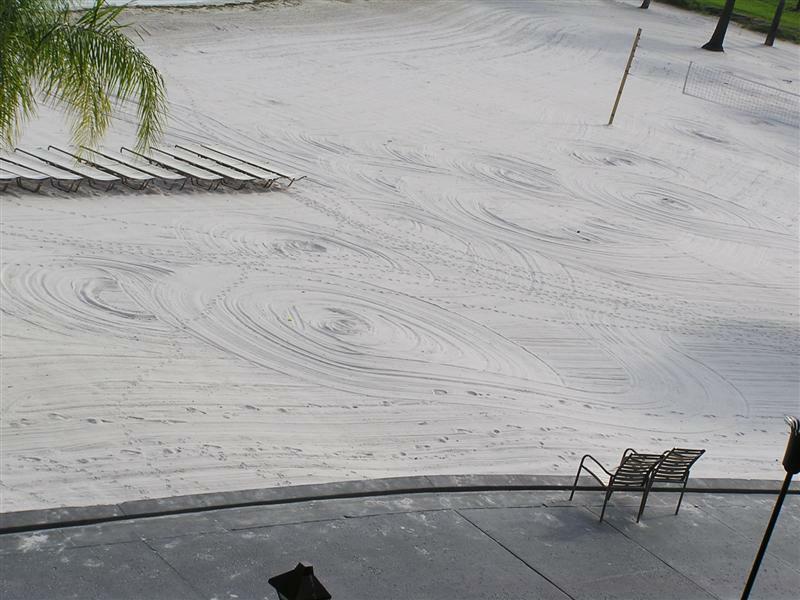 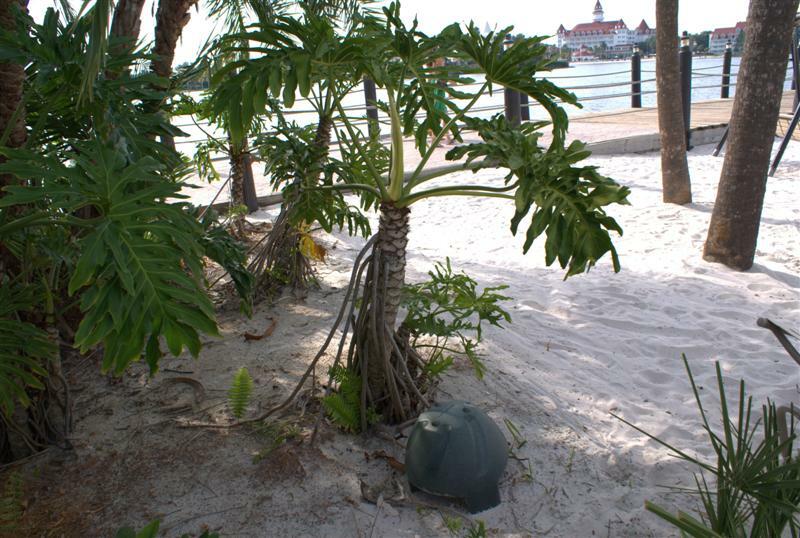 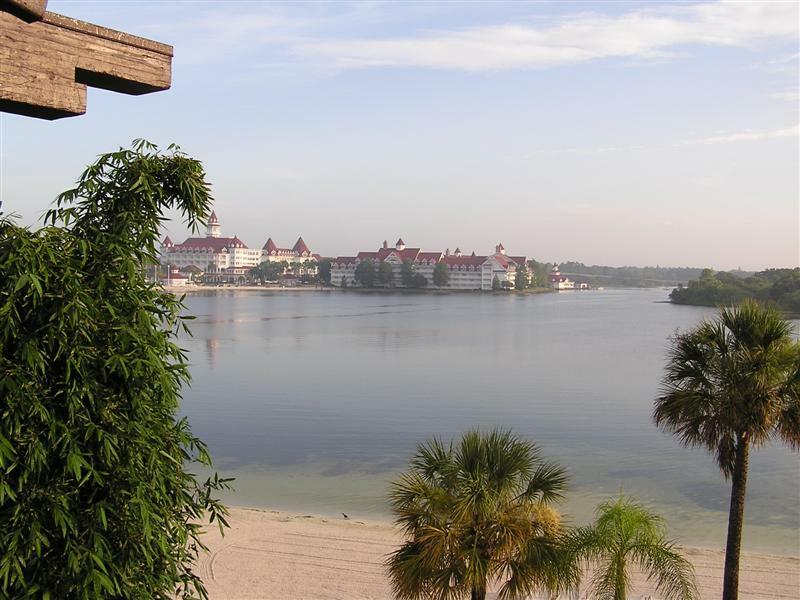 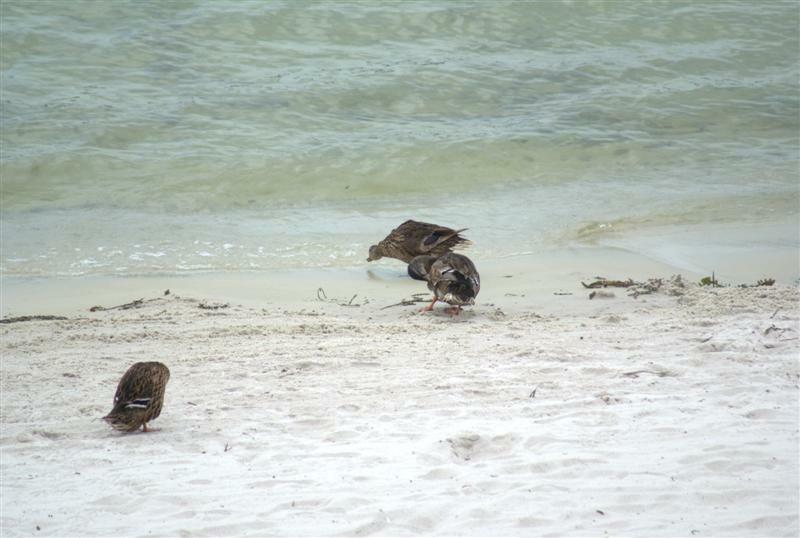 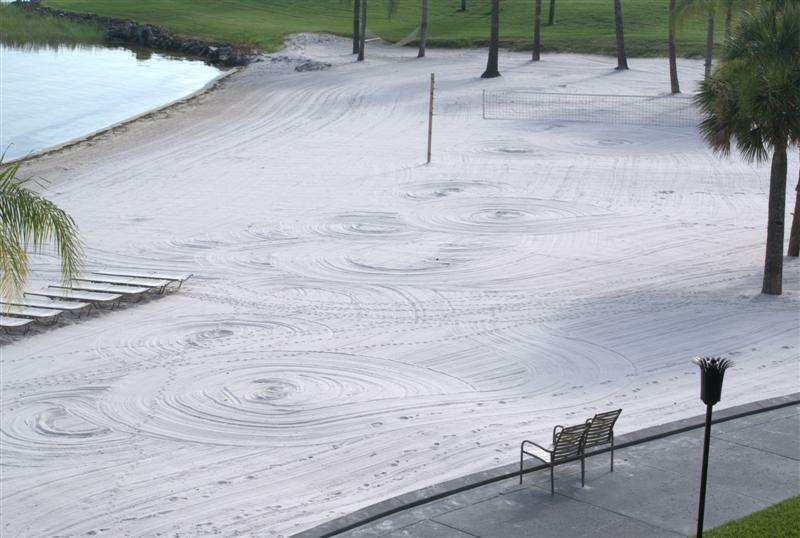 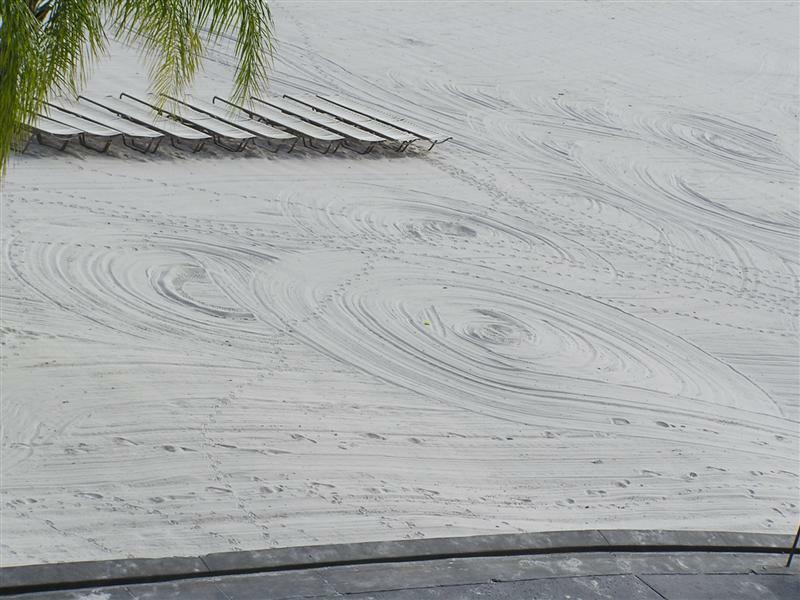 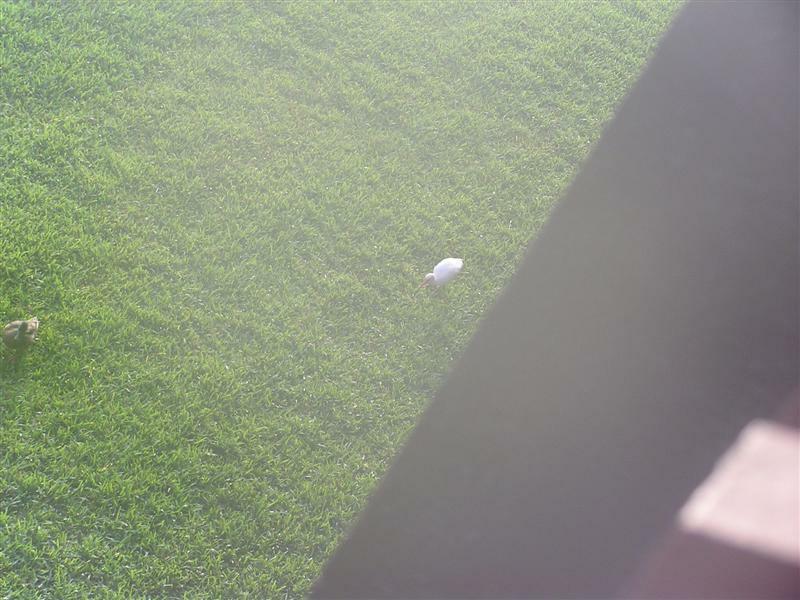 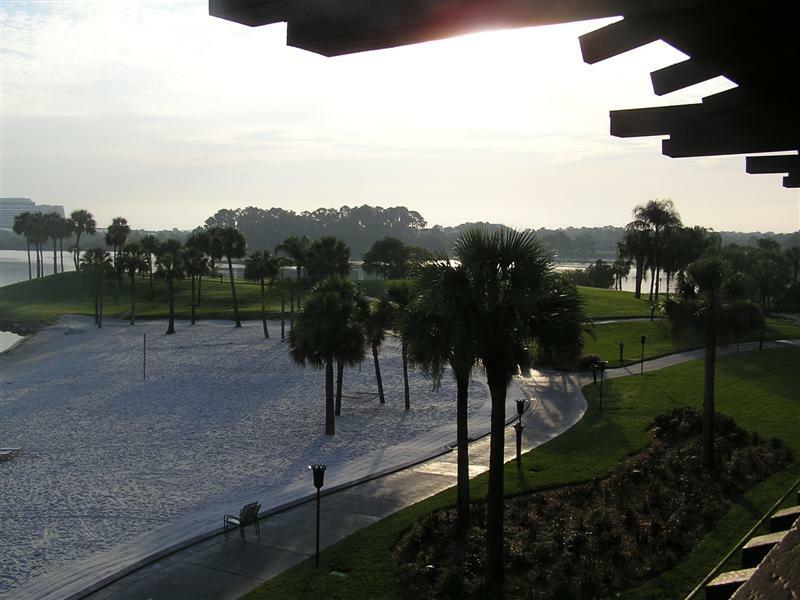 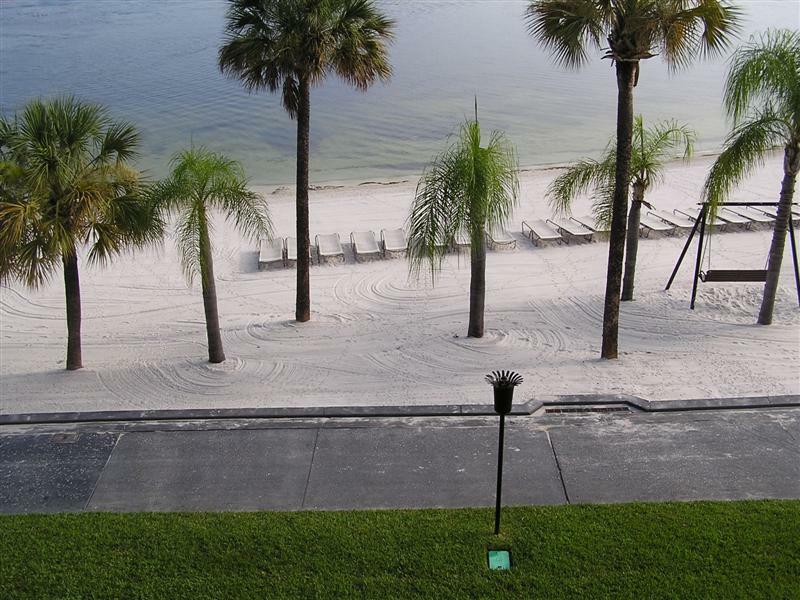 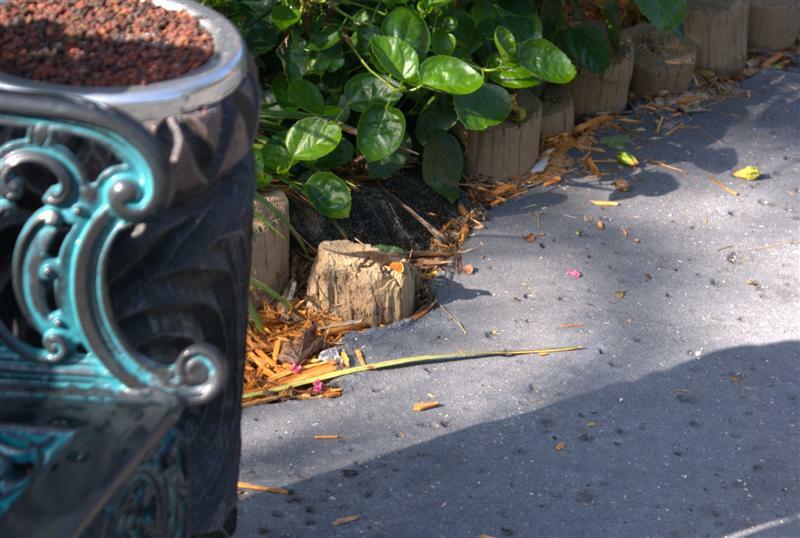 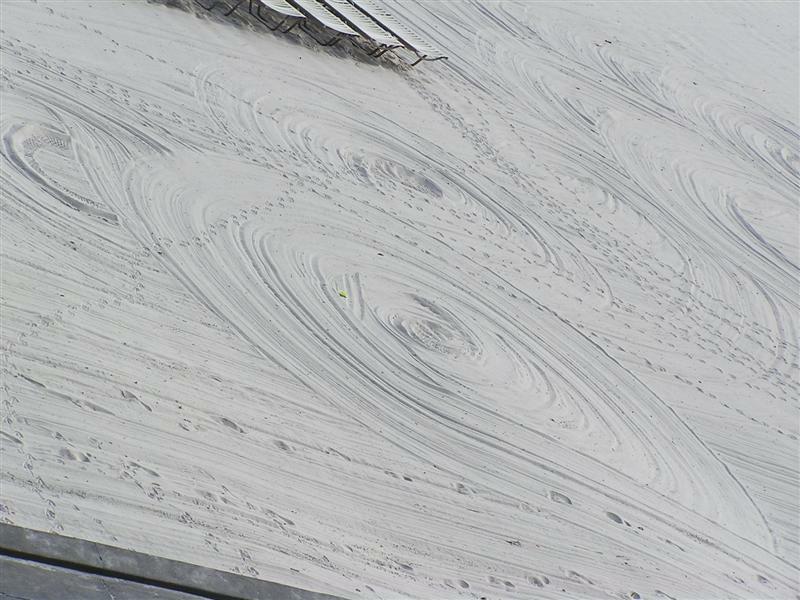 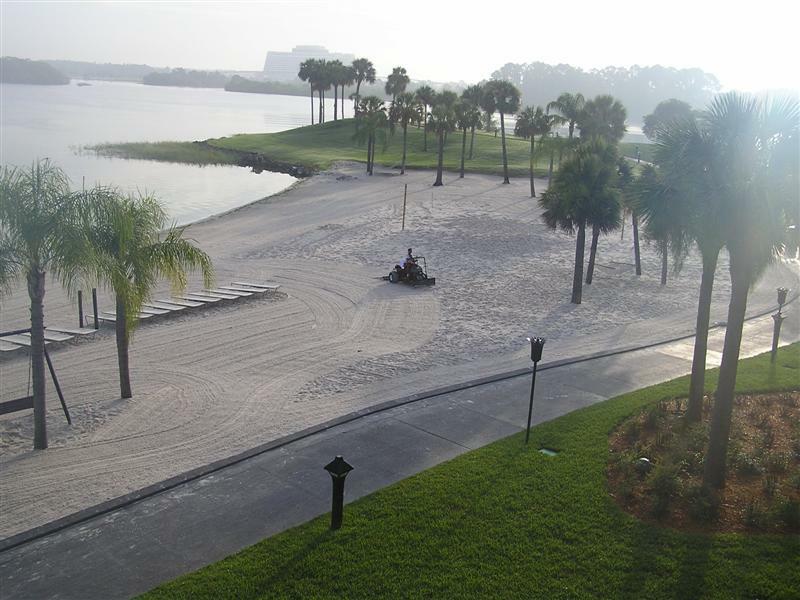 Taken from our balcony one morning: A "hidden Mickey" in the sand, as created by the beach sweepers! 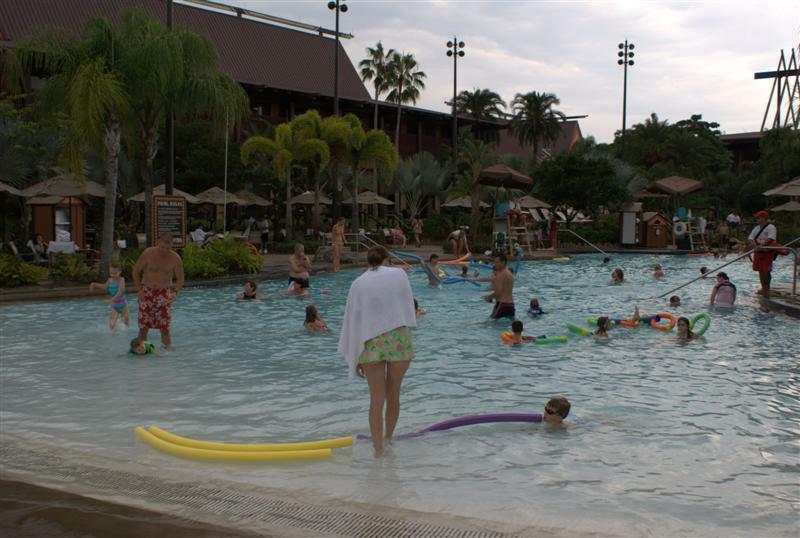 One afternoon the volcano pool was filled with noodles, the kids were having a blast! 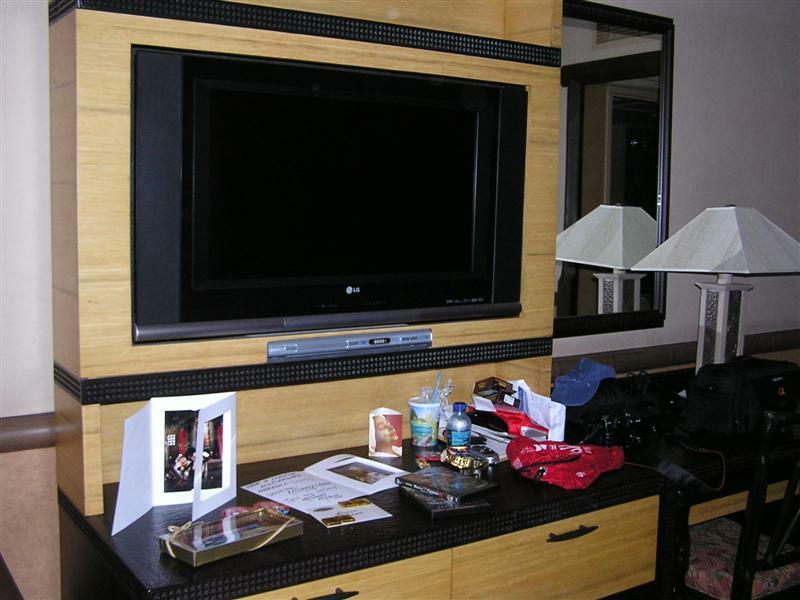 Turndown service with chocolates.... ahhh, I love it! 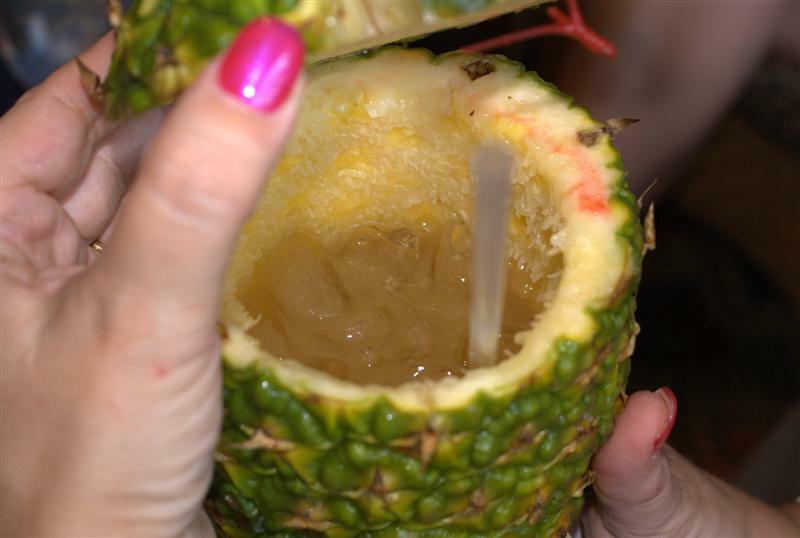 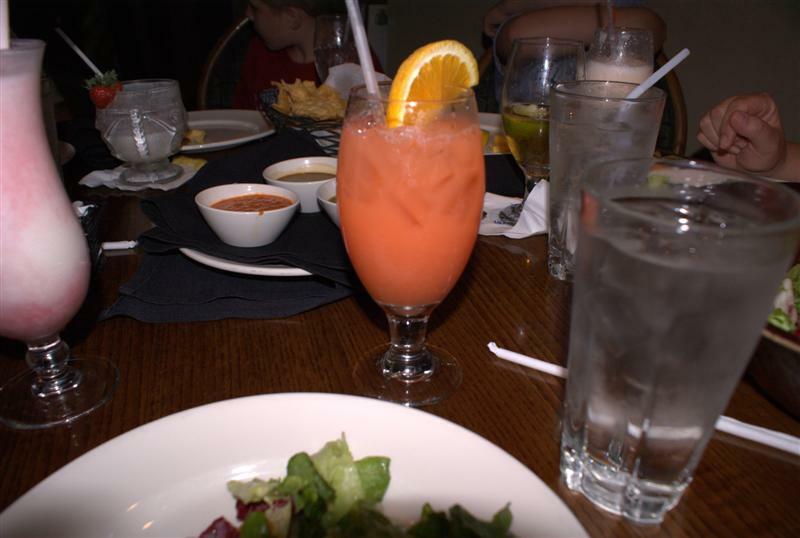 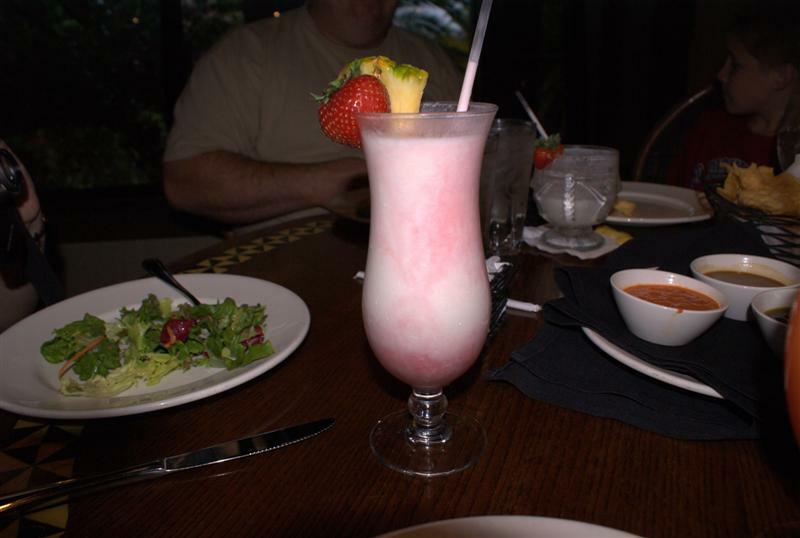 This is a Pina CoLAVA and it was great! 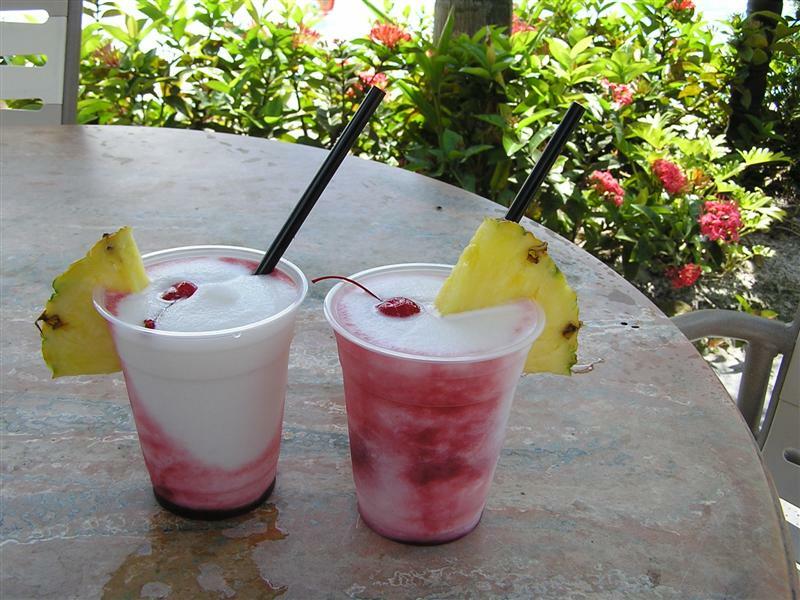 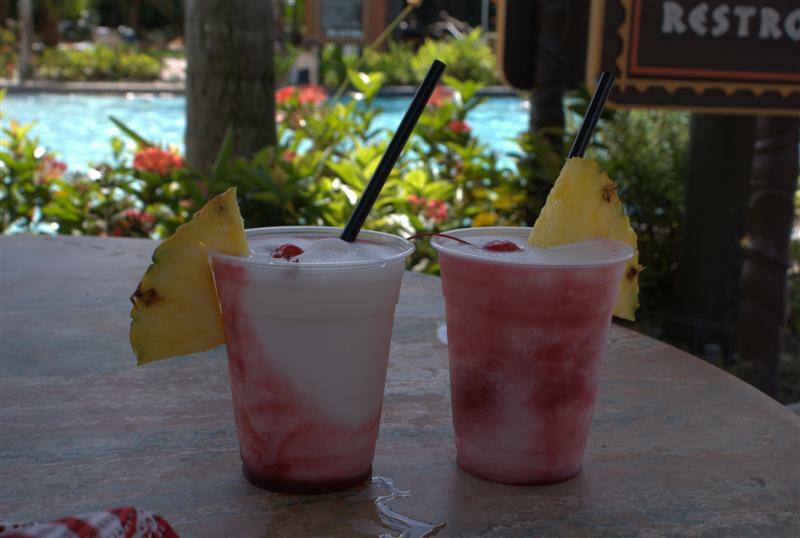 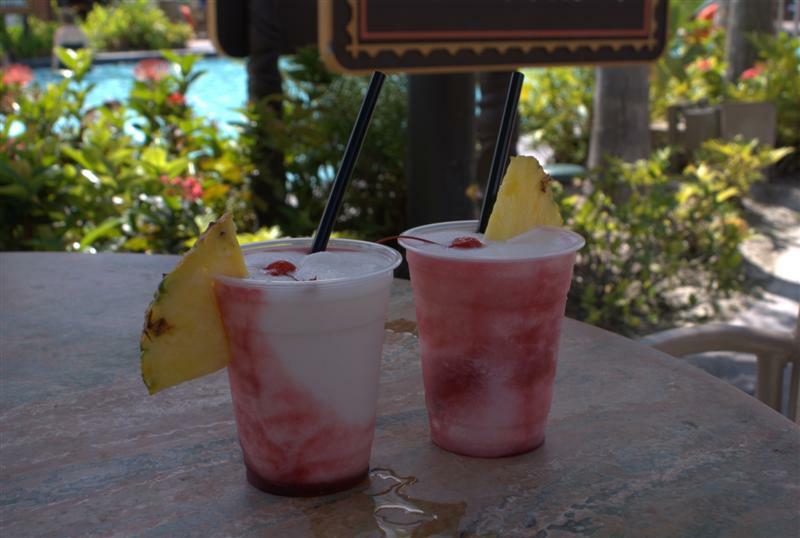 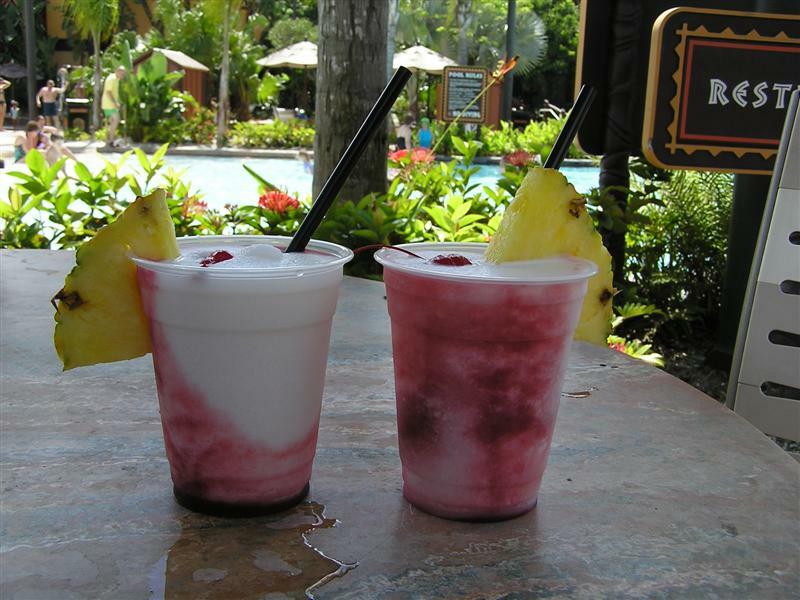 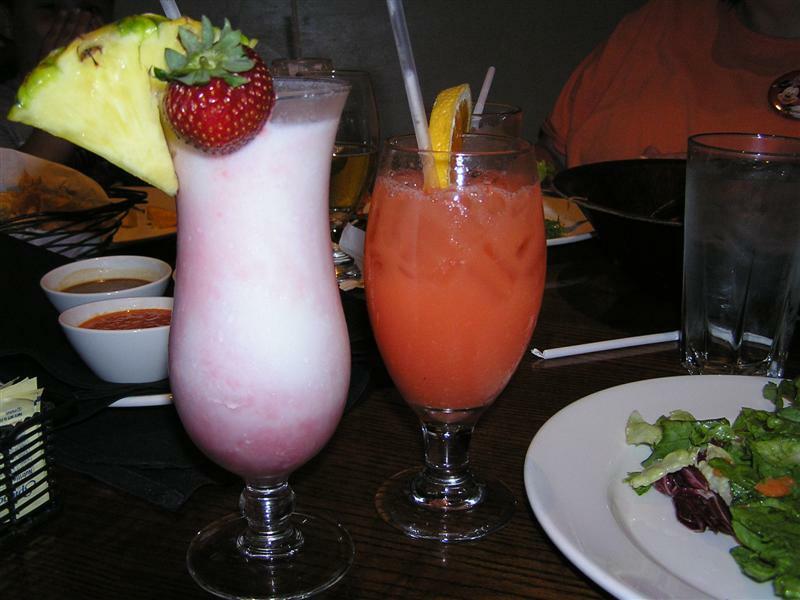 It's a pina colada with raspberry! 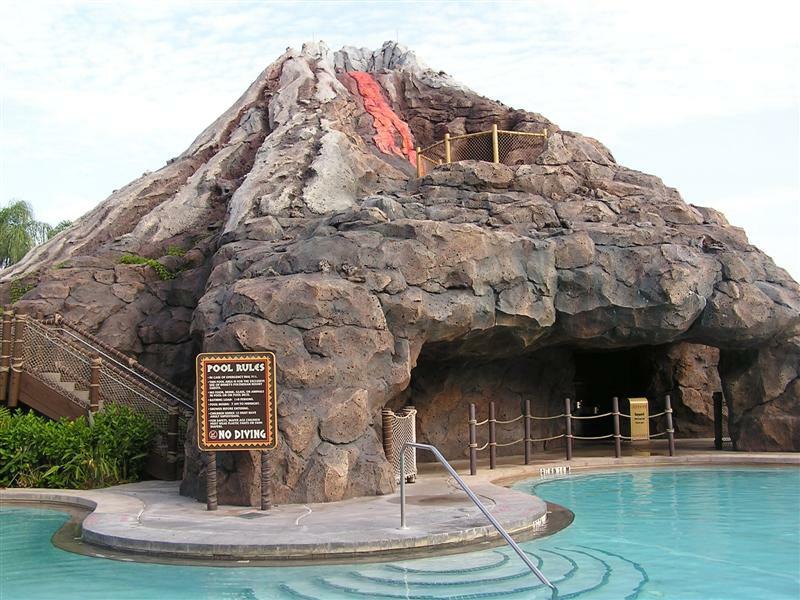 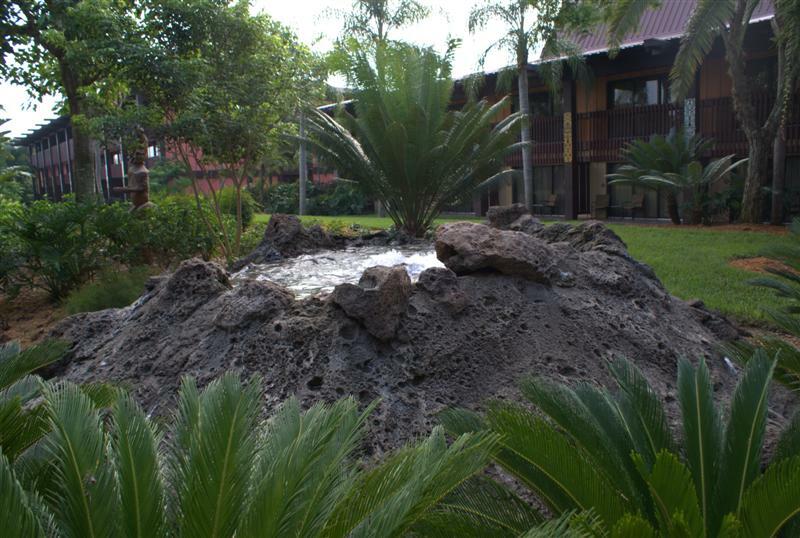 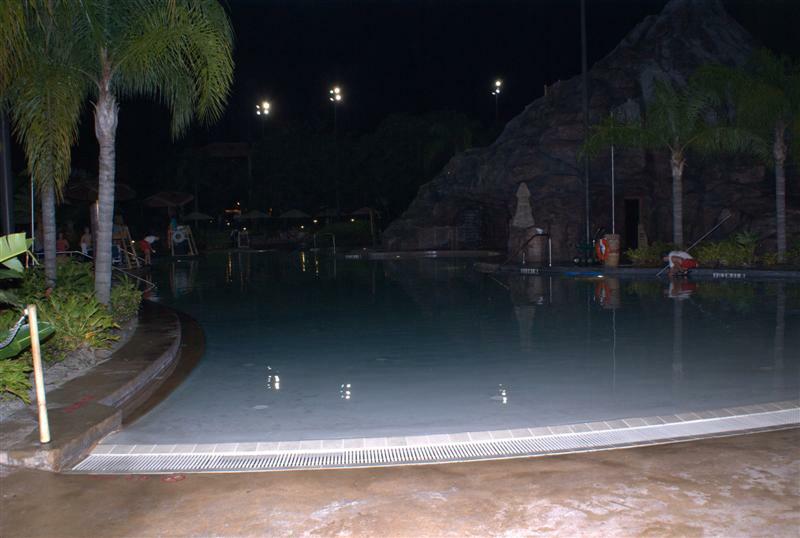 This picture shows the CMs cleaning the volcano pool, but later that night we went swimming and had a great time! 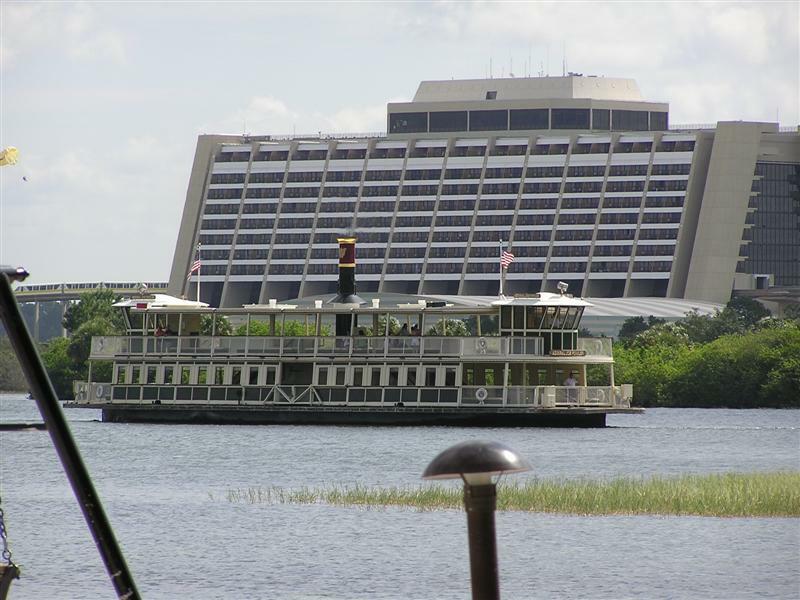 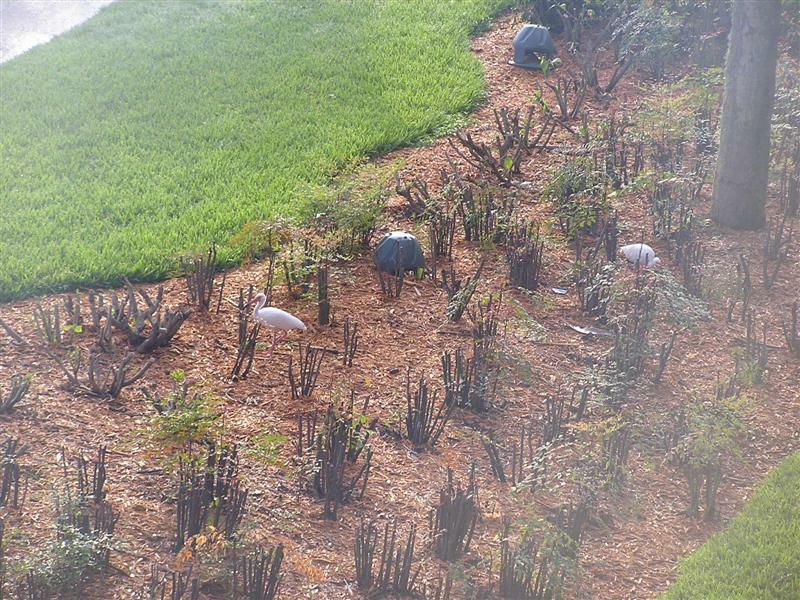 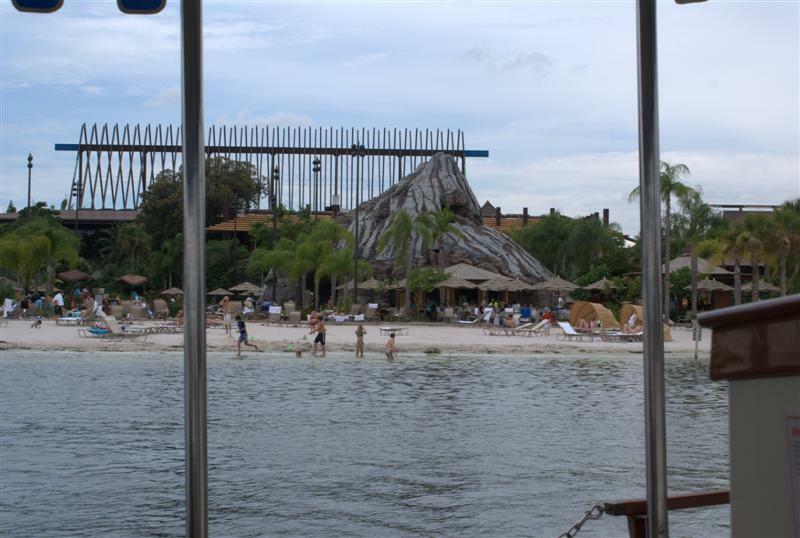 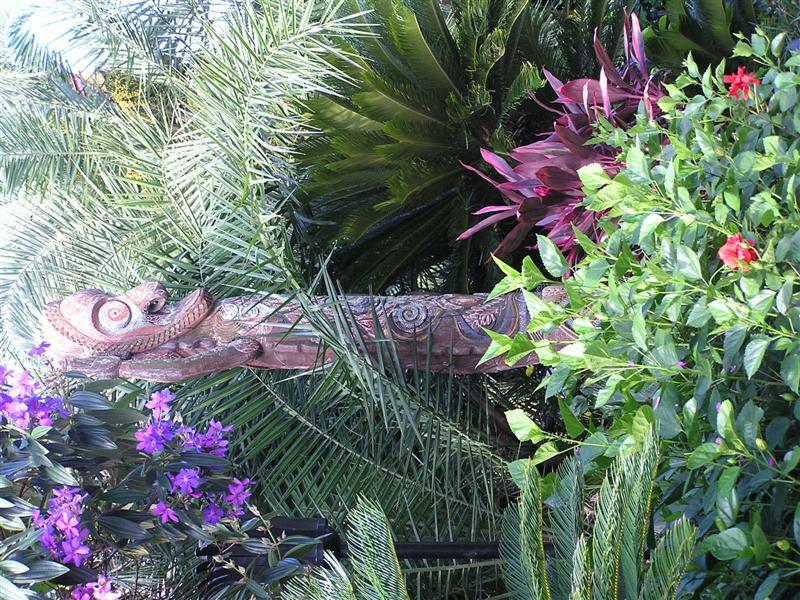 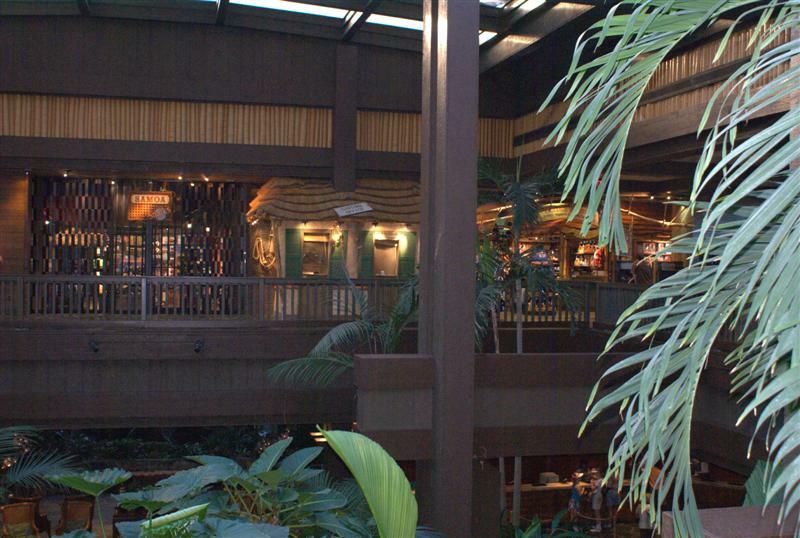 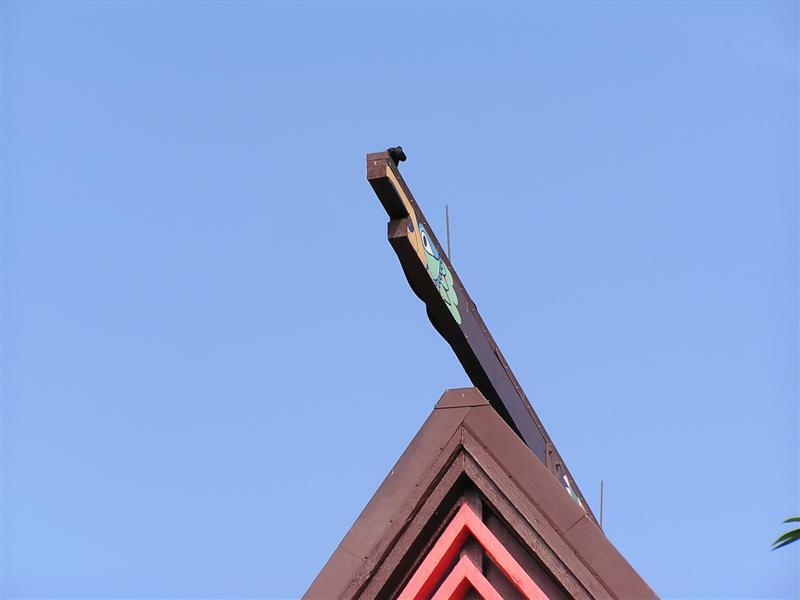 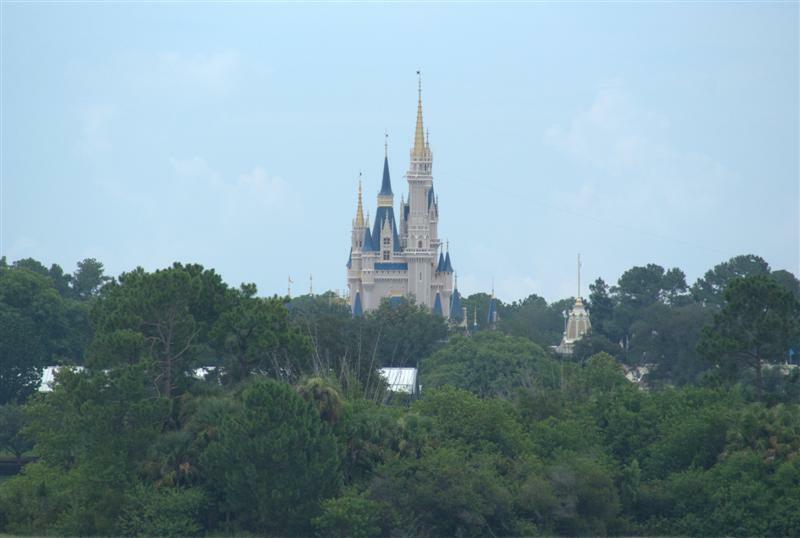 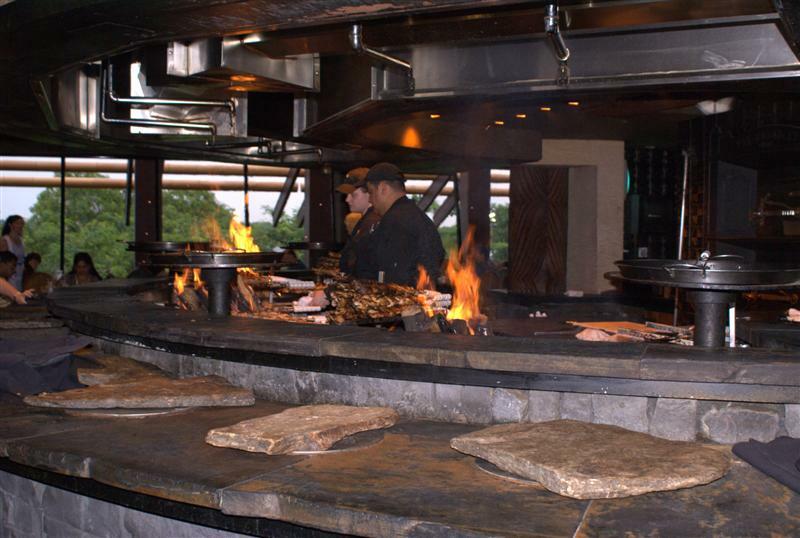 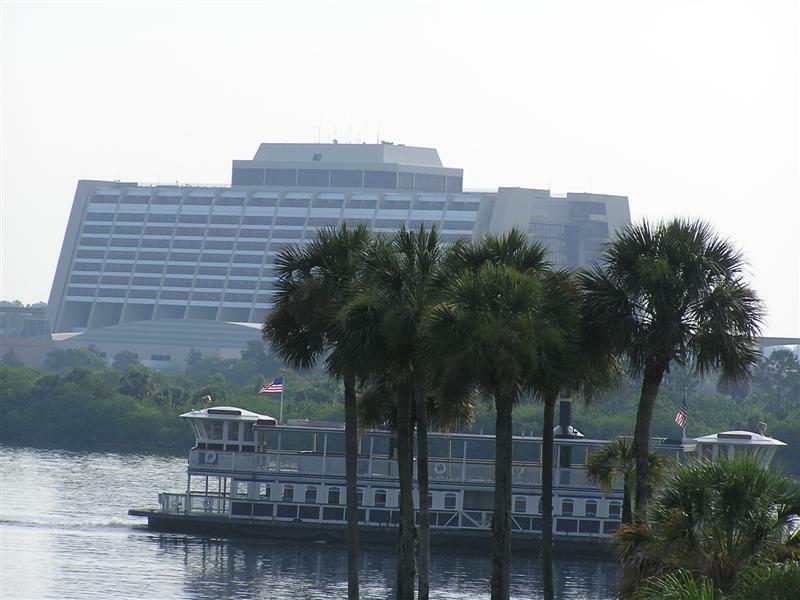 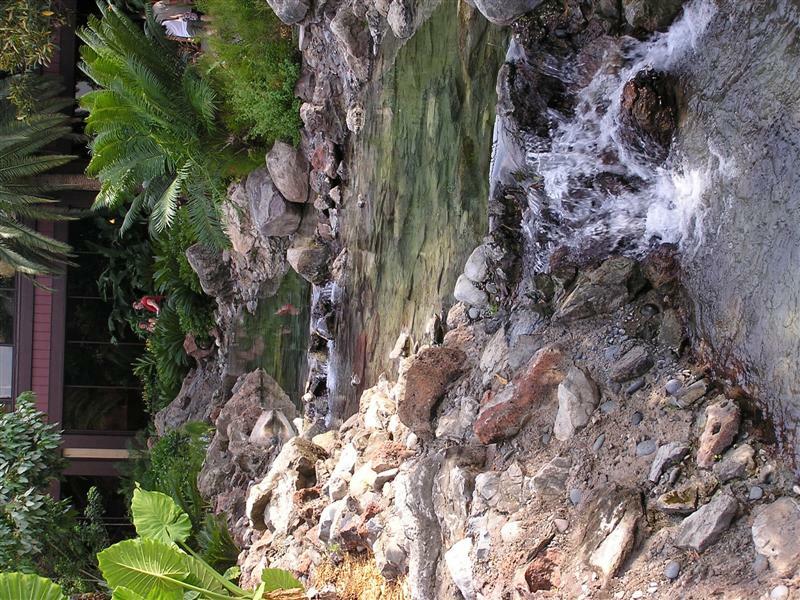 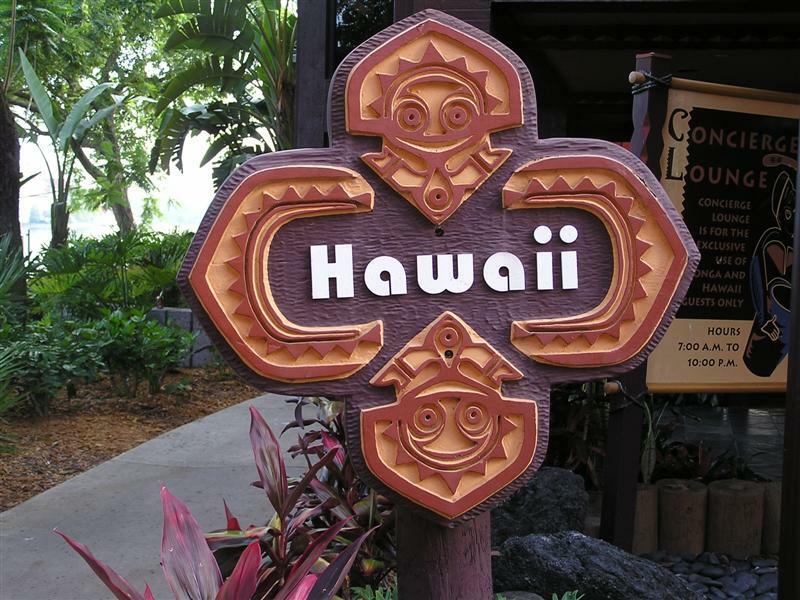 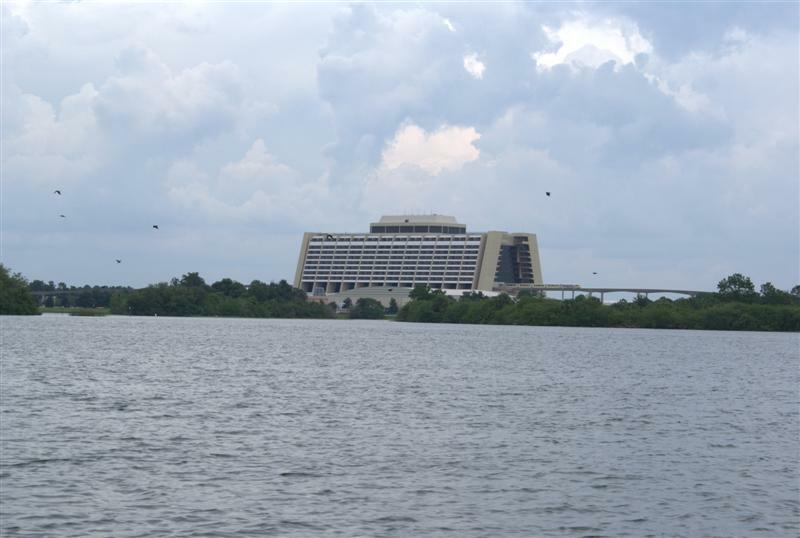 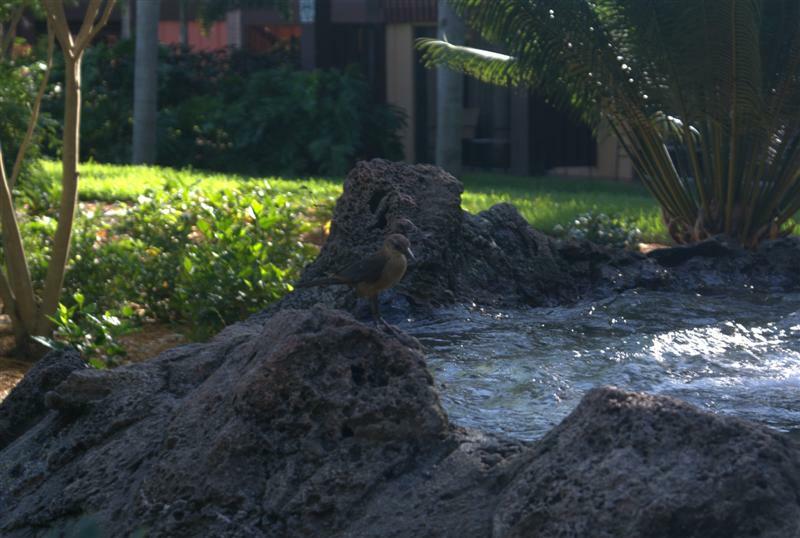 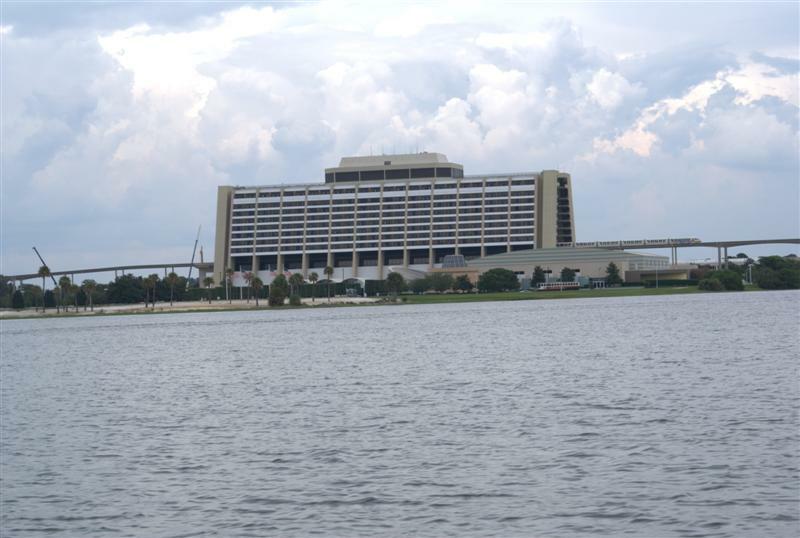 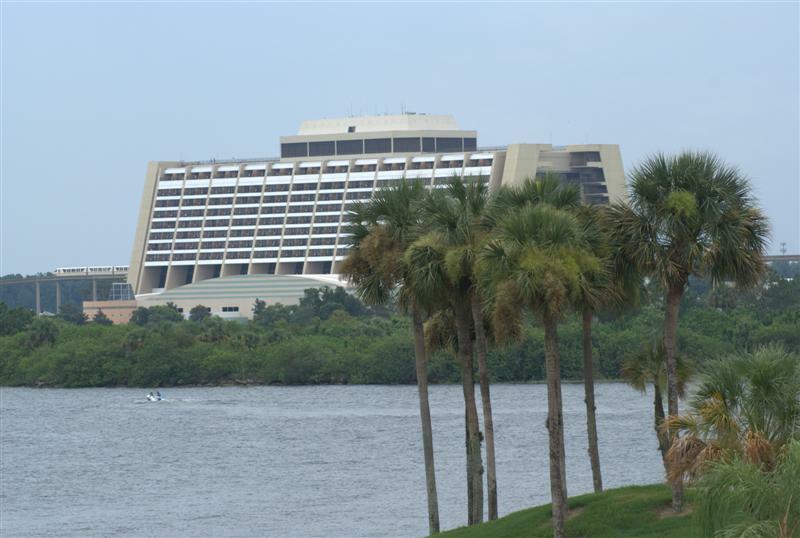 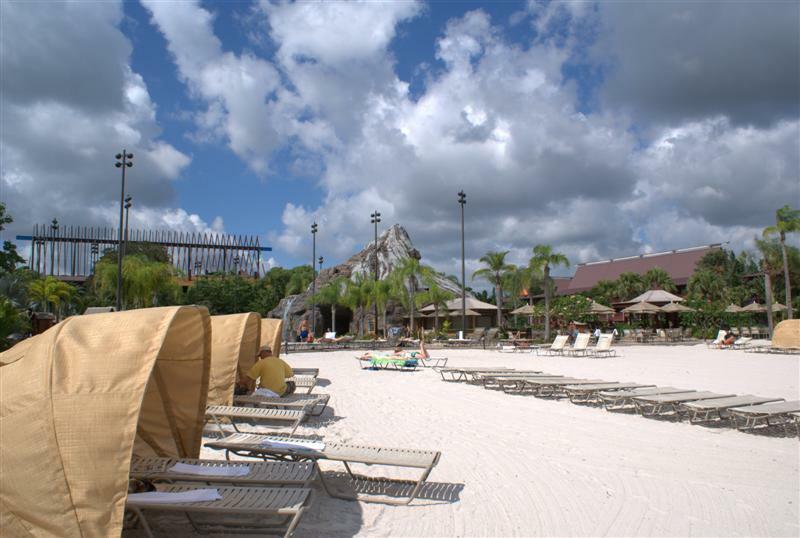 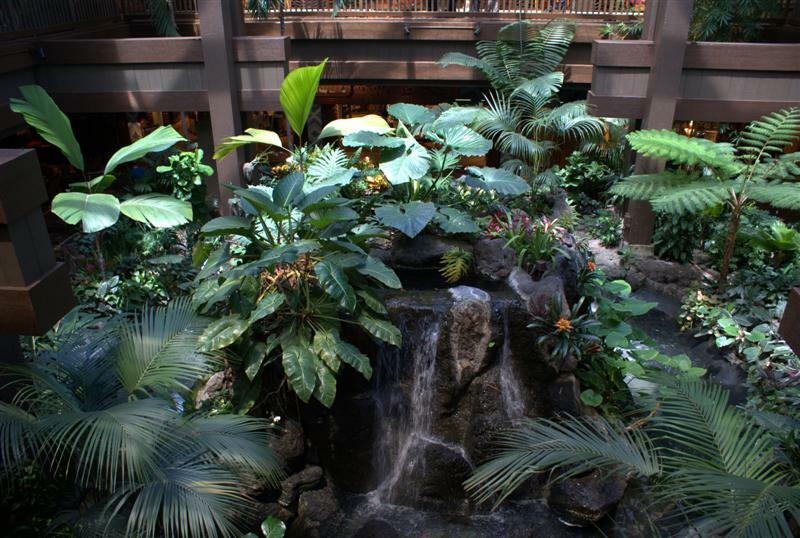 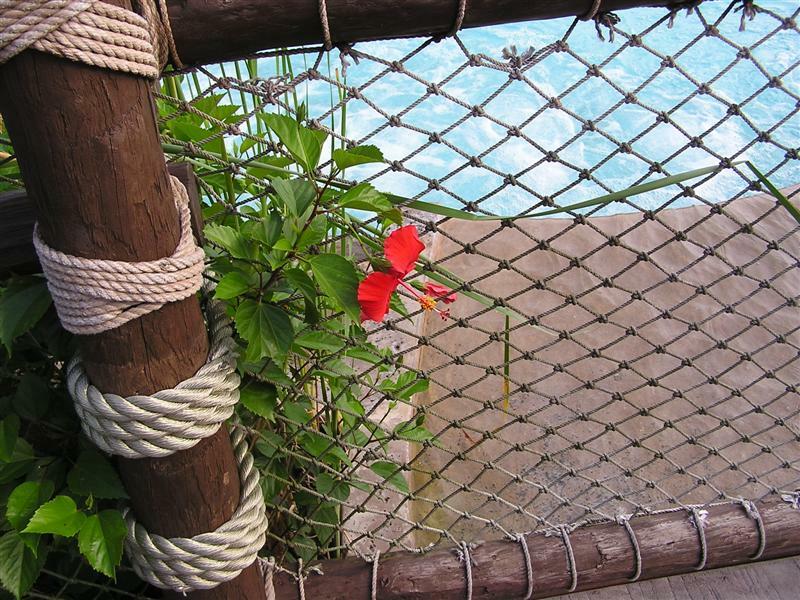 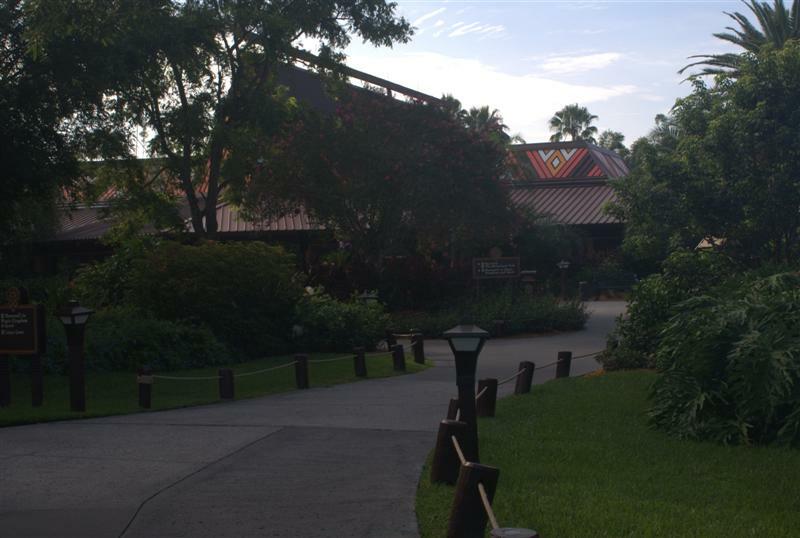 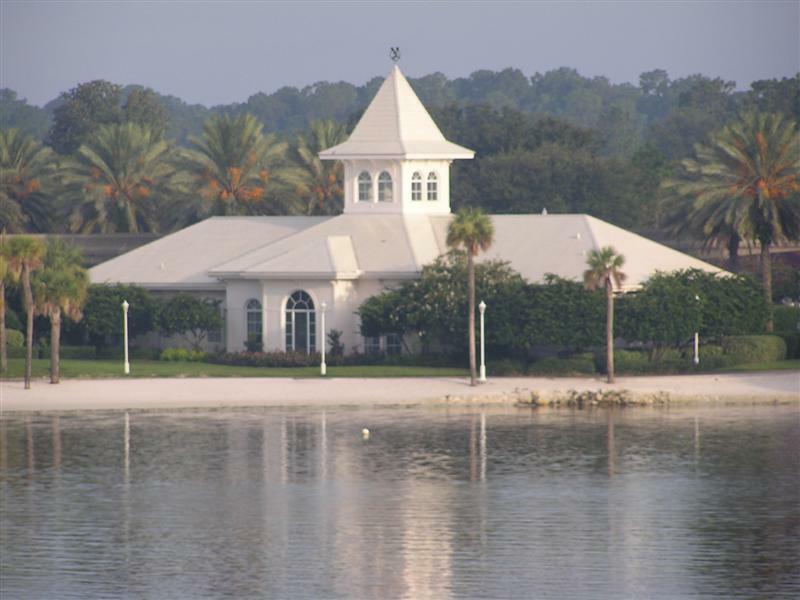 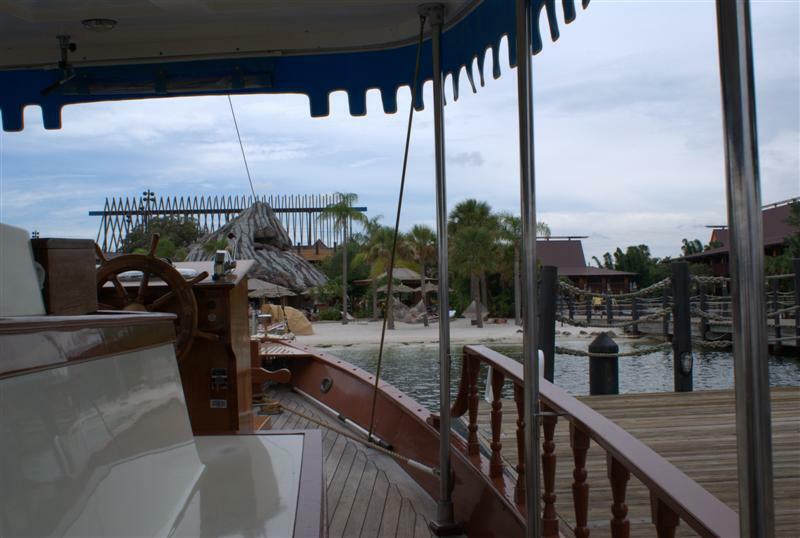 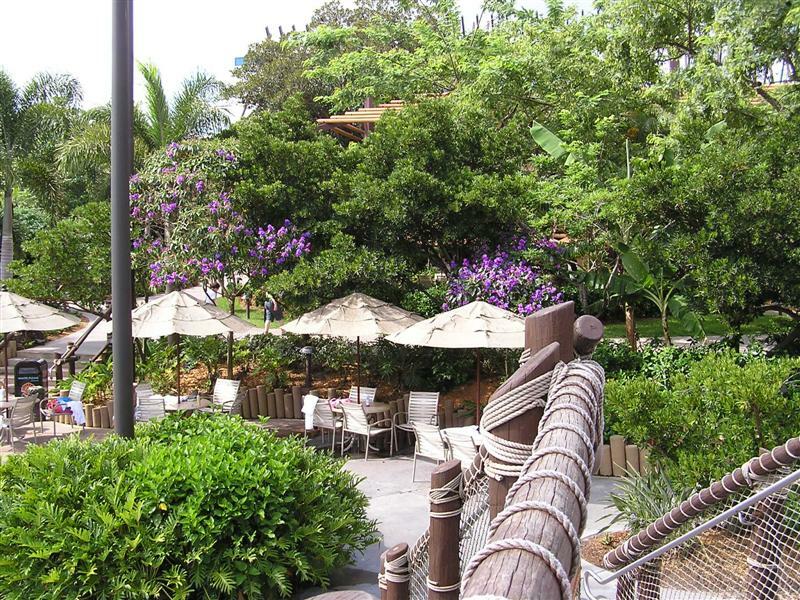 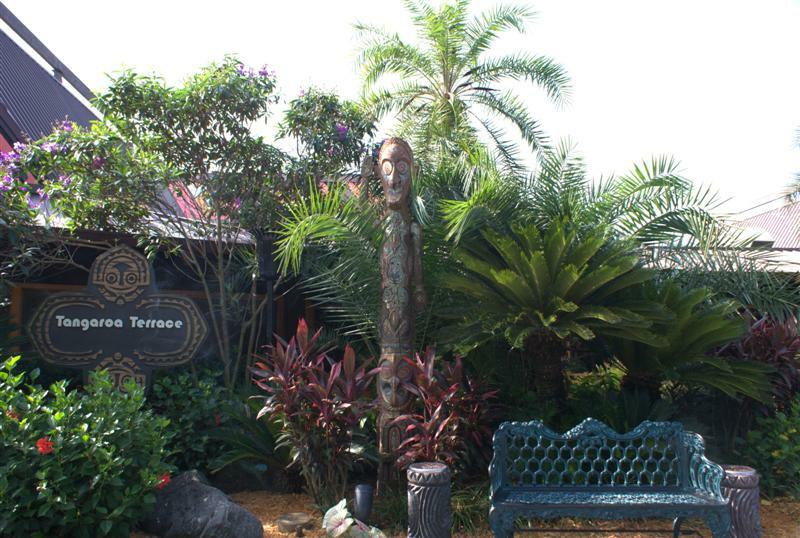 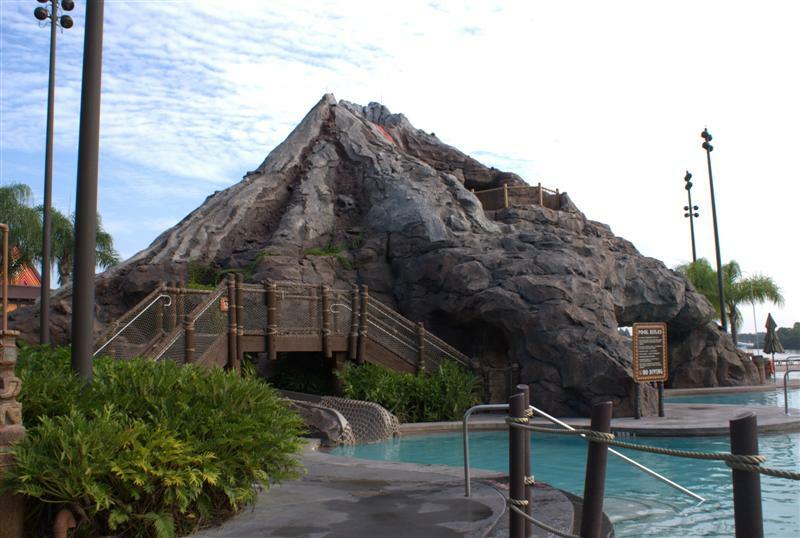 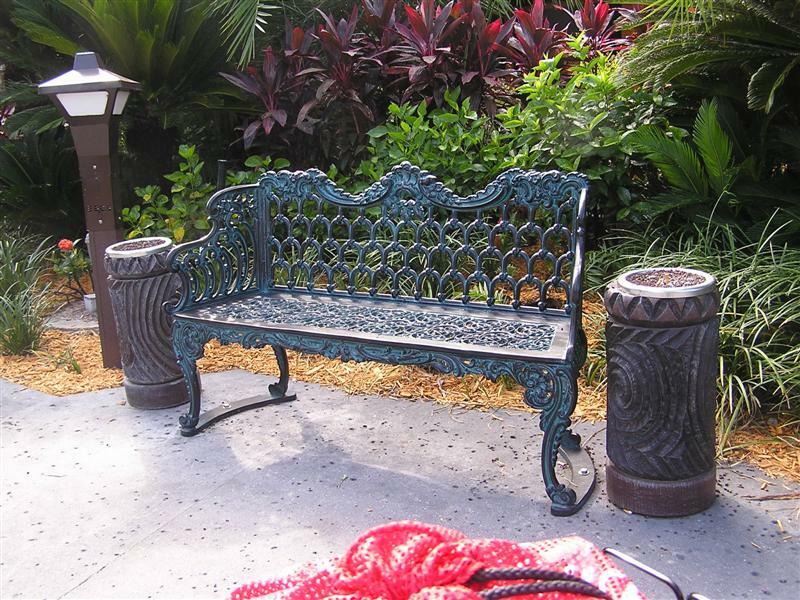 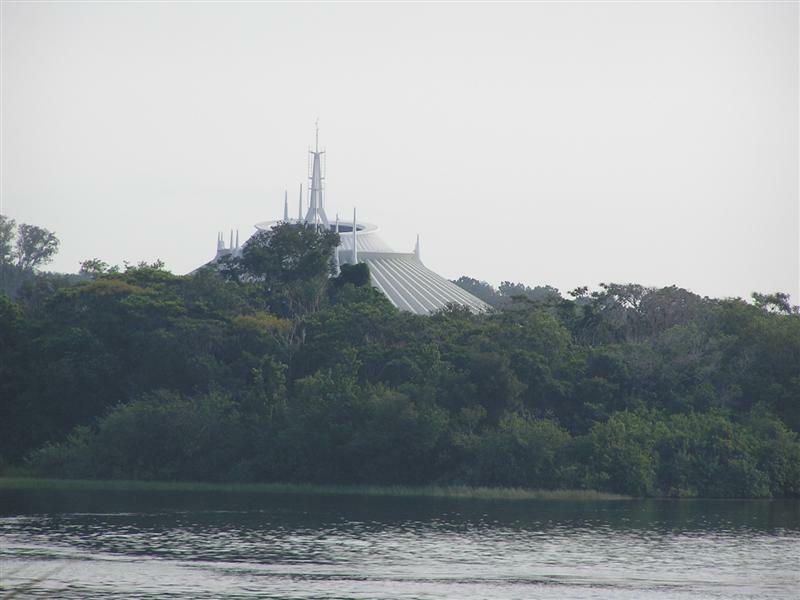 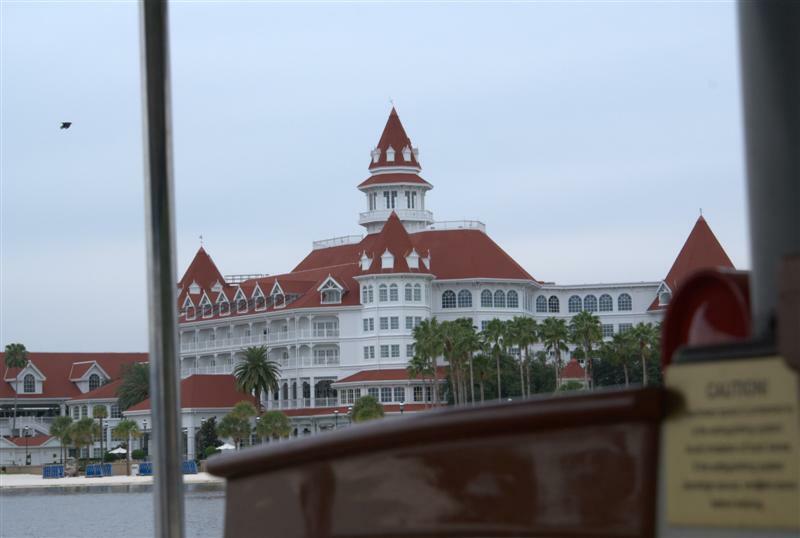 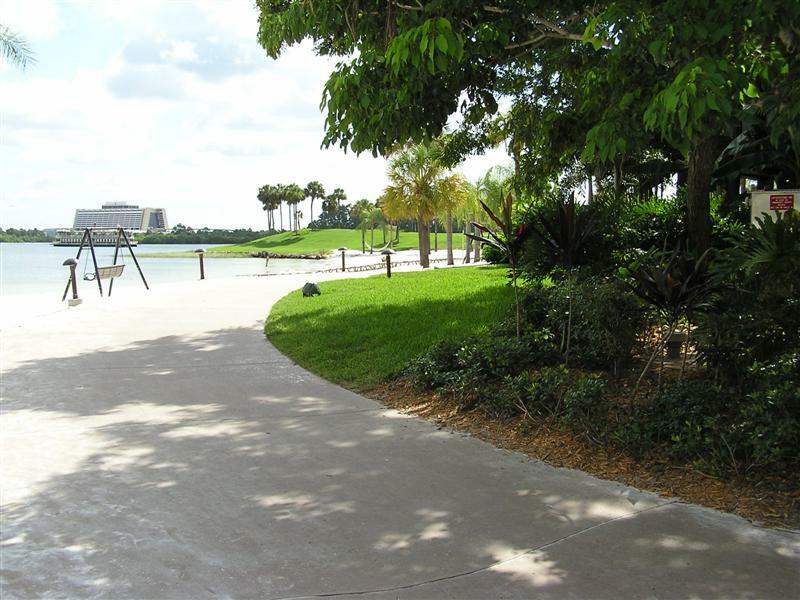 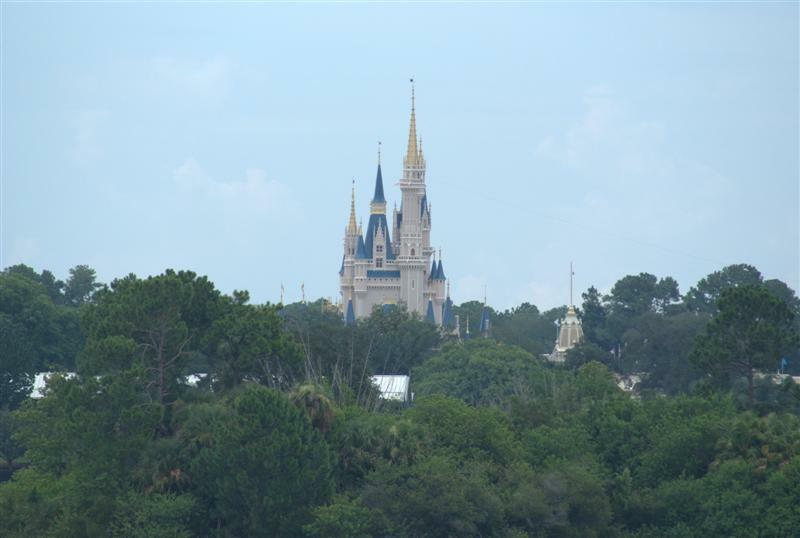 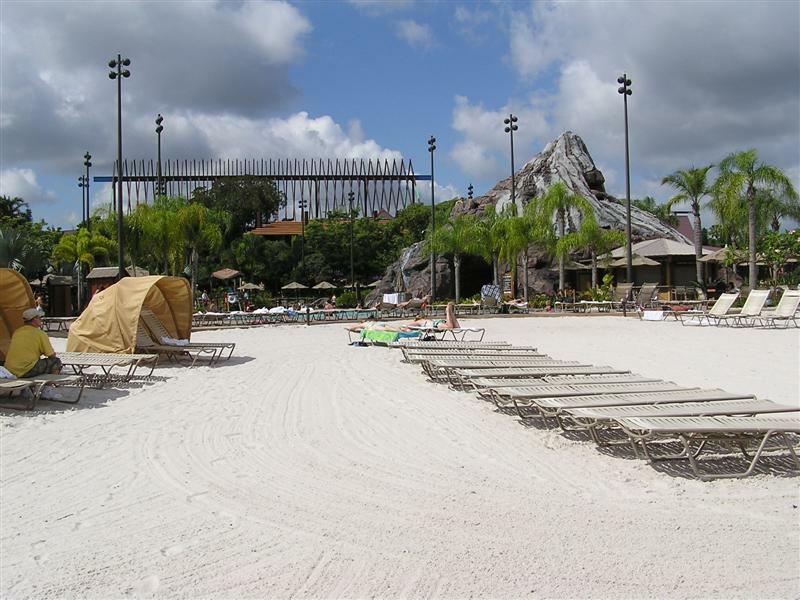 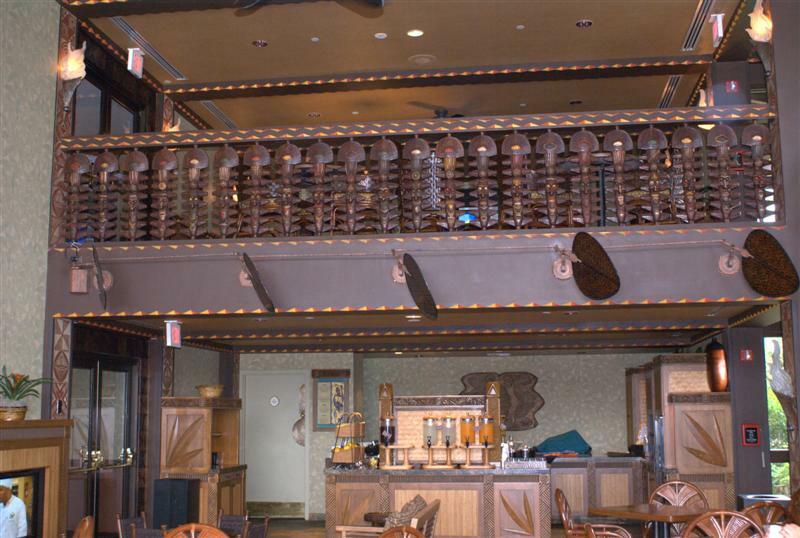 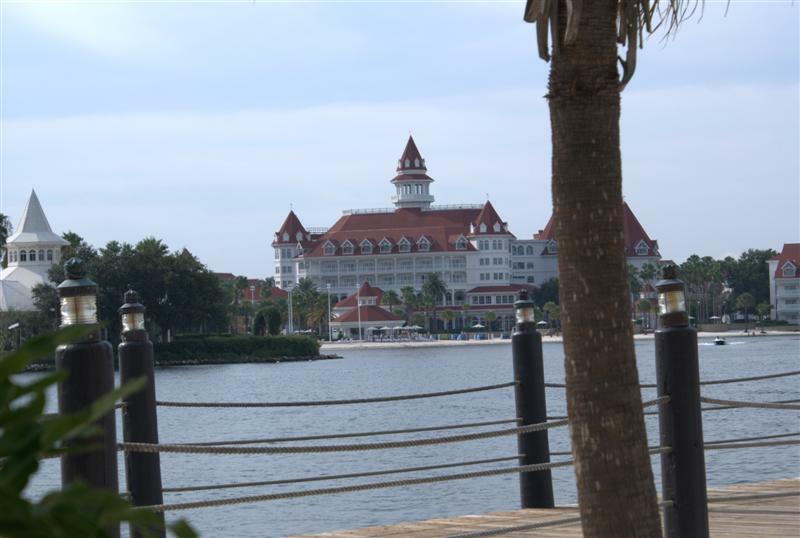 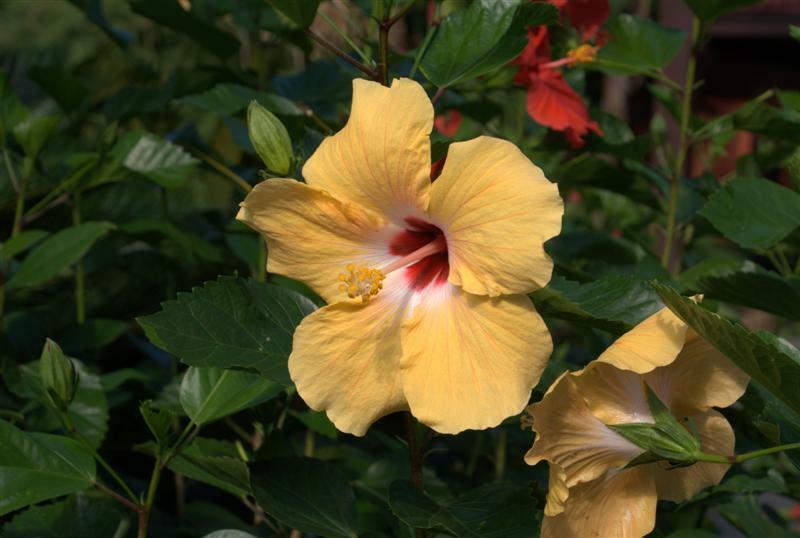 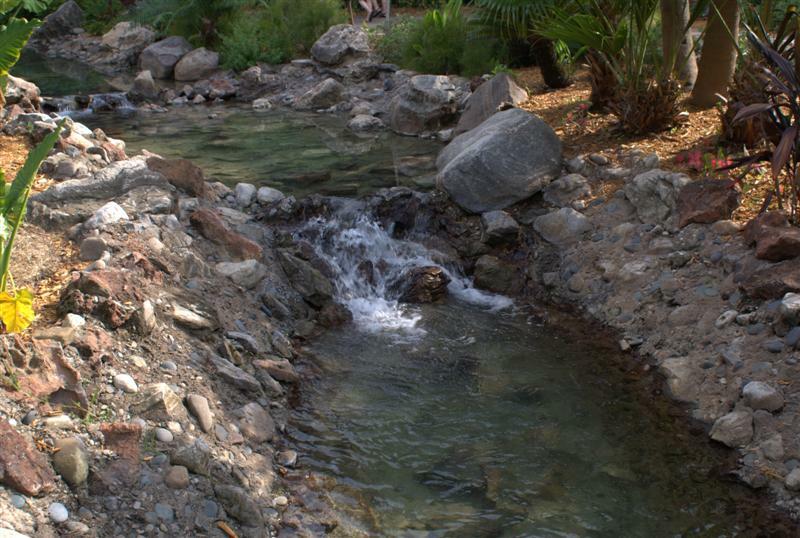 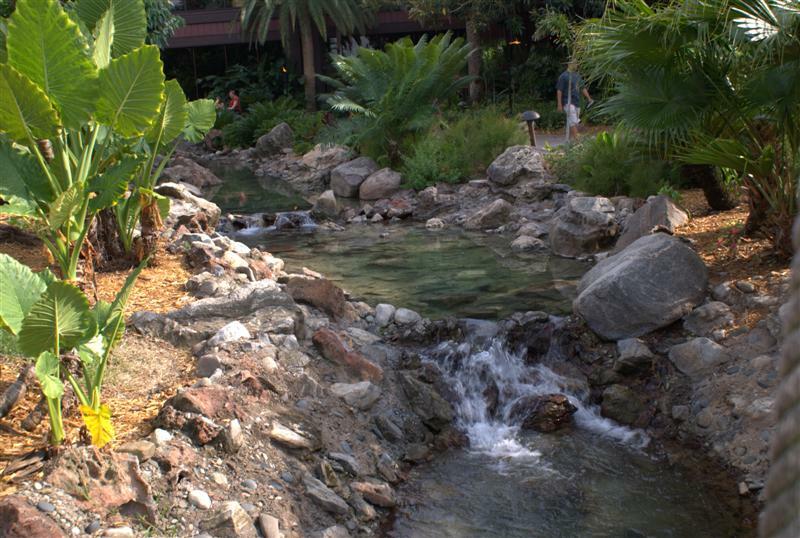 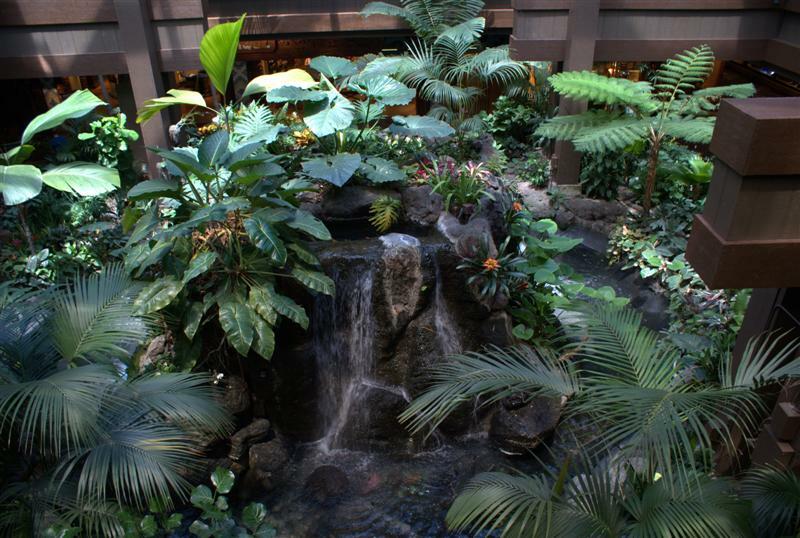 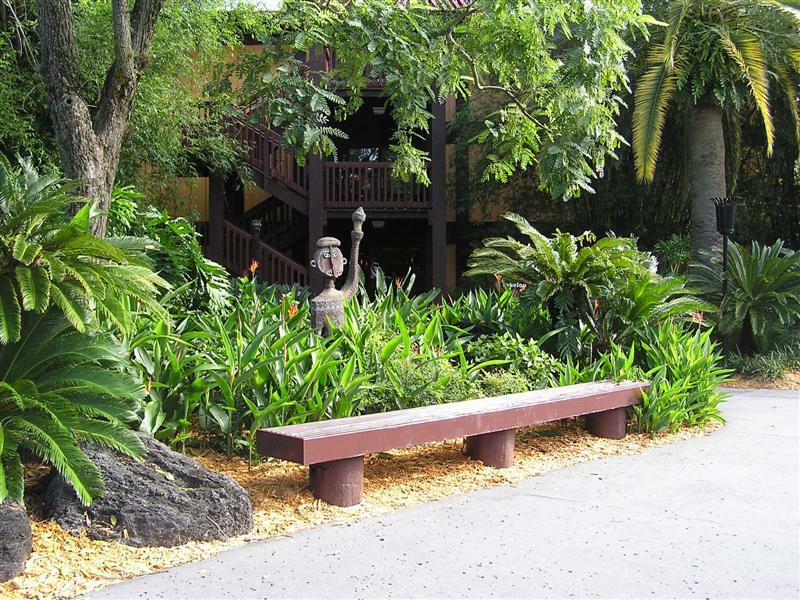 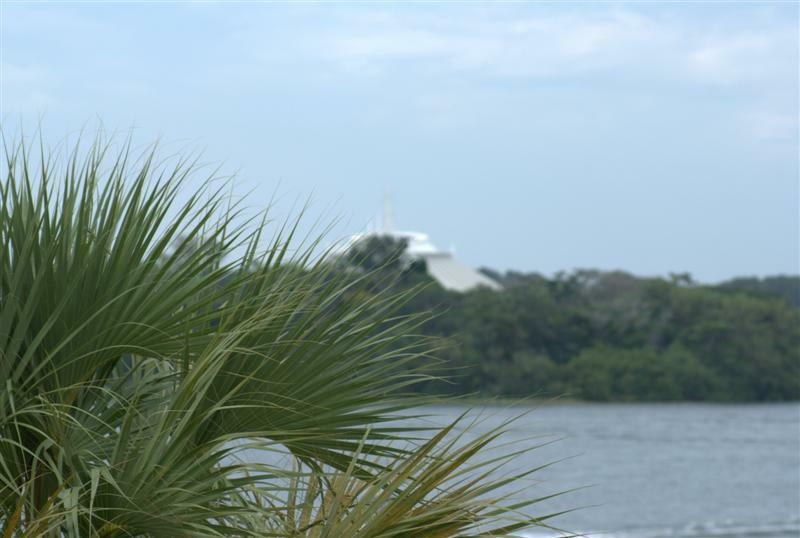 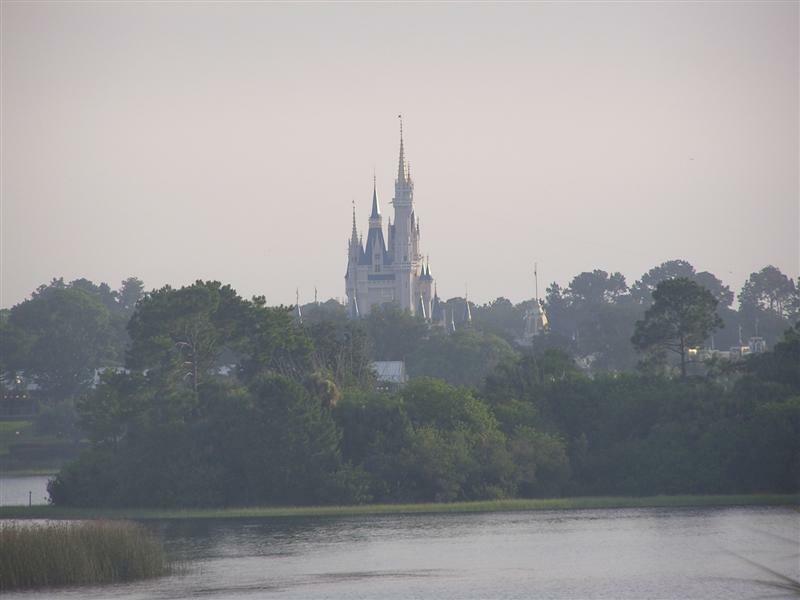 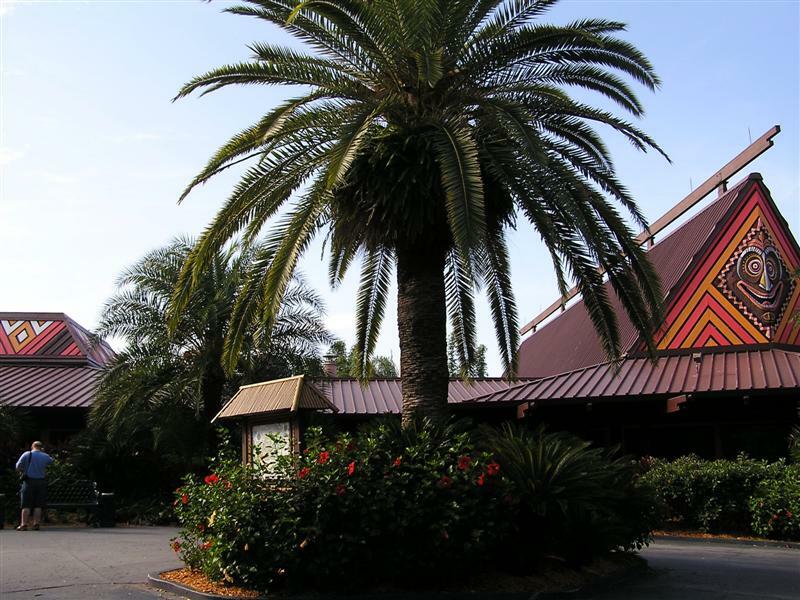 Some early-morning pictures of the Polynesian.... it's a beautiful place ANY time of day! 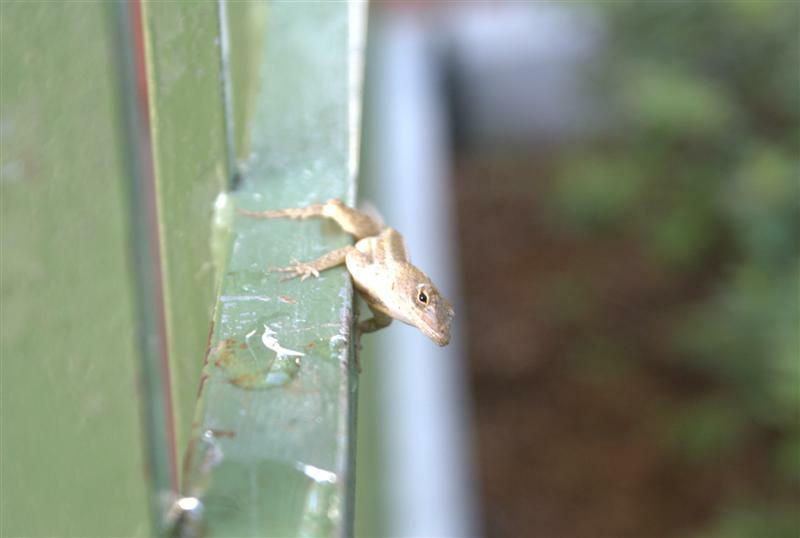 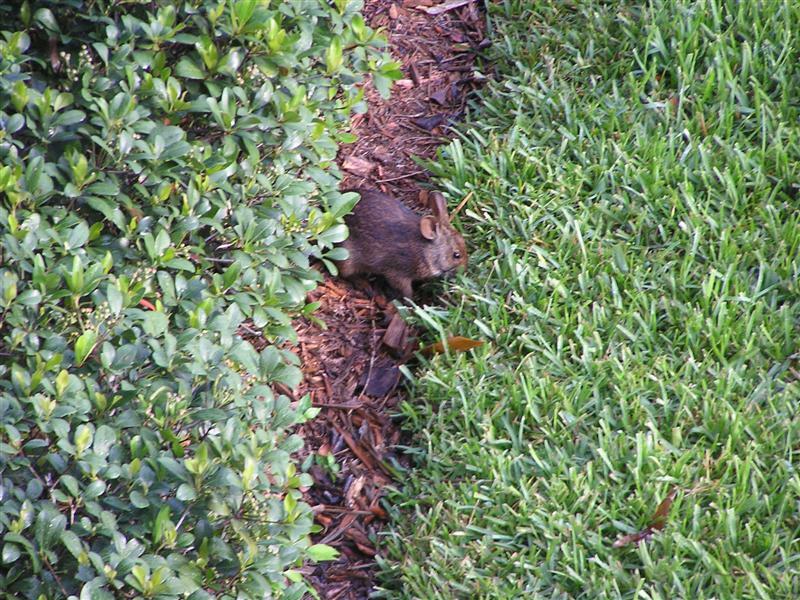 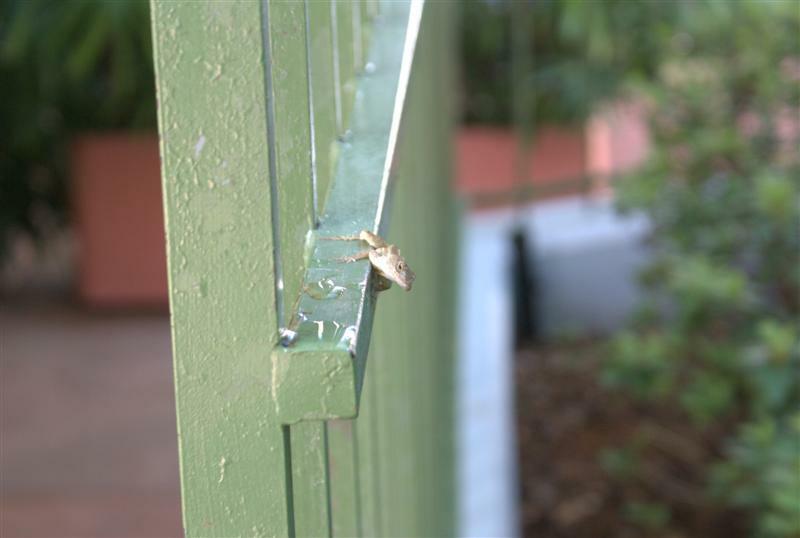 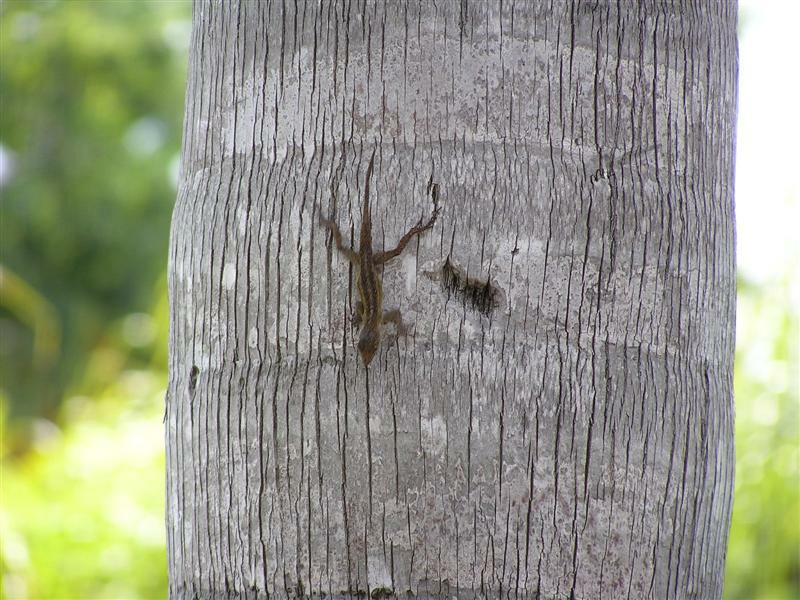 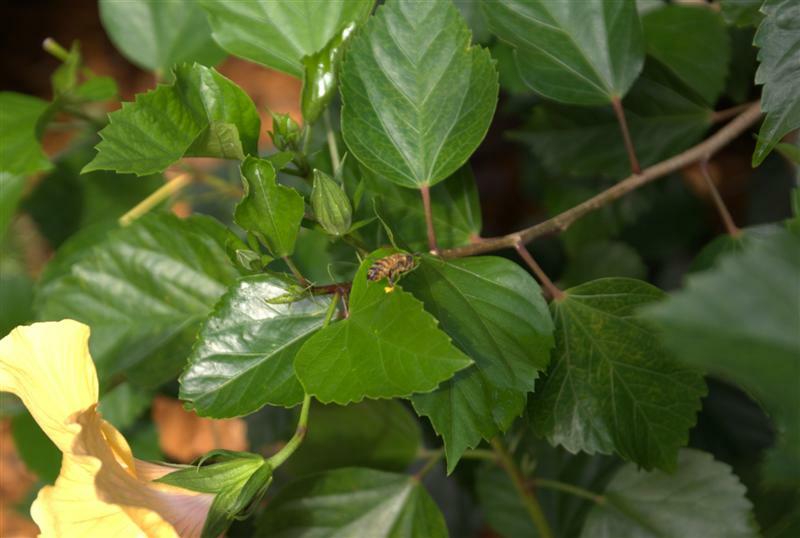 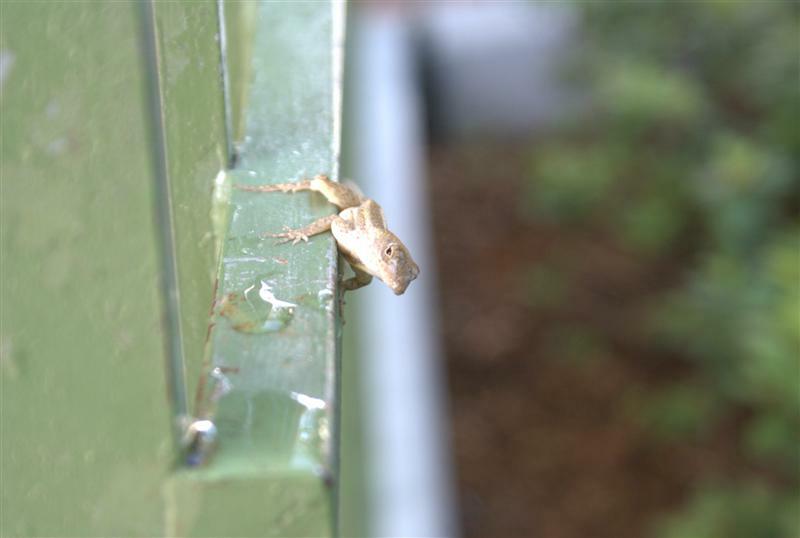 Now can you see him??? 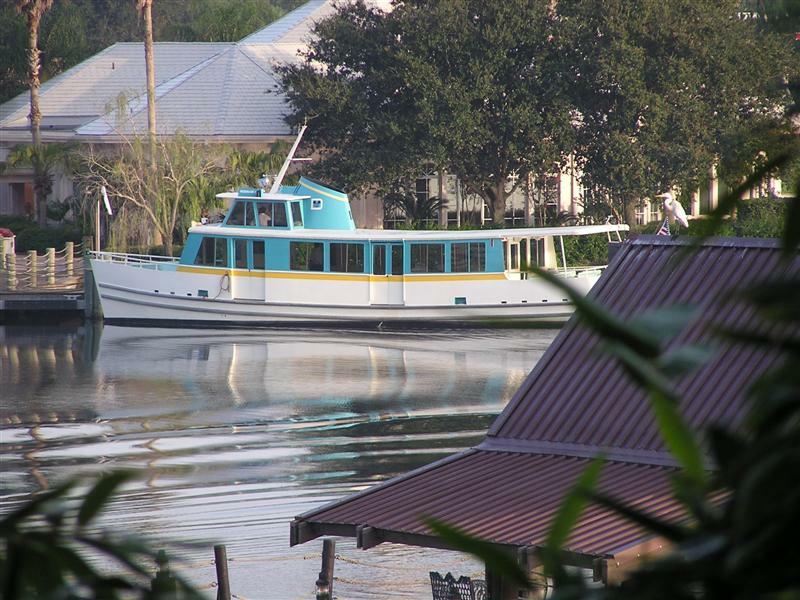 A resort launch, heading our way!!! 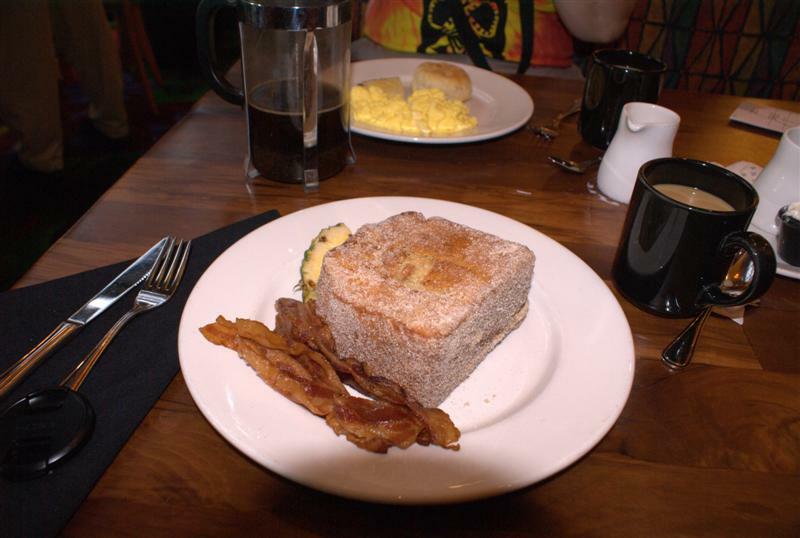 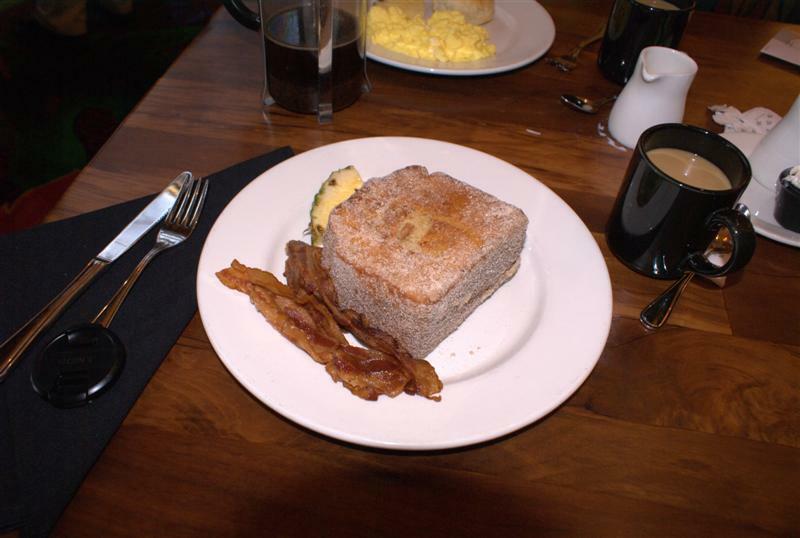 Breakfast at the Kona Cafe, featuring the infamous Tonga Toast! 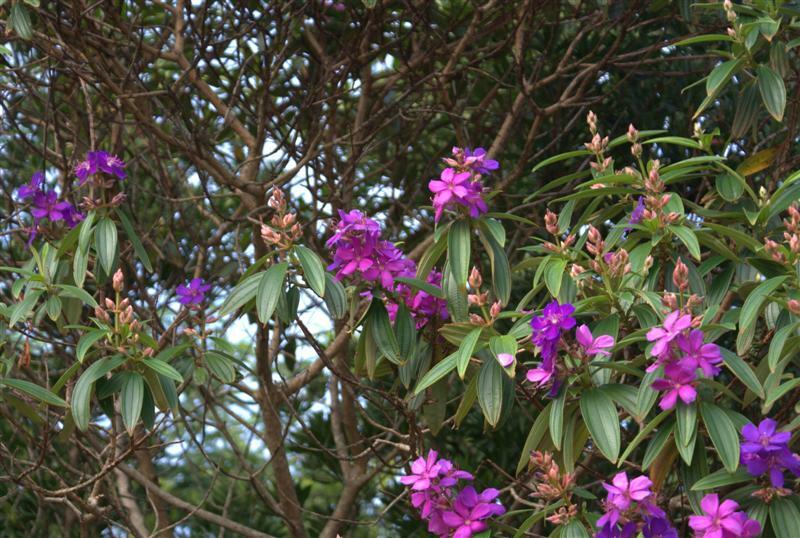 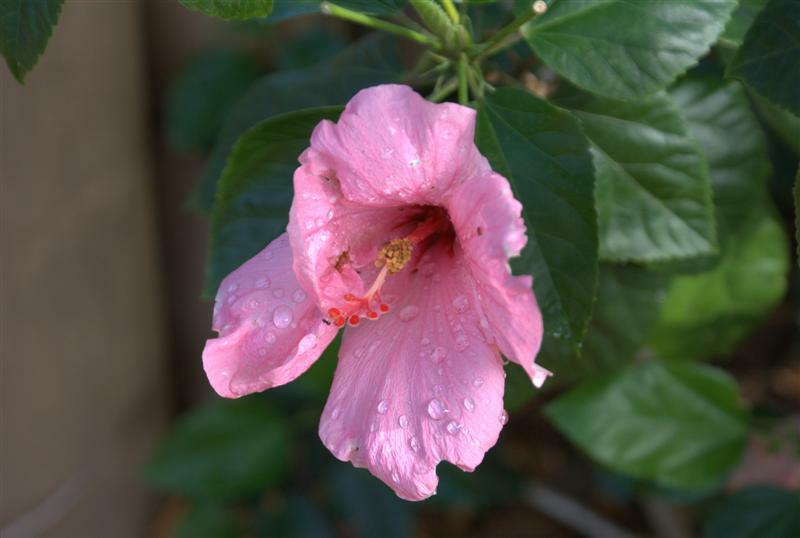 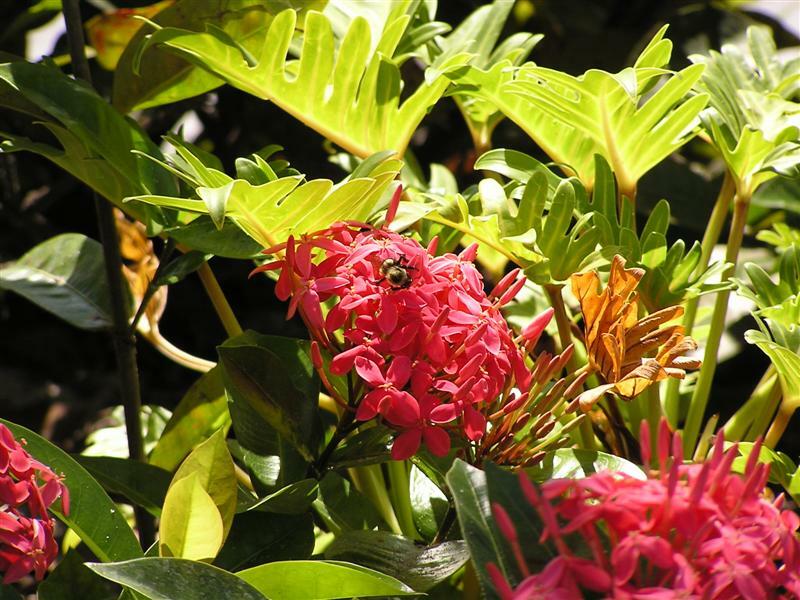 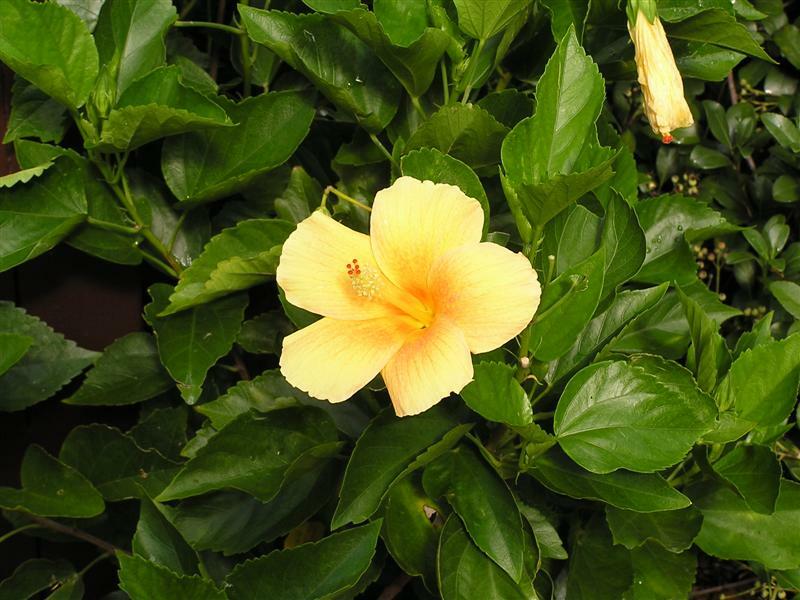 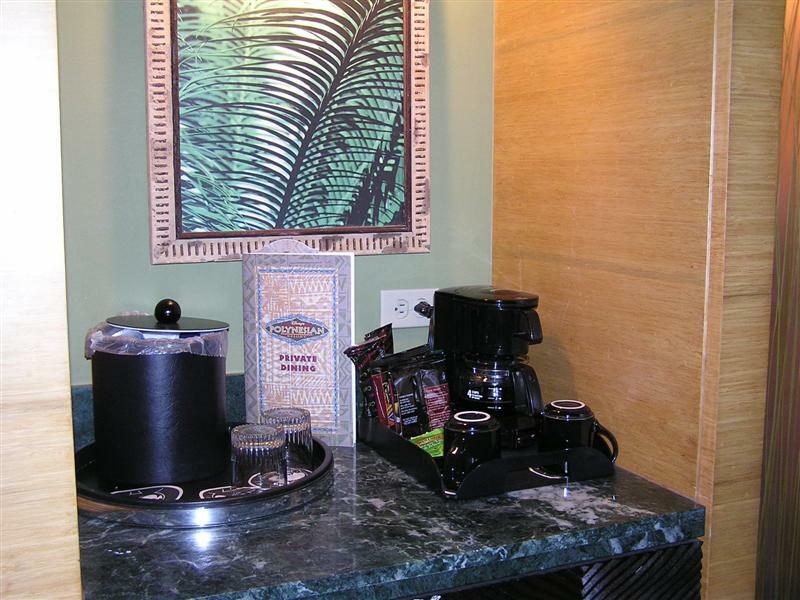 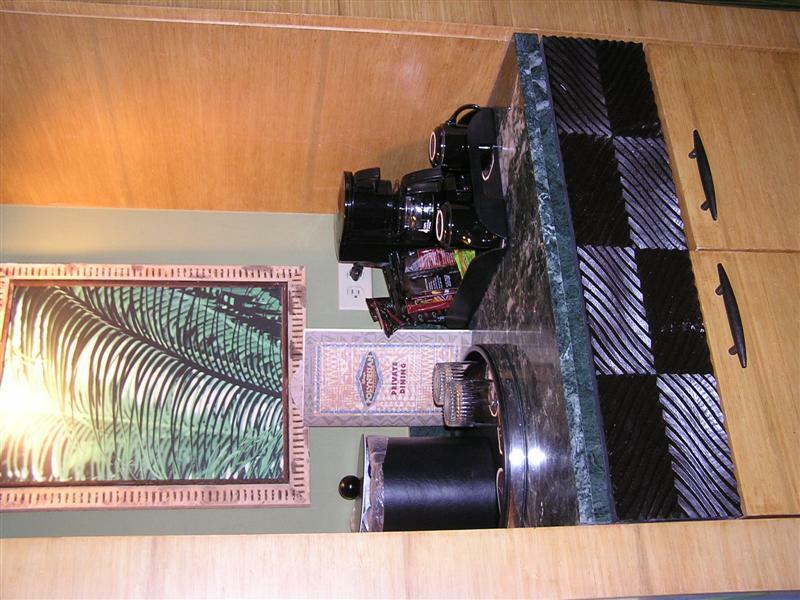 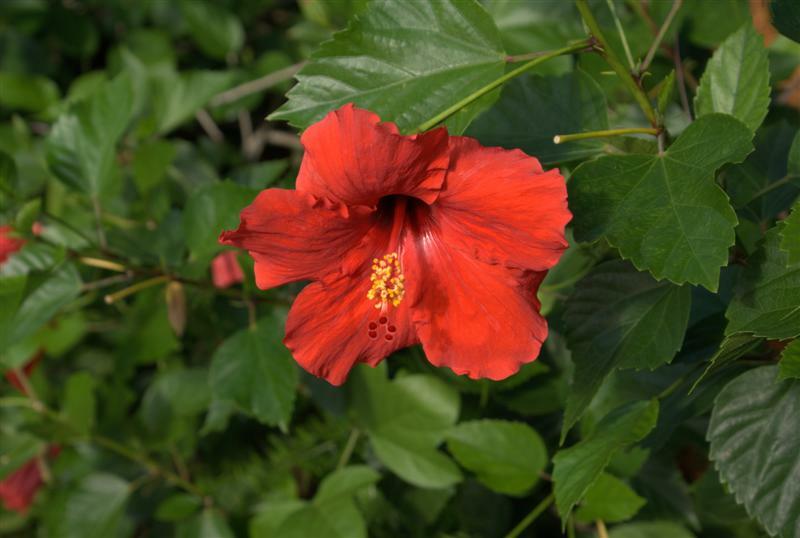 This trip we also tried the Kona Coffee Press Pot and I really liked the taste of this coffee. 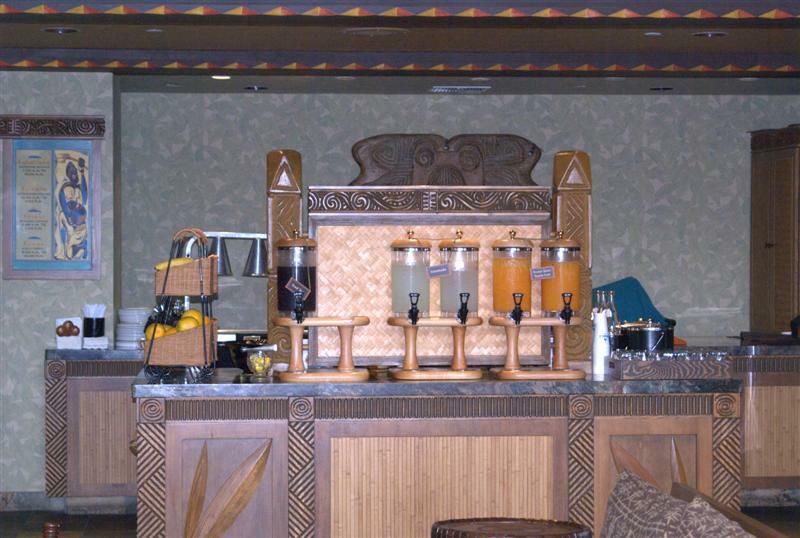 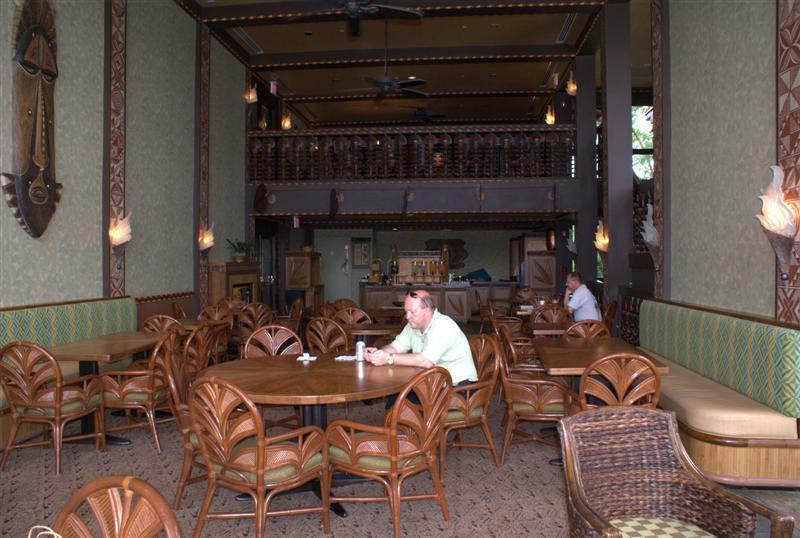 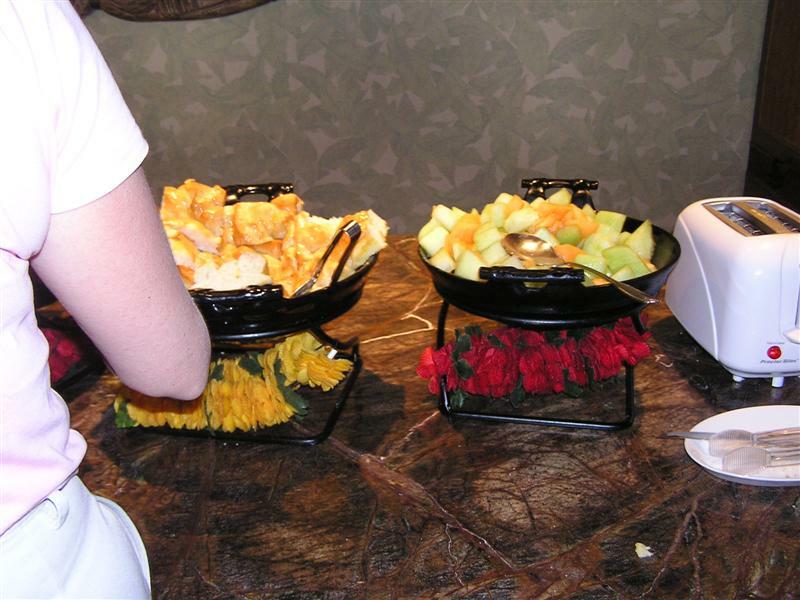 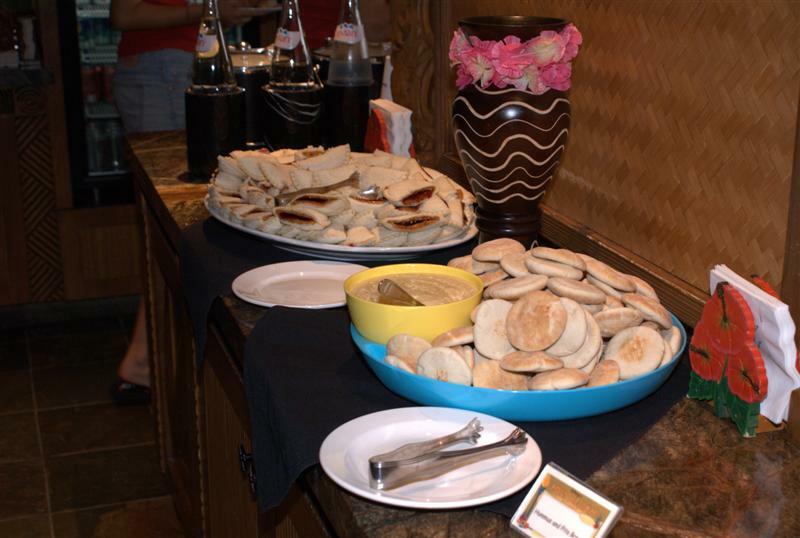 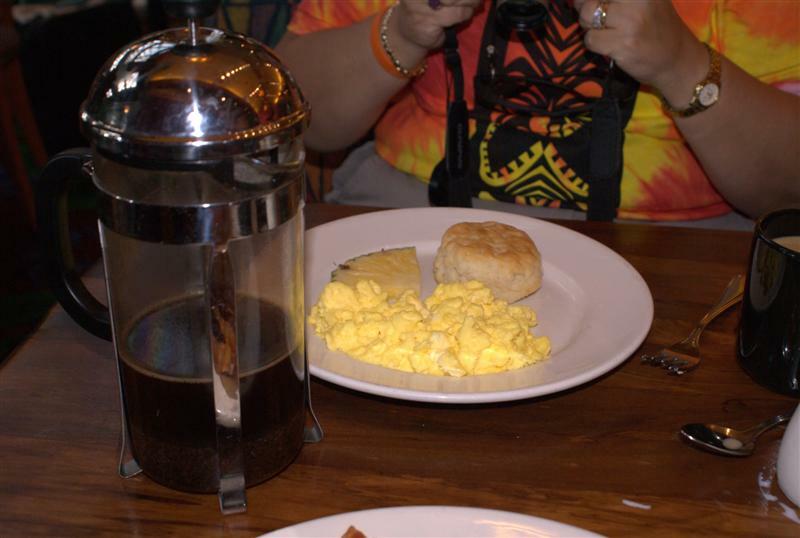 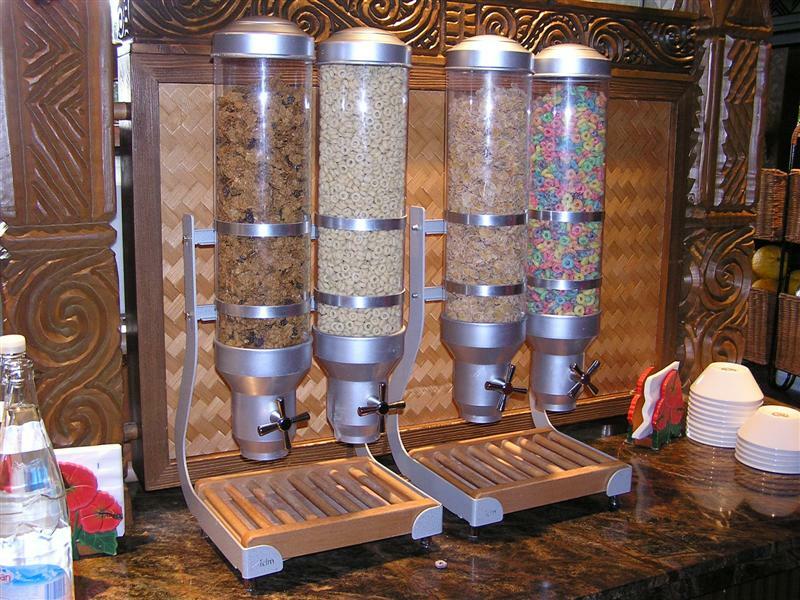 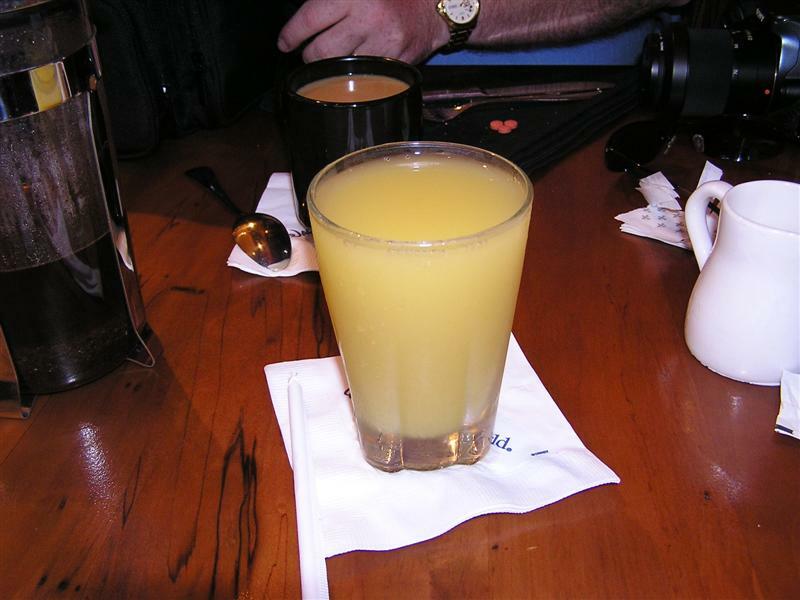 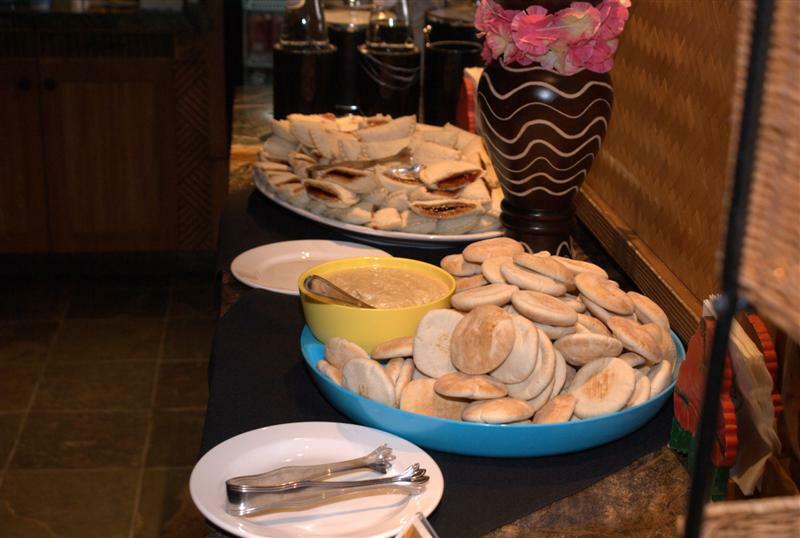 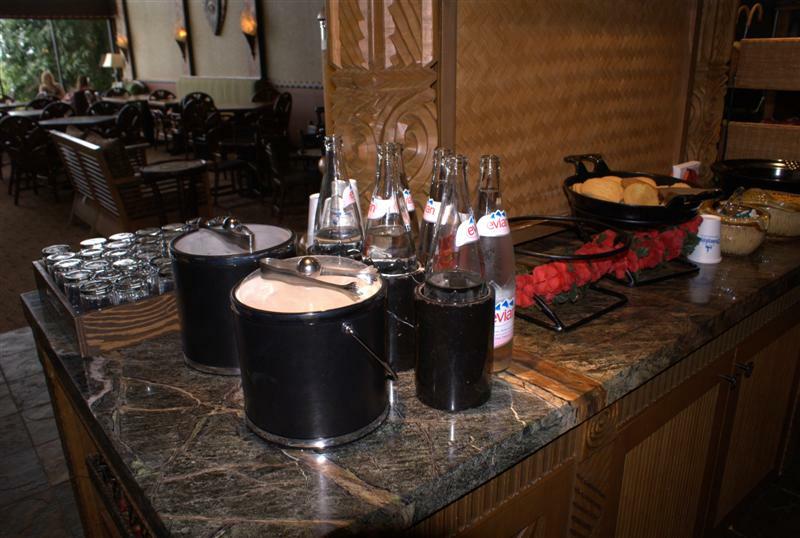 We had breakfast at the Kona Cafe on every morning of this trip, and we got the Kona Press pot each morning too! 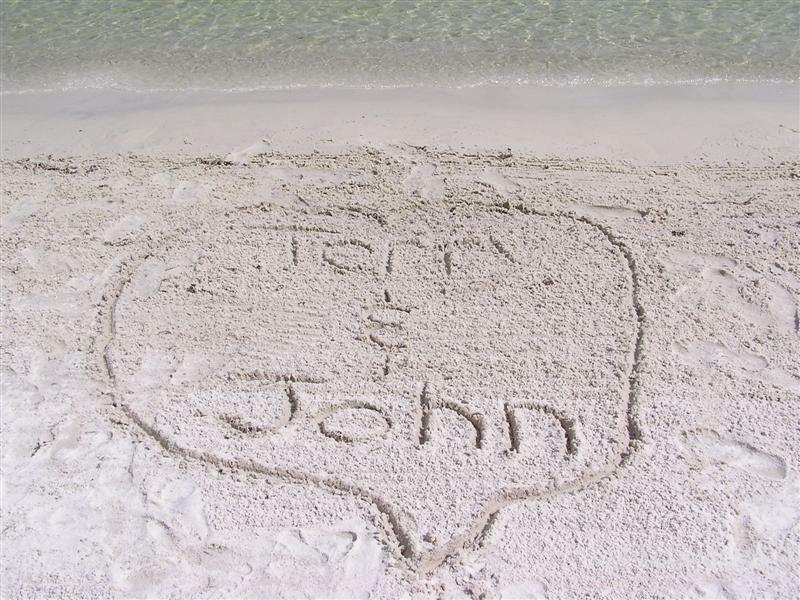 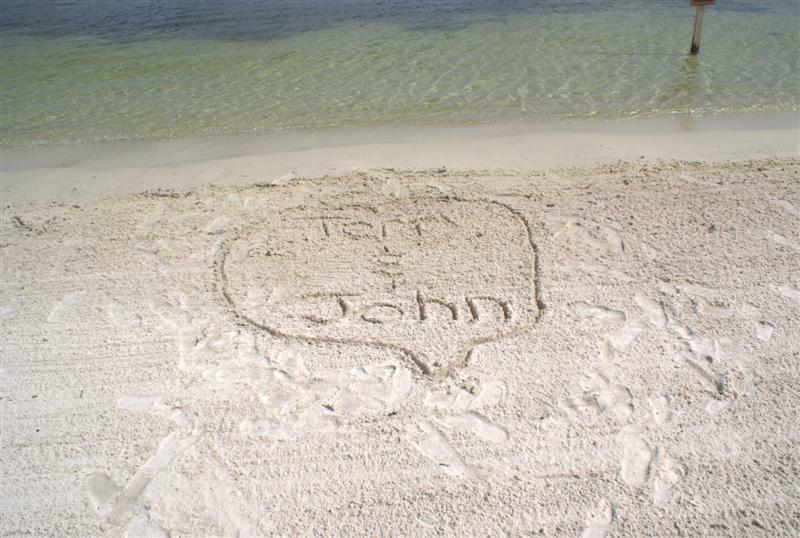 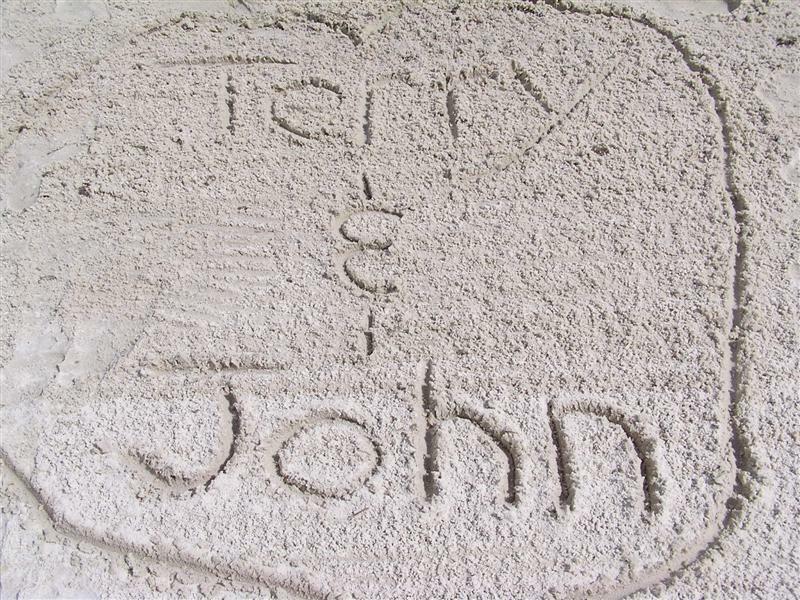 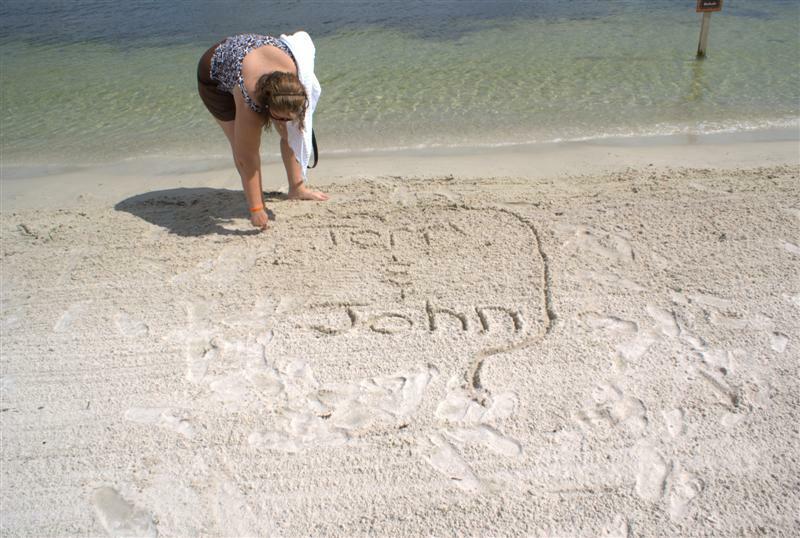 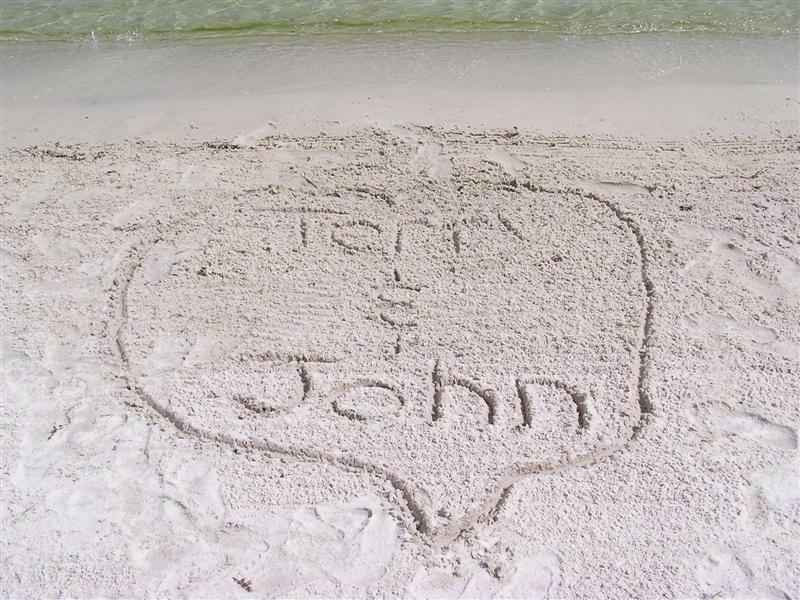 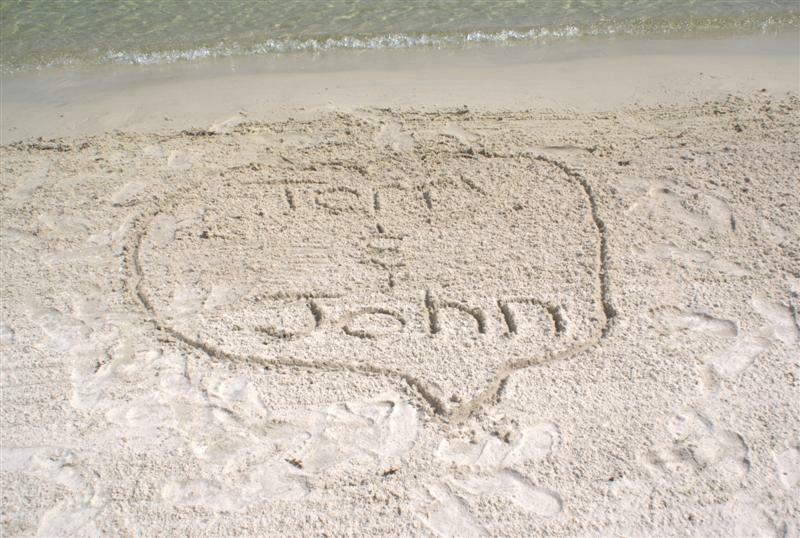 I had to leave our "mark" on the beach! 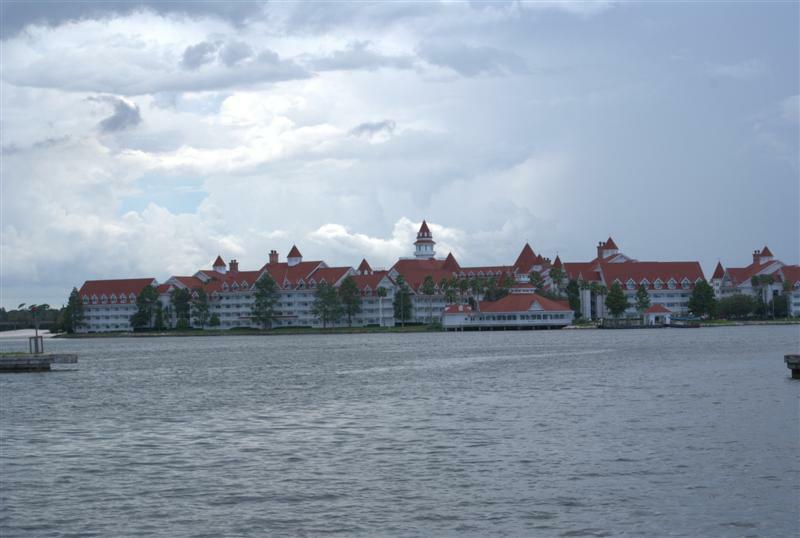 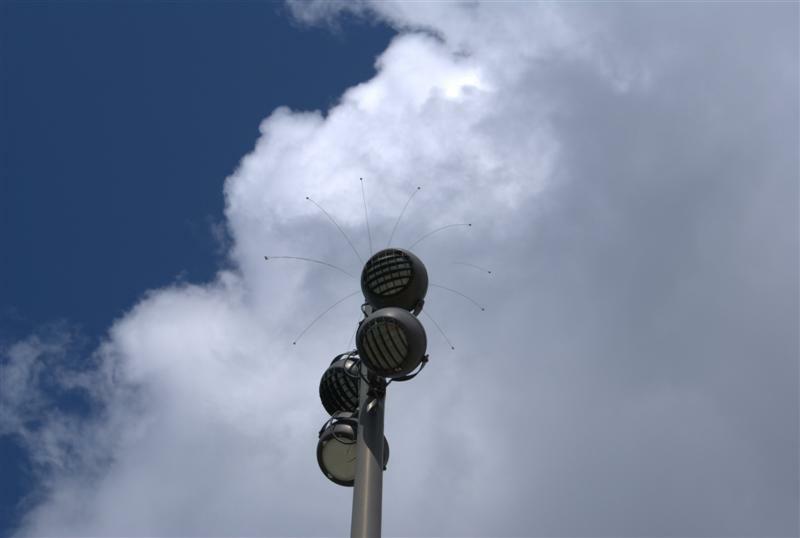 The contrast between the VERY blue sky and the VERY black clouds made for some incredible shots! 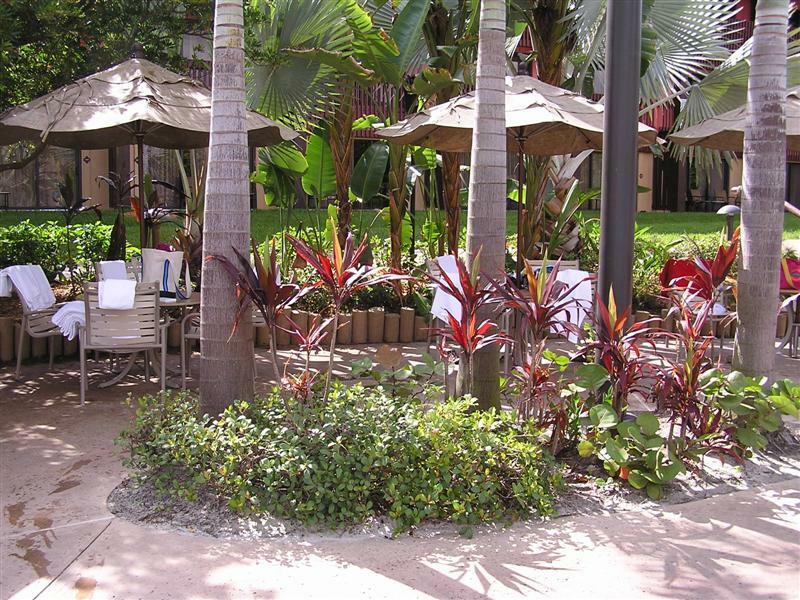 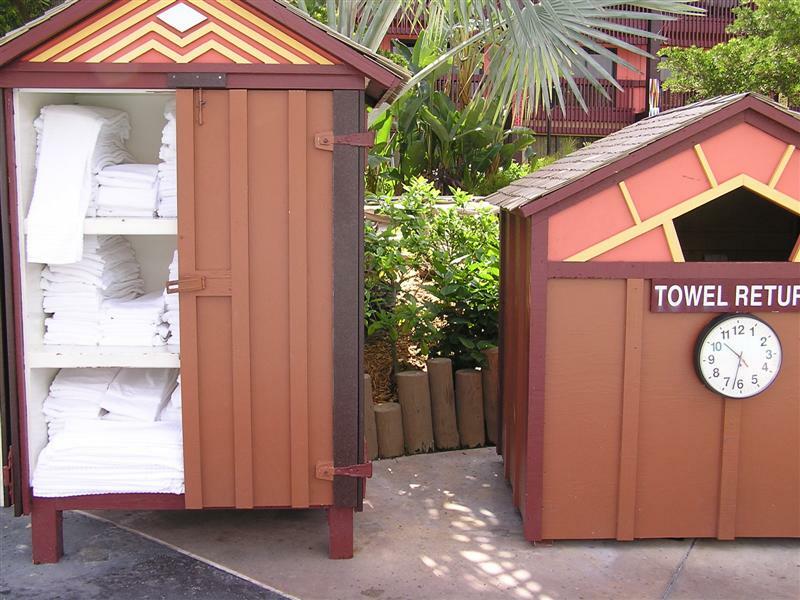 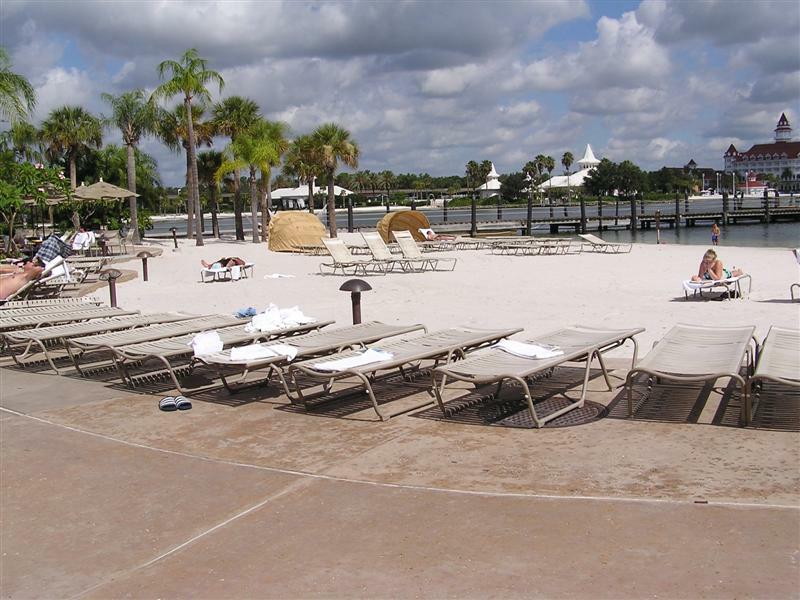 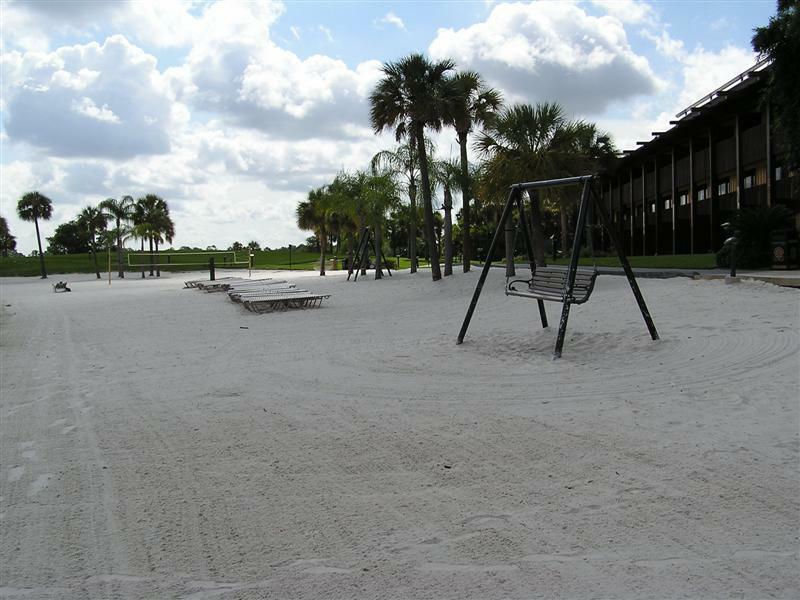 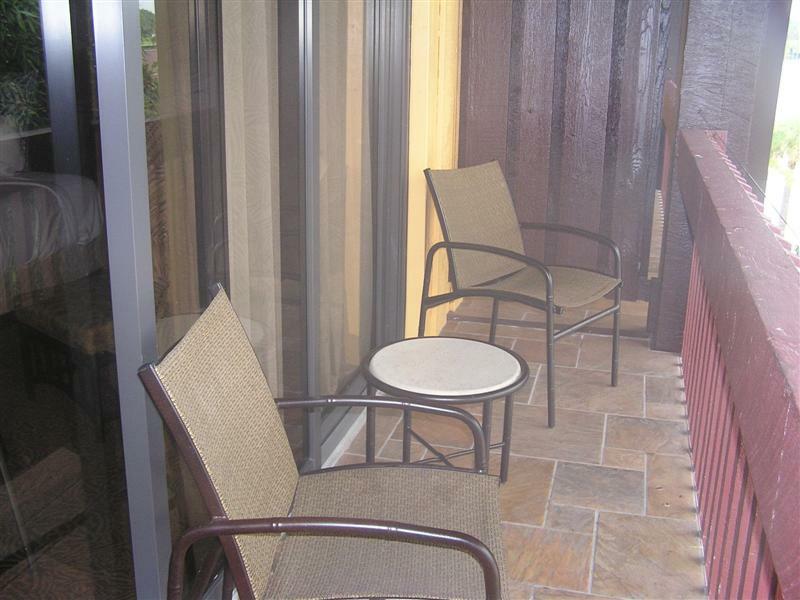 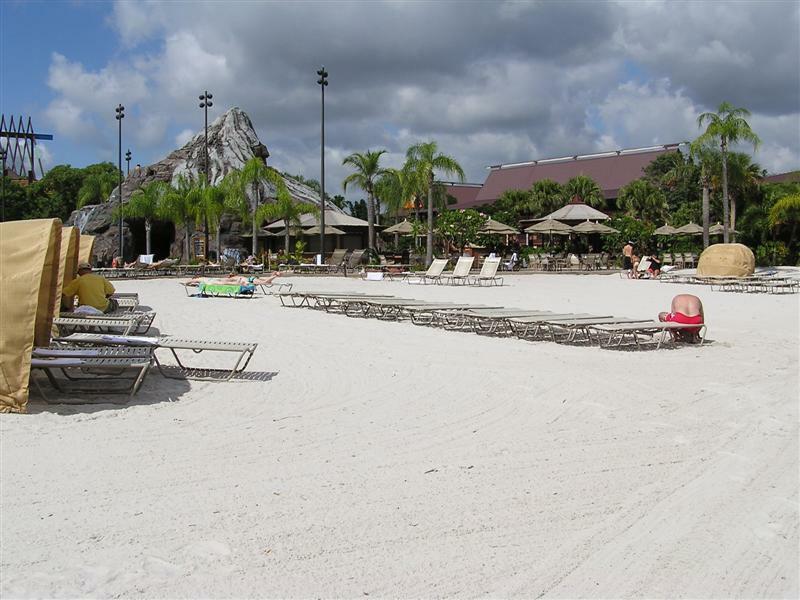 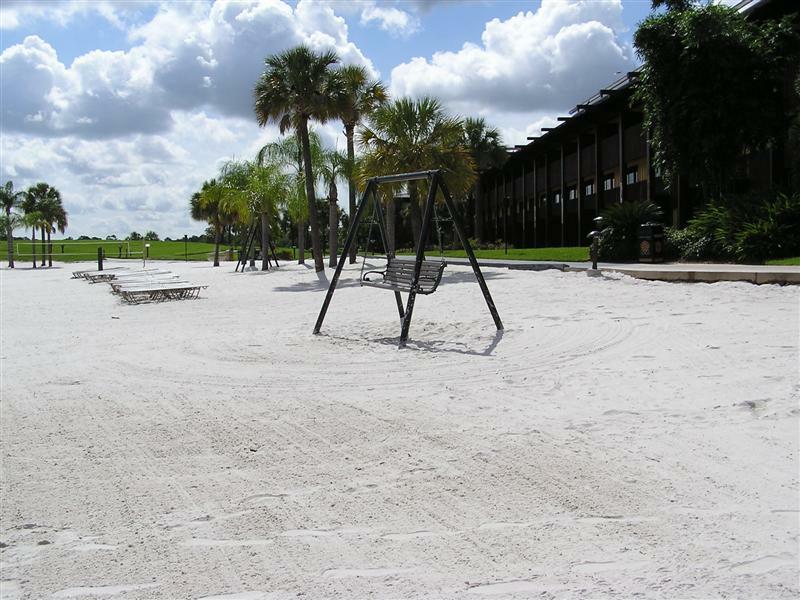 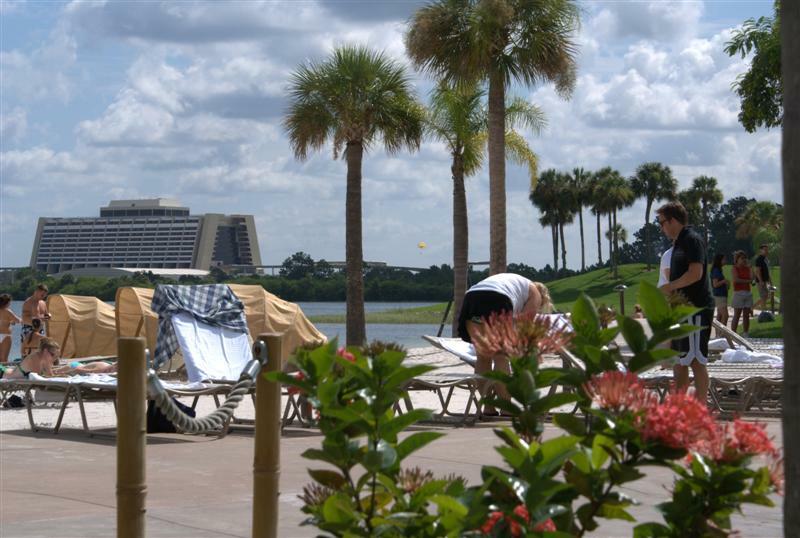 The beach area is really nice, and the "cabanas" over the lounge chairs are available to everyone. 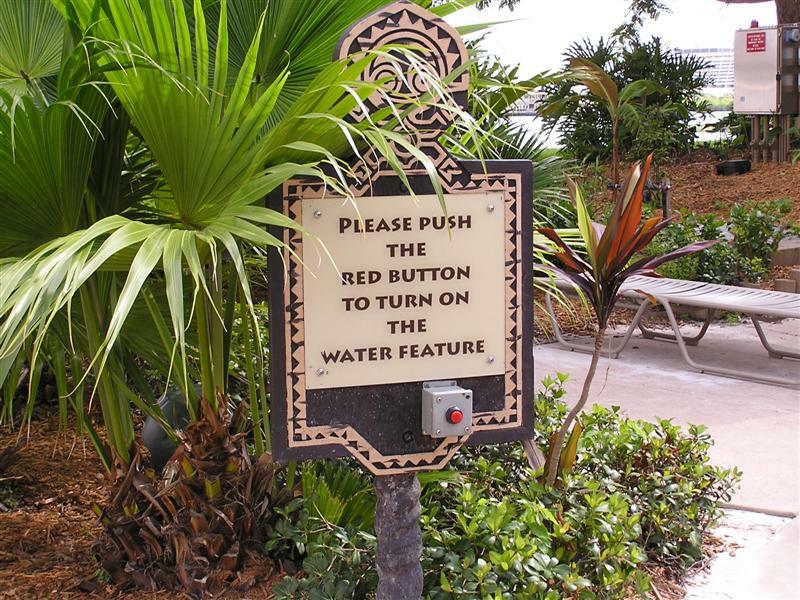 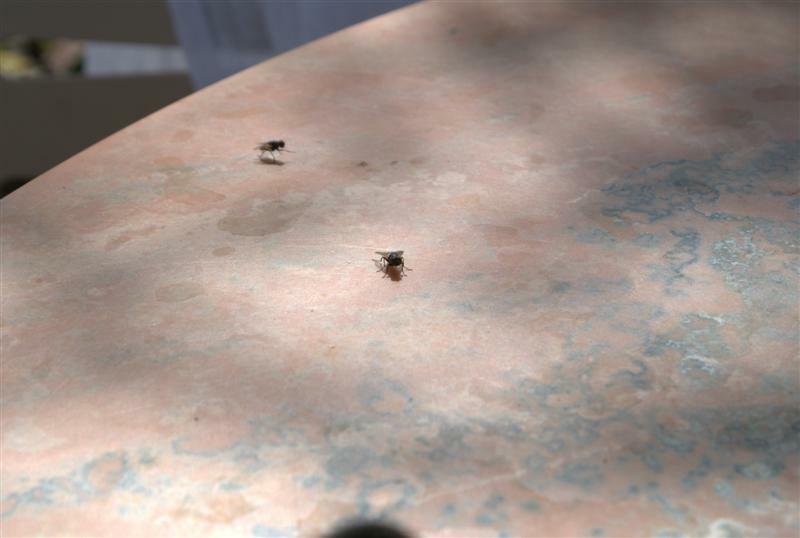 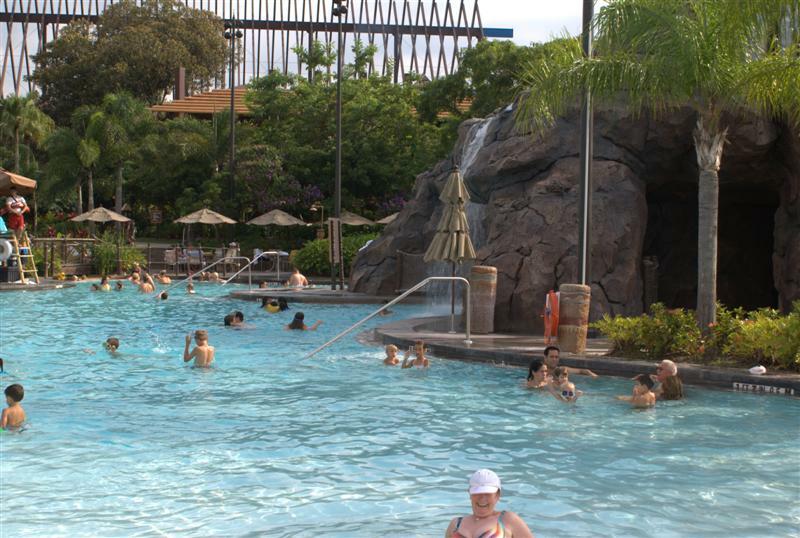 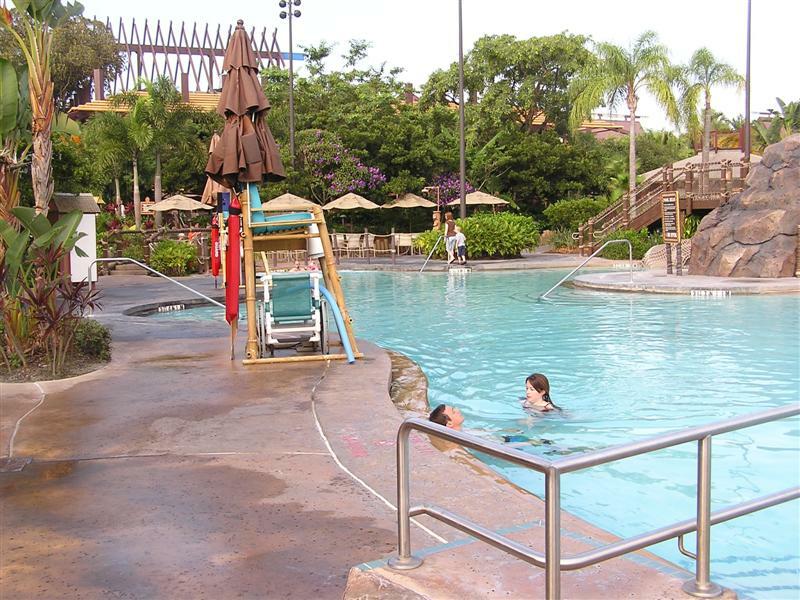 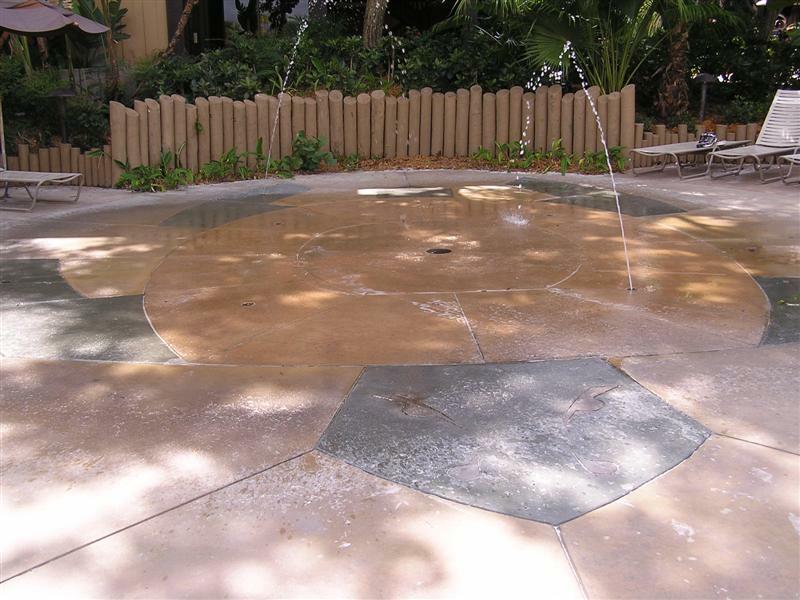 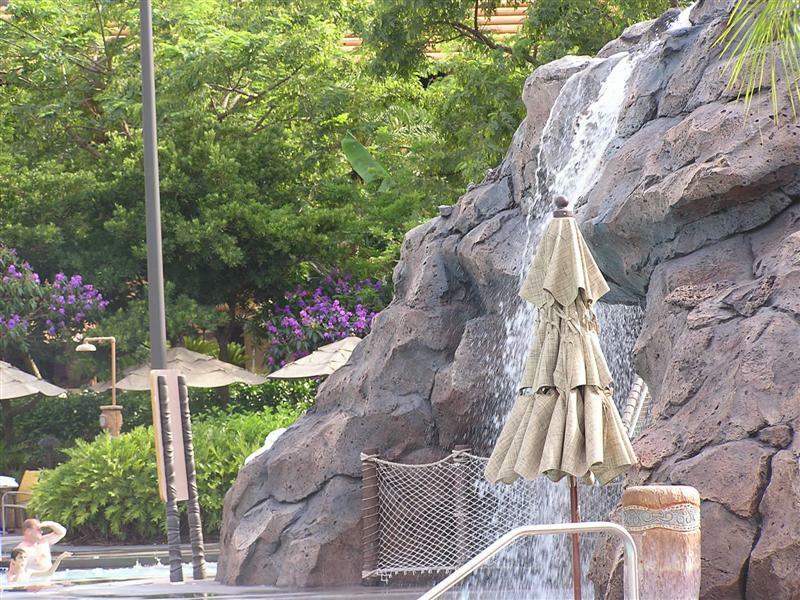 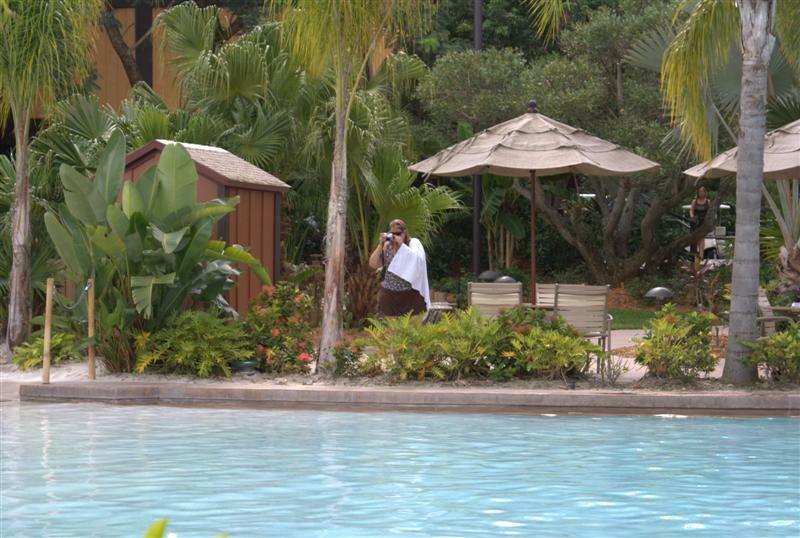 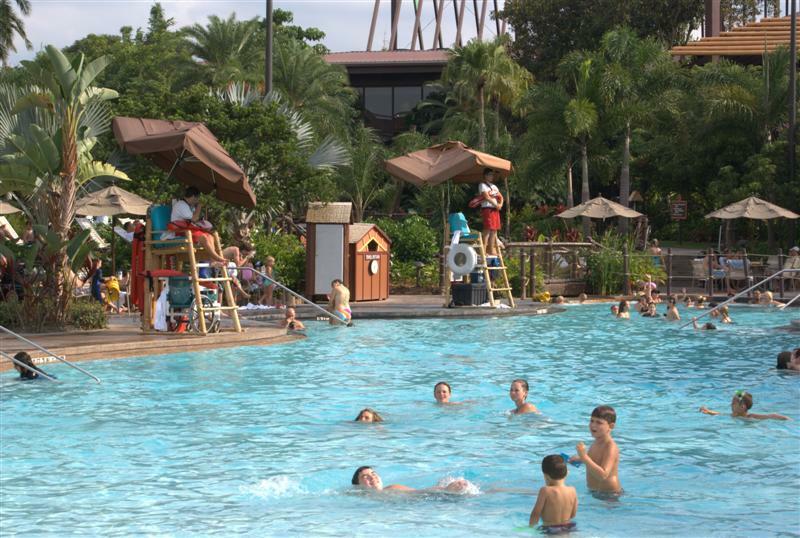 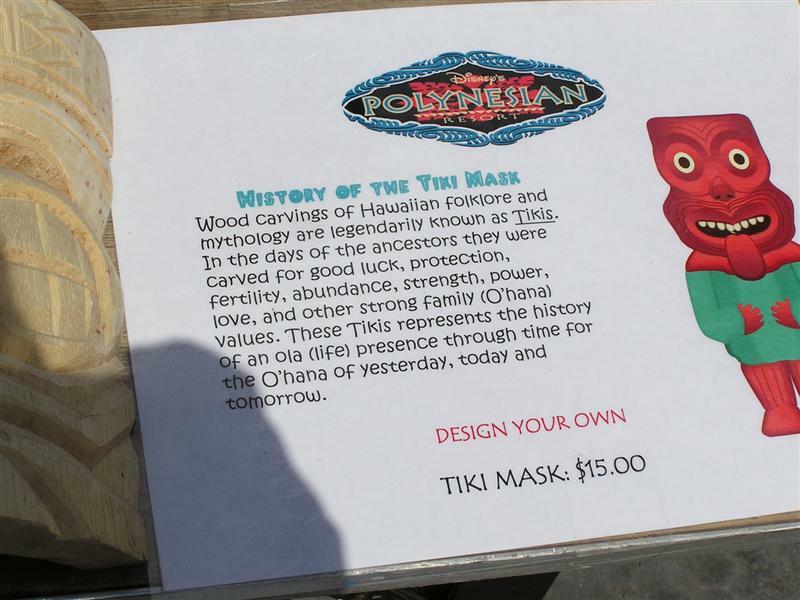 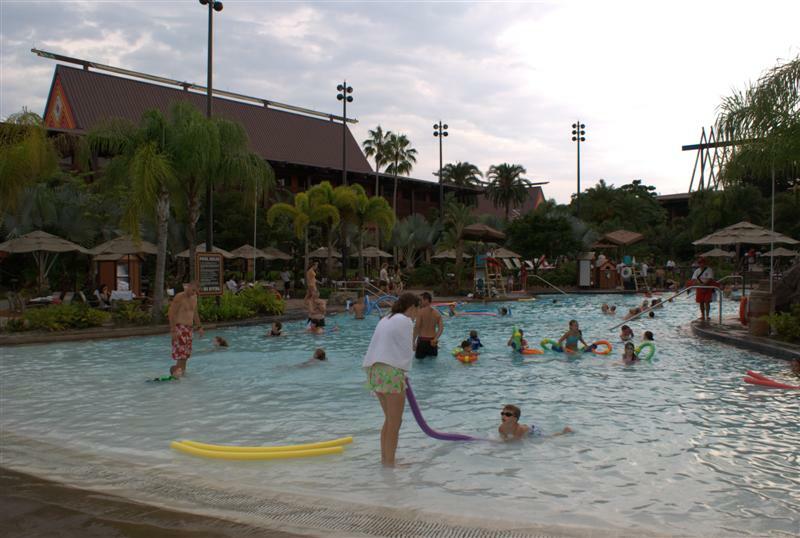 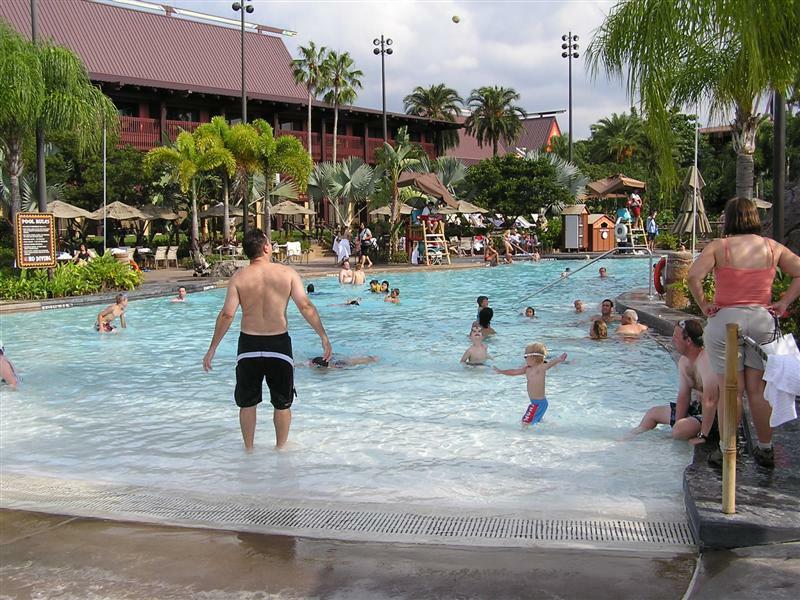 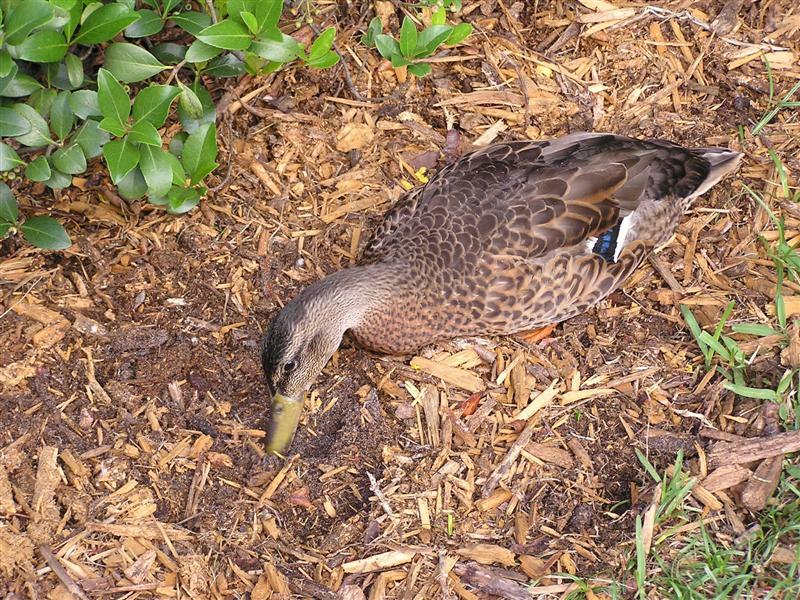 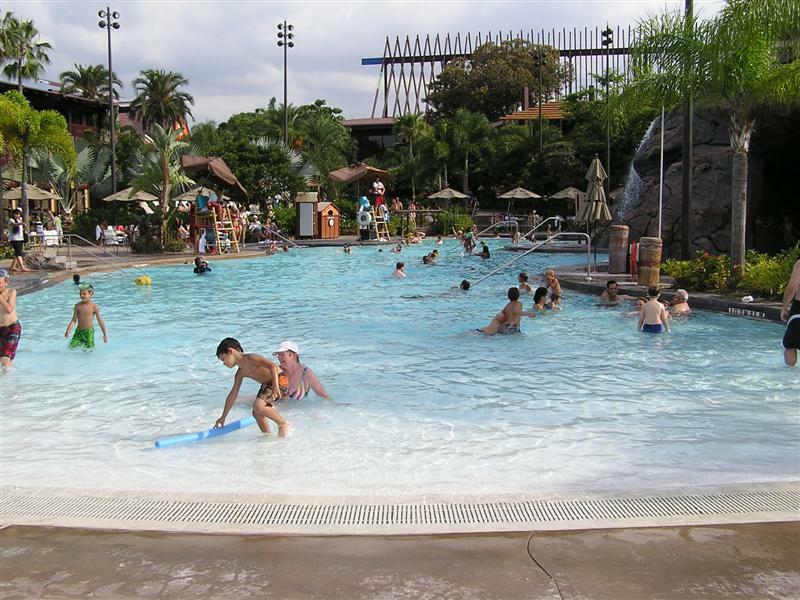 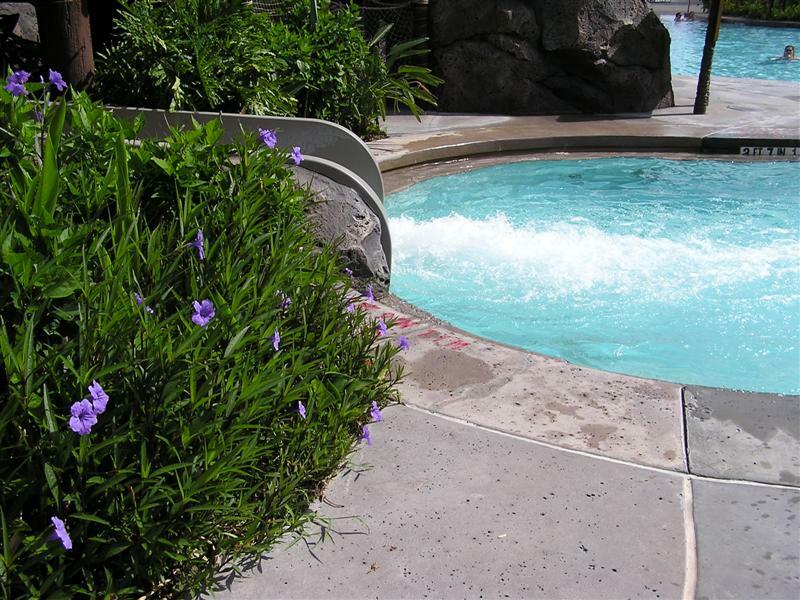 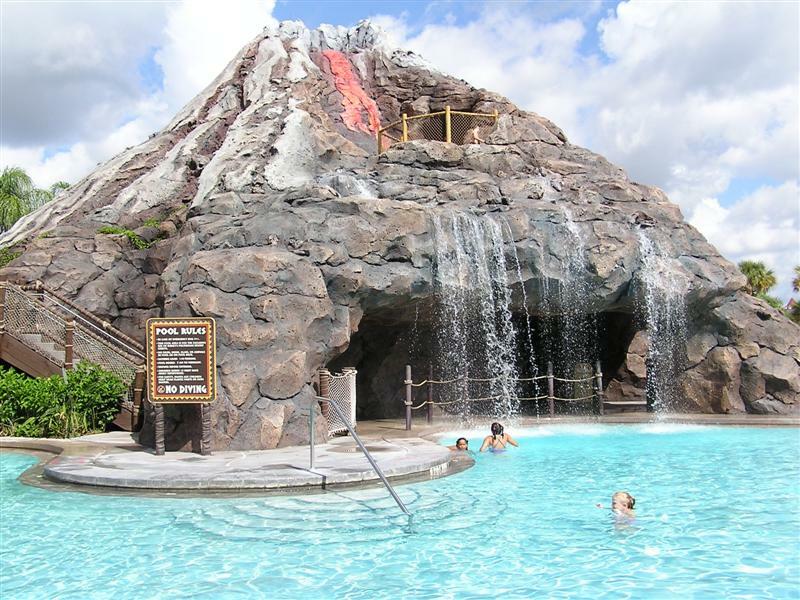 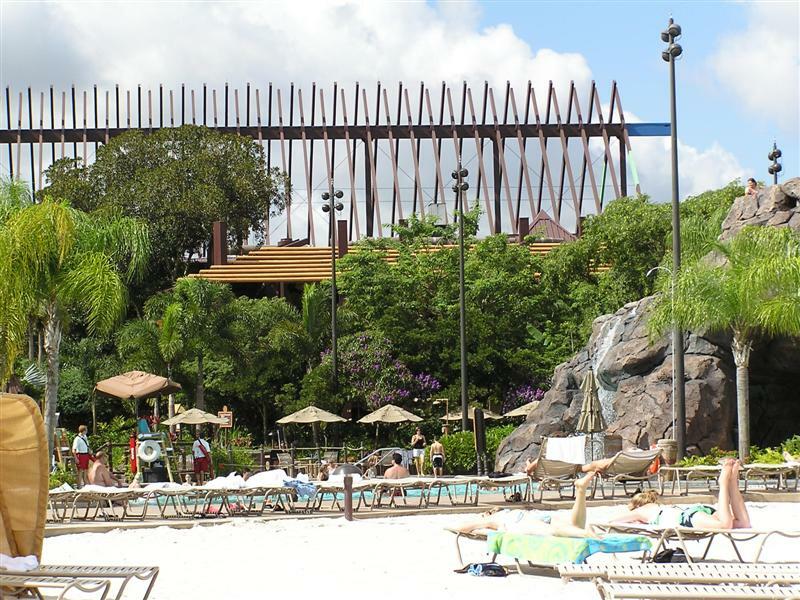 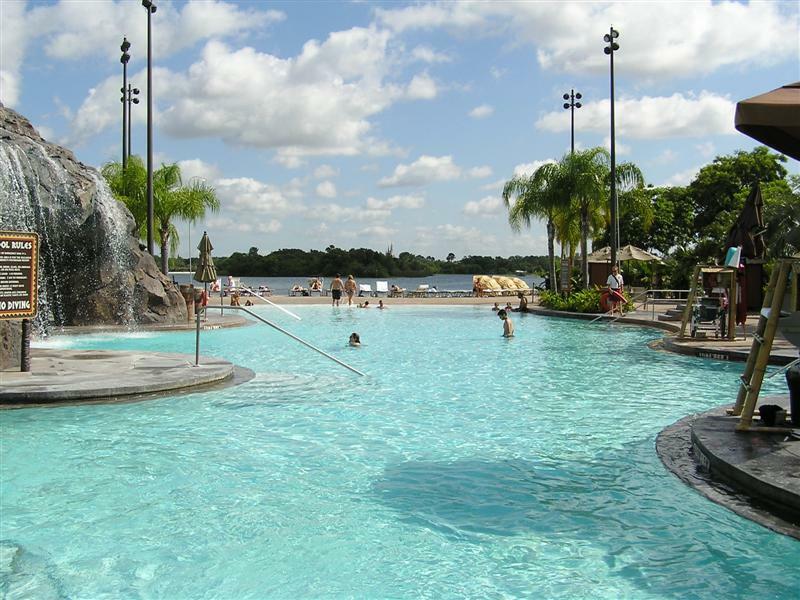 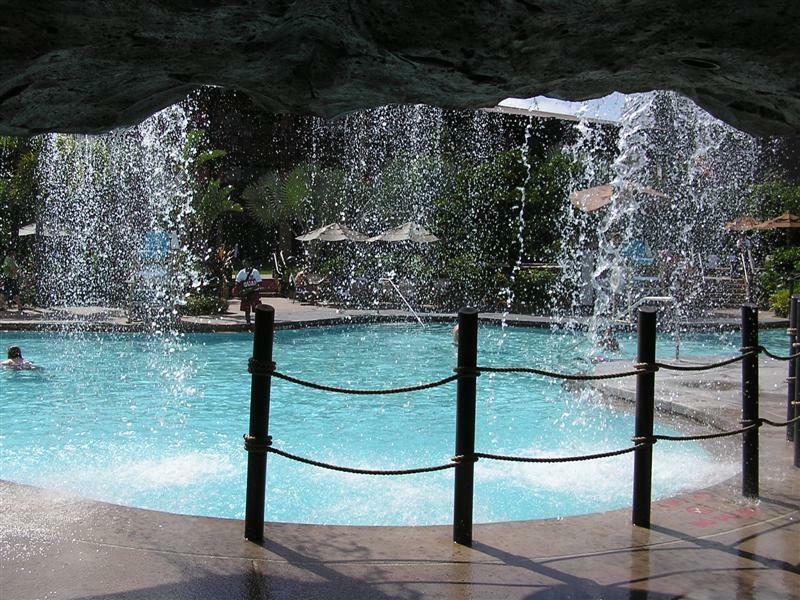 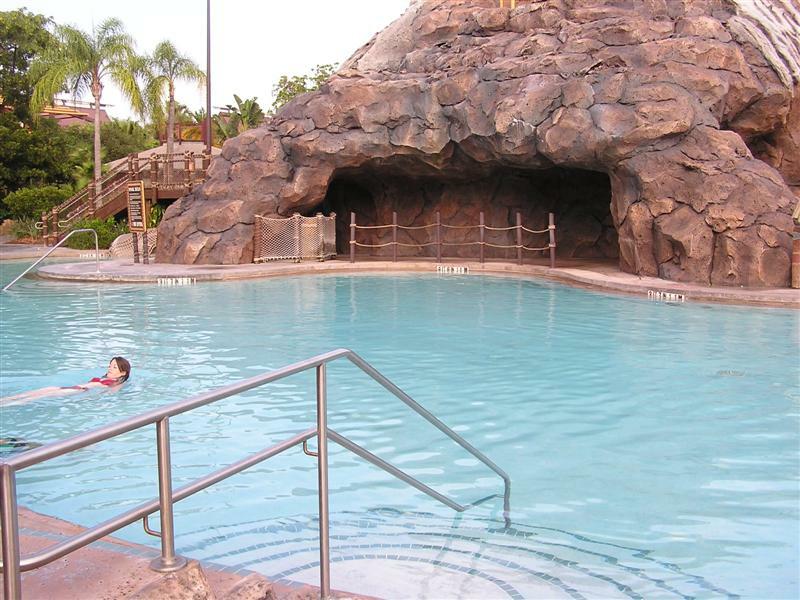 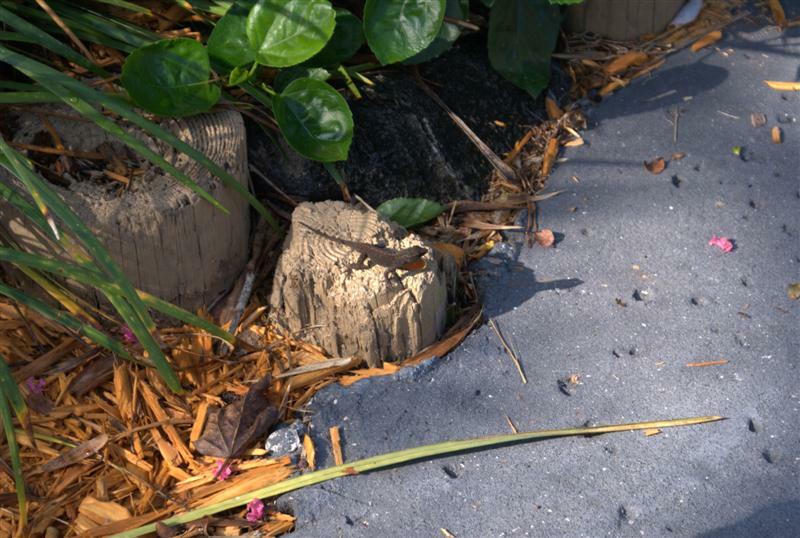 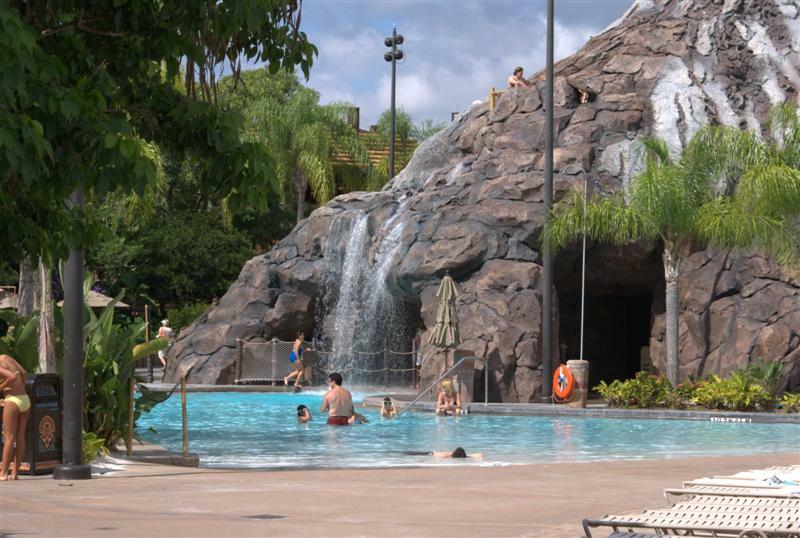 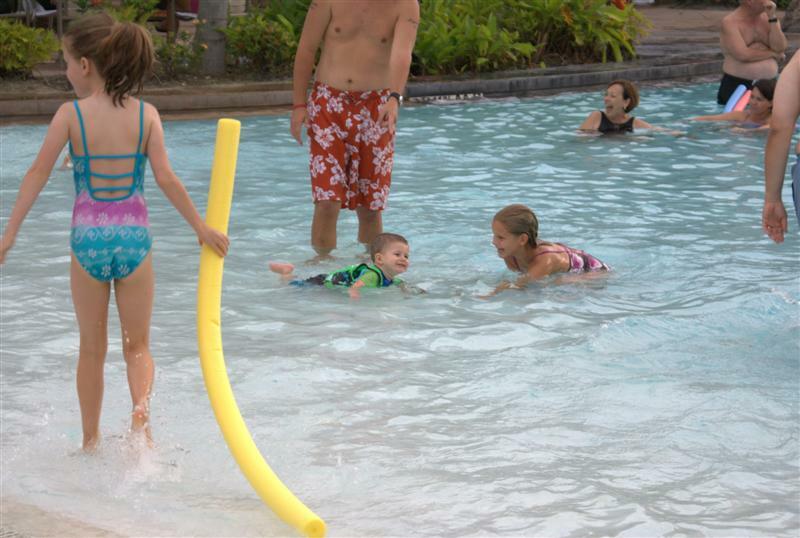 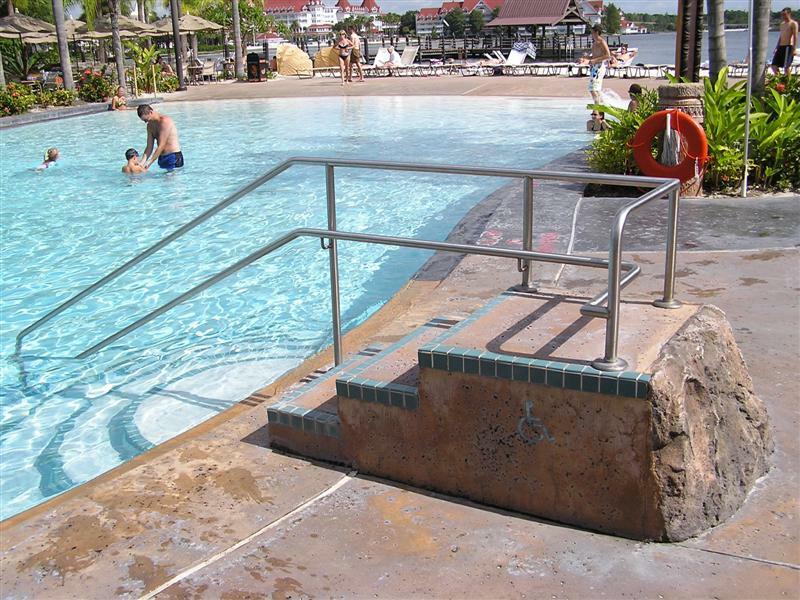 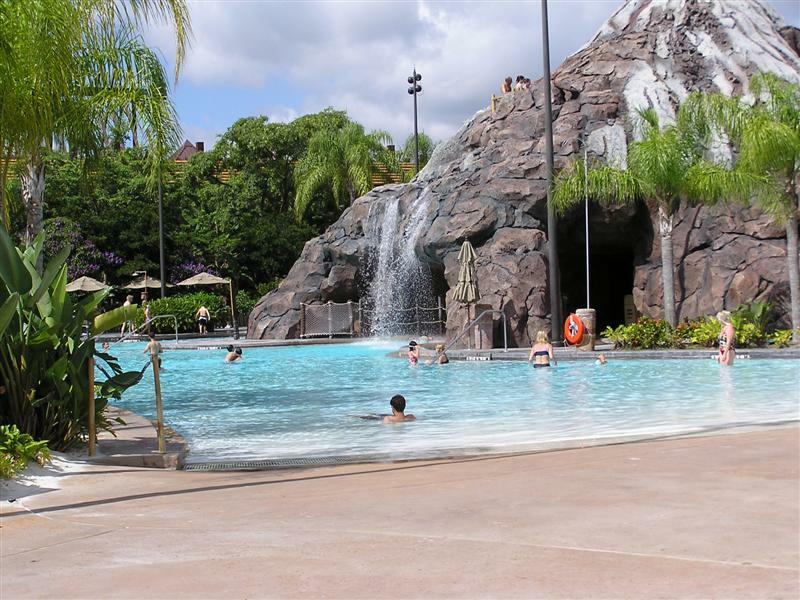 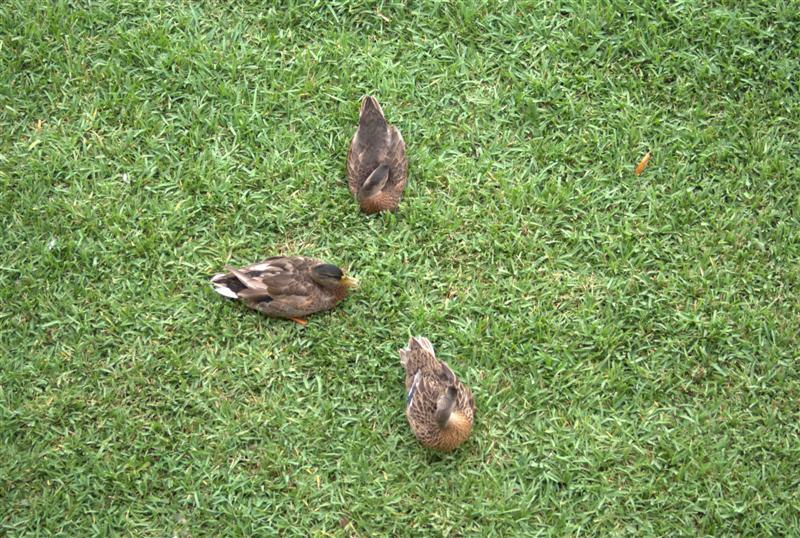 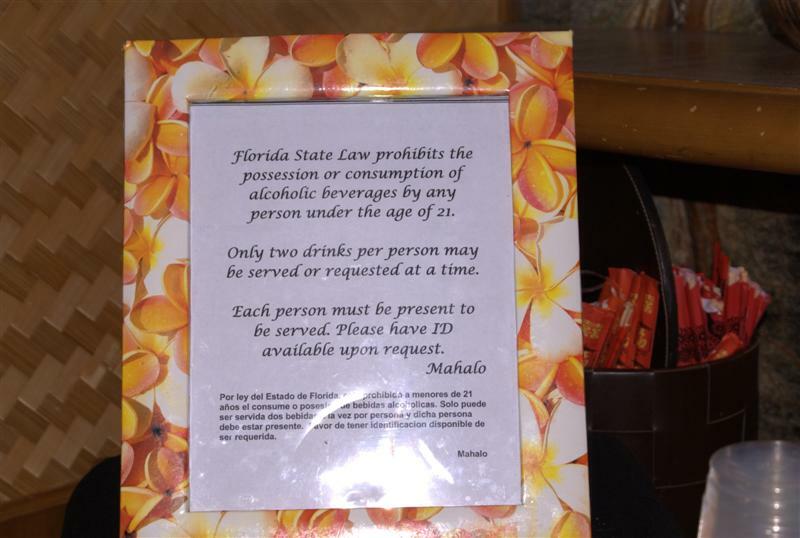 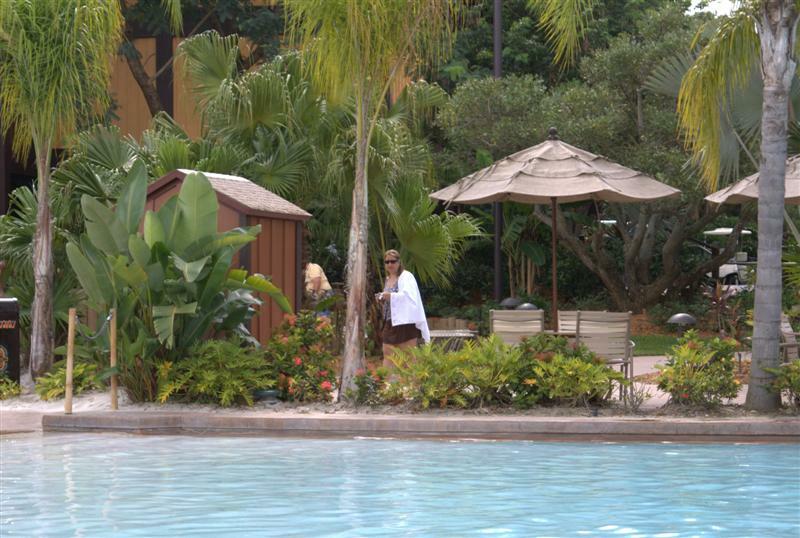 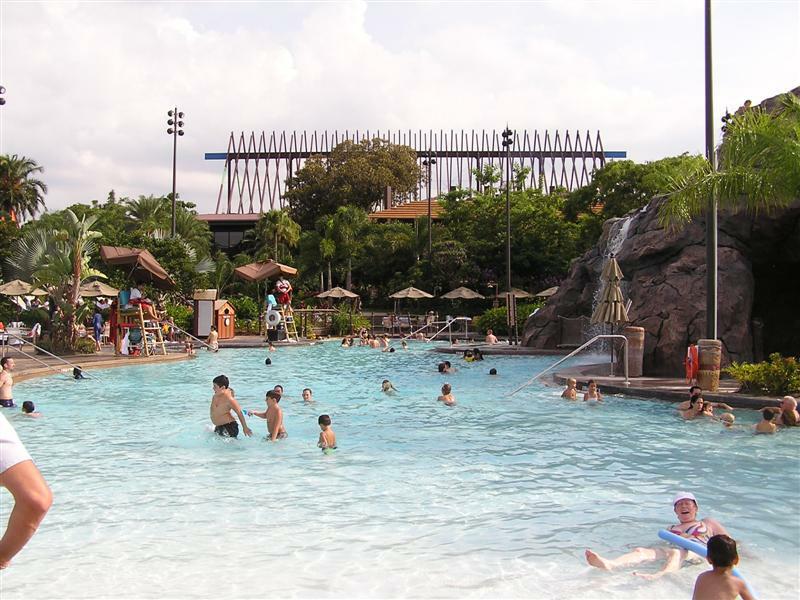 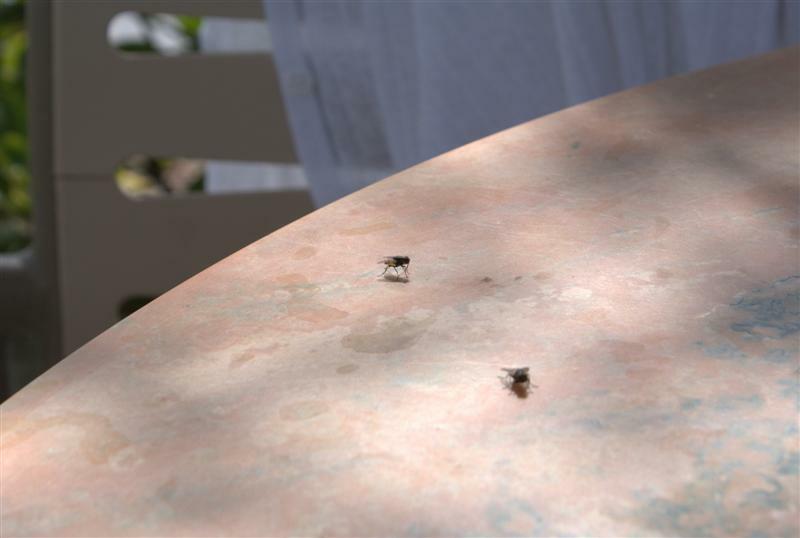 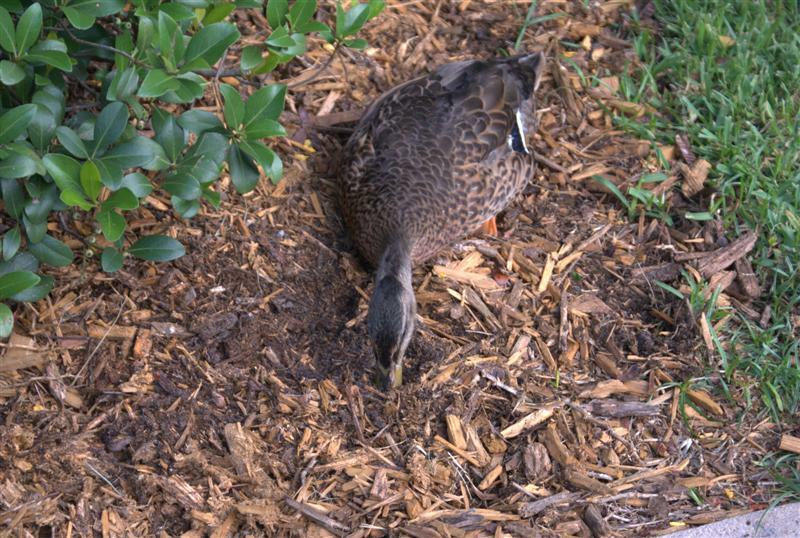 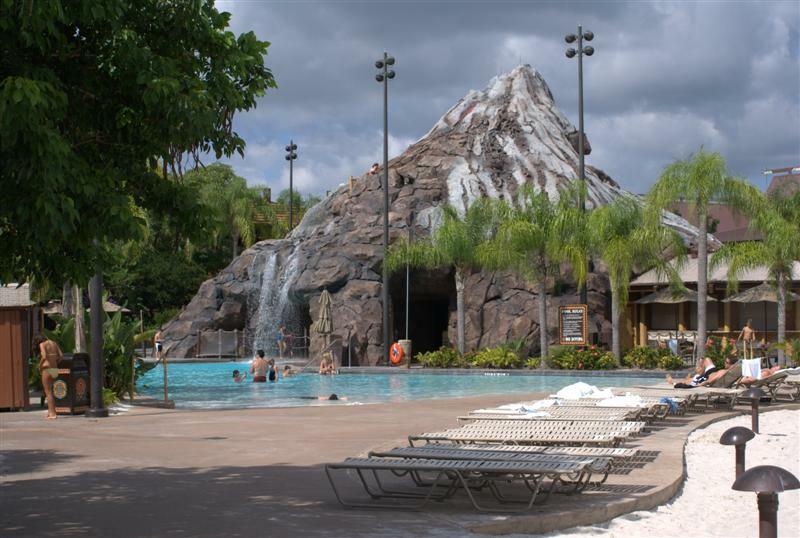 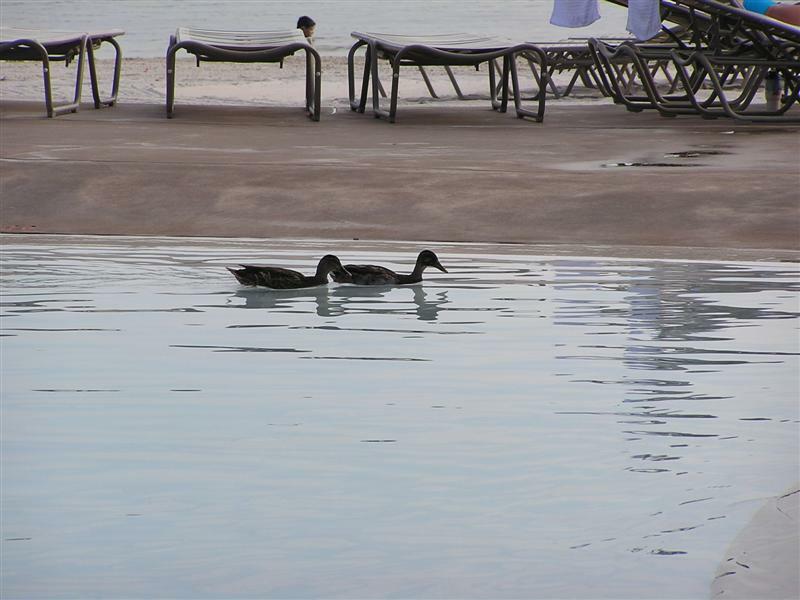 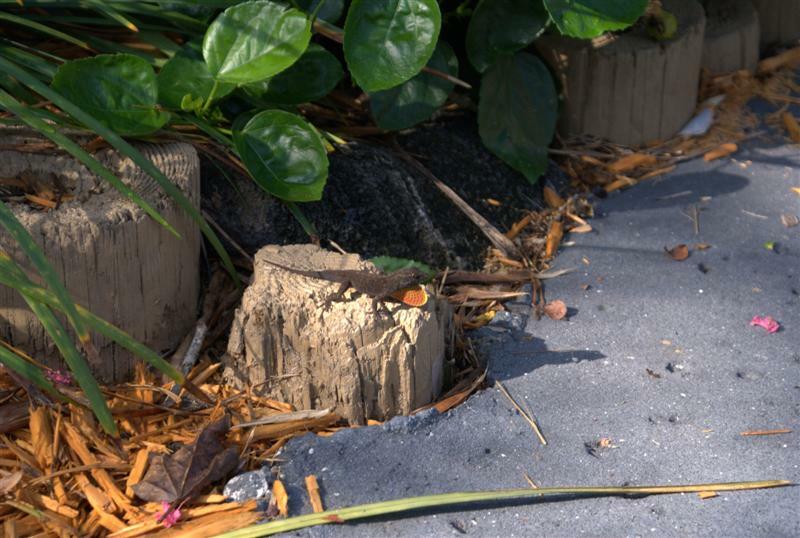 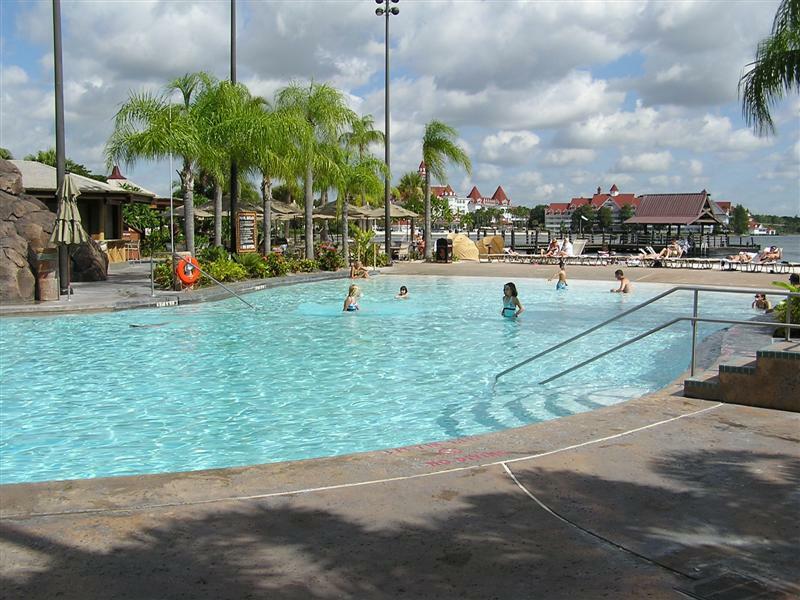 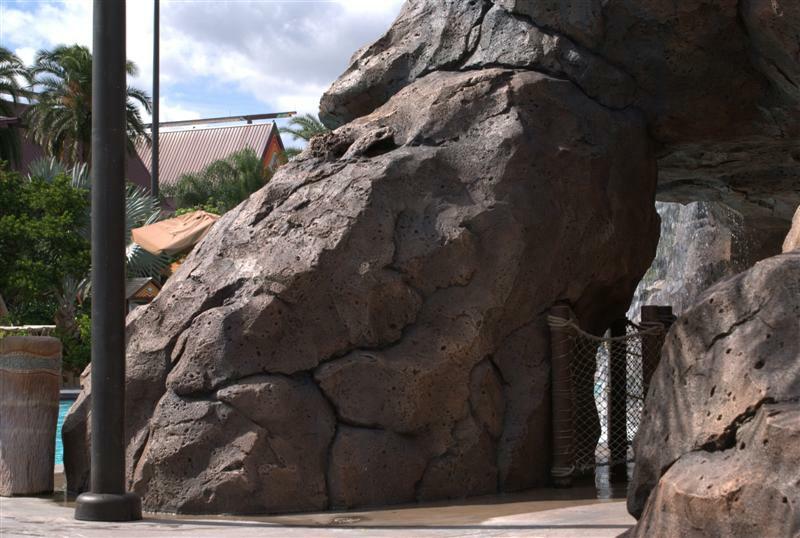 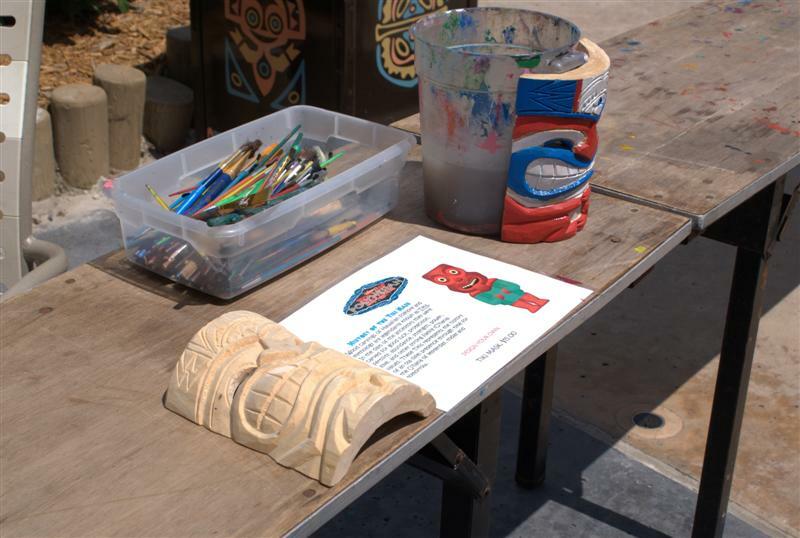 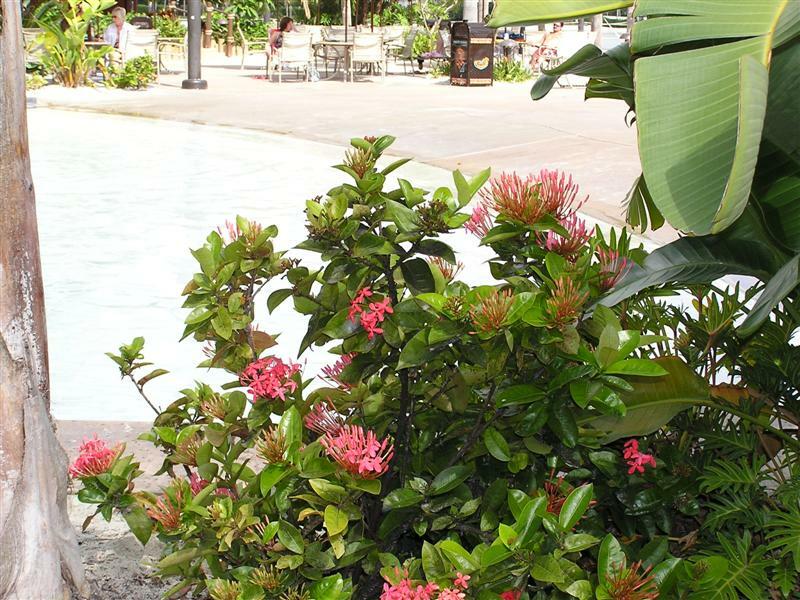 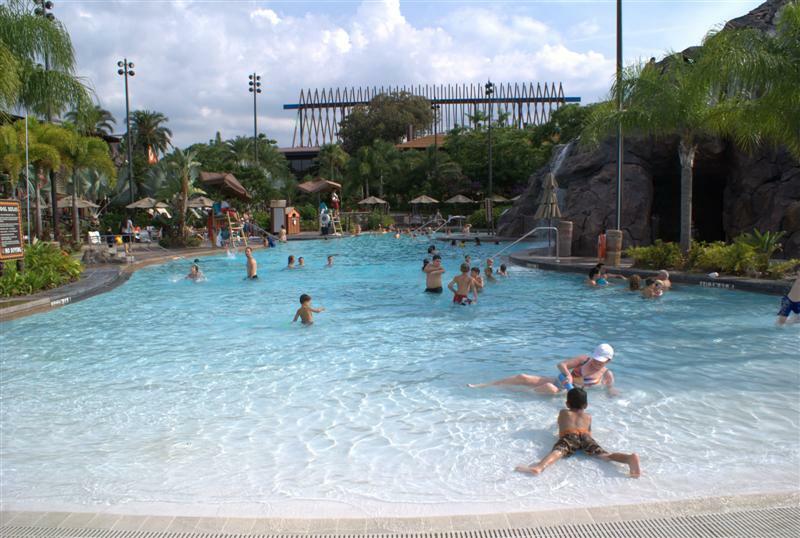 There's a new activity poolside at the Polynesian! 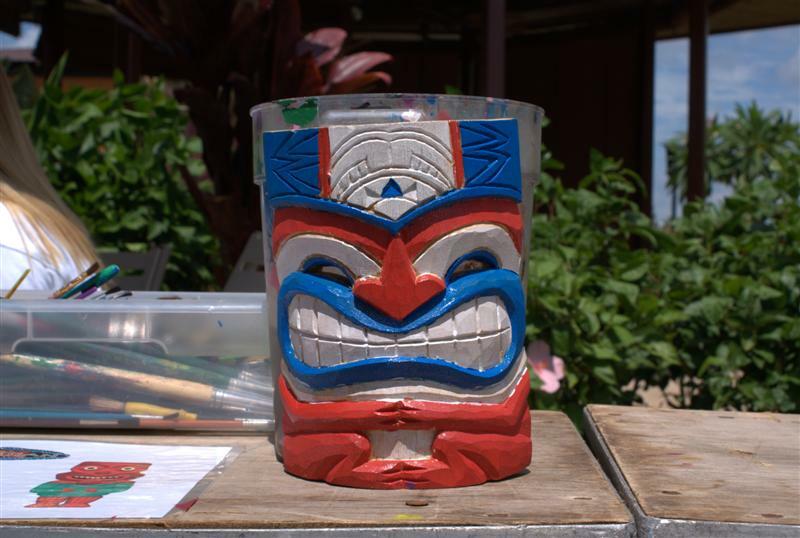 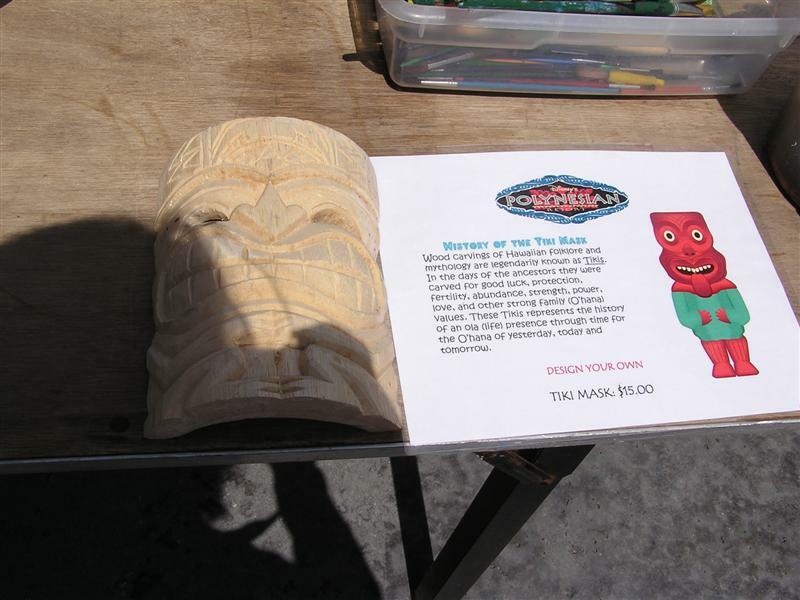 It's called "Paint your own mask" and costs $15. 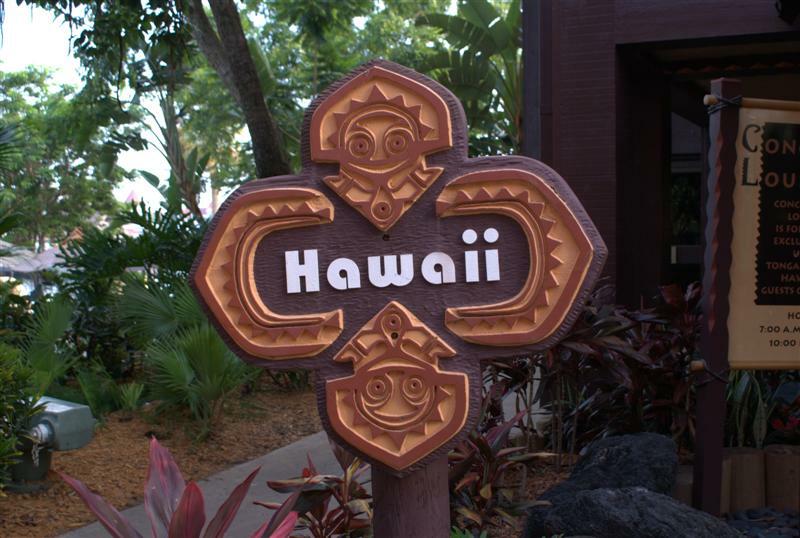 Welcome to the Hawaii building!! 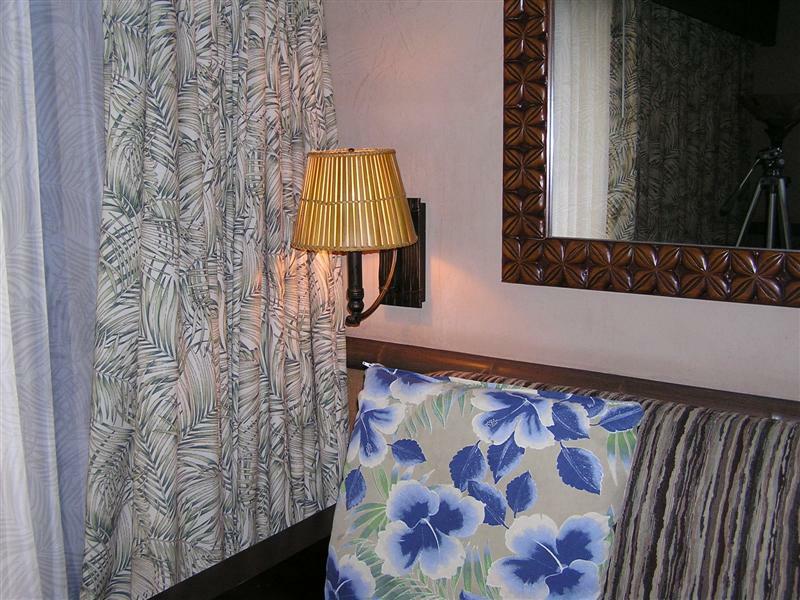 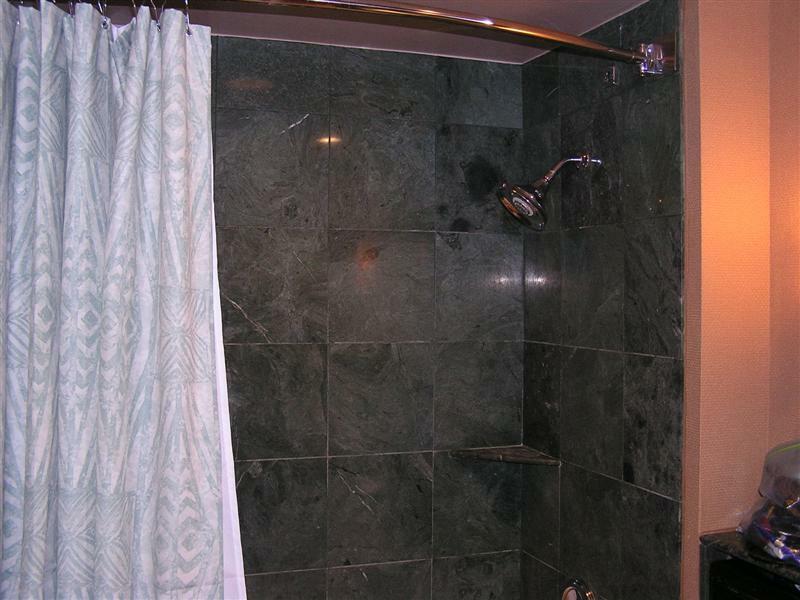 LOTS of more room pictures, including some close ups! 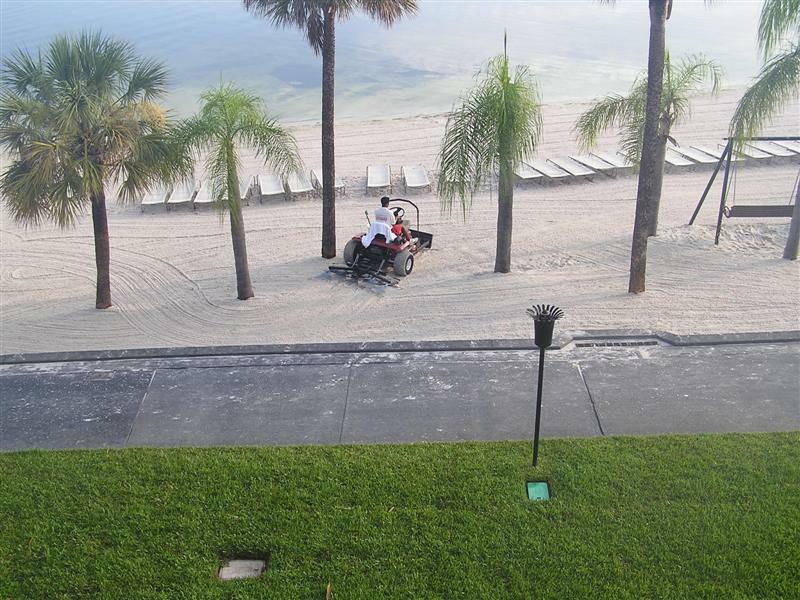 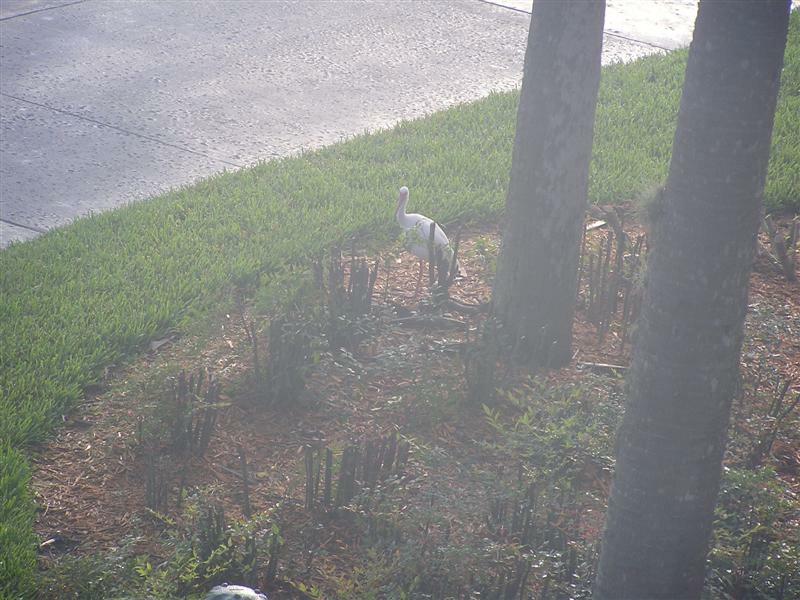 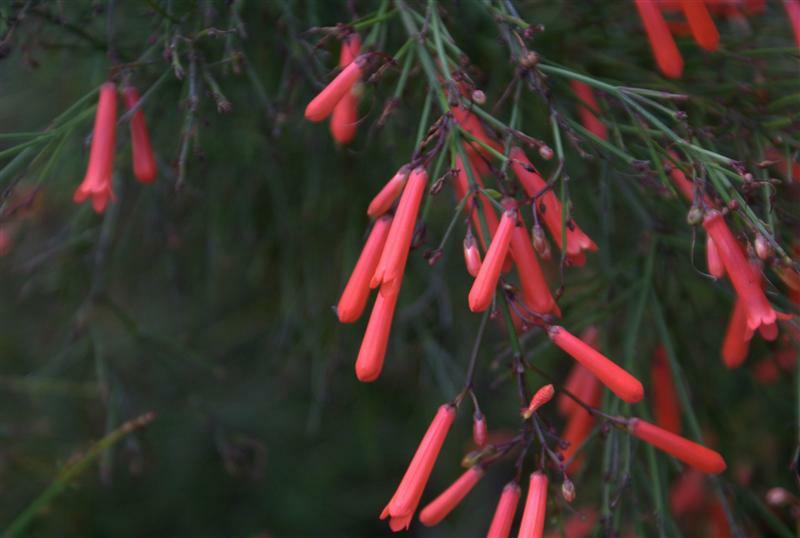 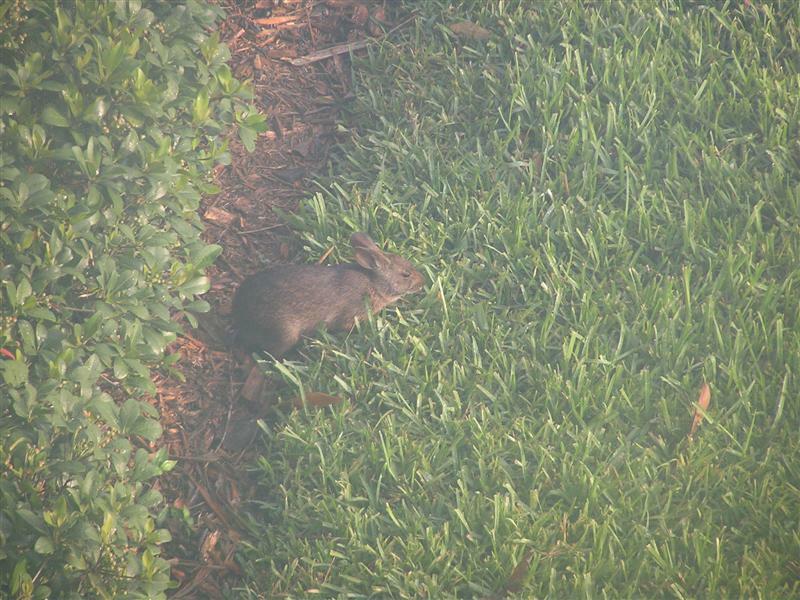 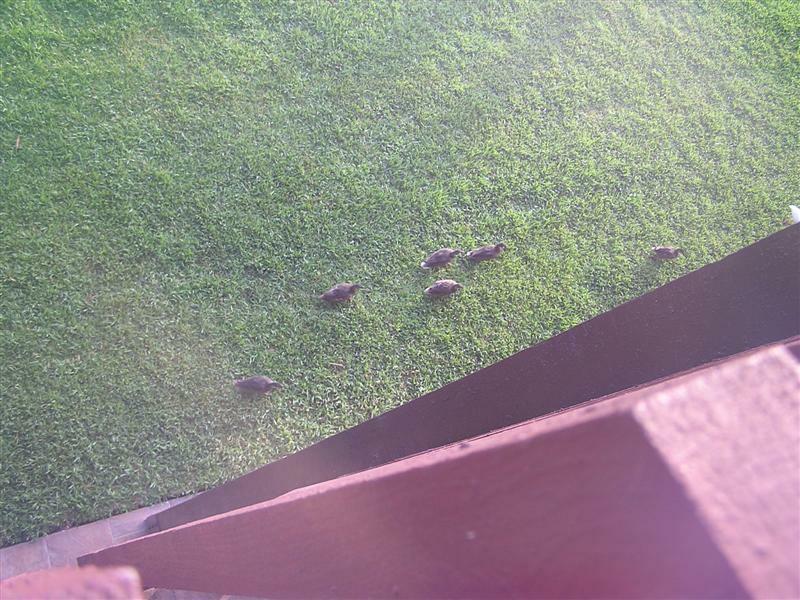 Early-morning shots from our balcony. 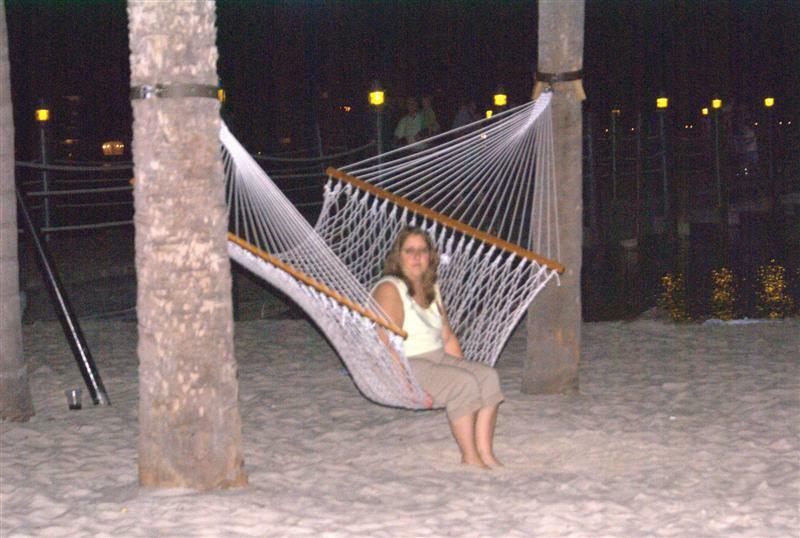 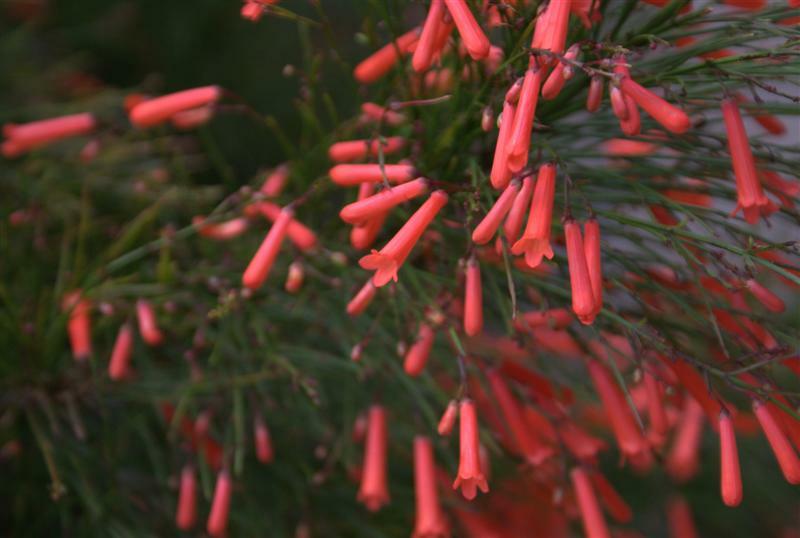 In some of the pictures, my camera was a bit fogged up! 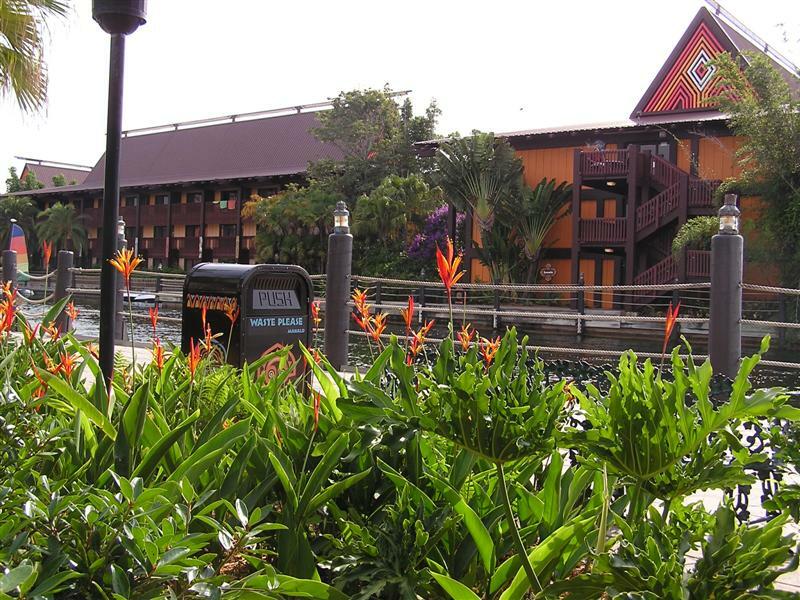 Another breakfast at the Kona Cafe! 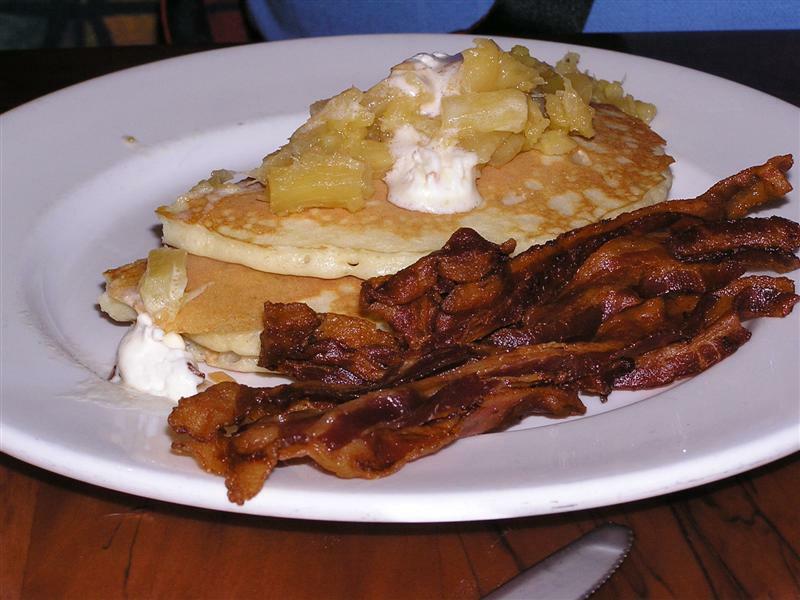 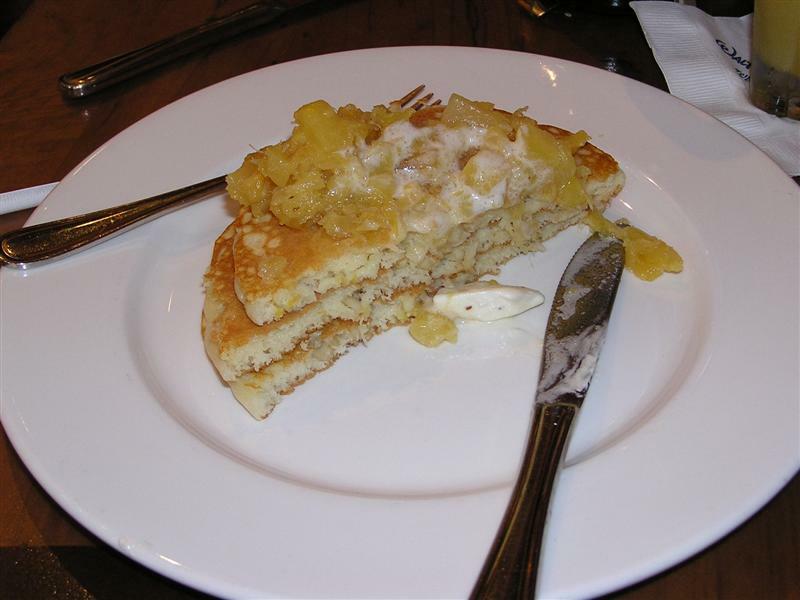 This time, pineapple-macadamia nut pancakes! 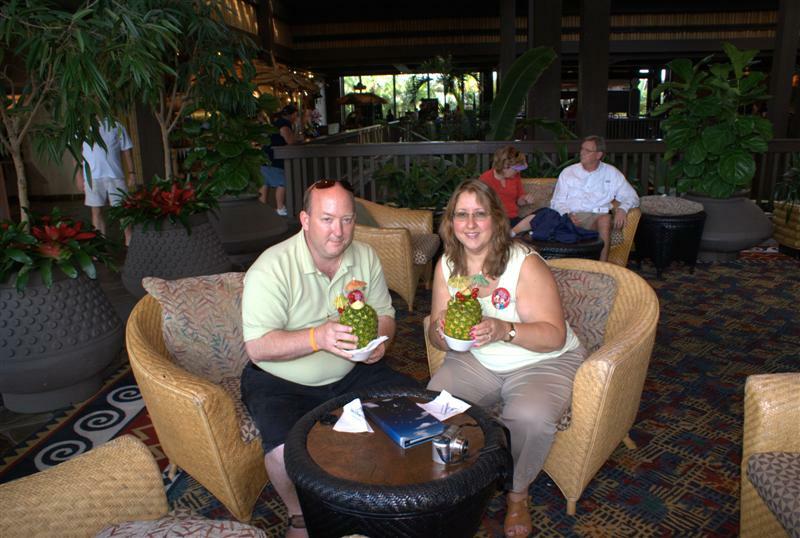 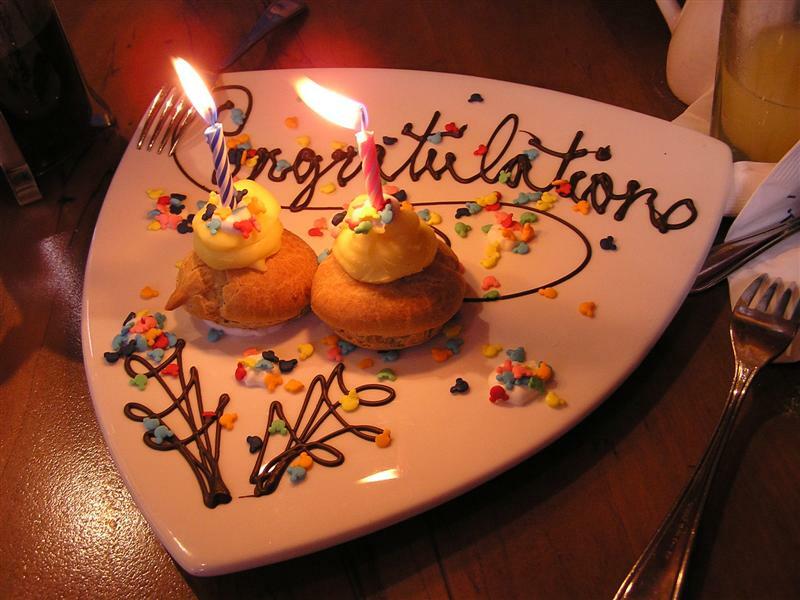 We were surprised at the Kona Cafe with these complimentary Cocoa Puffs, to celebrate our anniversary! 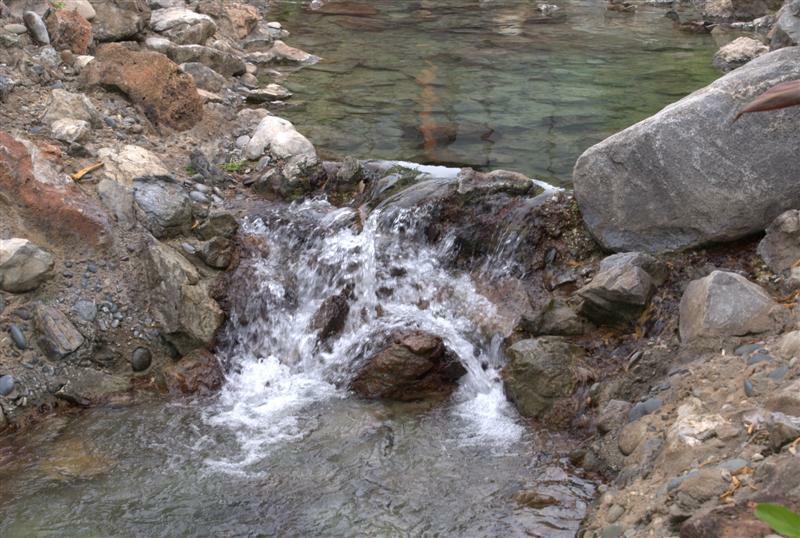 Standing behind the waterfall! 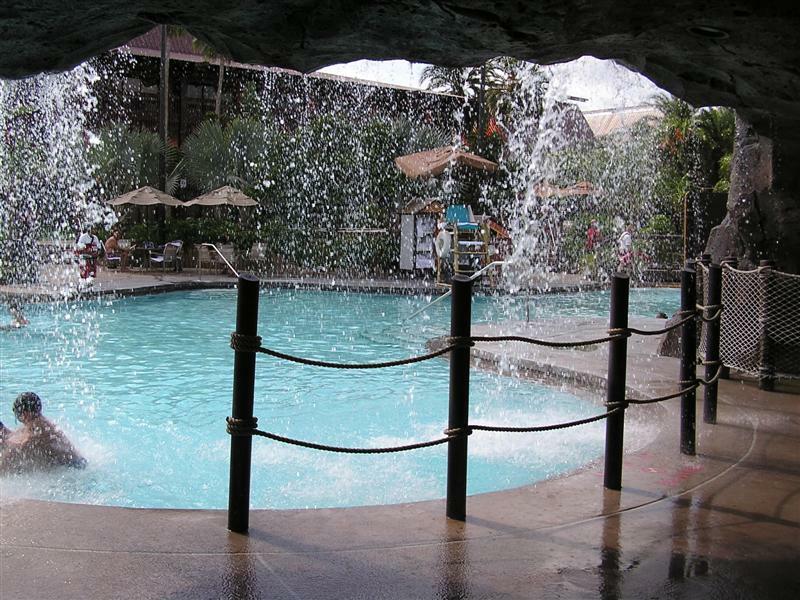 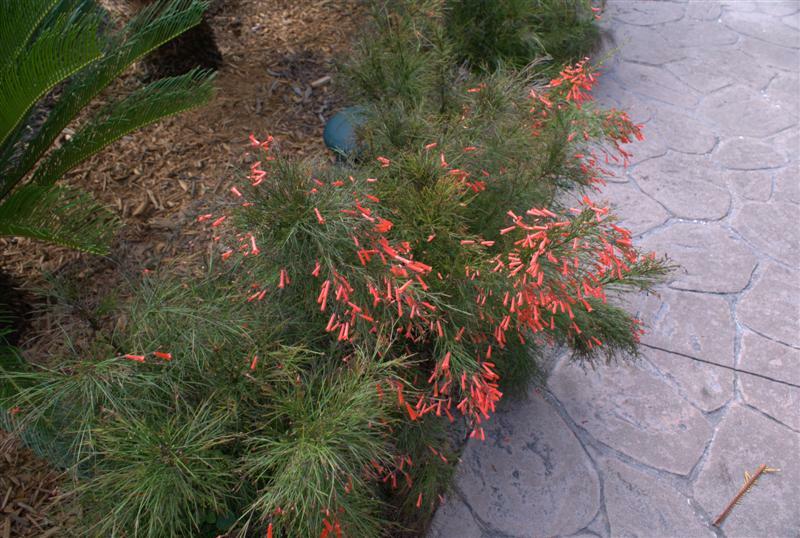 Believe it or not, you won't get wet just walking through here. 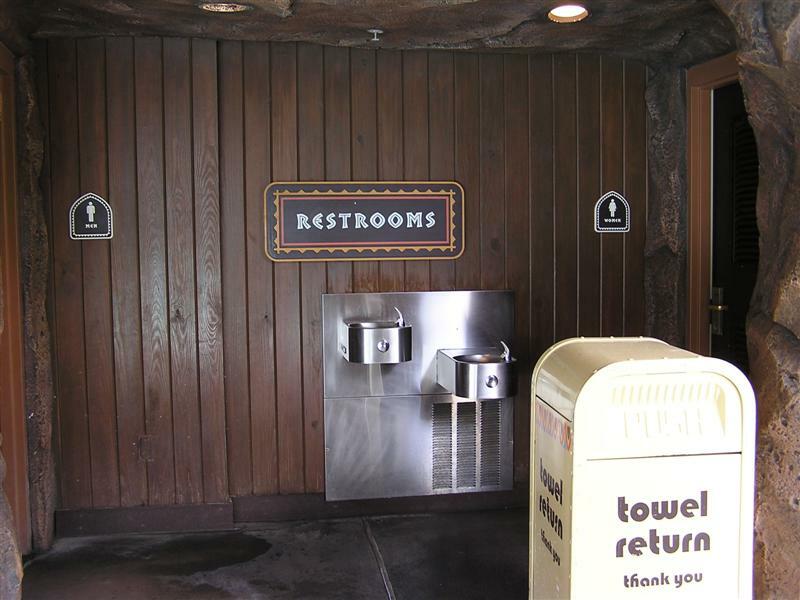 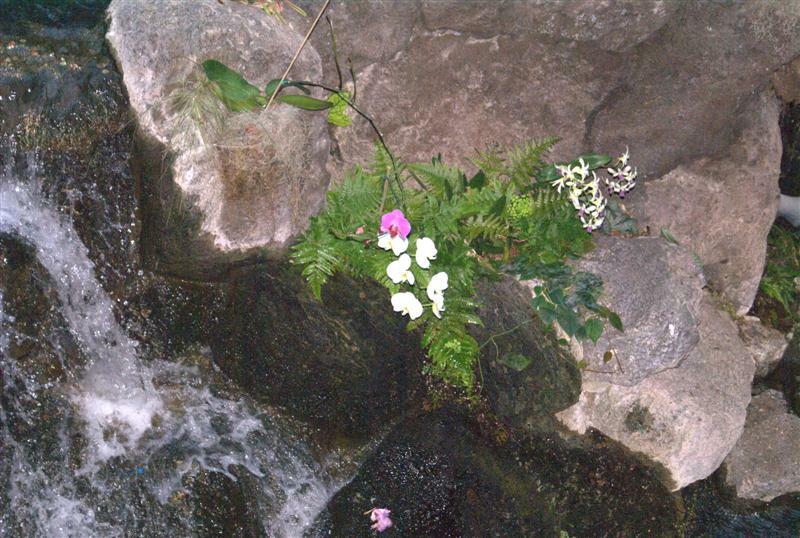 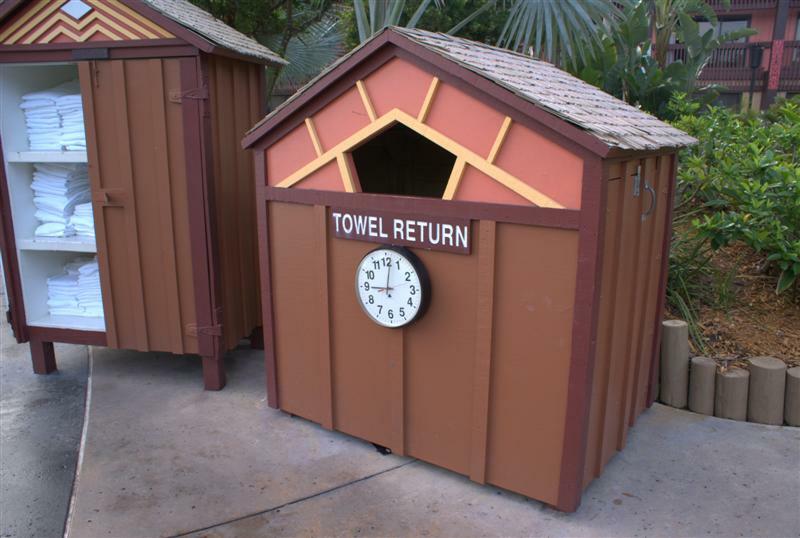 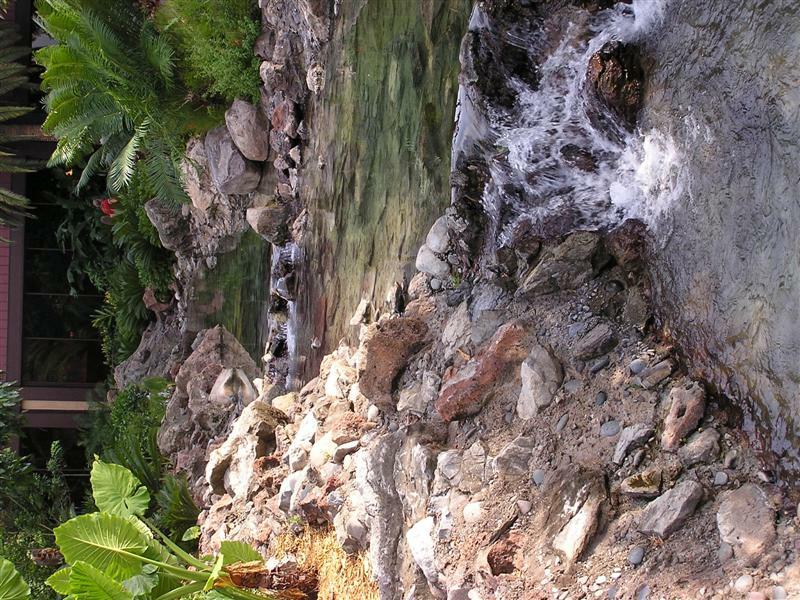 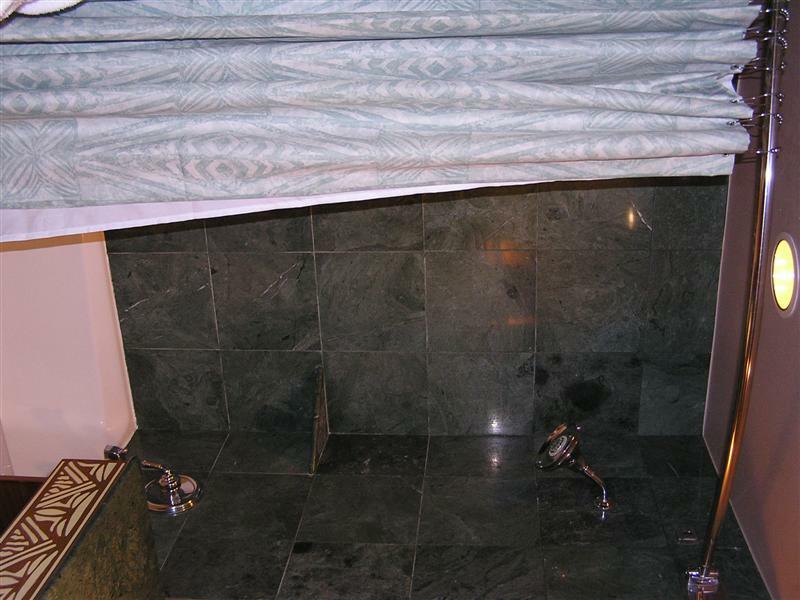 These restrooms are located inside the volcano, right behind the waterfalls!